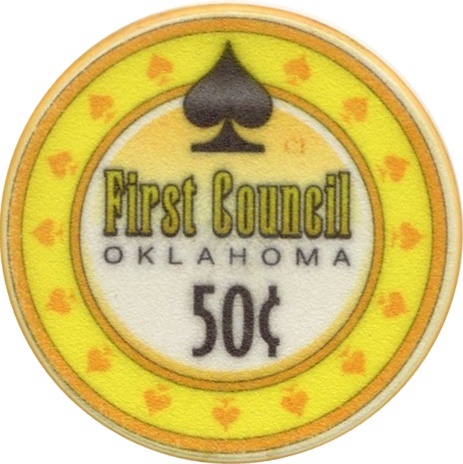 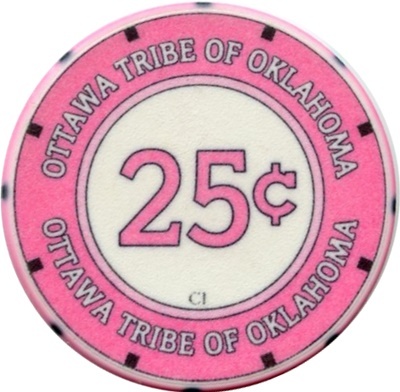 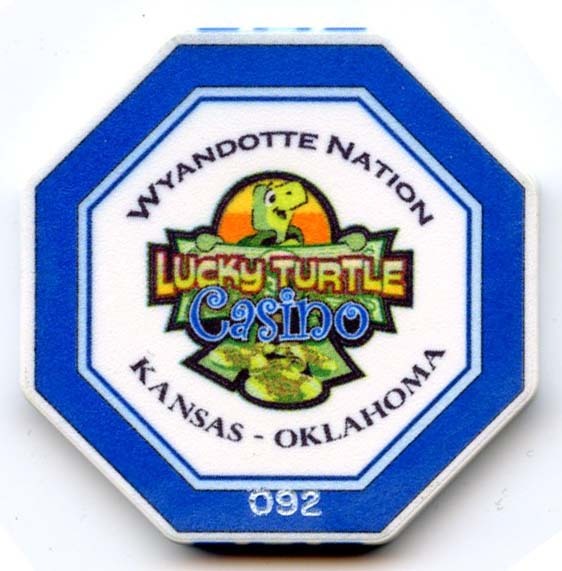 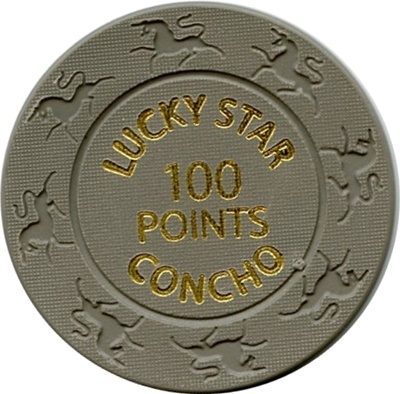 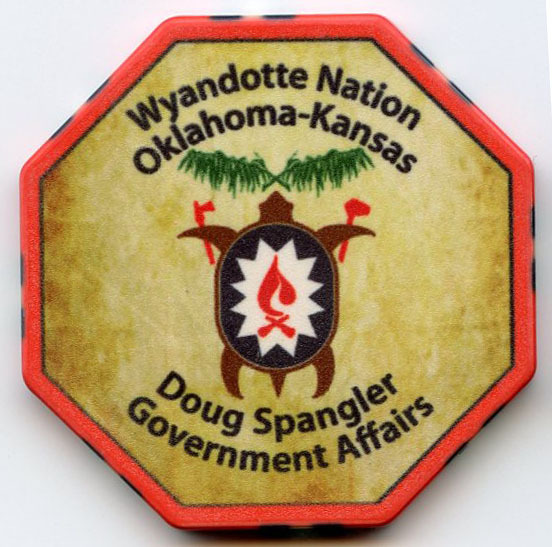 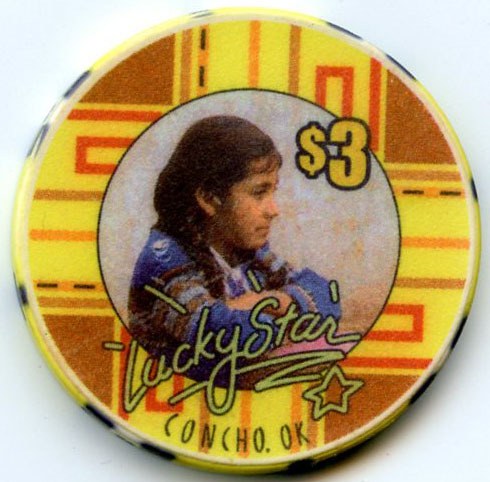 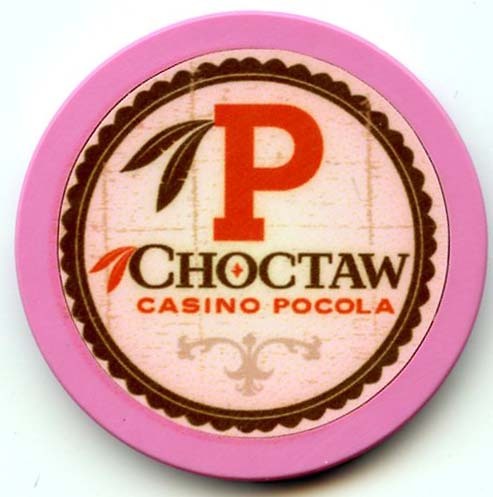 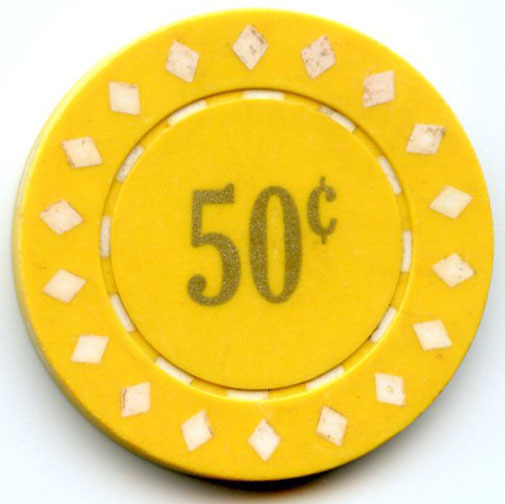 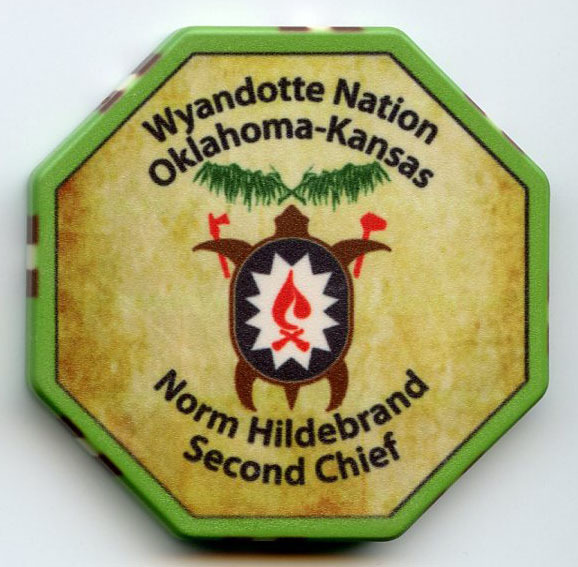 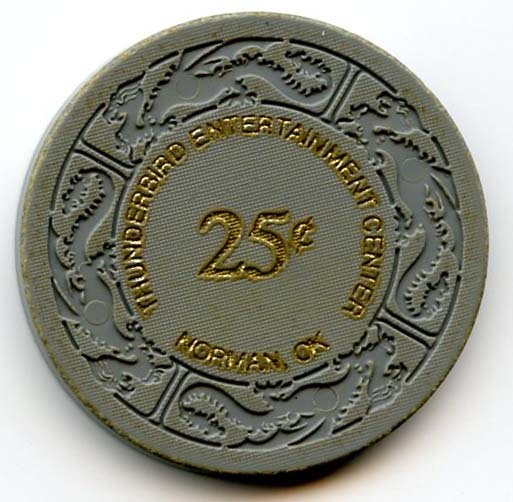 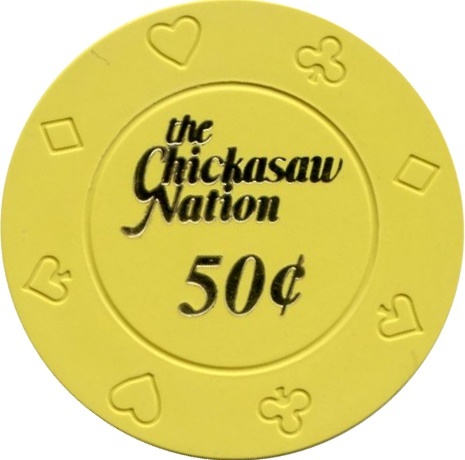 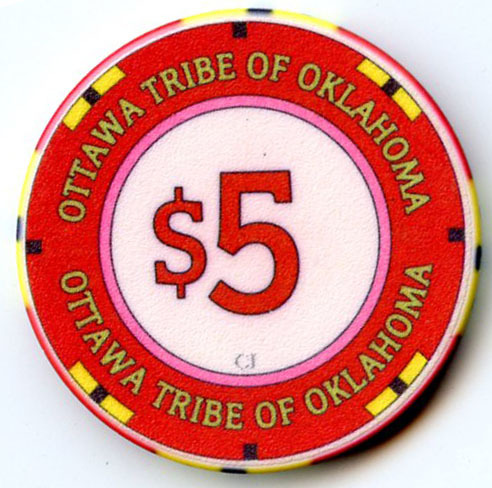 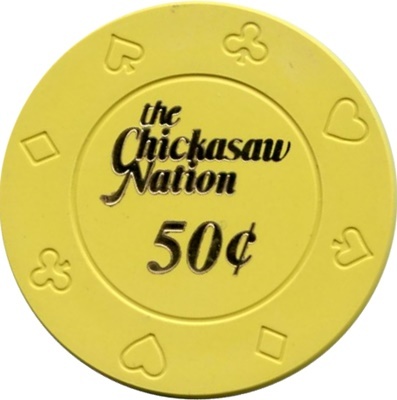 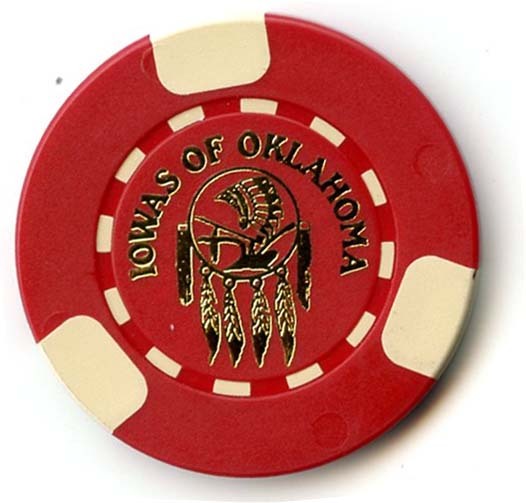 Thank you for viewing my Oklahoma Chip Collection. 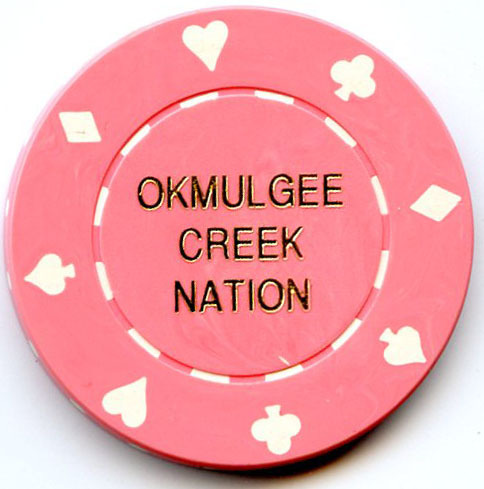 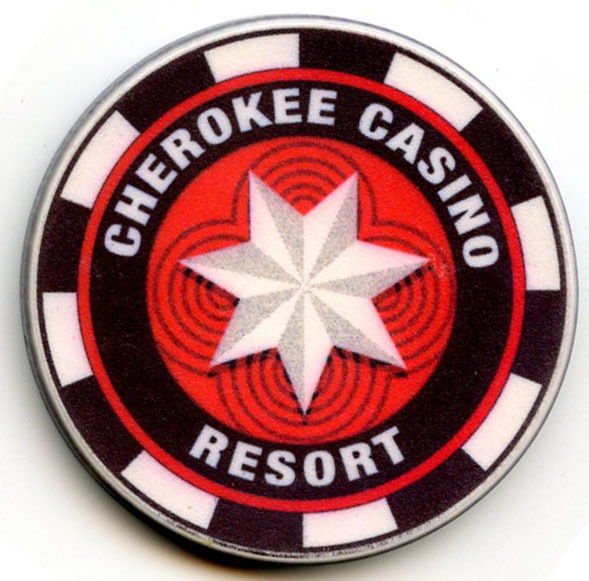 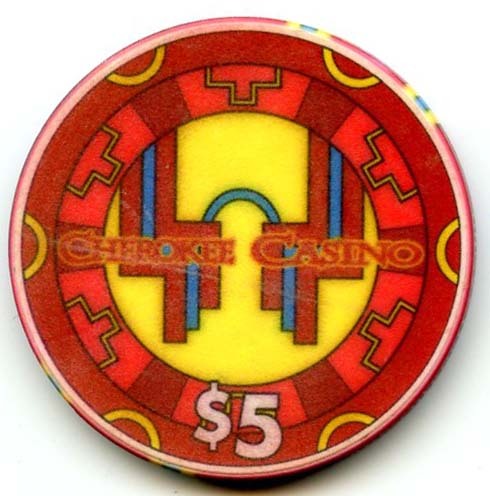 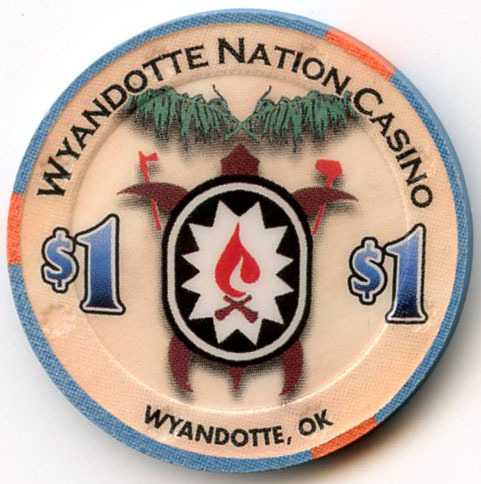 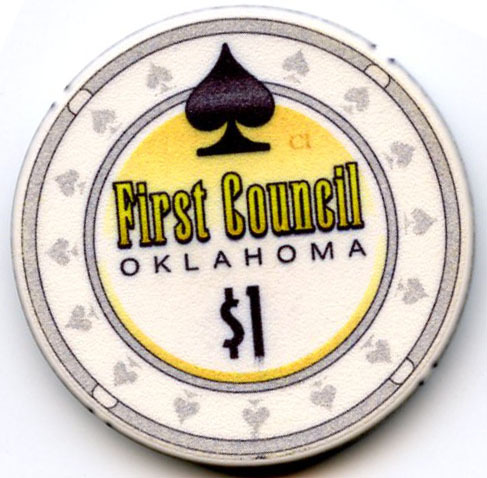 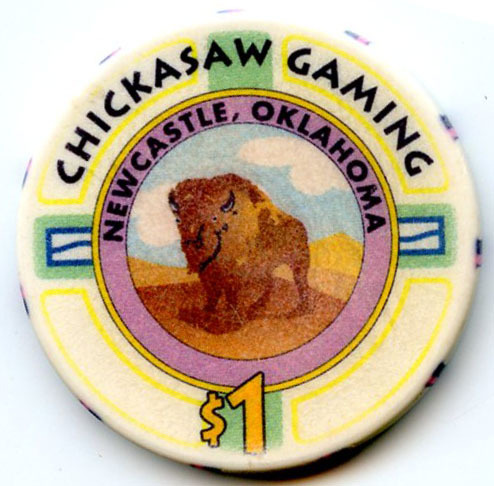 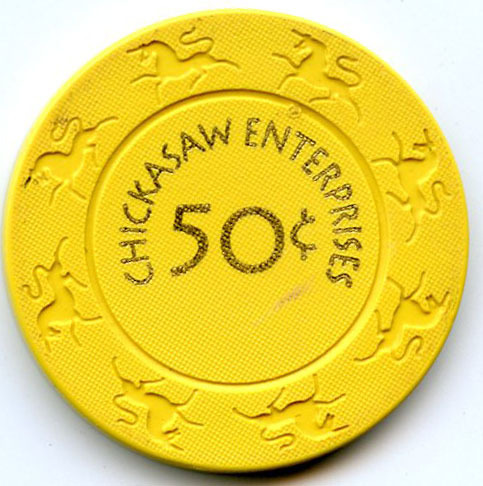 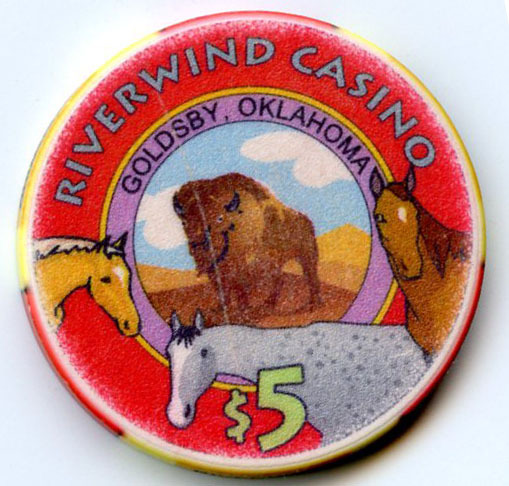 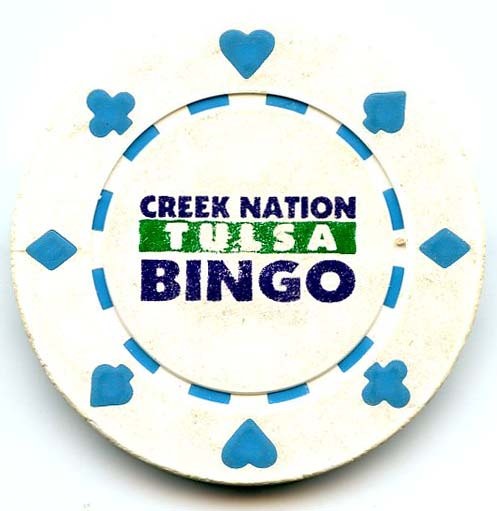 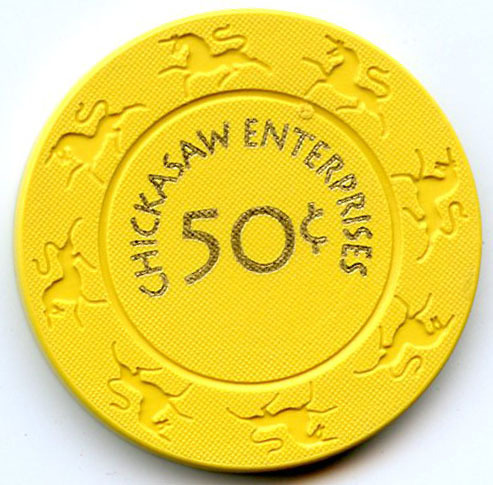 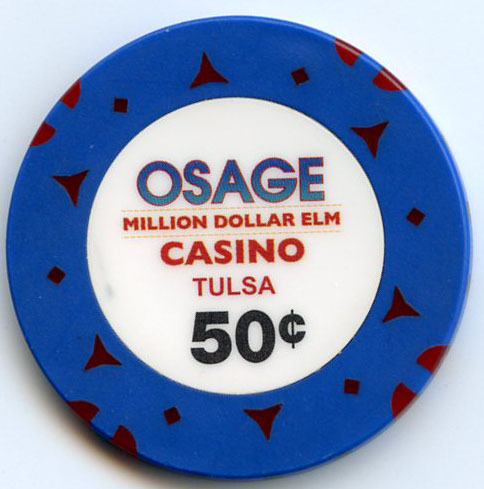 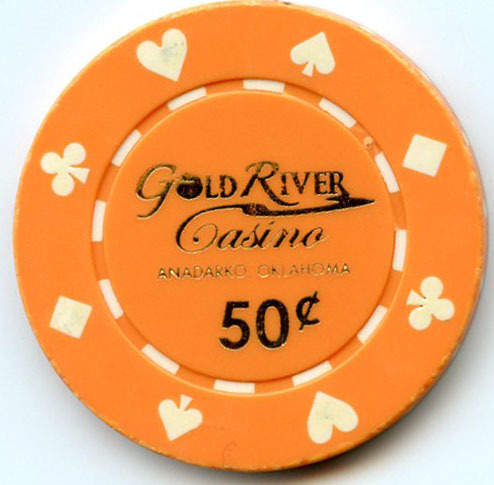 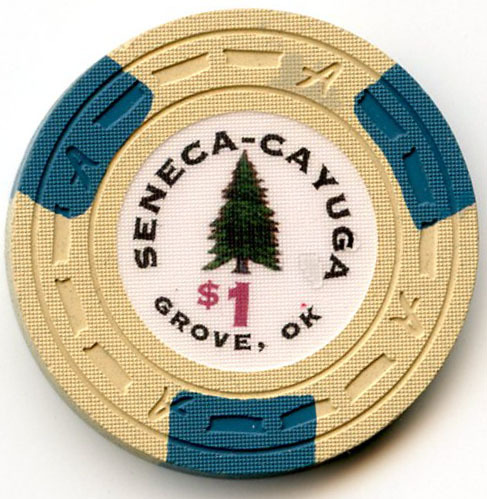 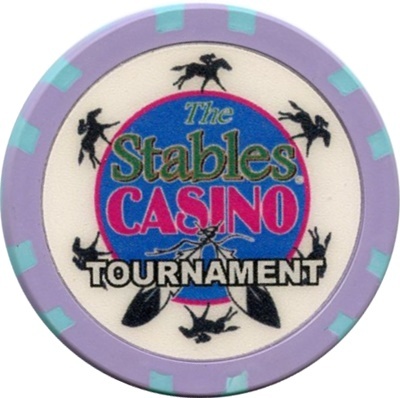 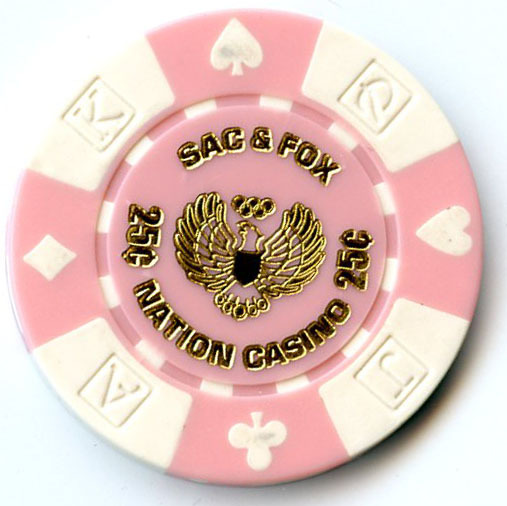 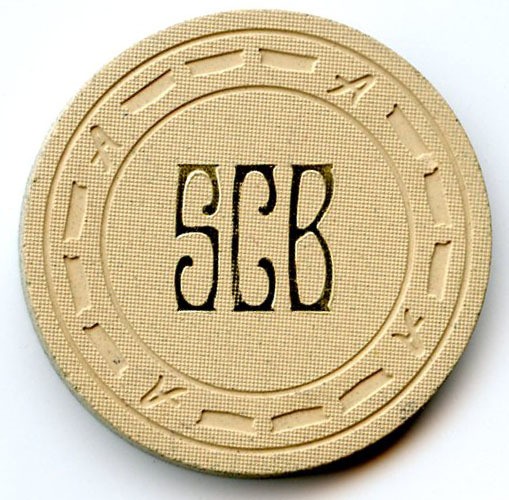 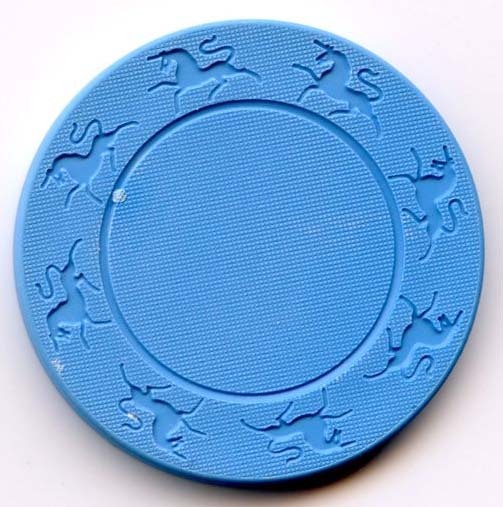 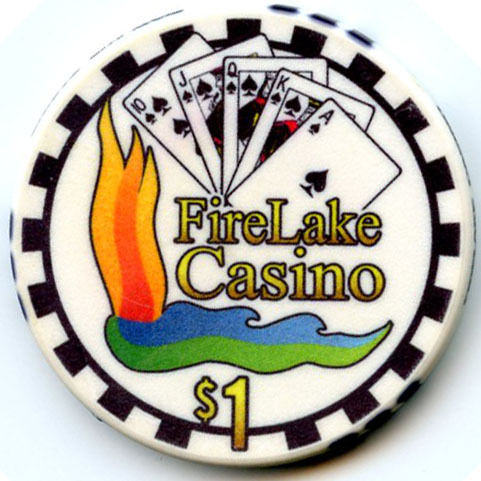 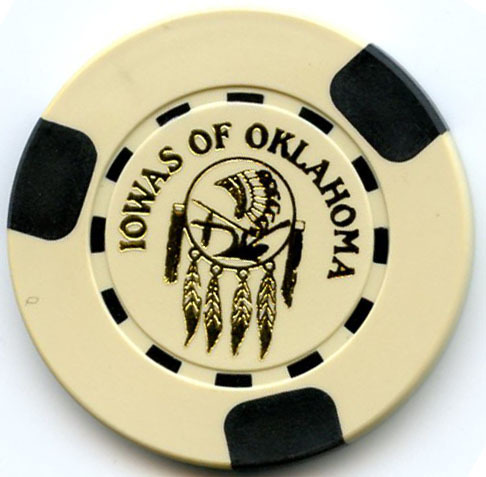 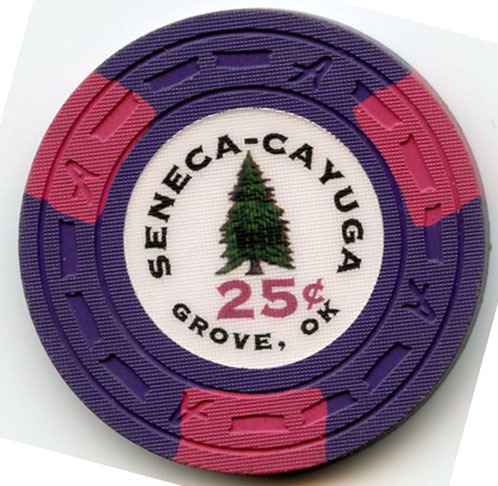 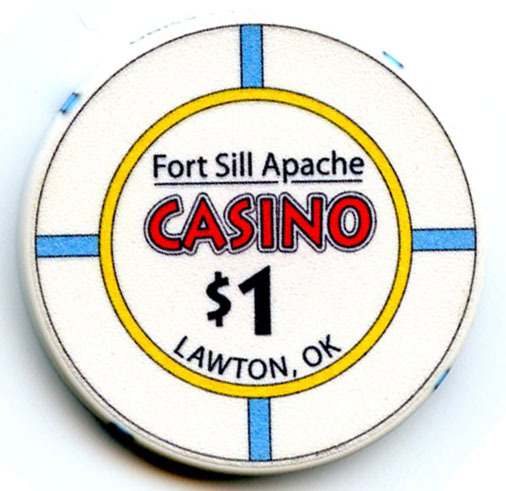 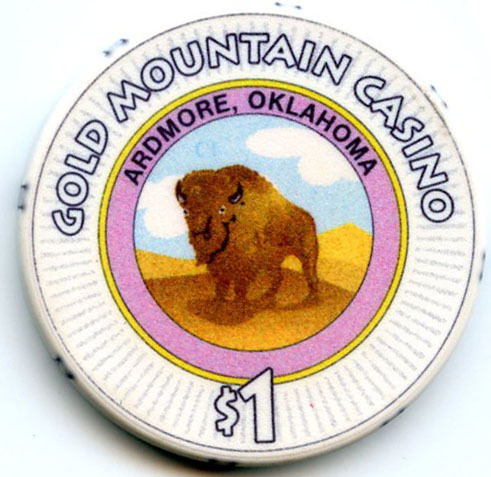 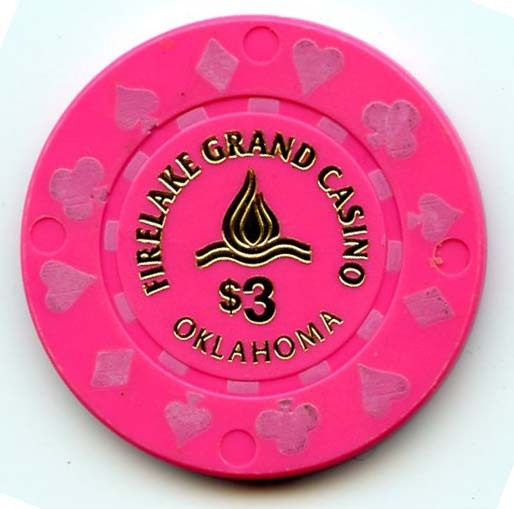 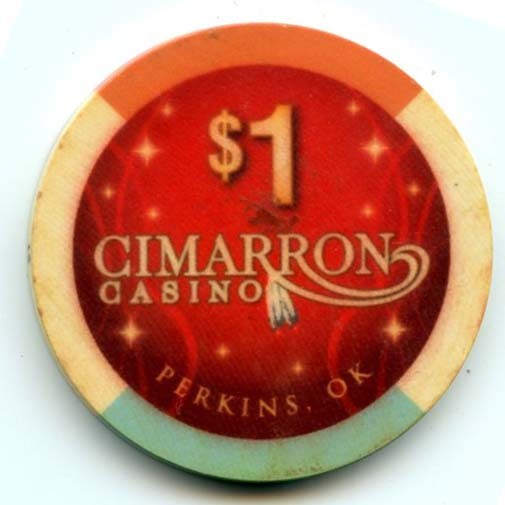 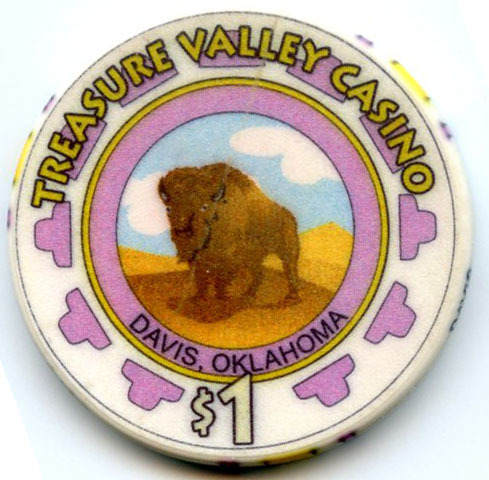 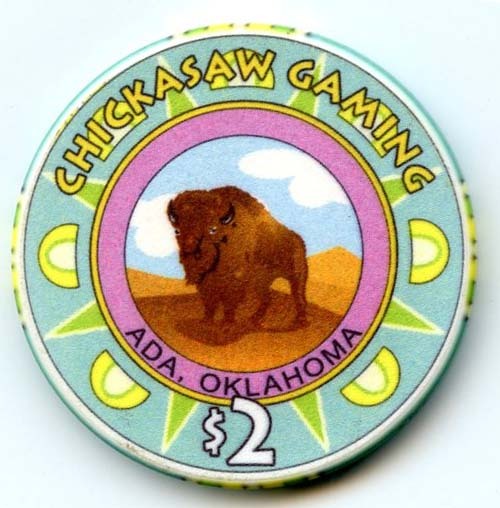 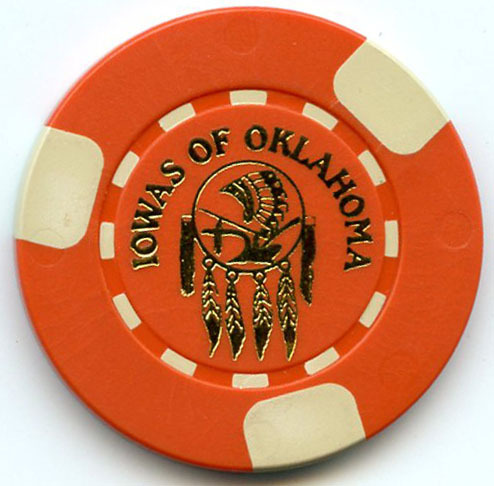 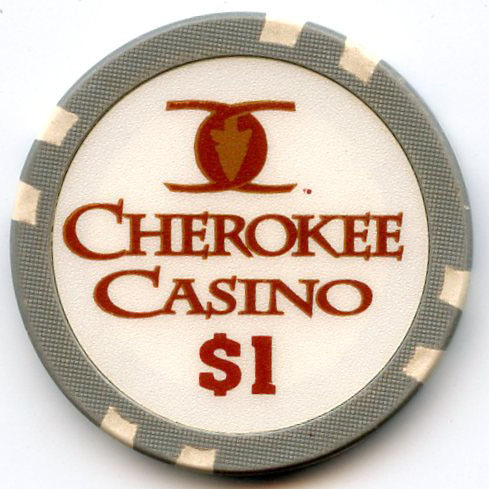 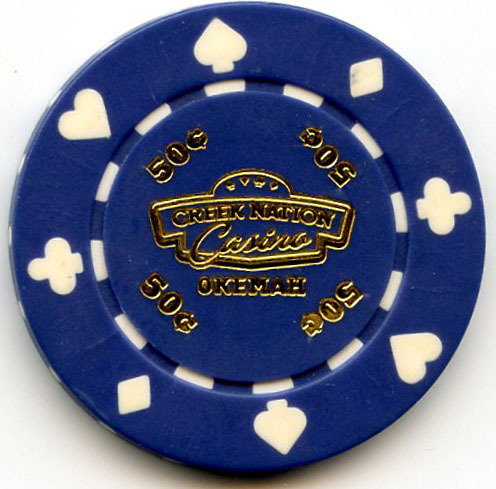 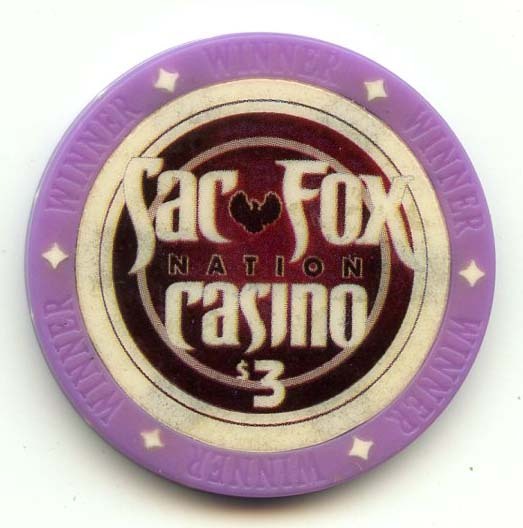 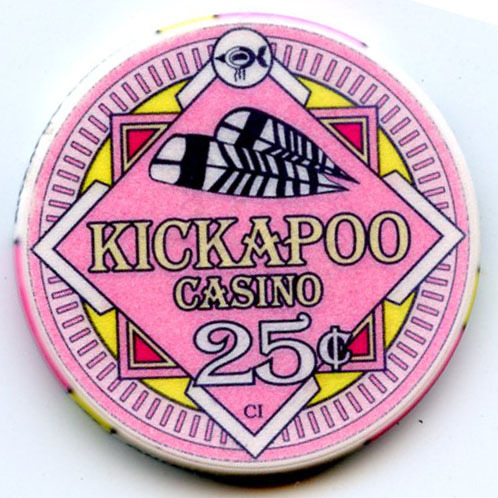 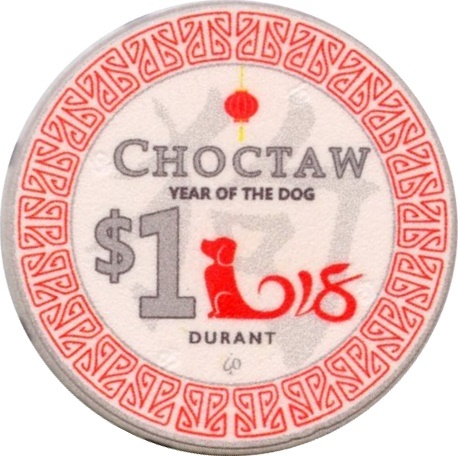 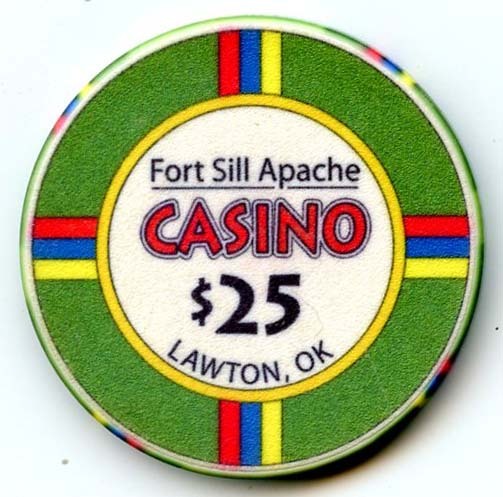 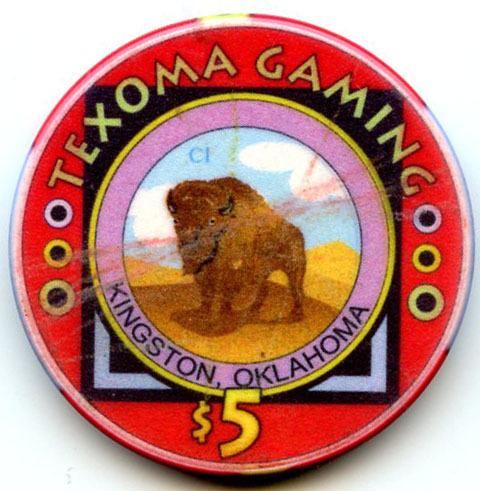 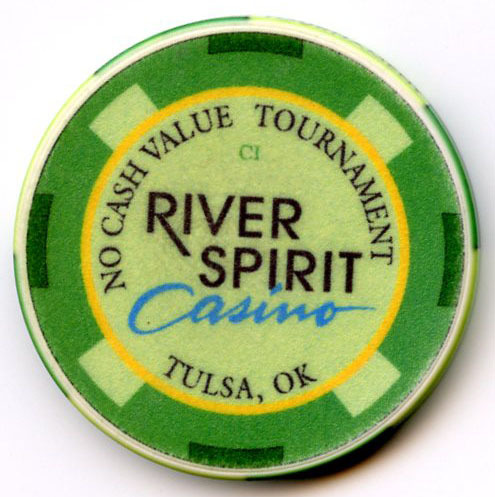 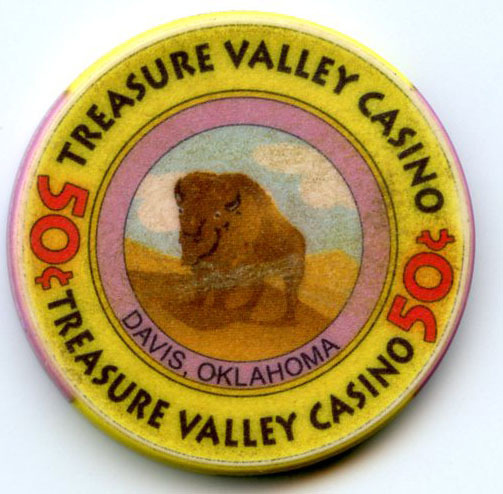 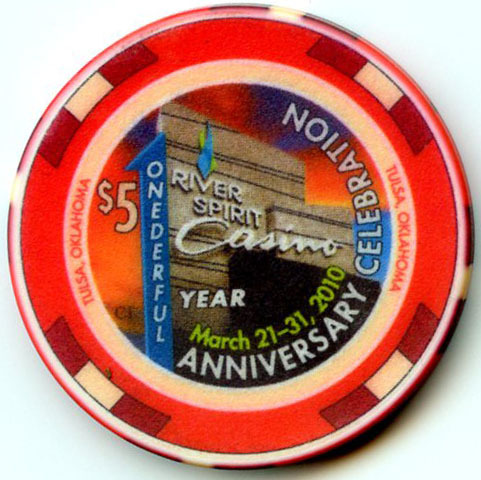 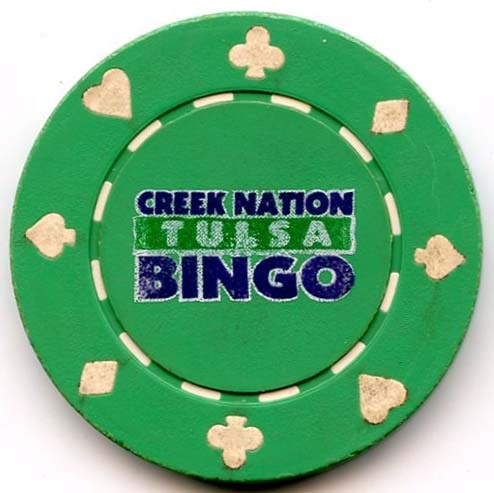 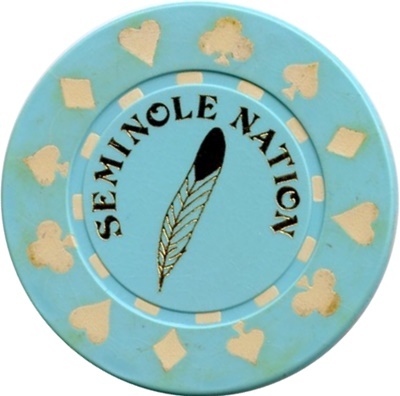 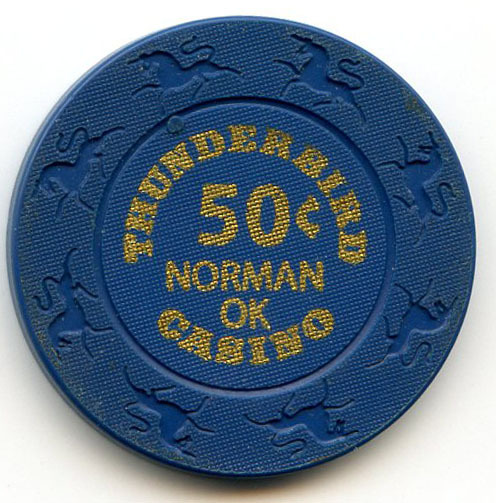 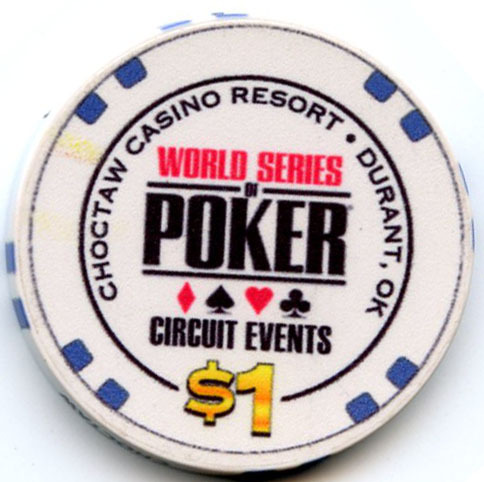 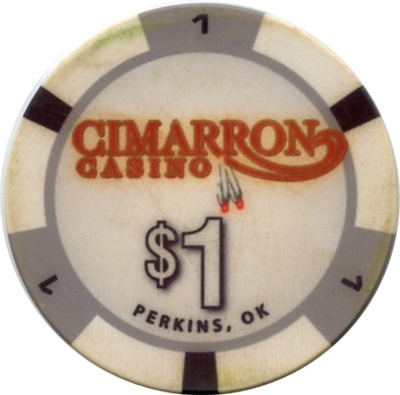 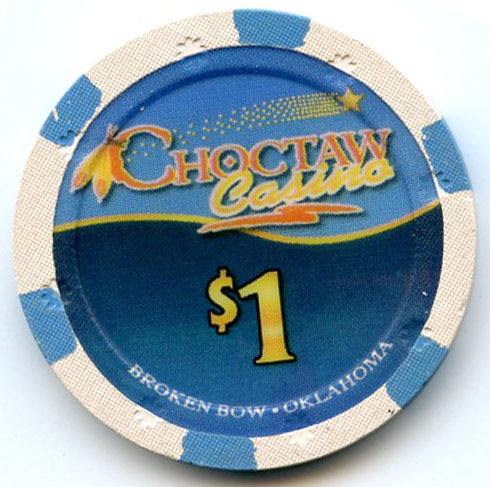 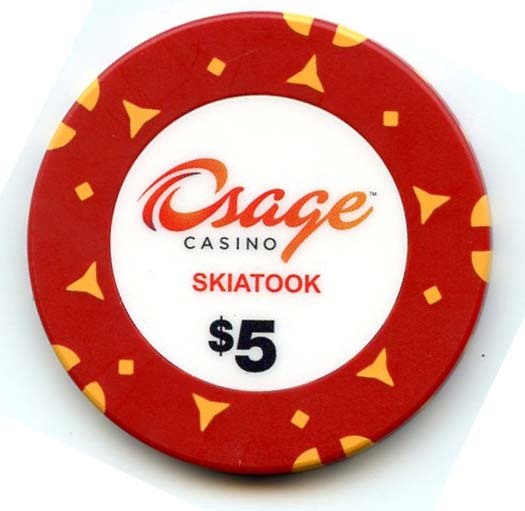 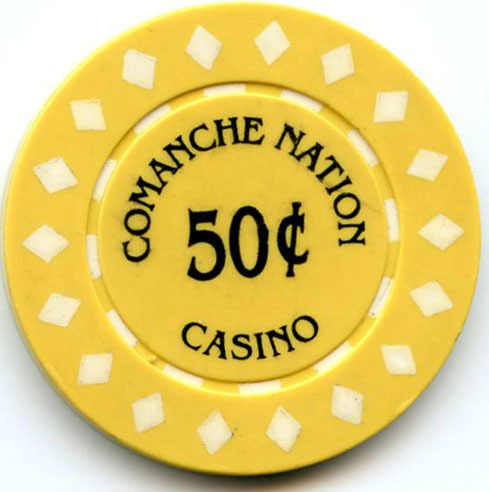 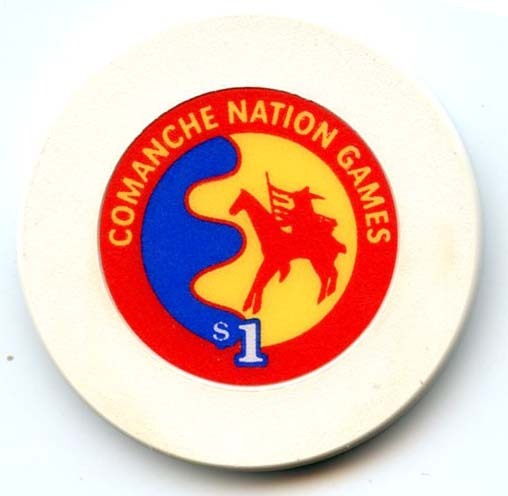 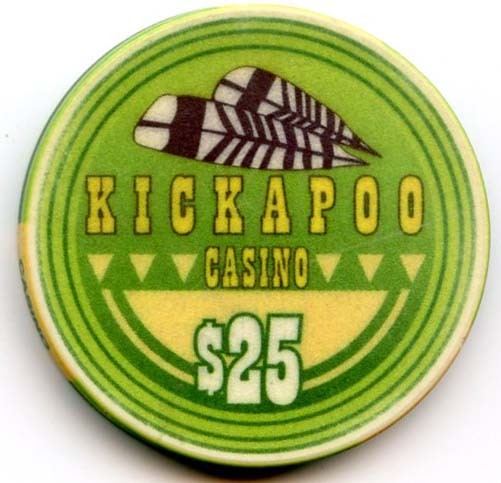 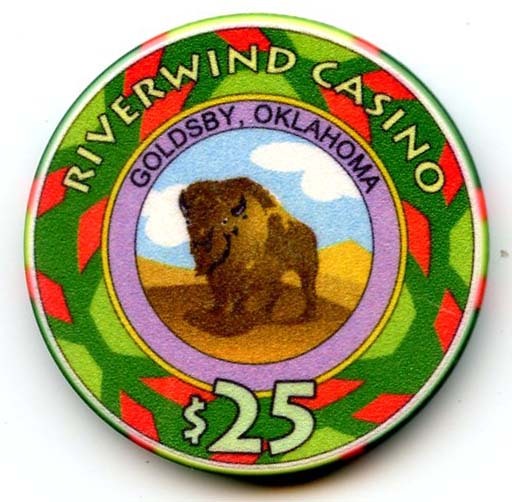 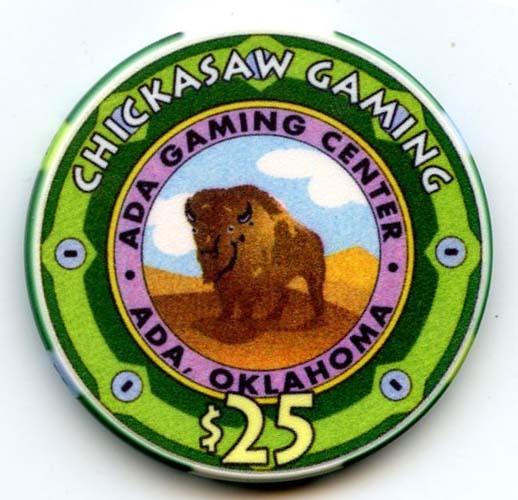 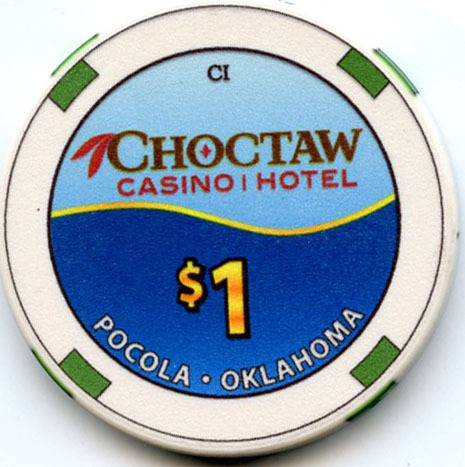 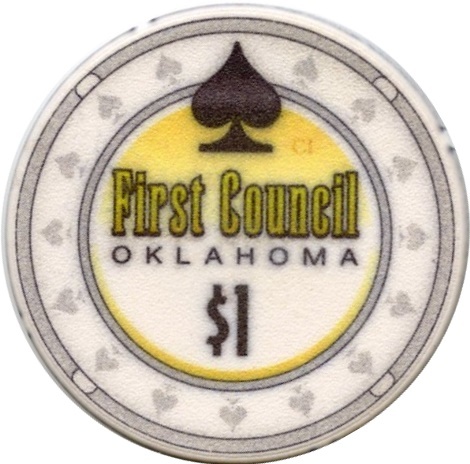 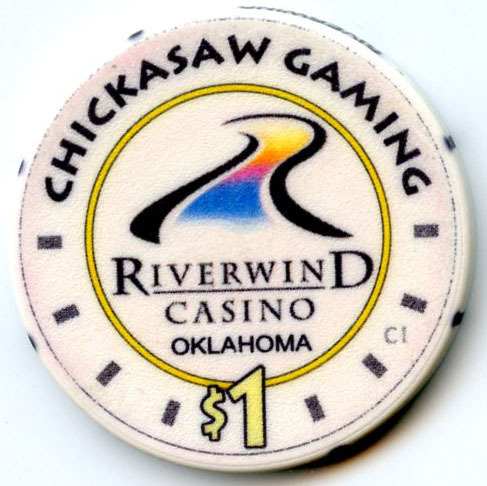 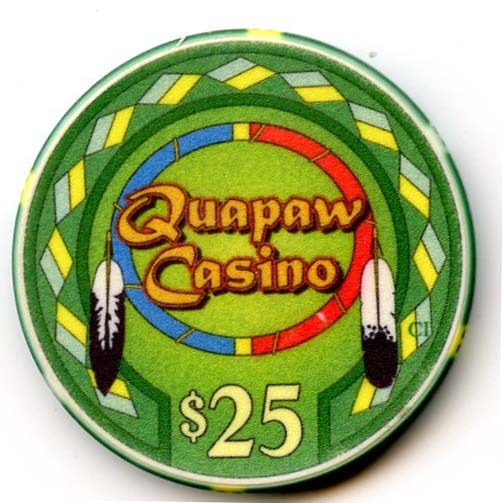 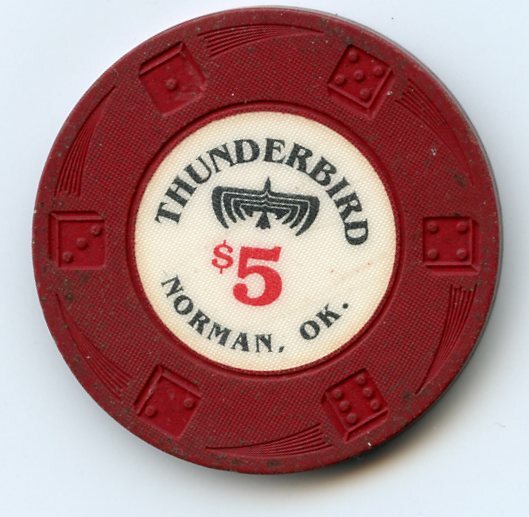 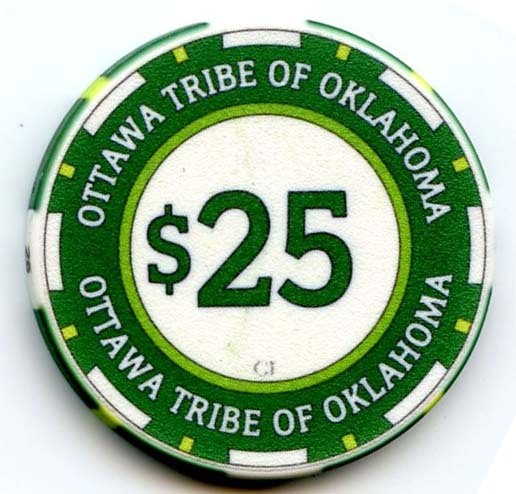 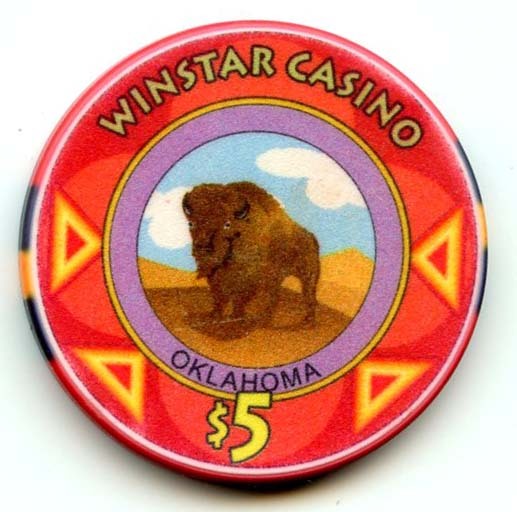 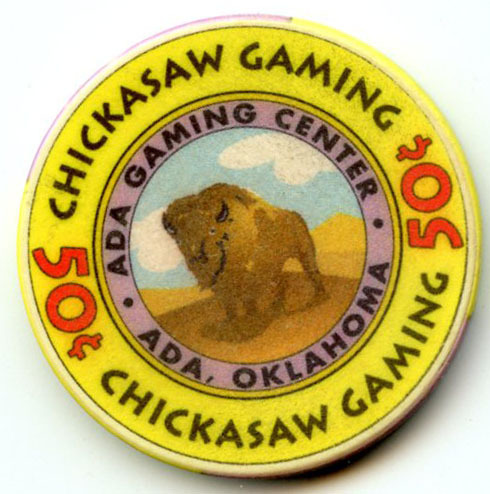 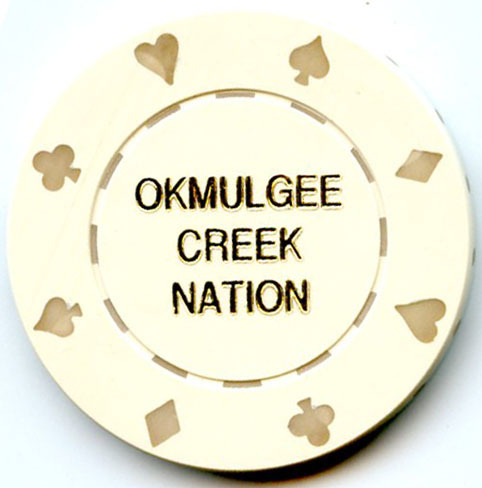 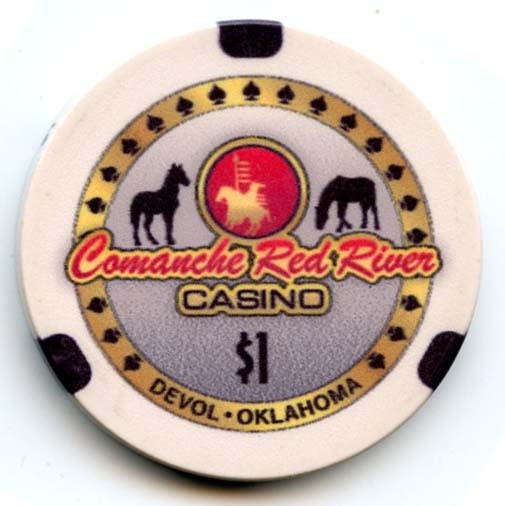 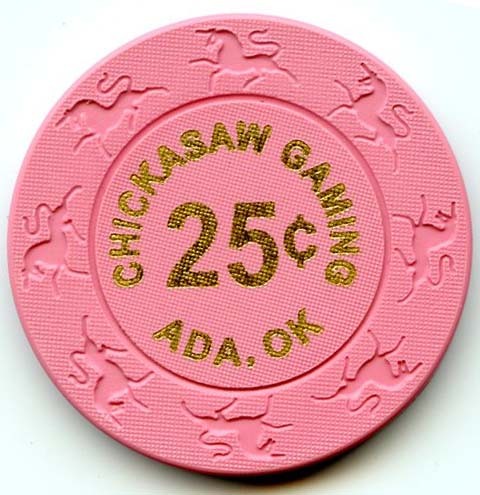 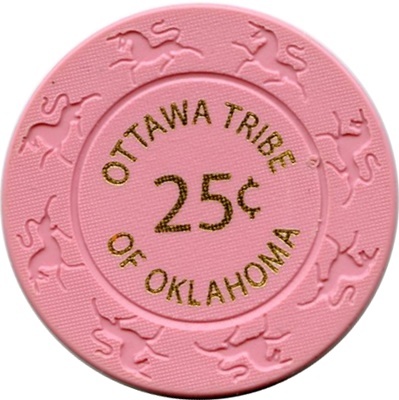 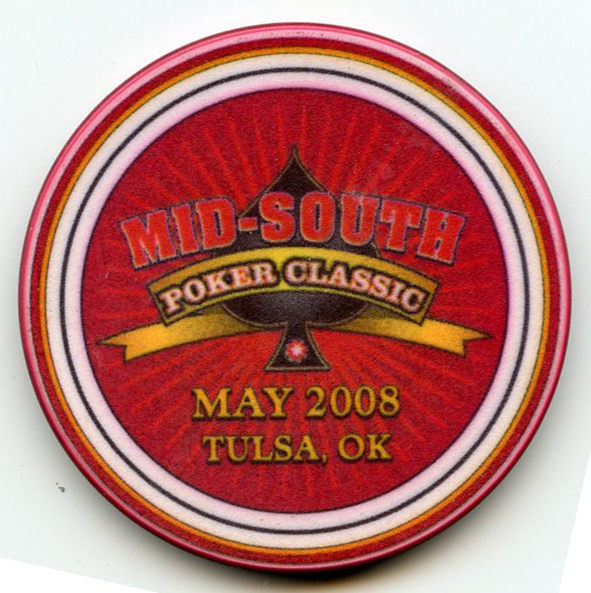 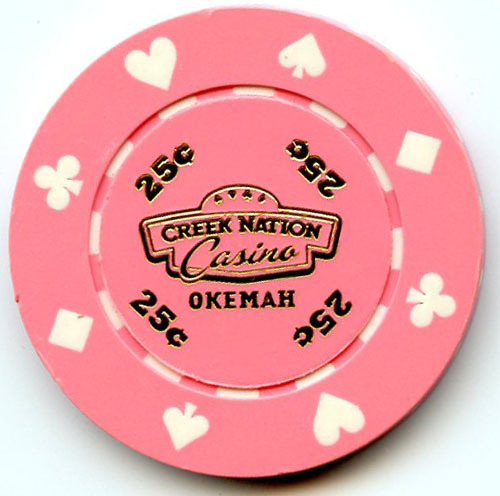 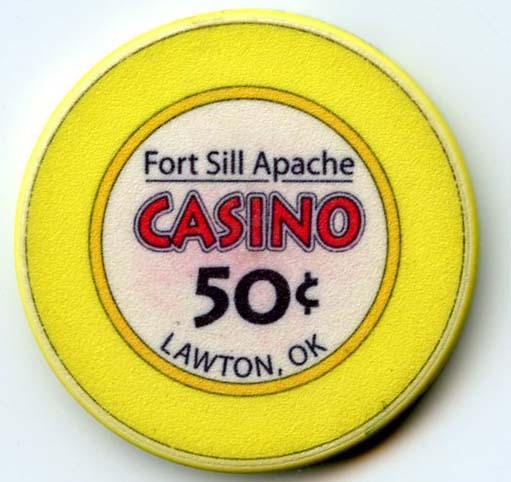 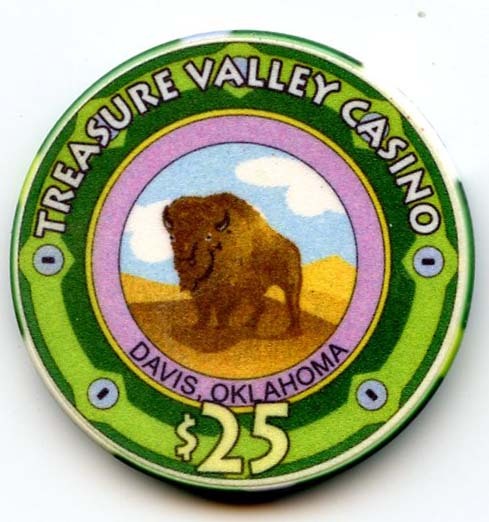 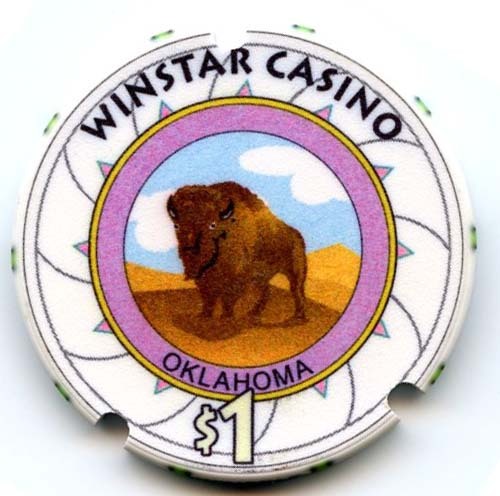 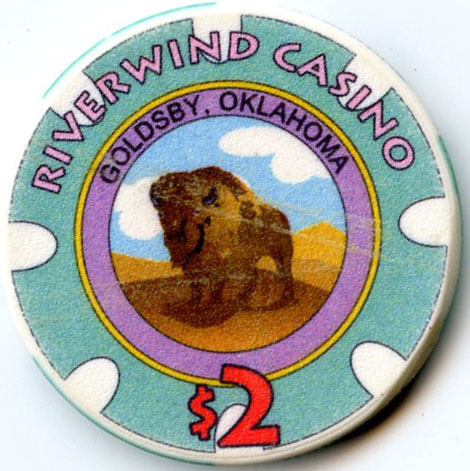 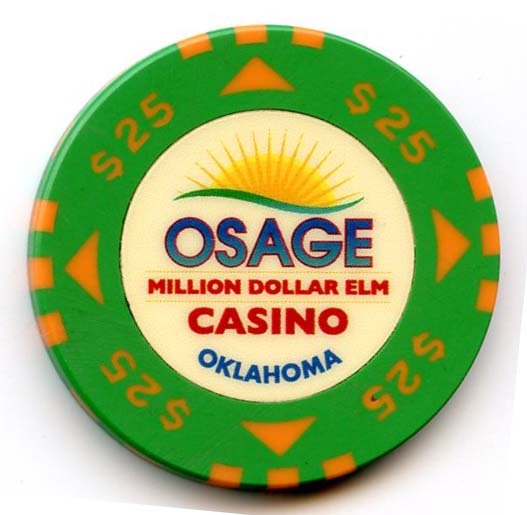 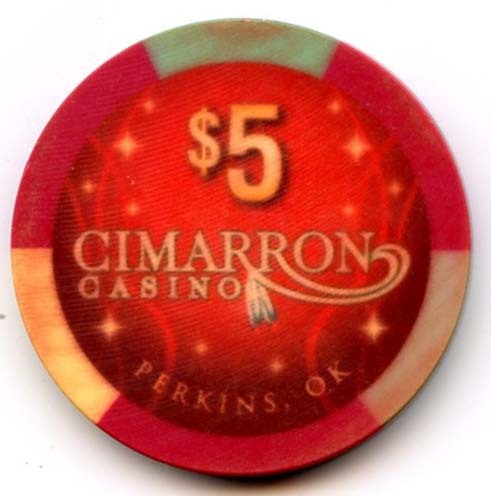 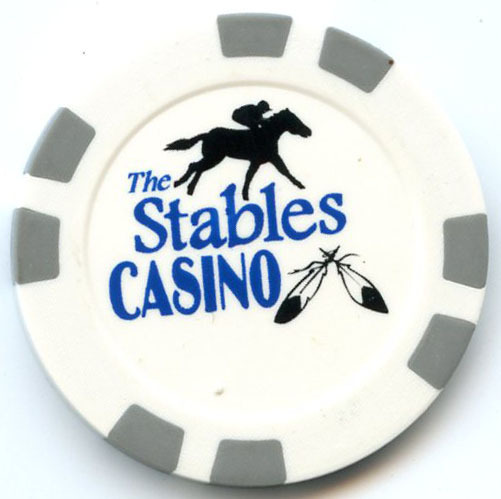 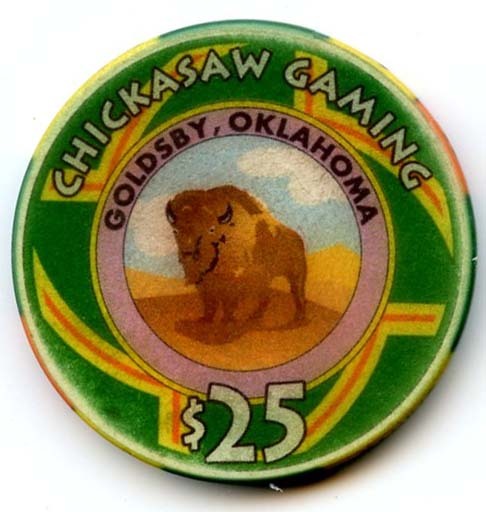 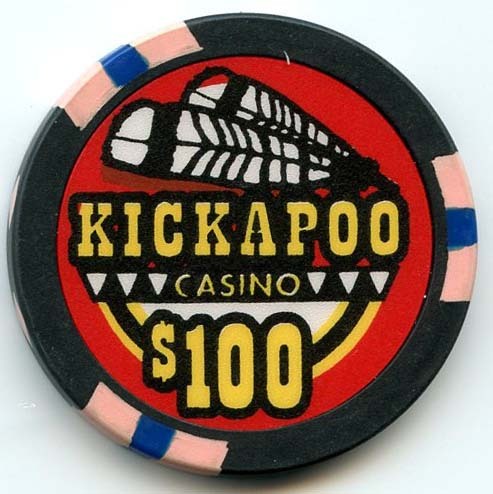 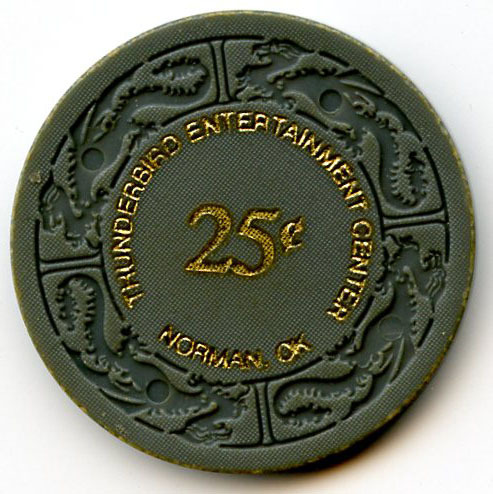 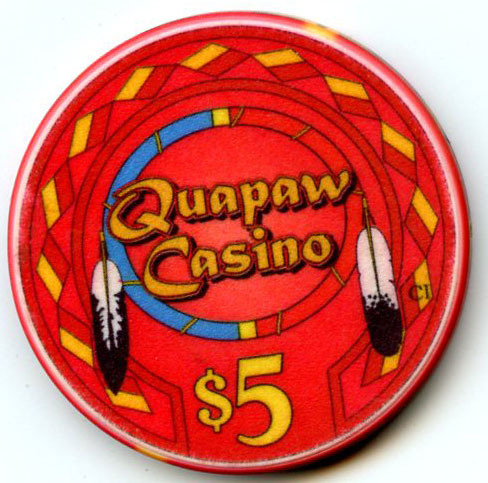 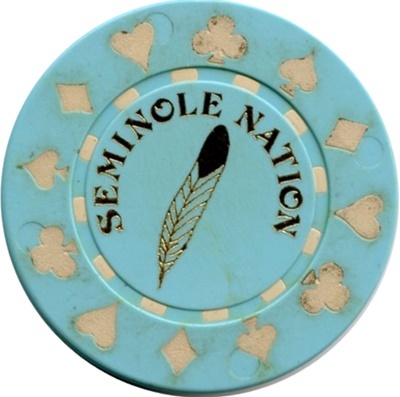 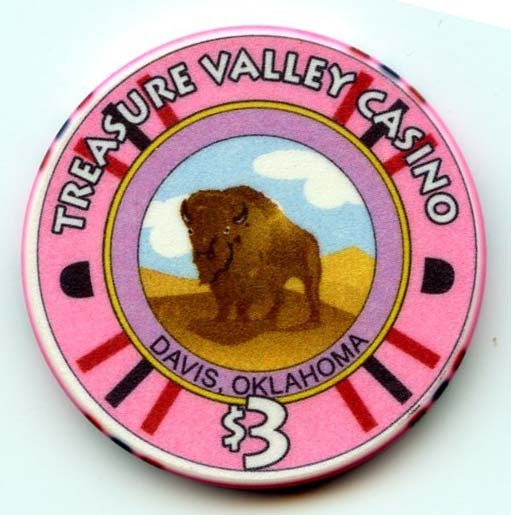 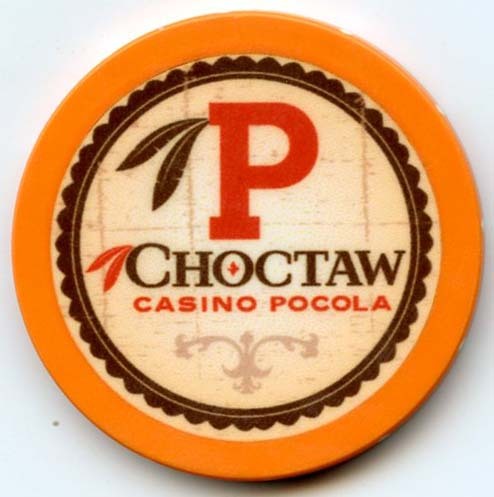 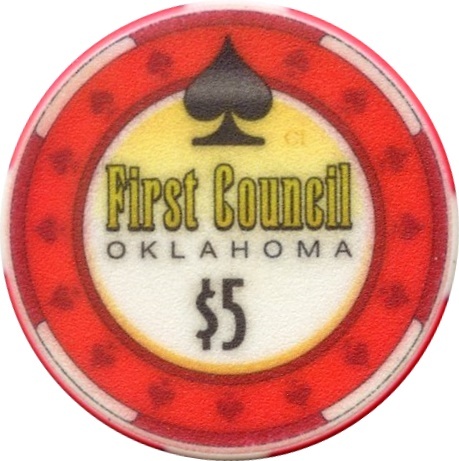 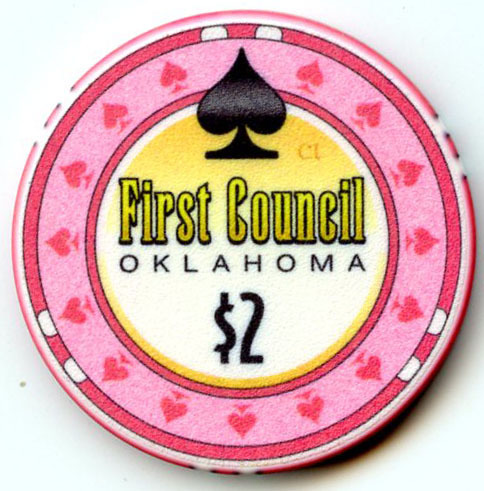 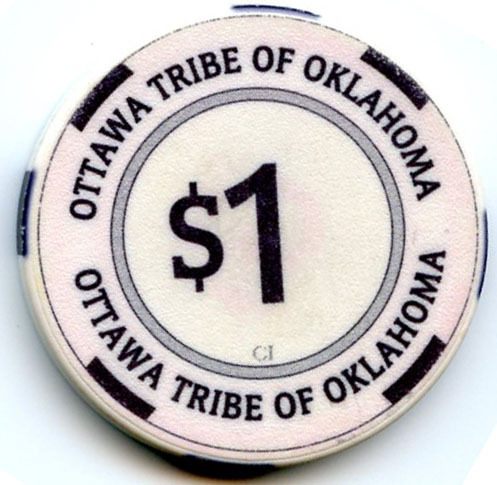 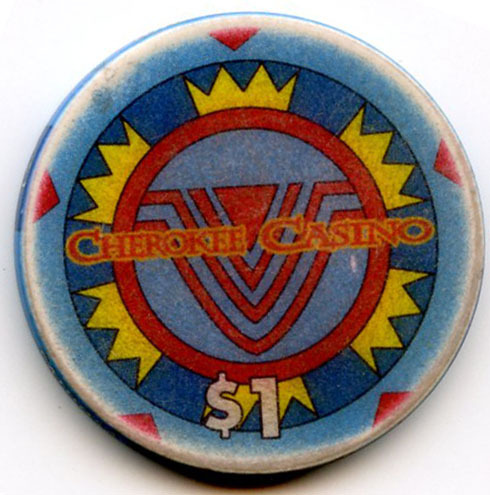 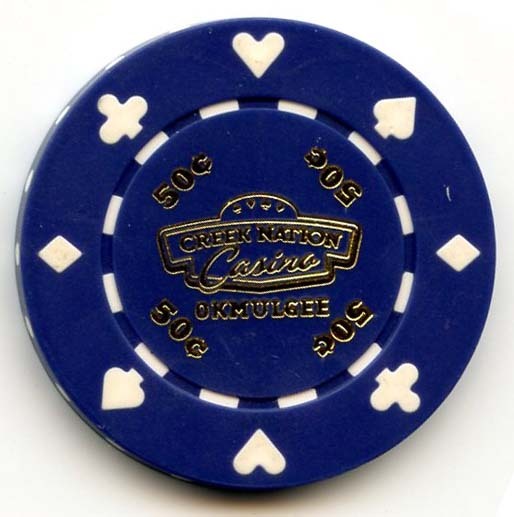 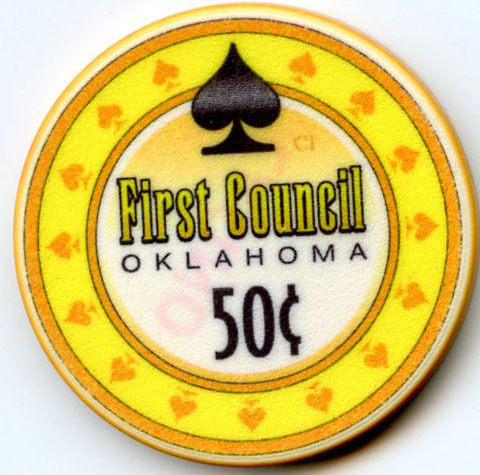 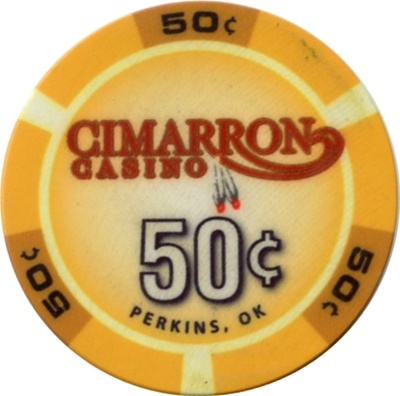 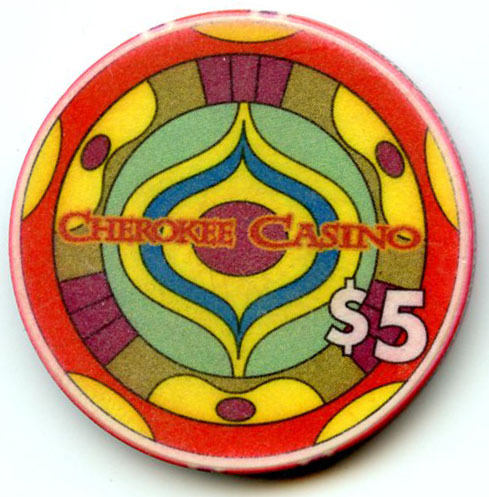 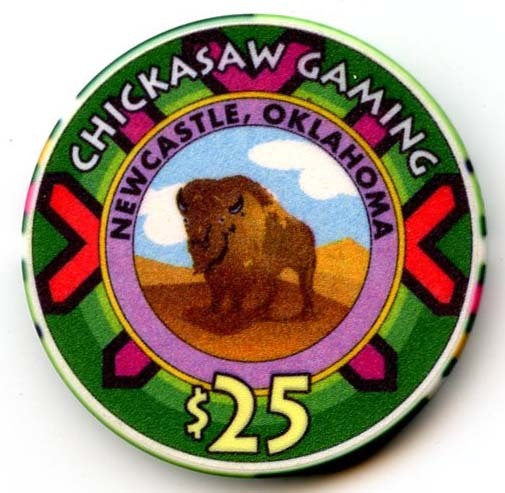 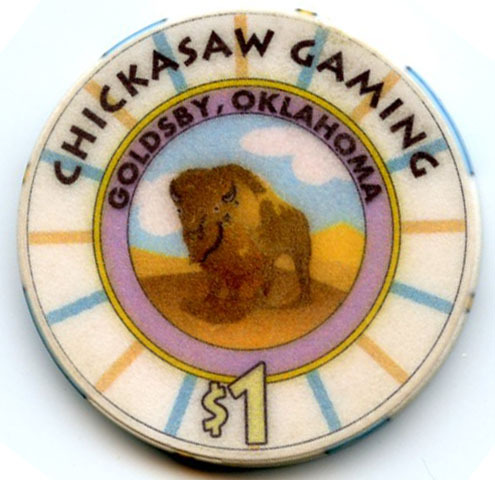 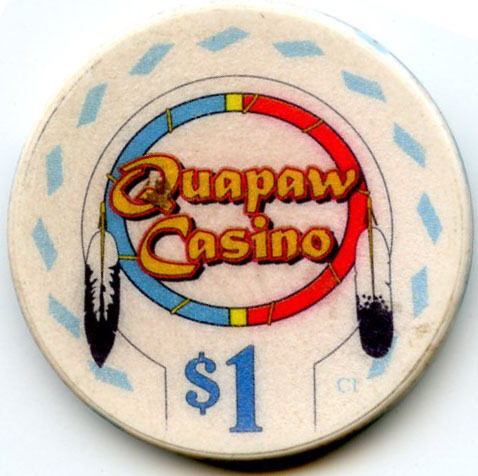 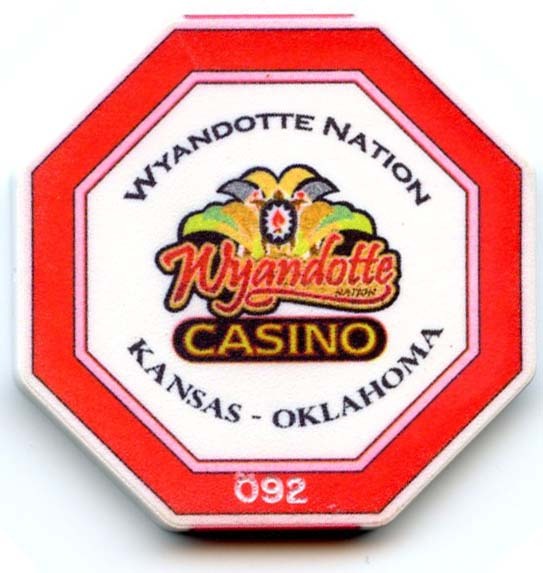 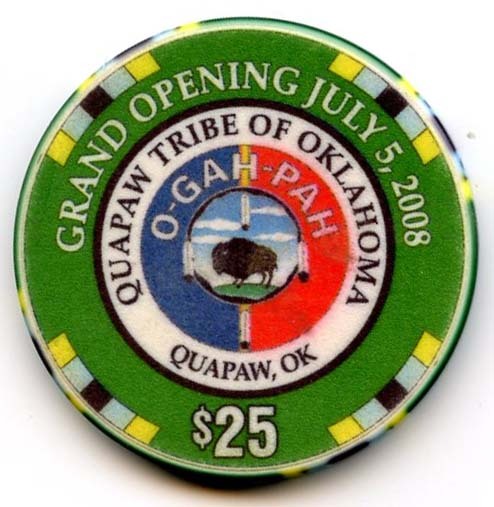 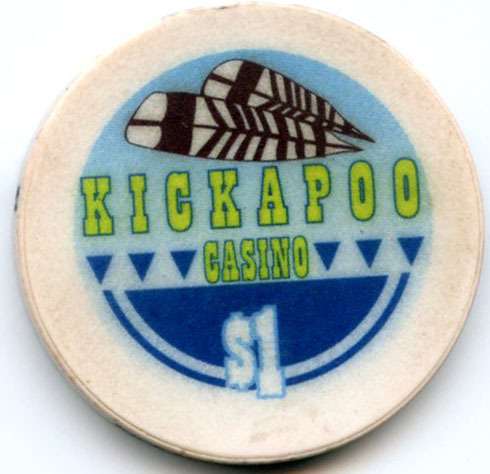 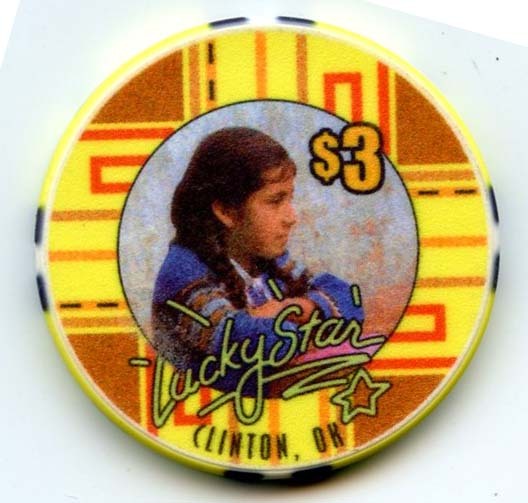 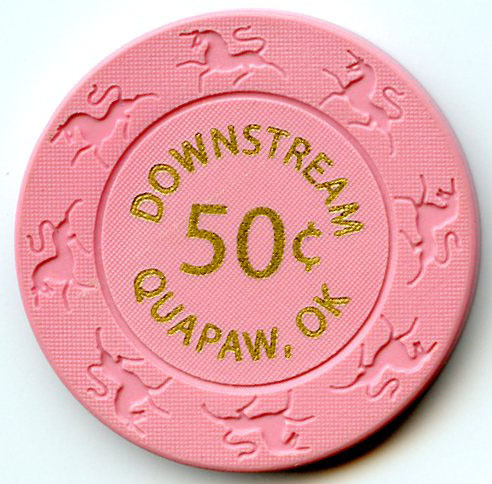 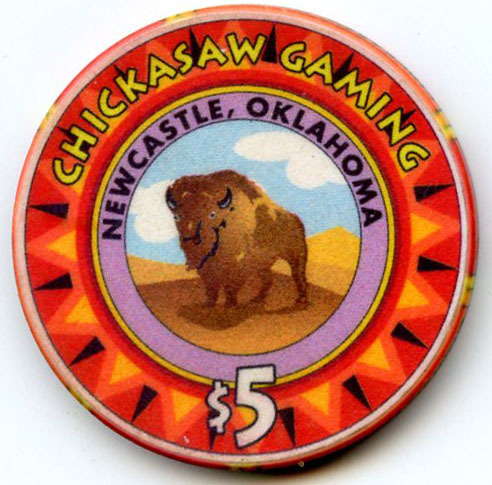 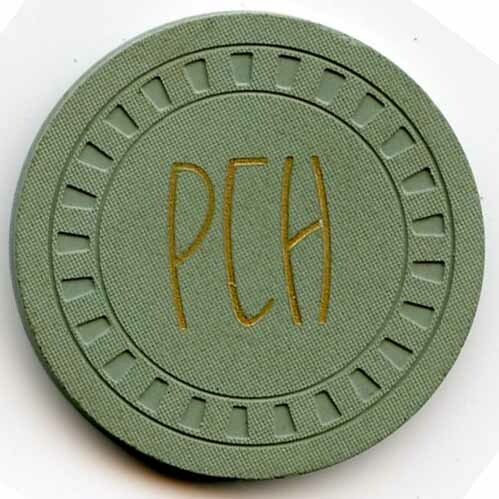 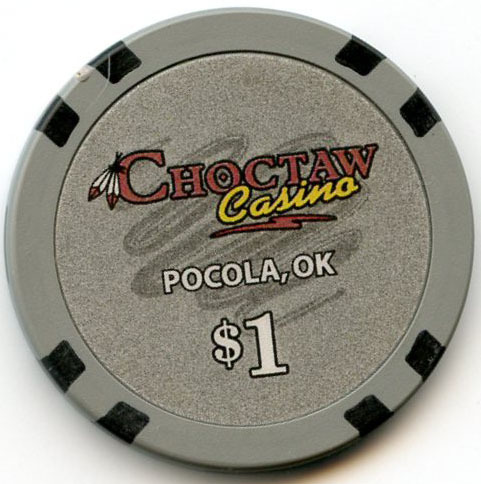 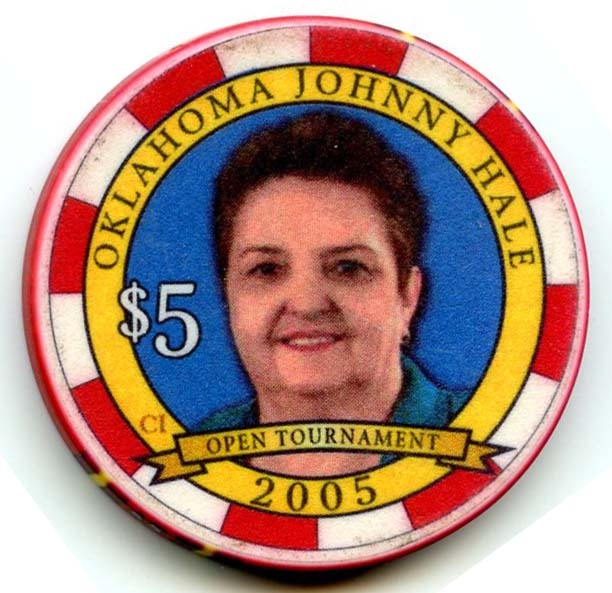 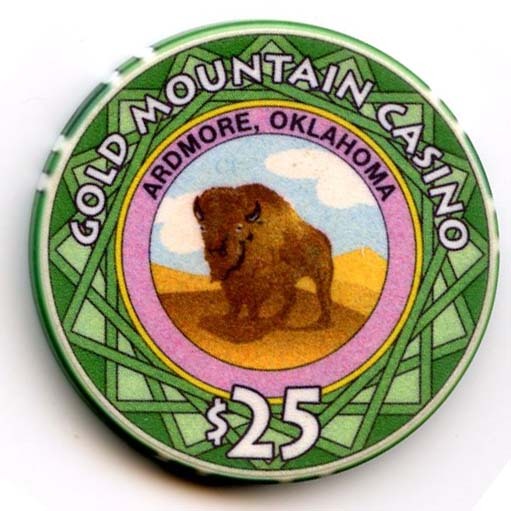 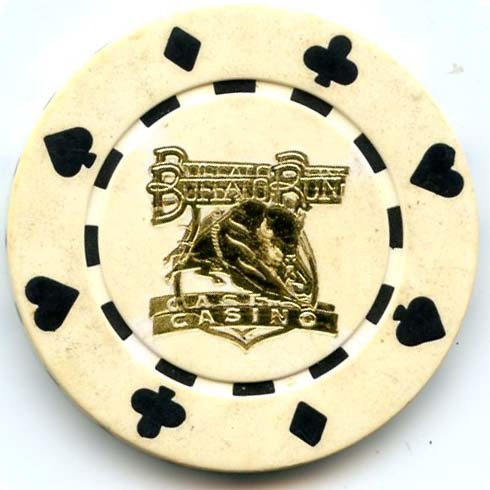 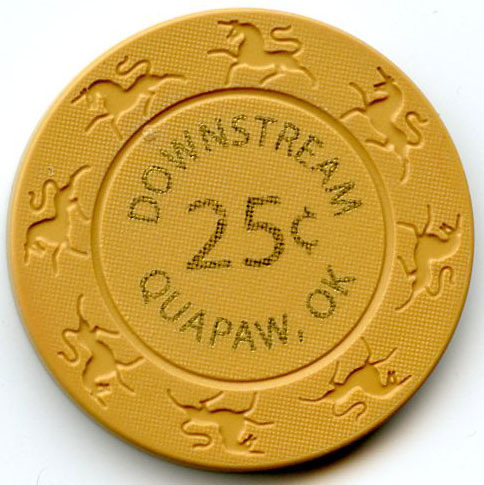 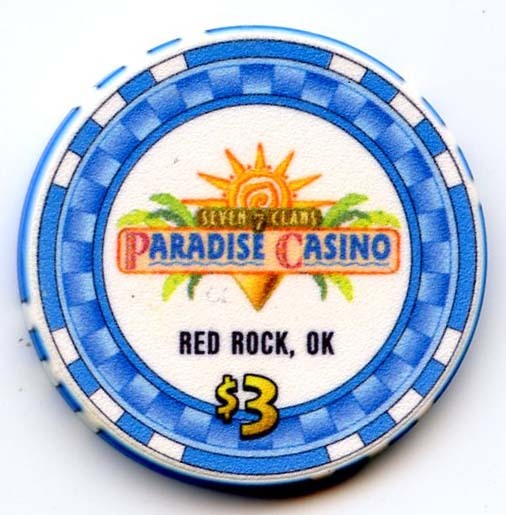 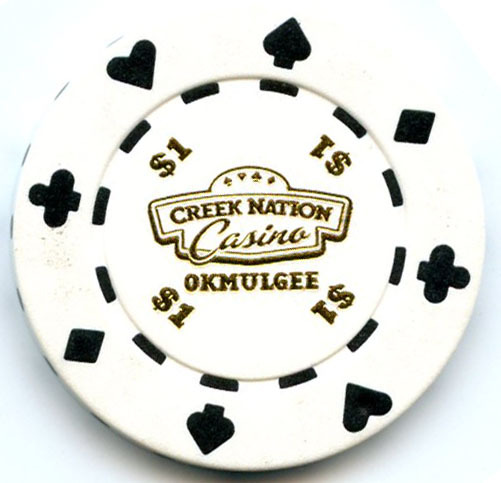 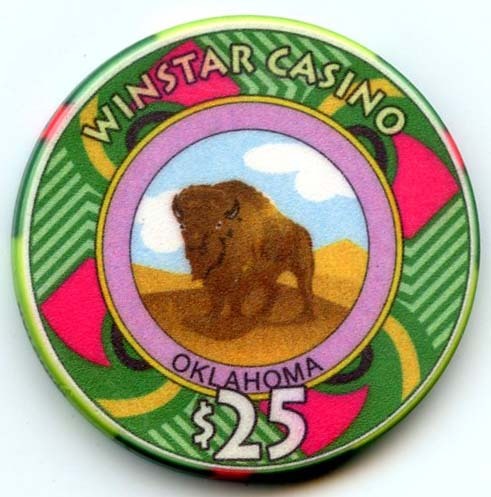 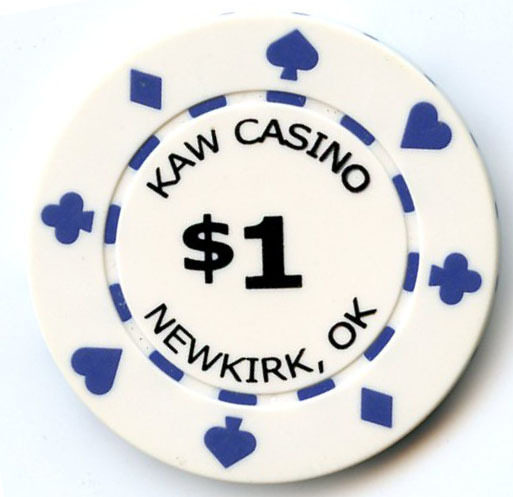 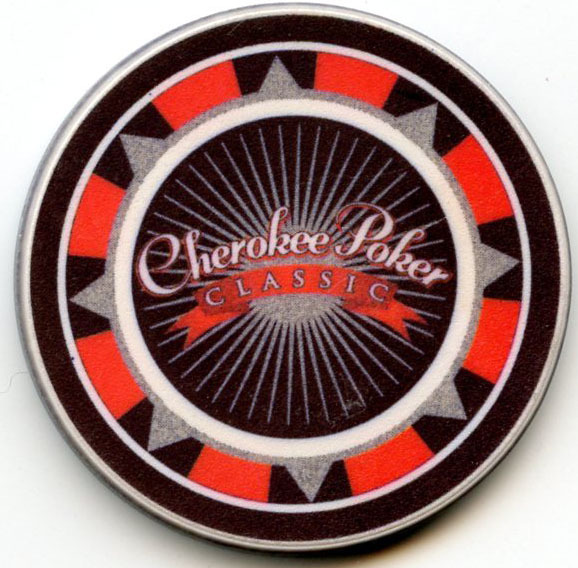 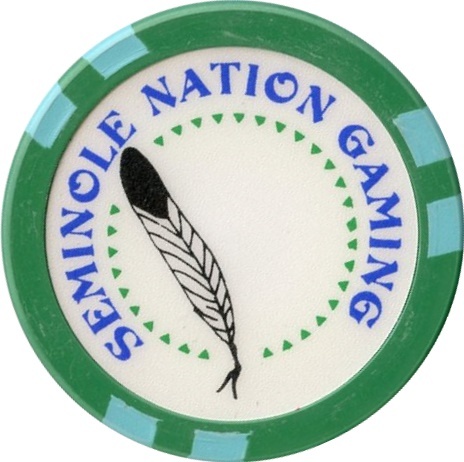 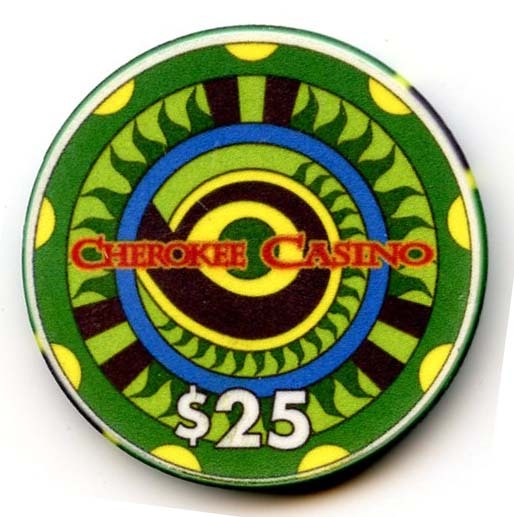 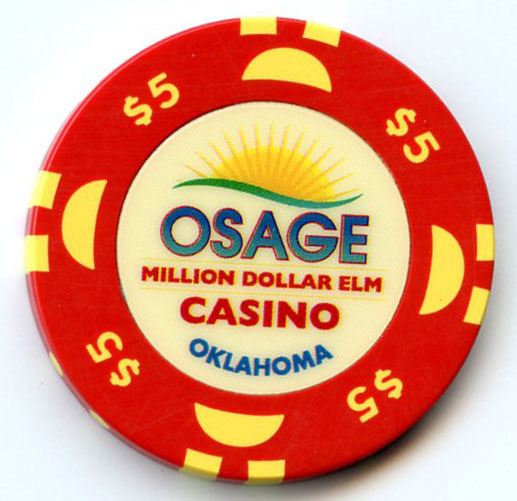 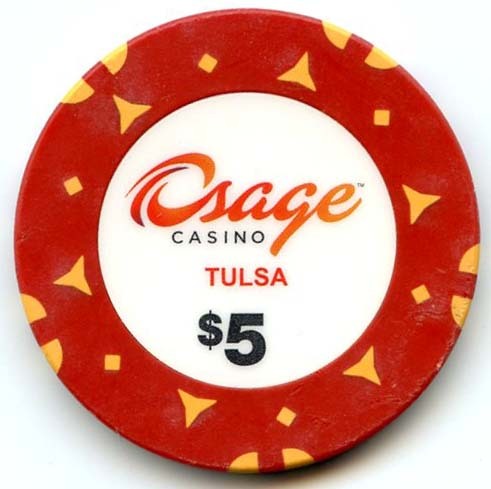 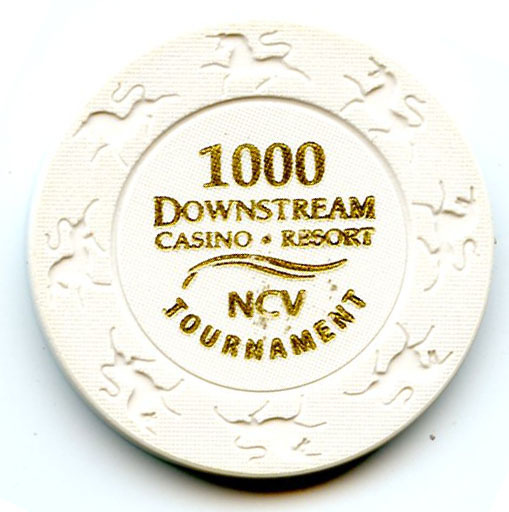 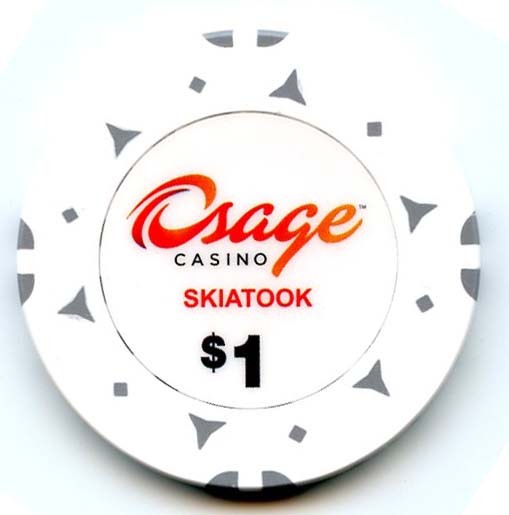 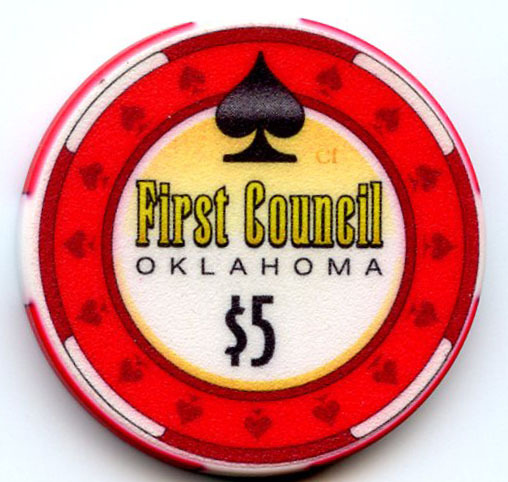 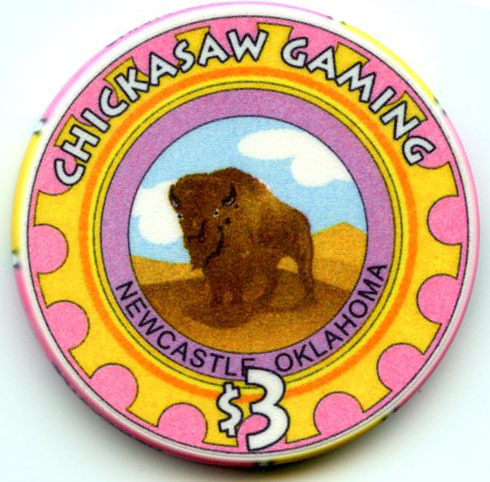 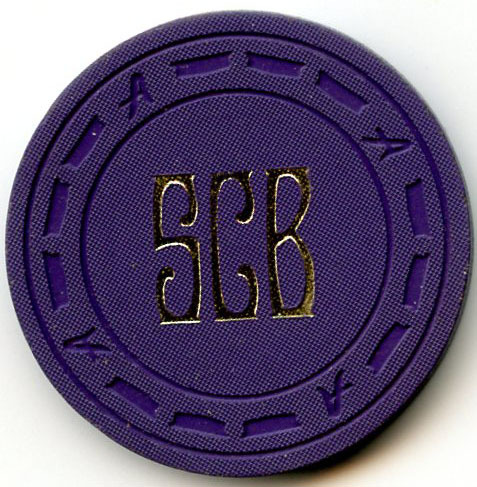 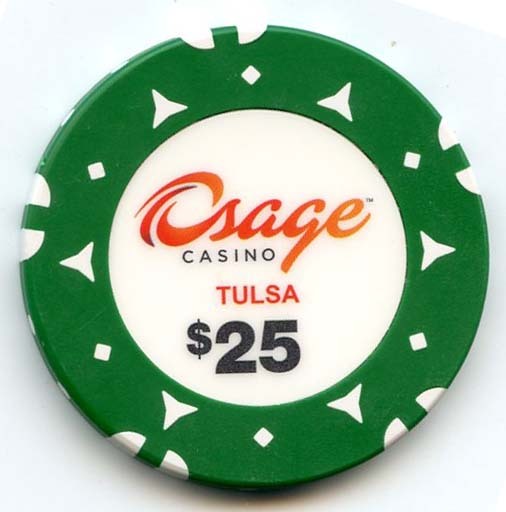 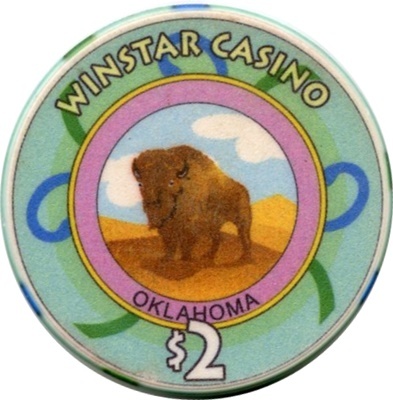 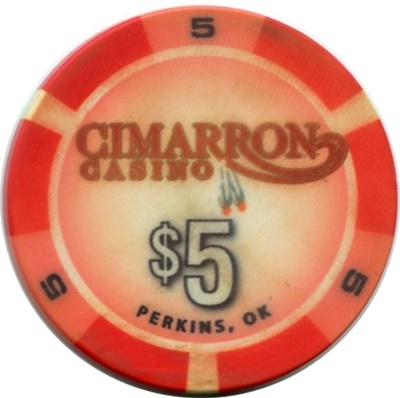 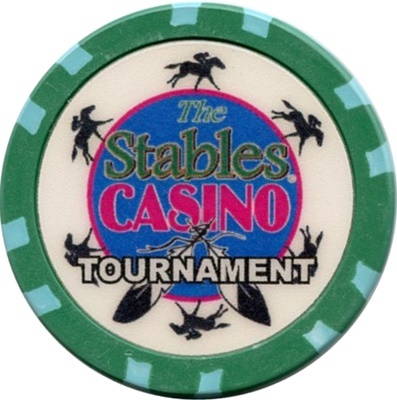 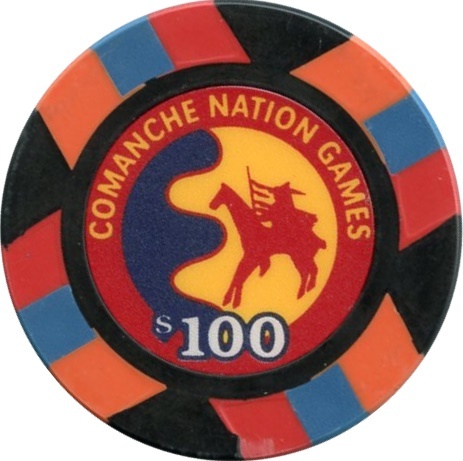 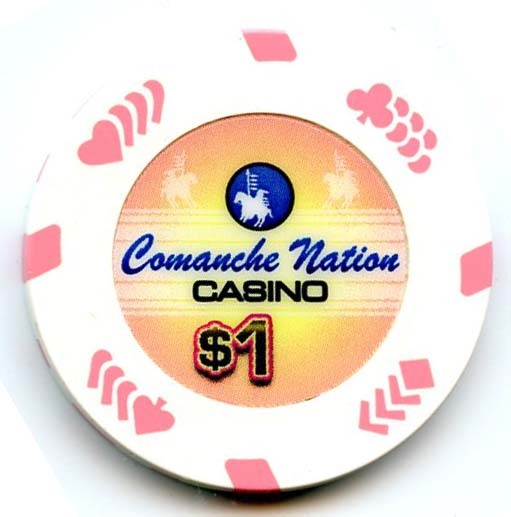 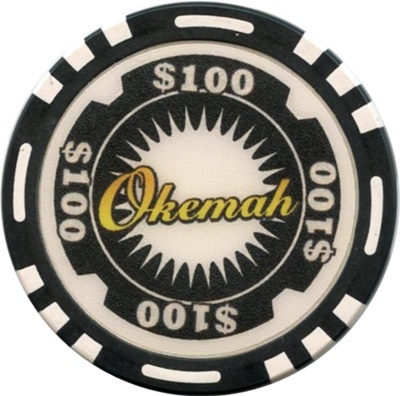 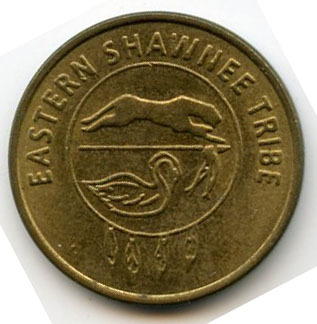 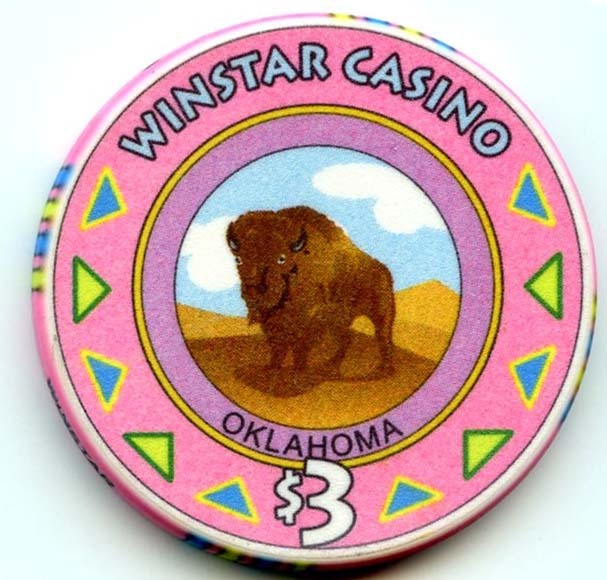 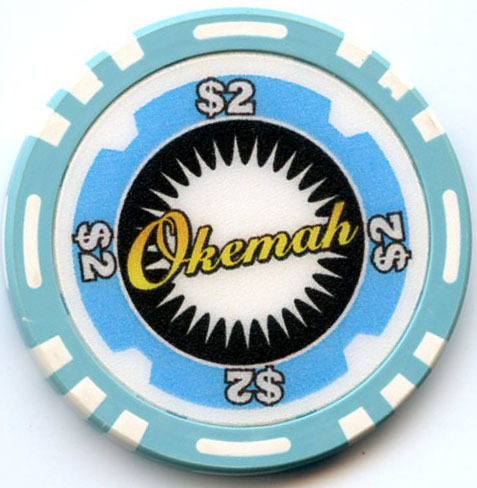 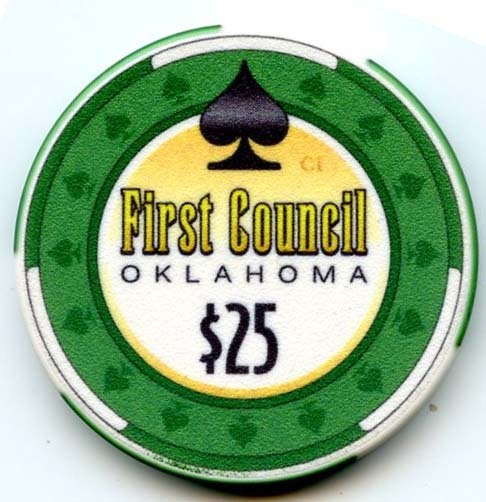 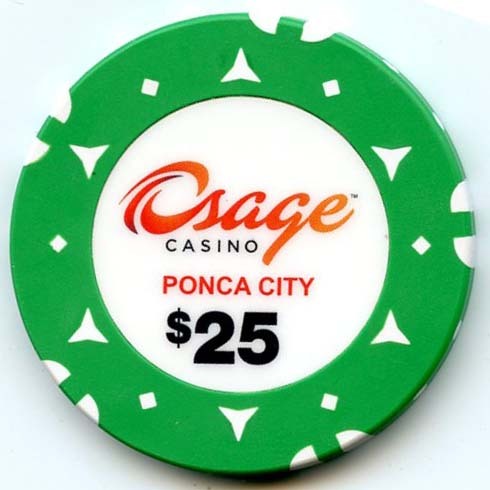 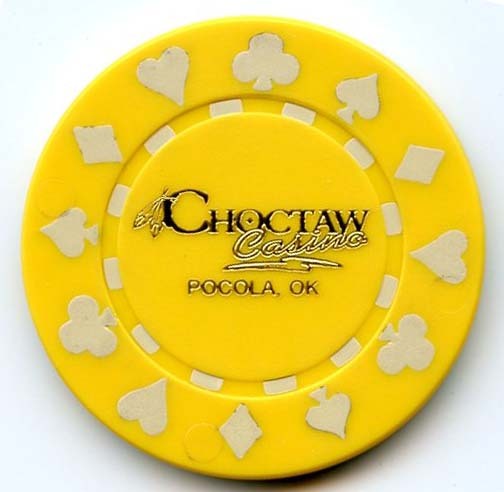 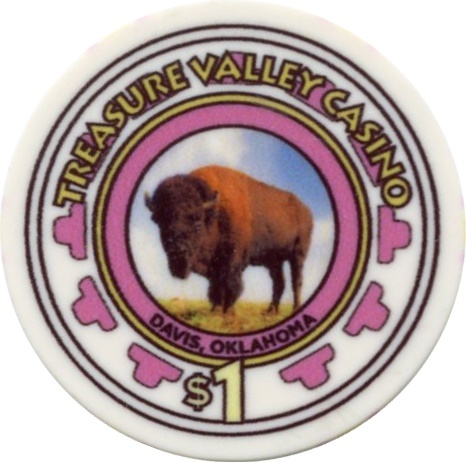 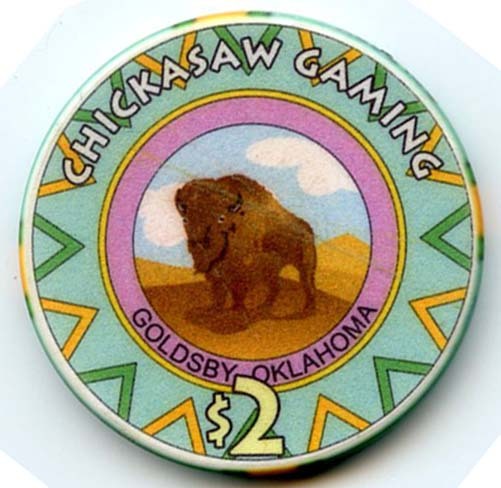 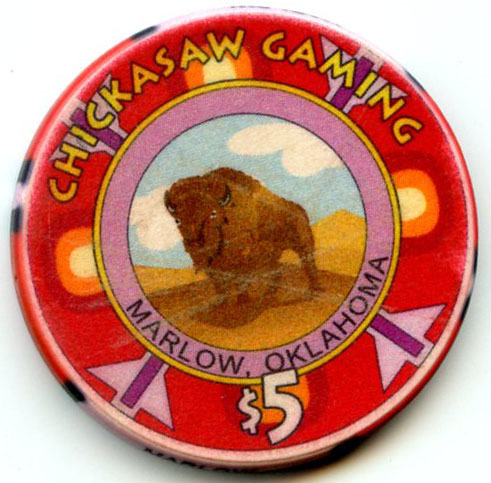 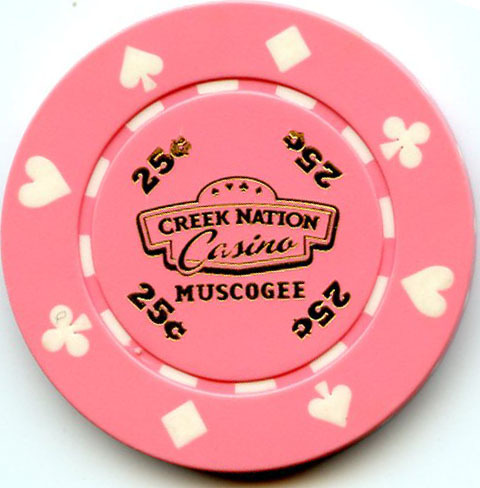 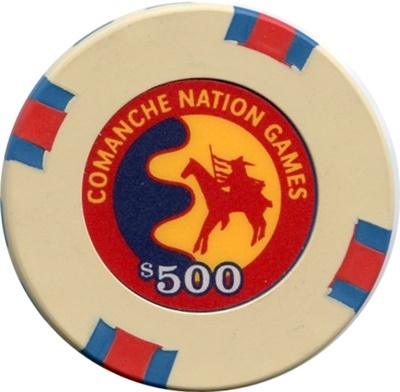 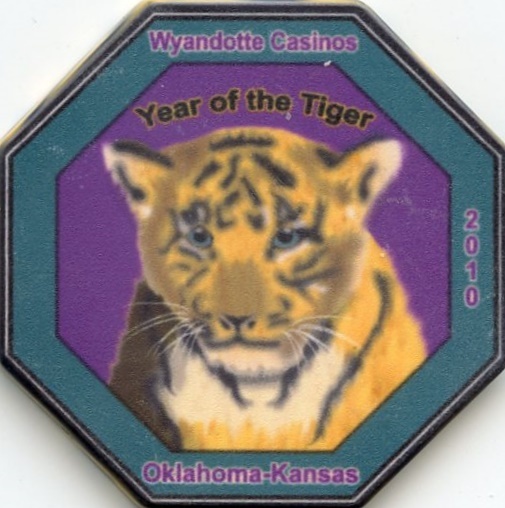 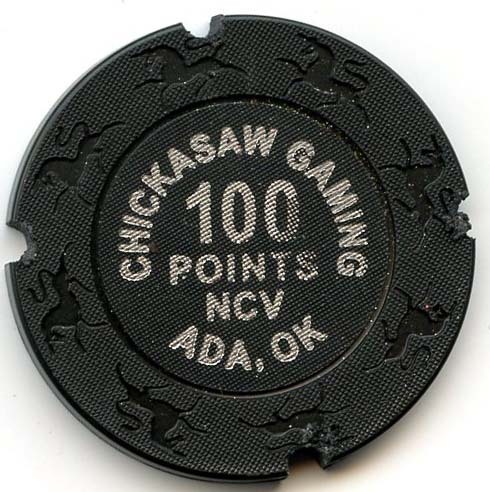 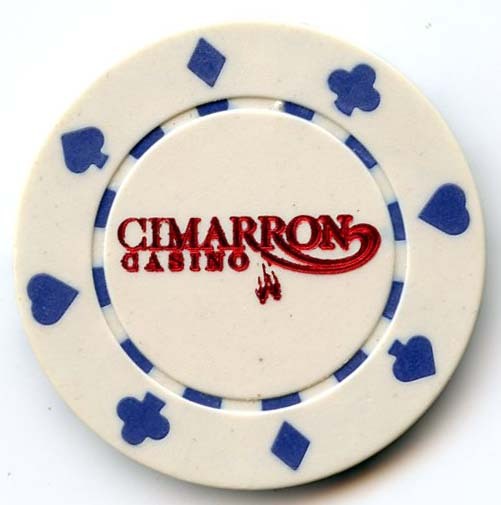 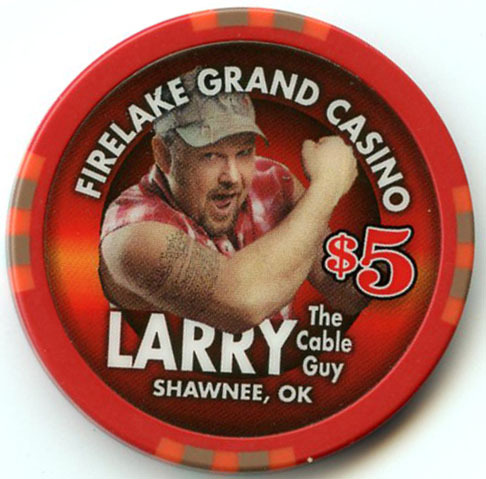 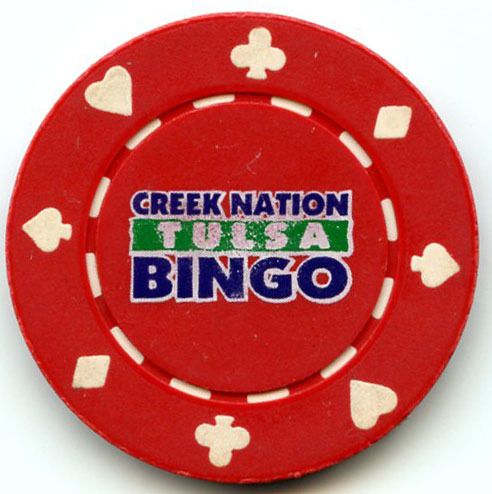 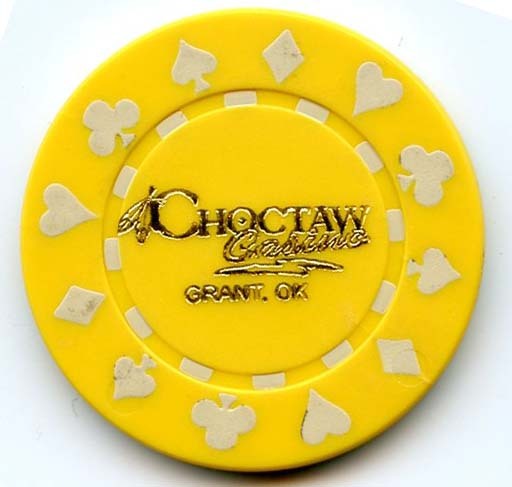 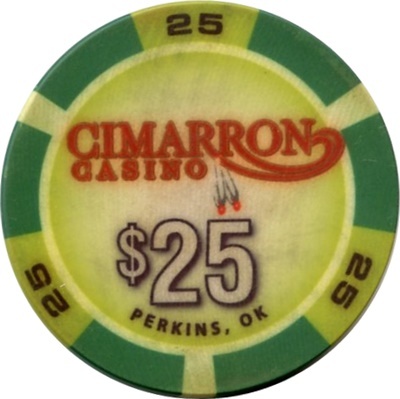 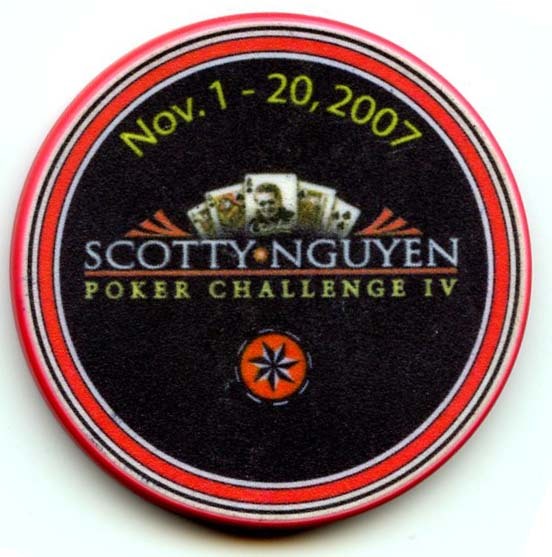 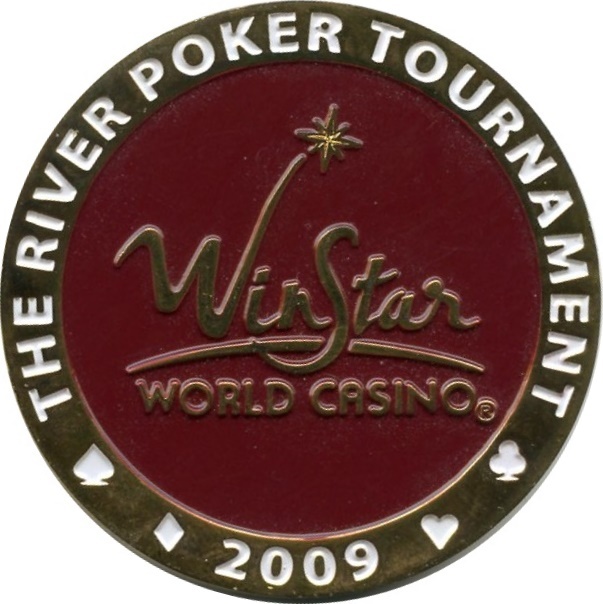 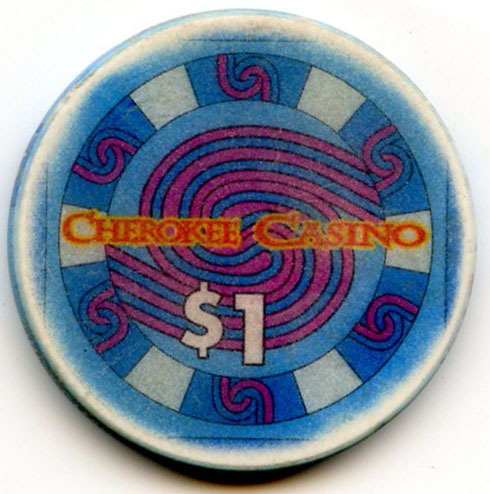 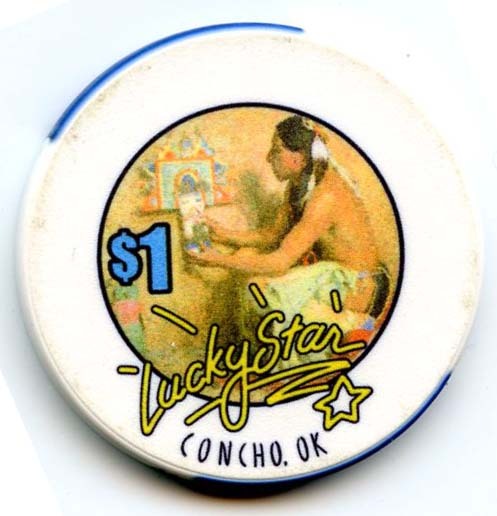 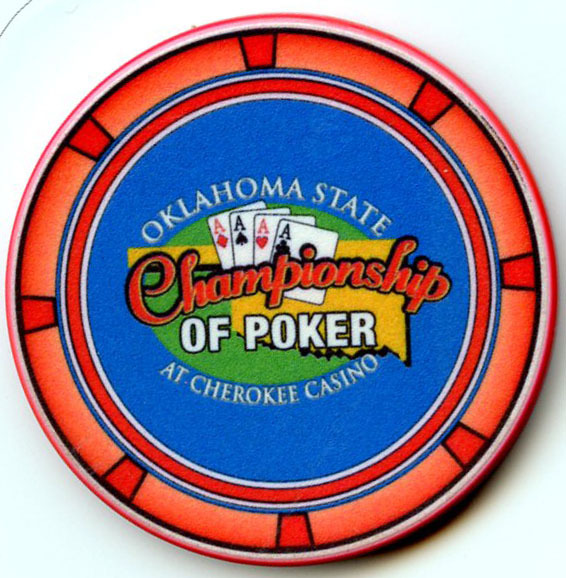 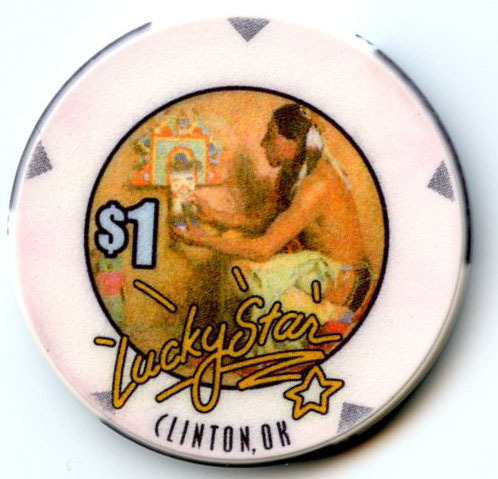 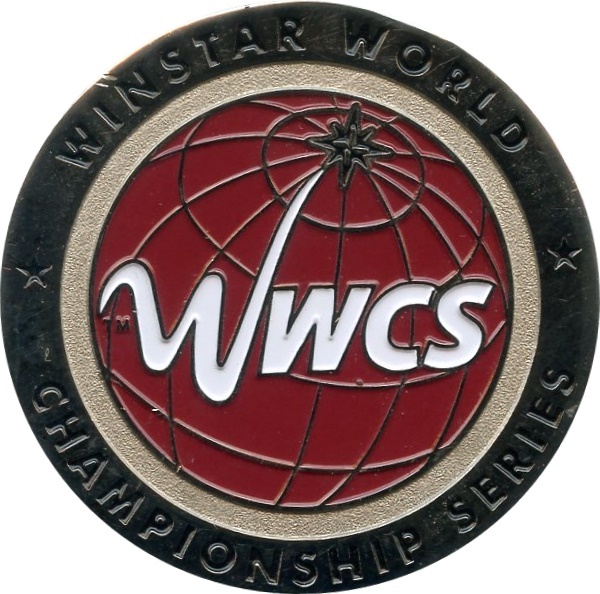 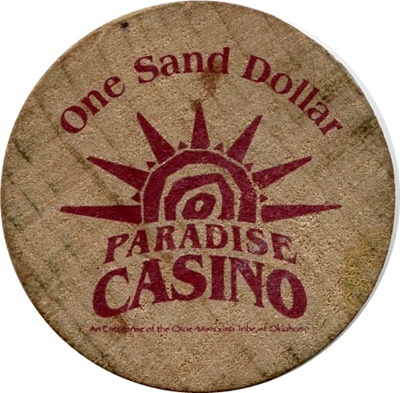 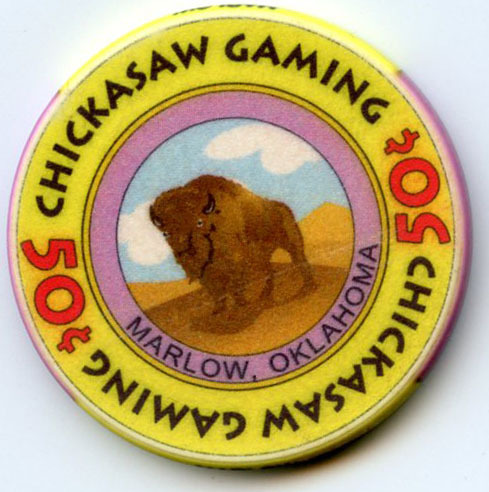 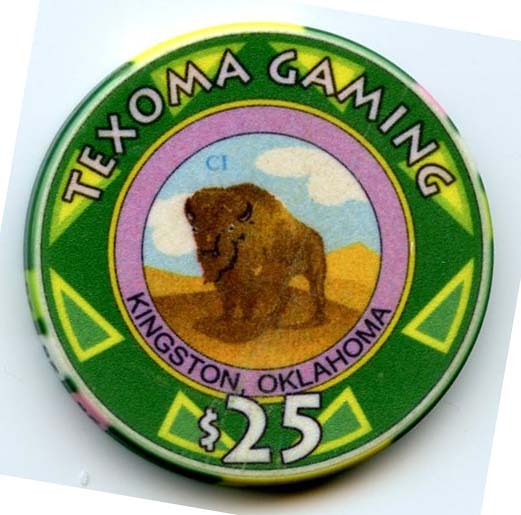 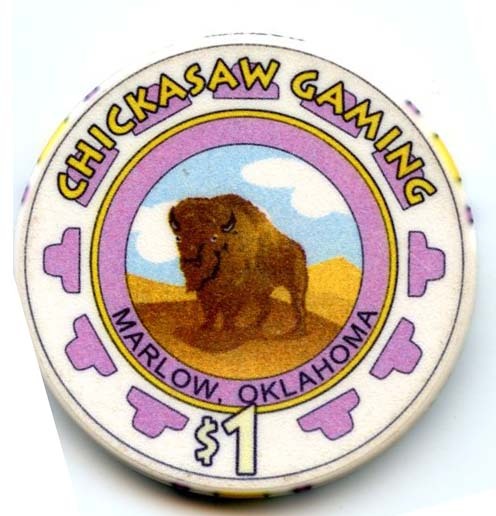 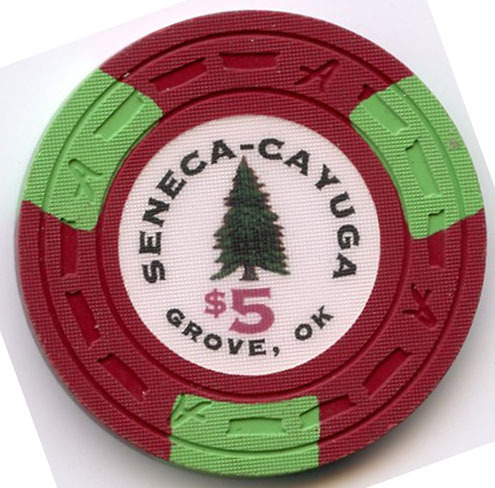 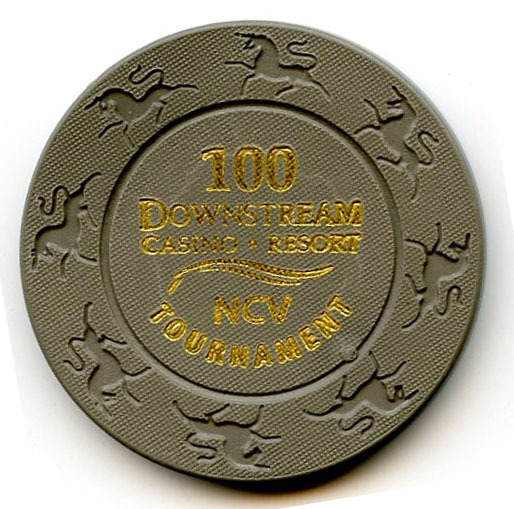 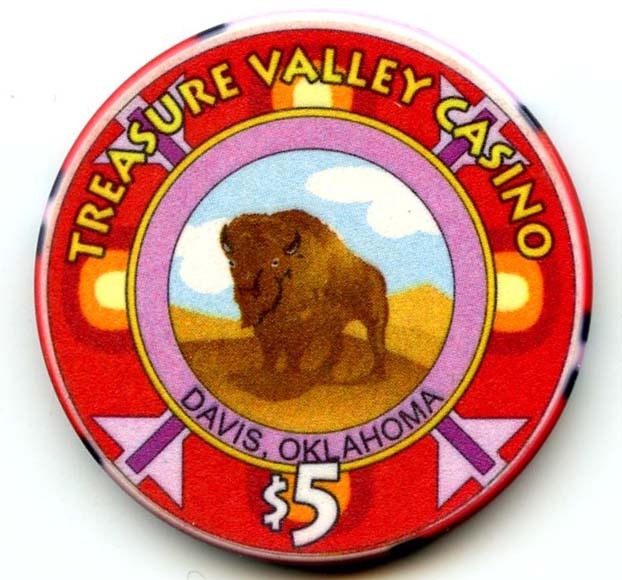 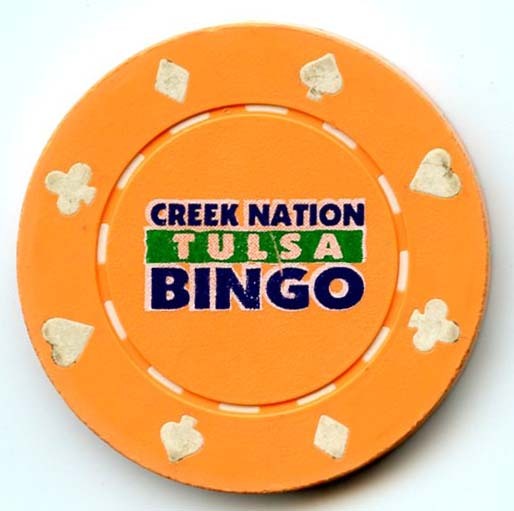 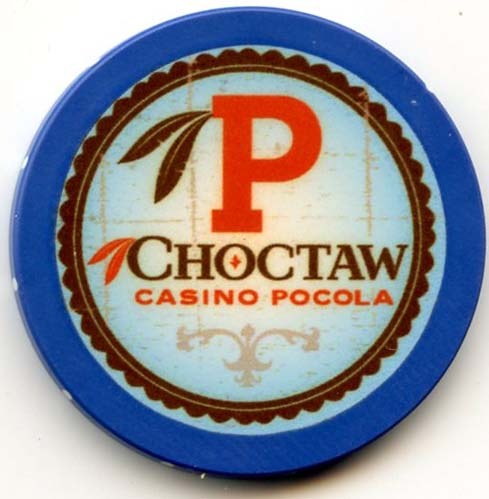 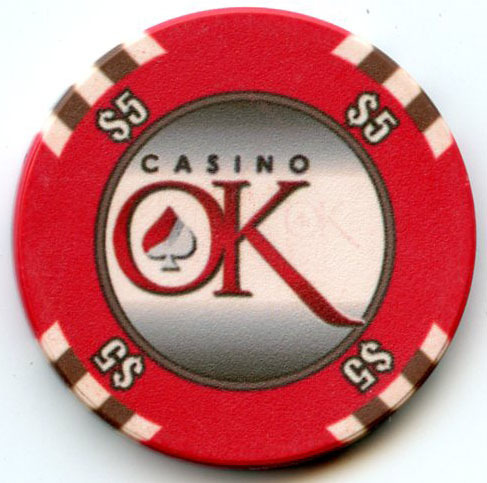 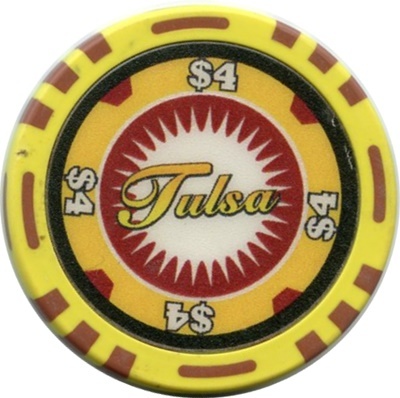 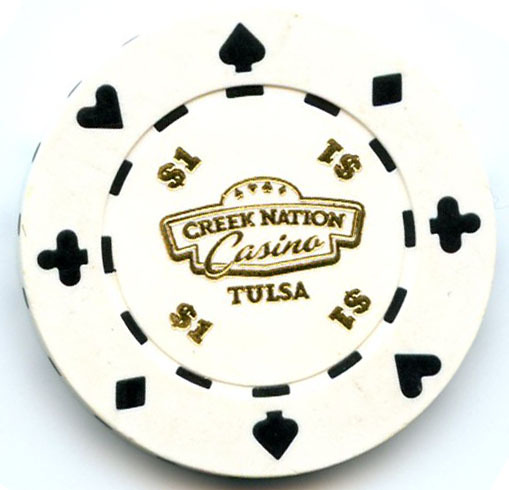 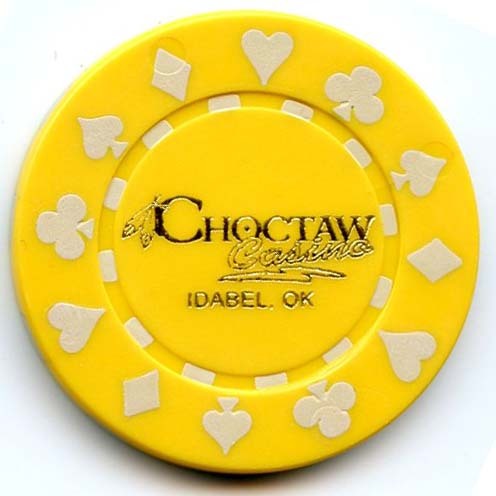 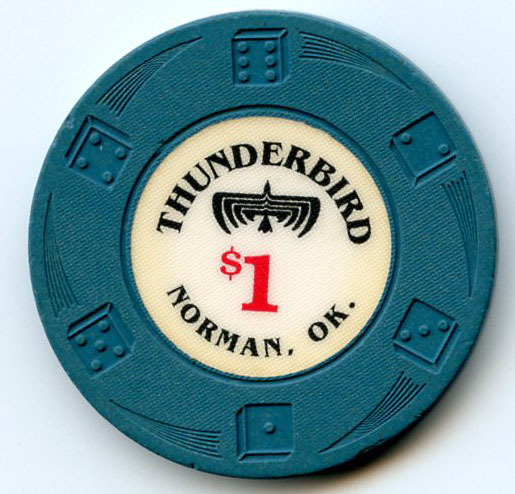 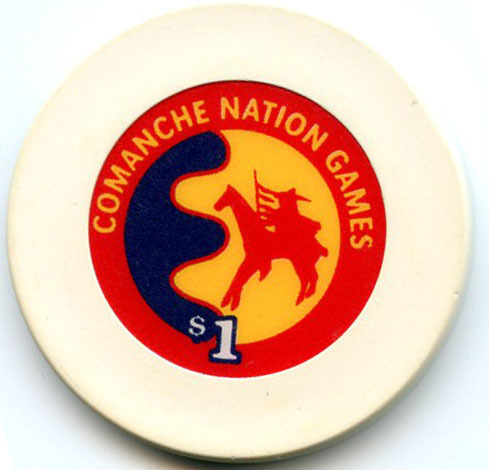 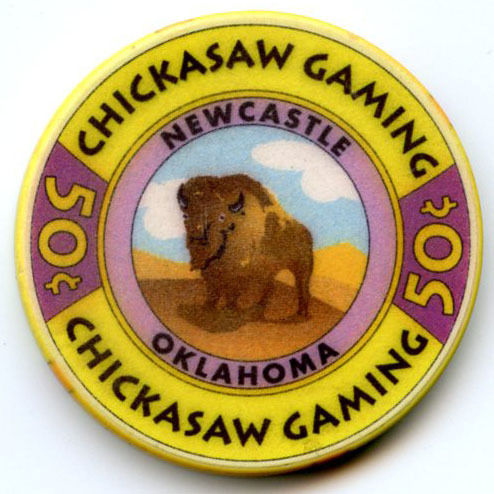 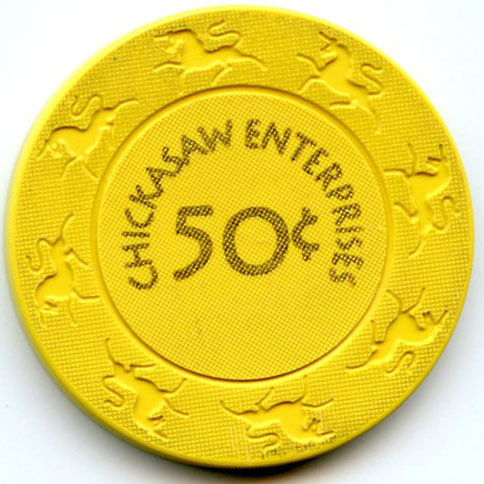 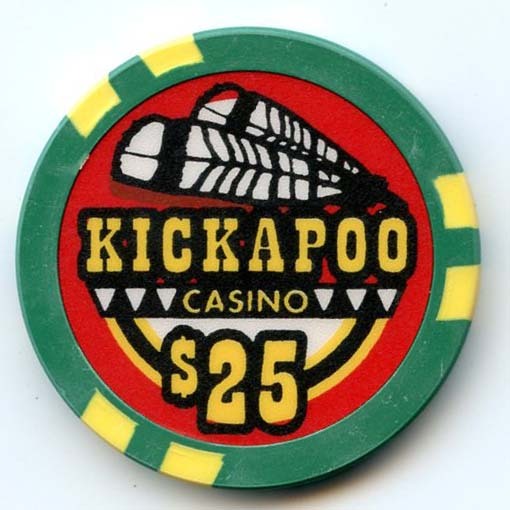 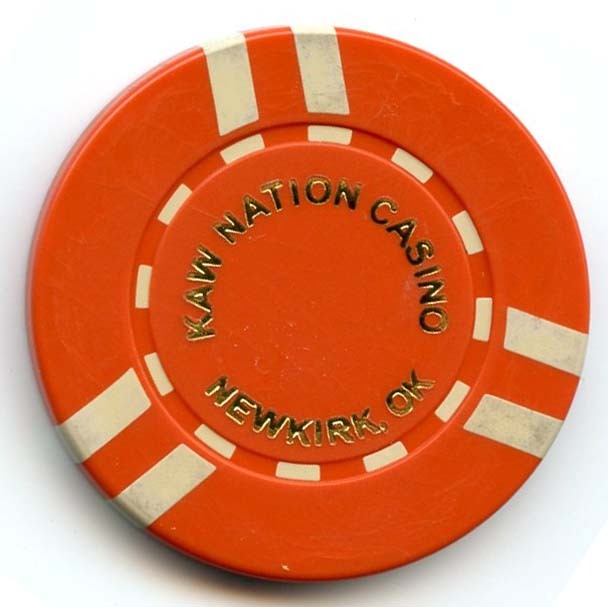 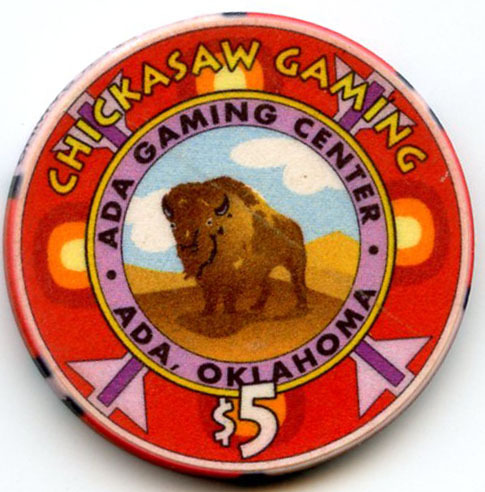 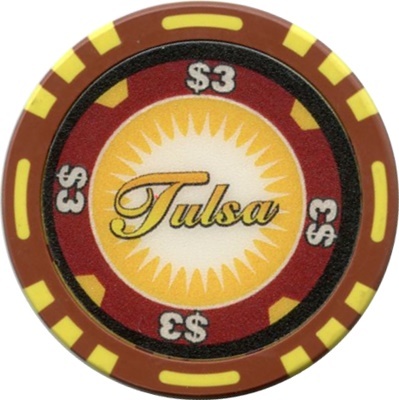 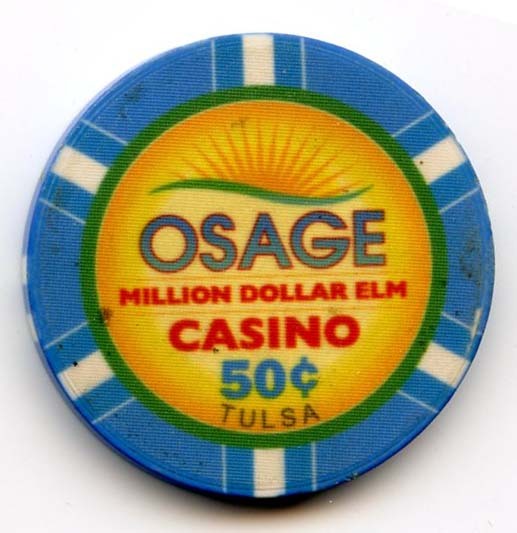 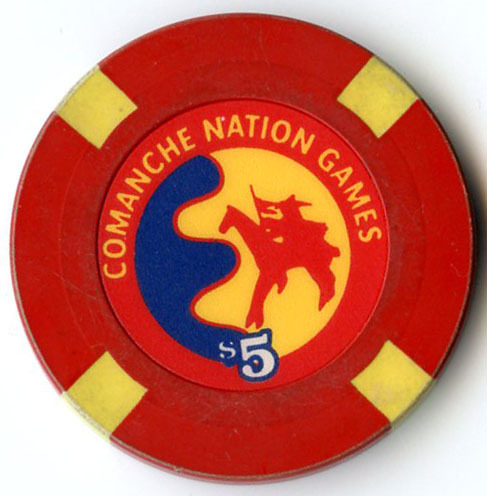 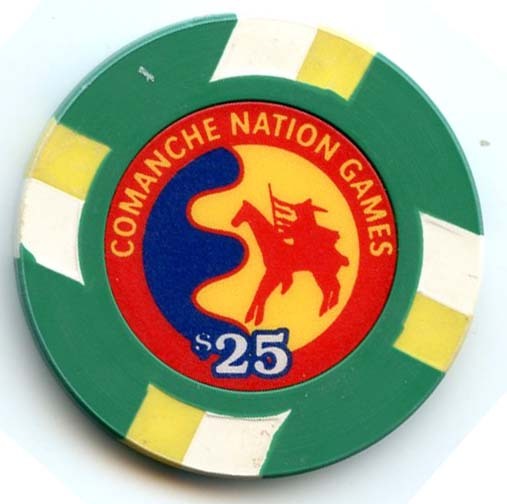 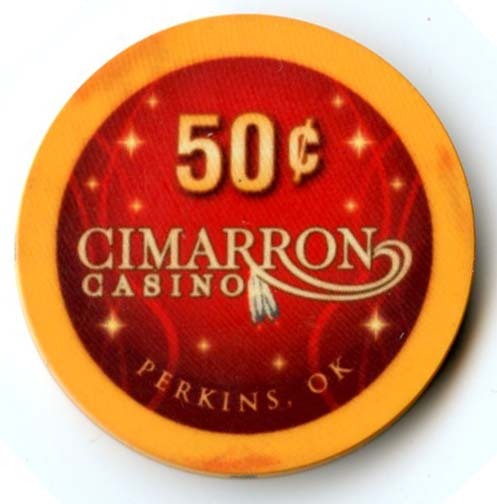 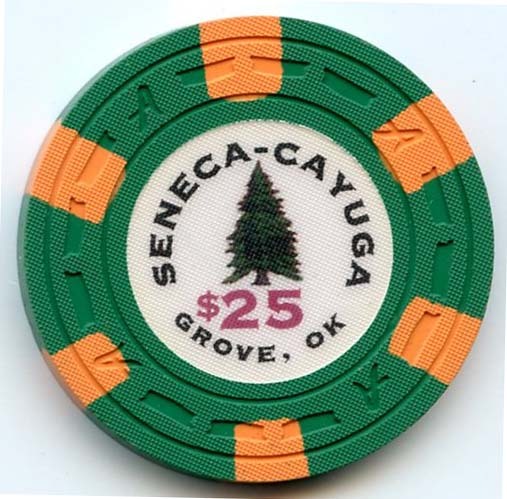 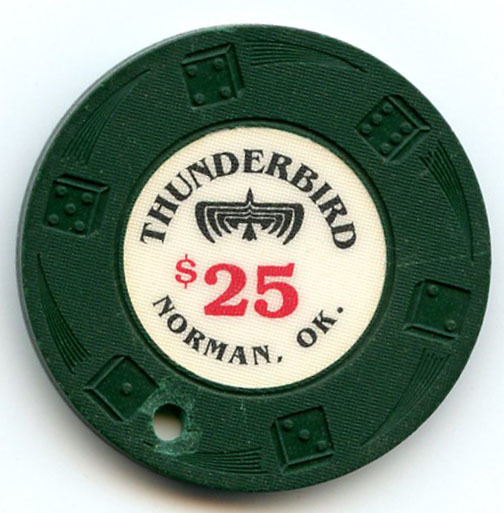 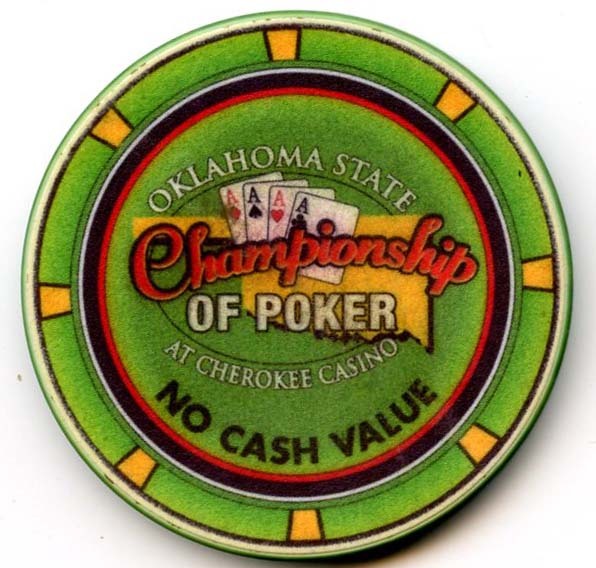 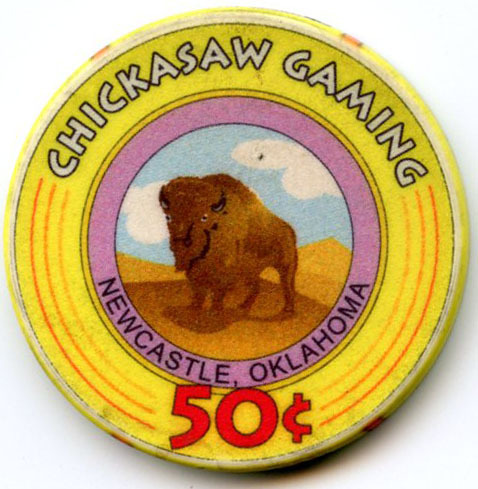 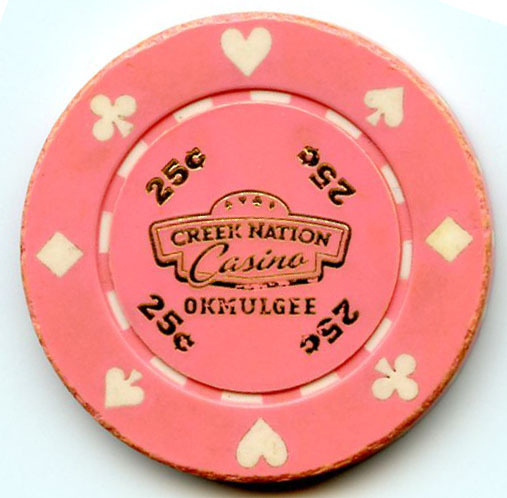 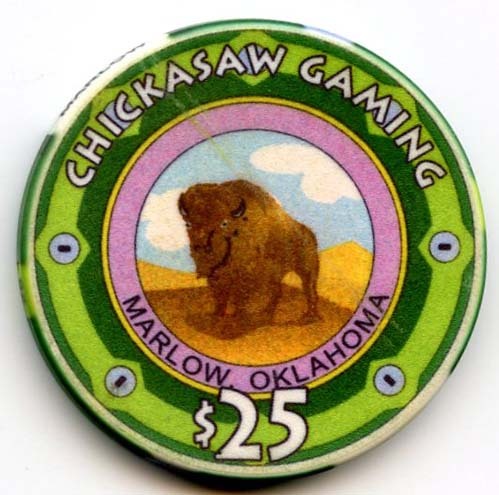 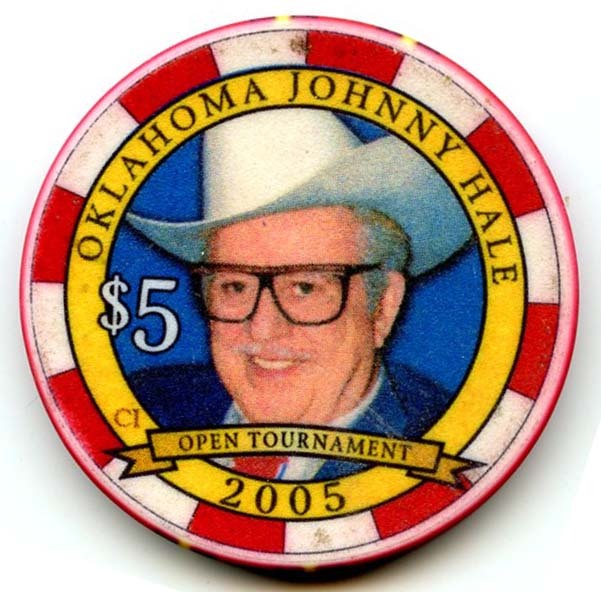 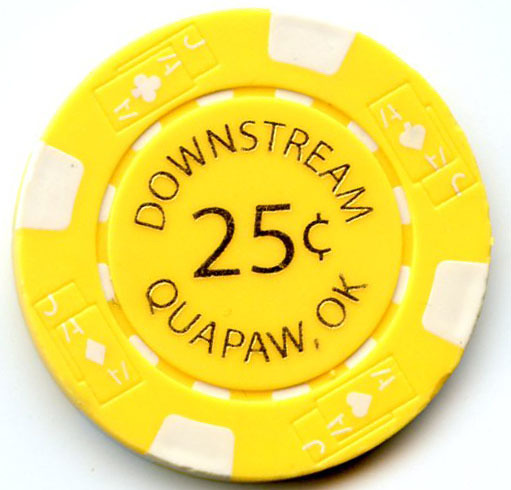 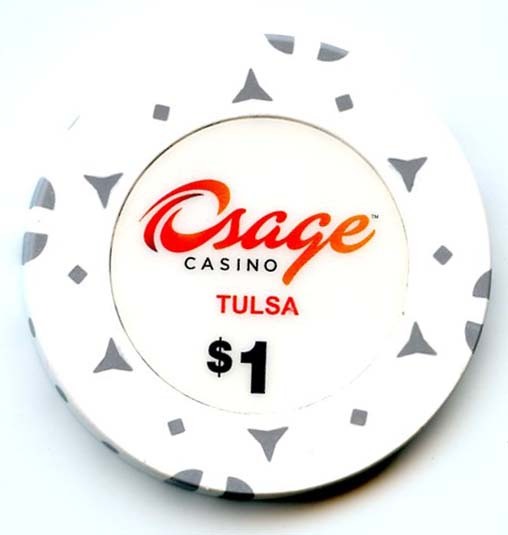 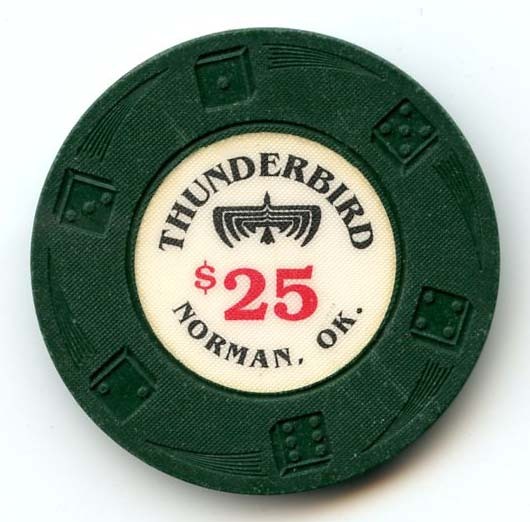 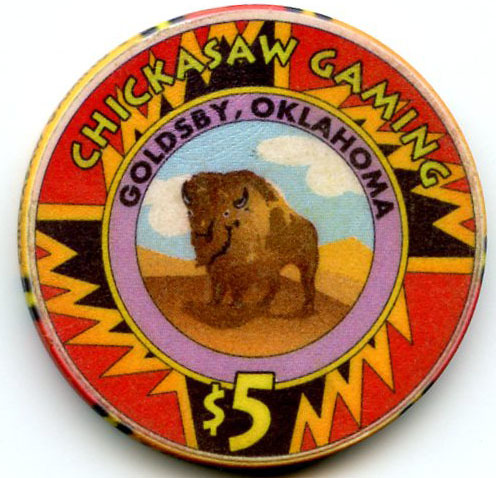 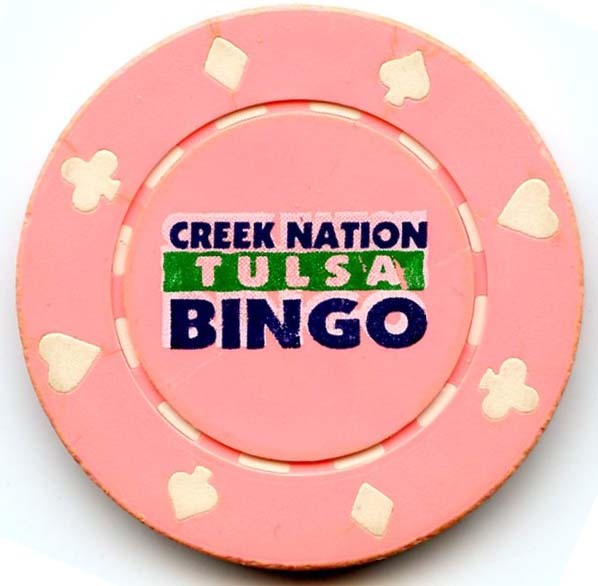 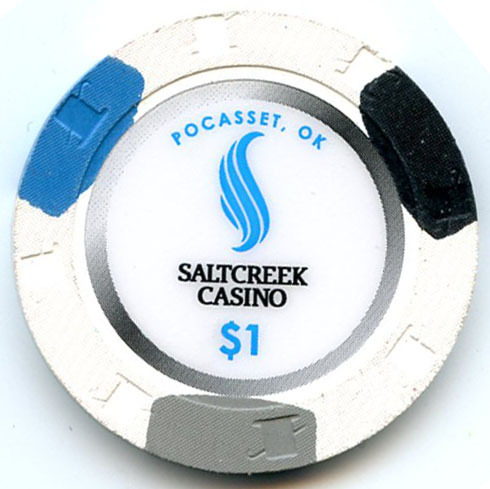 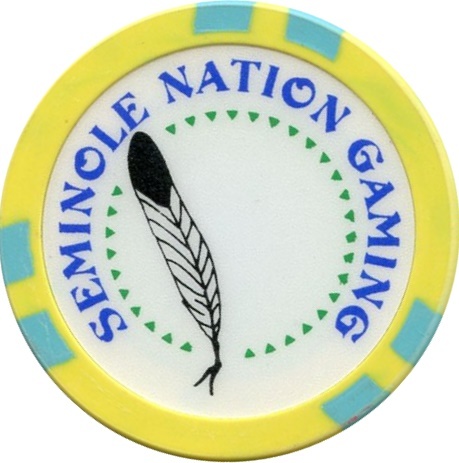 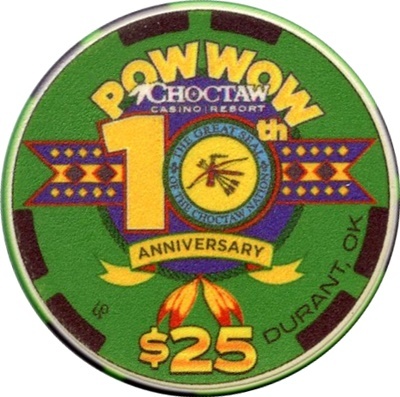 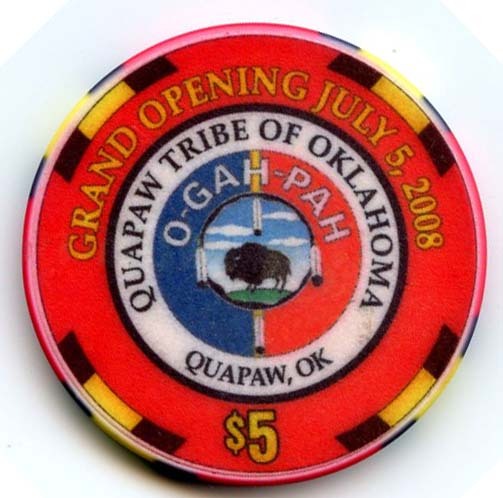 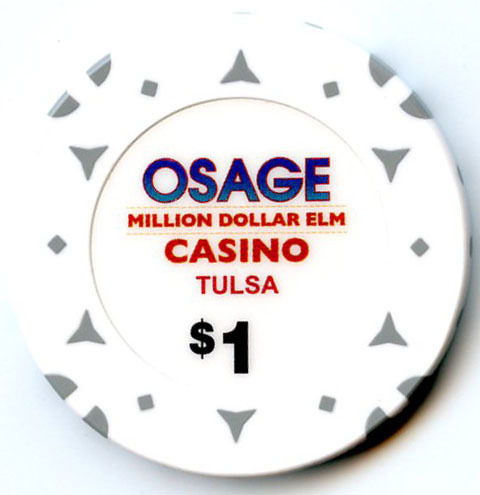 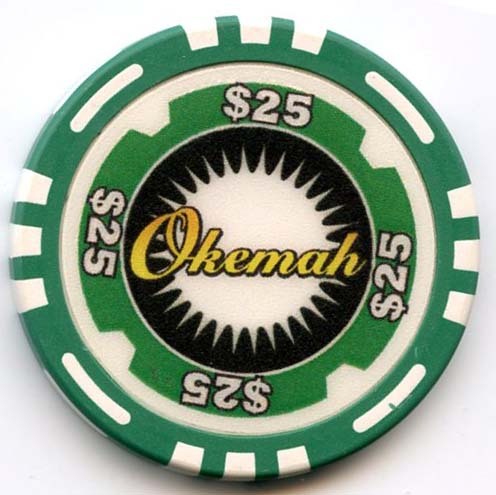 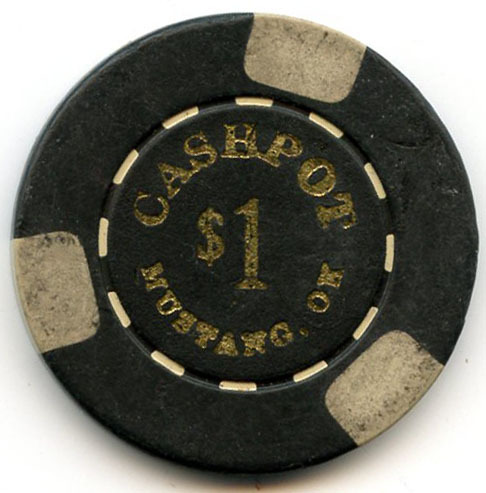 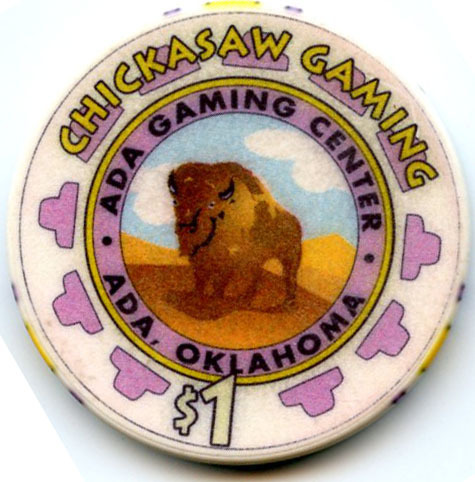 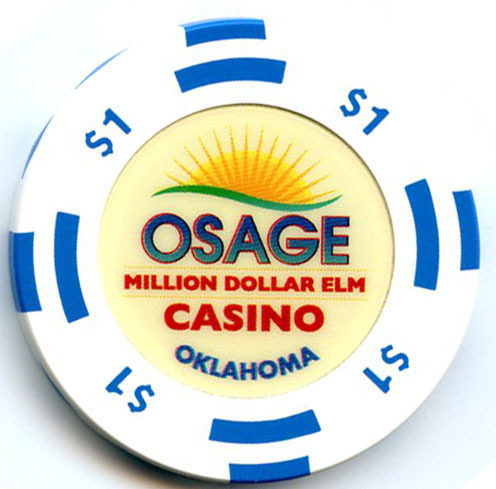 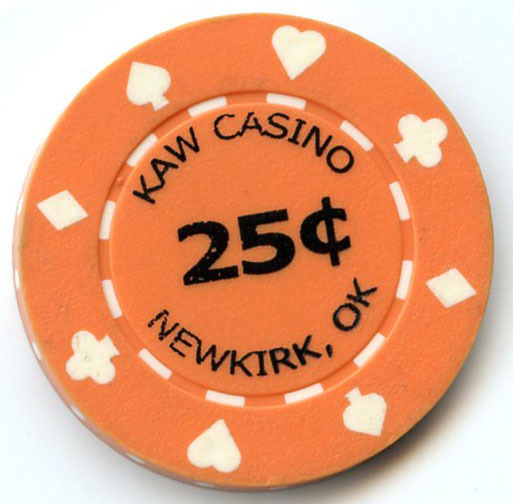 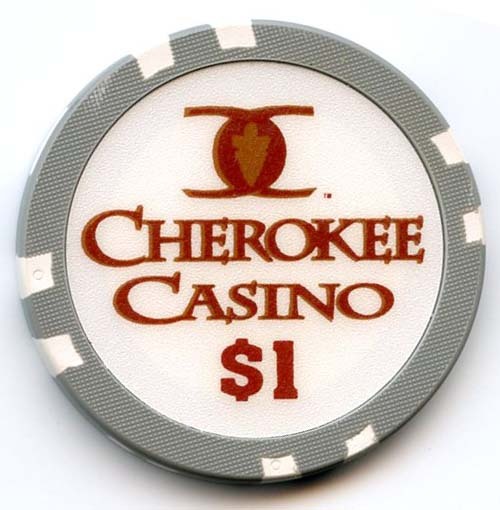 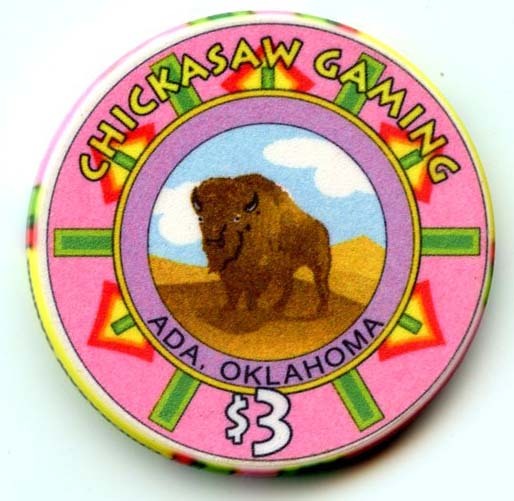 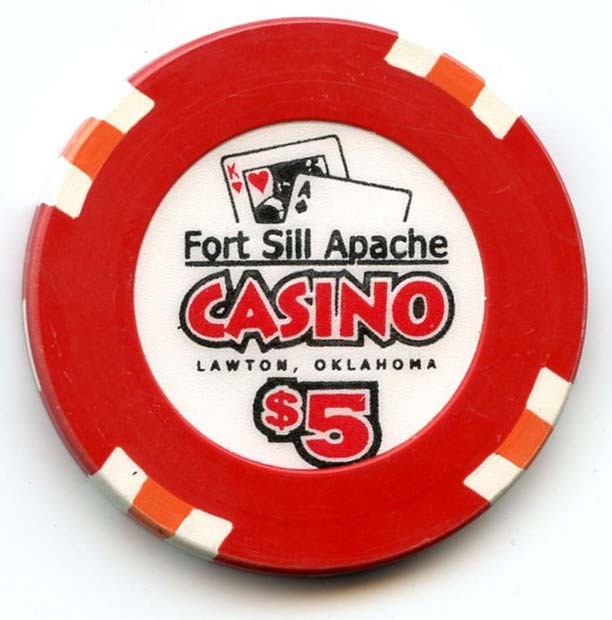 This Page is dedicated to Carl Shalit, Tim Pierce and Ed Eastridge who helped me along the way to build one of the best Oklahoma chip collections. 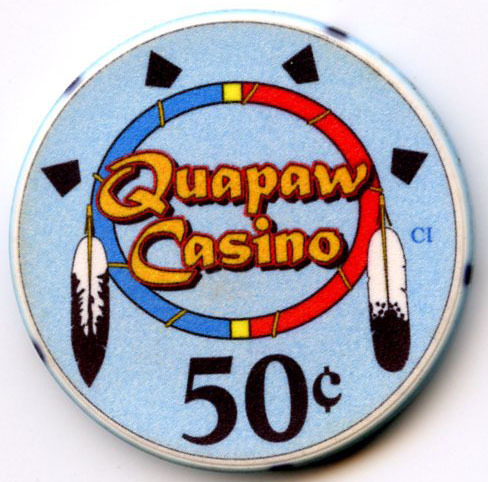 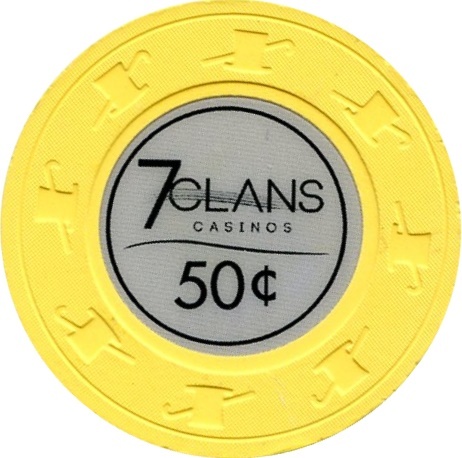 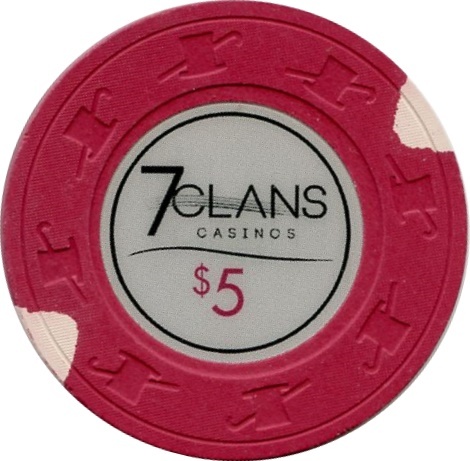 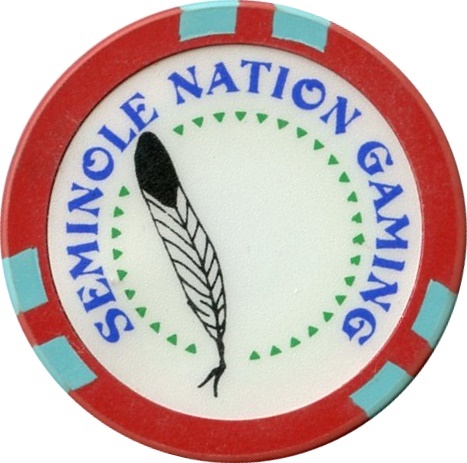 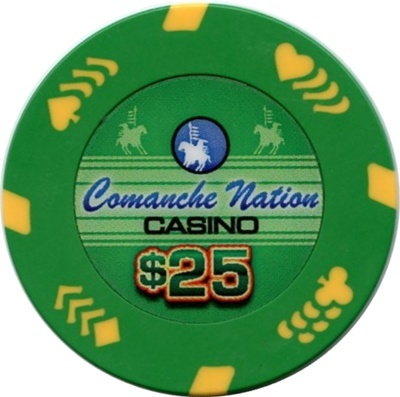 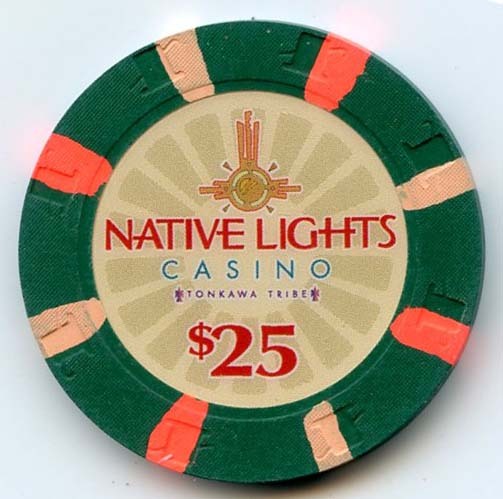 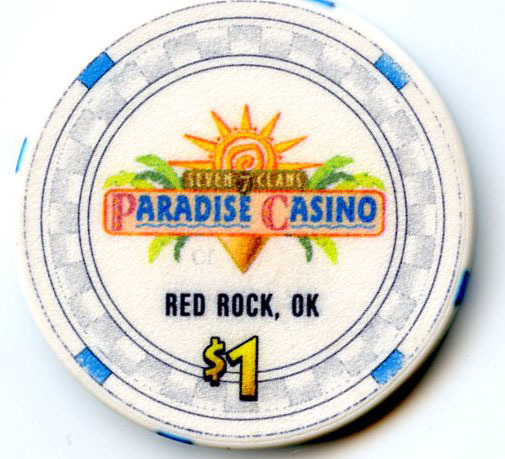 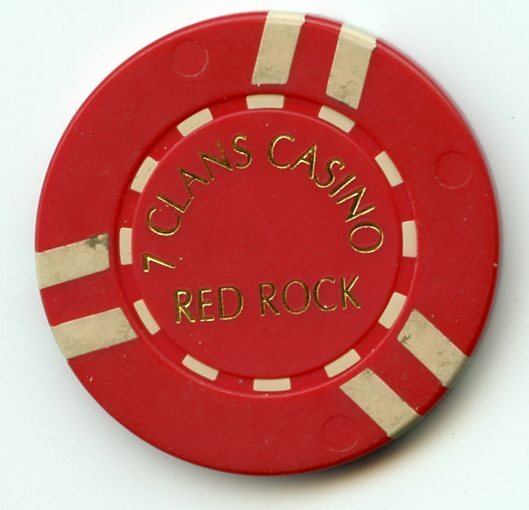 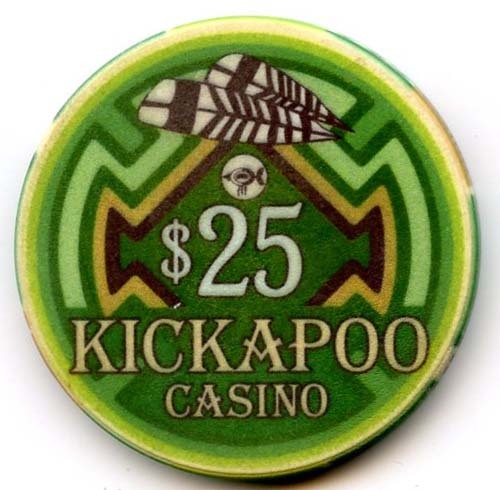 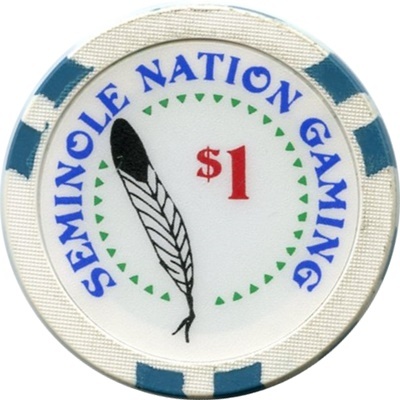 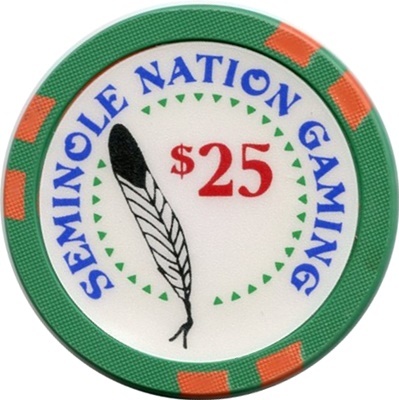 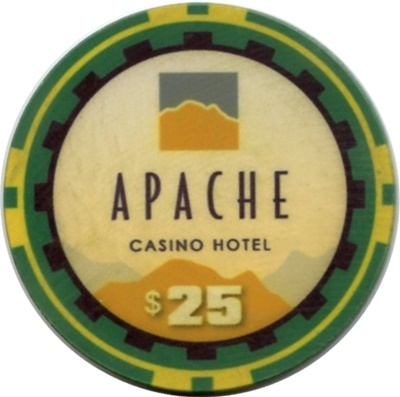 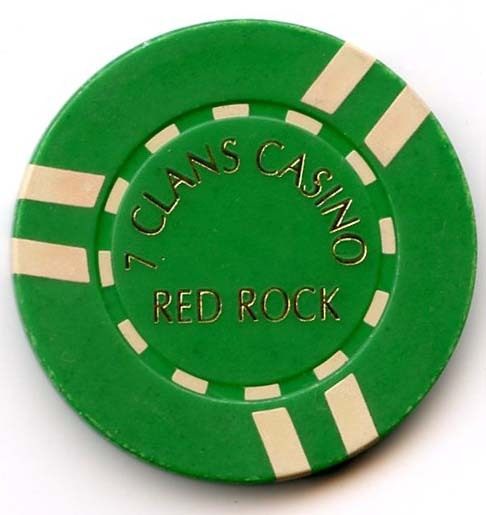 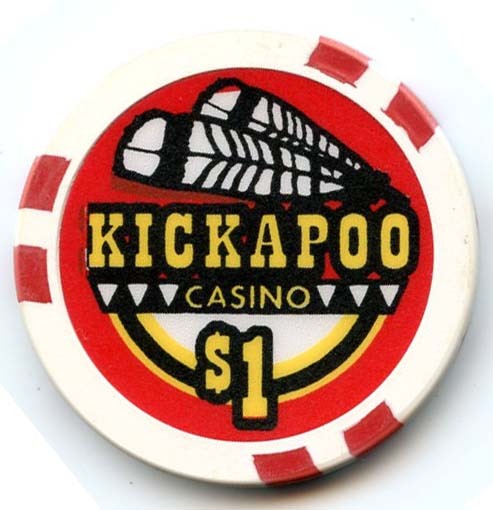 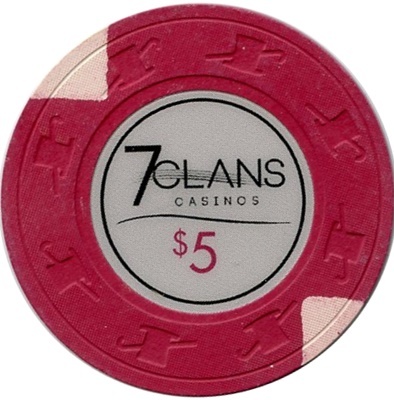 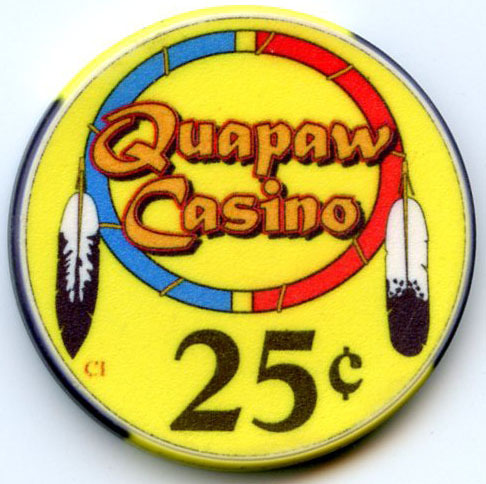 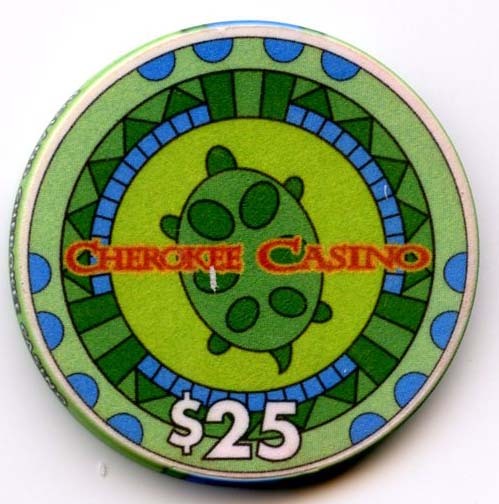 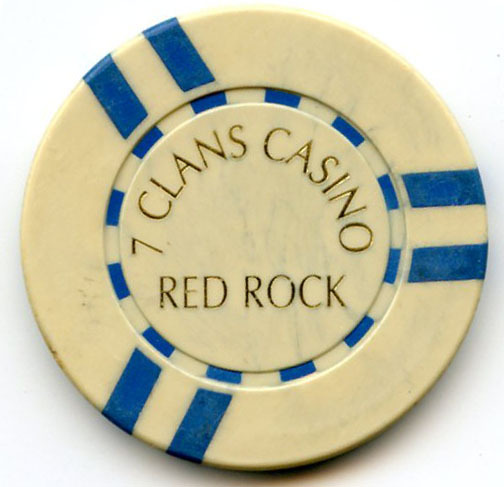 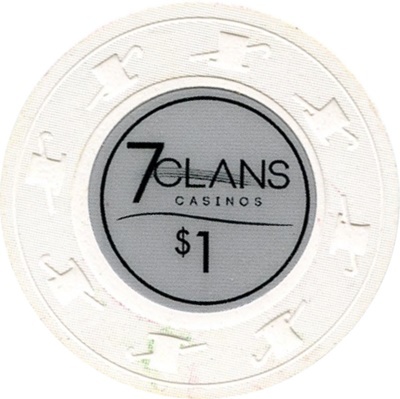 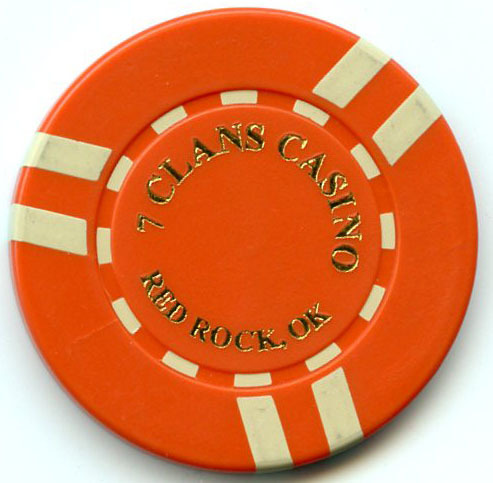 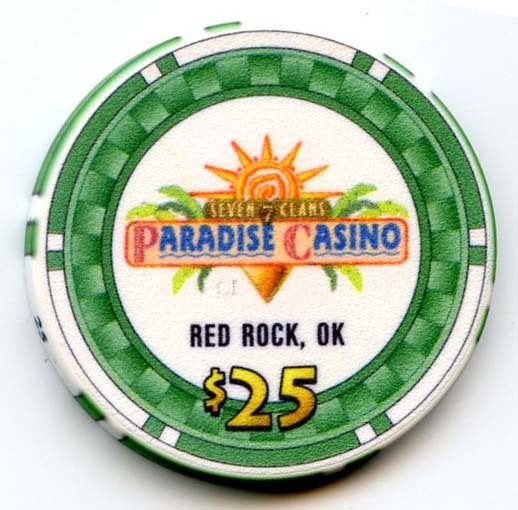 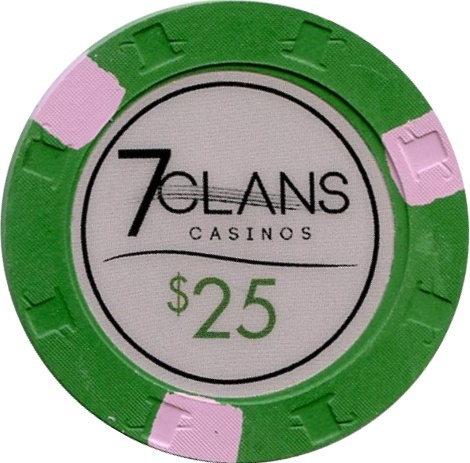 7 Clans Red Rock Casino, Red Rock OK (Open) Slots Only. 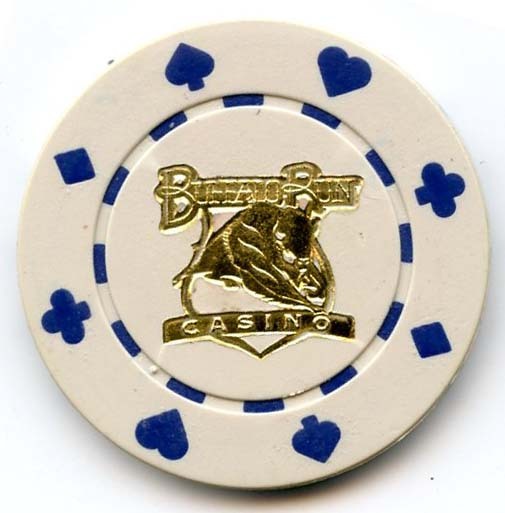 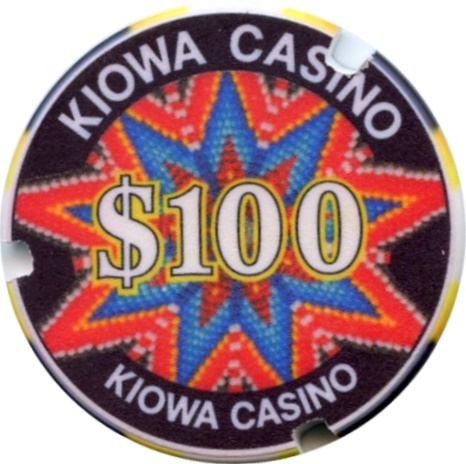 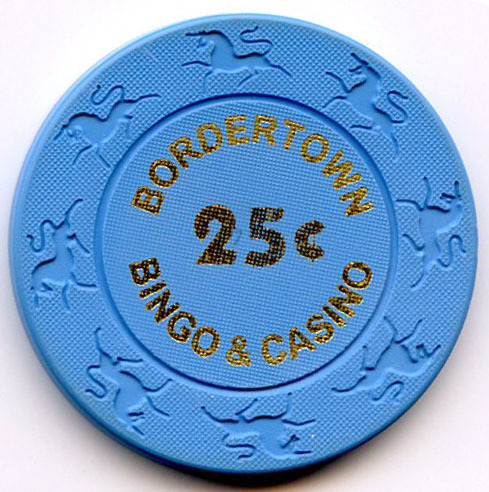 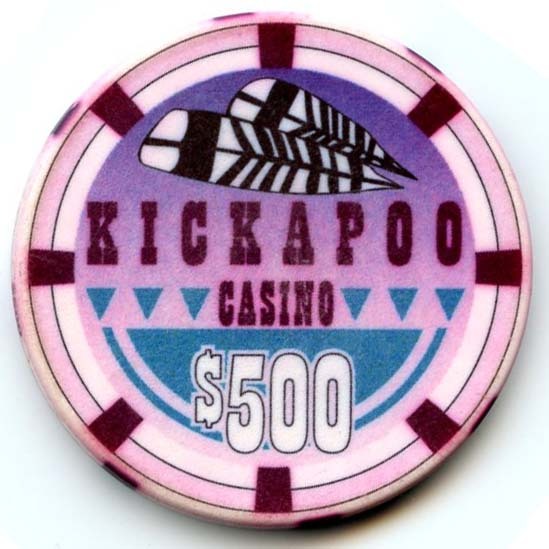 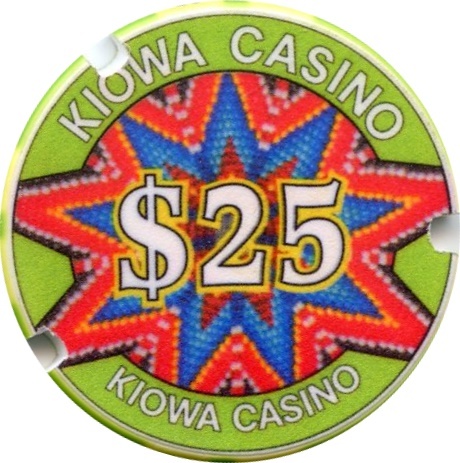 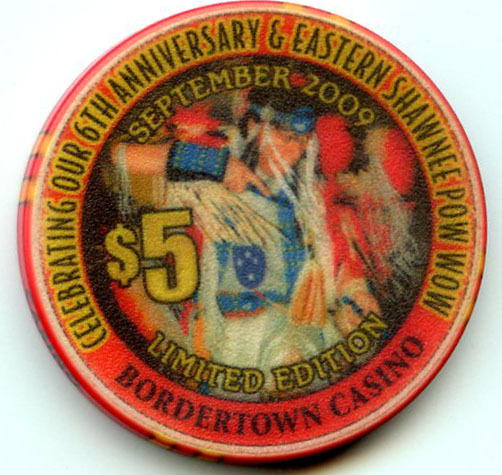 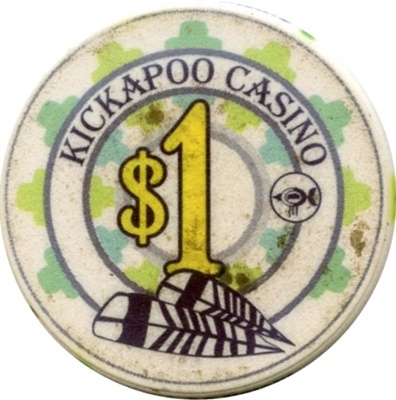 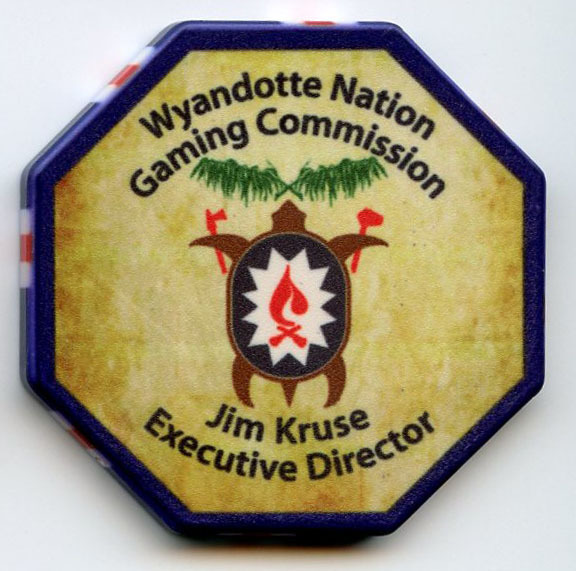 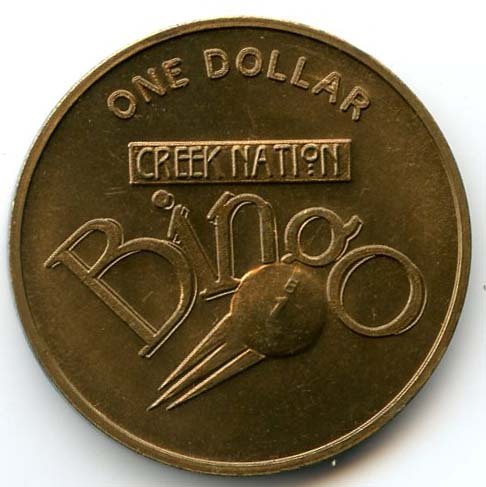 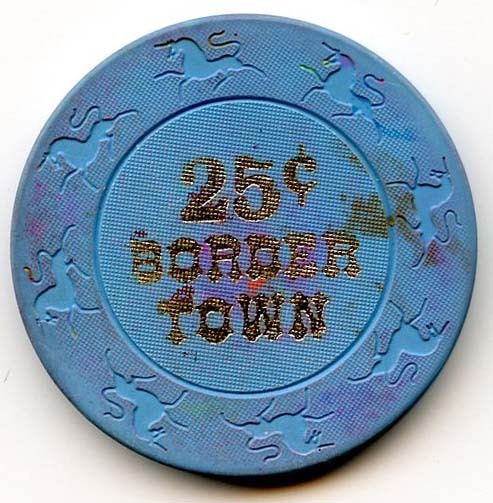 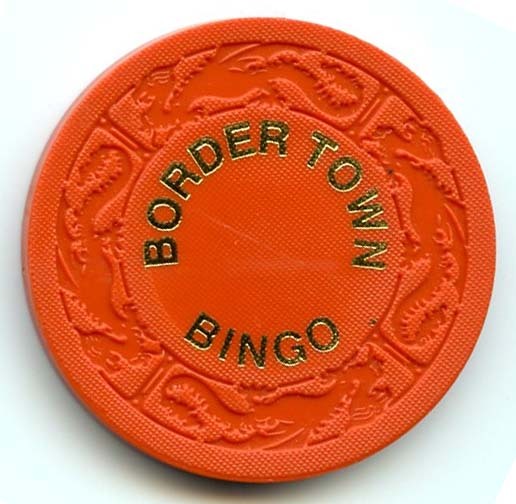 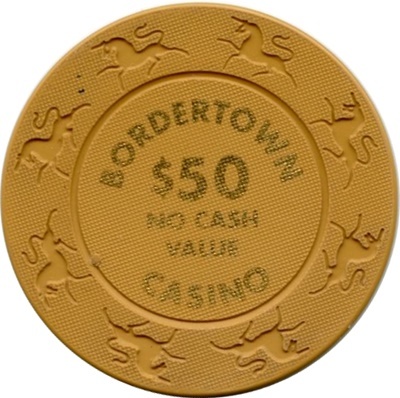 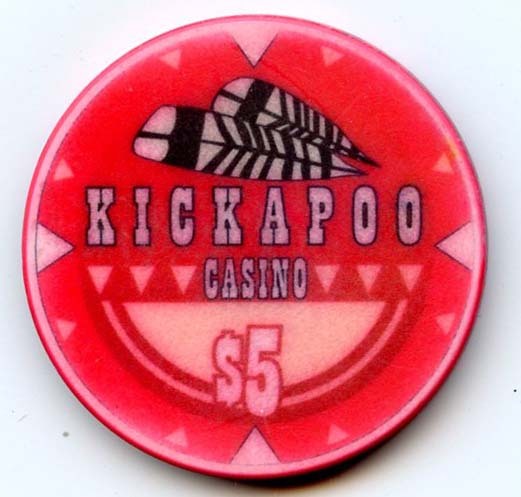 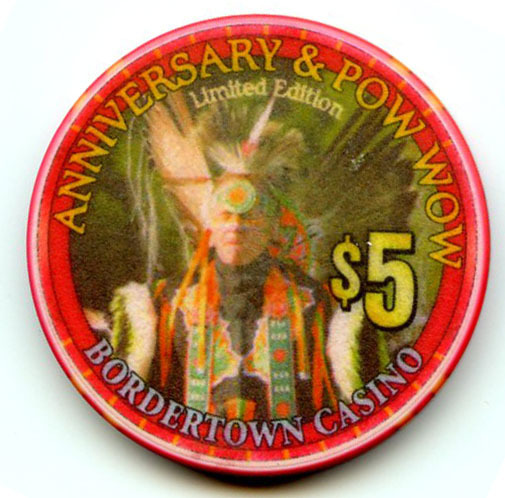 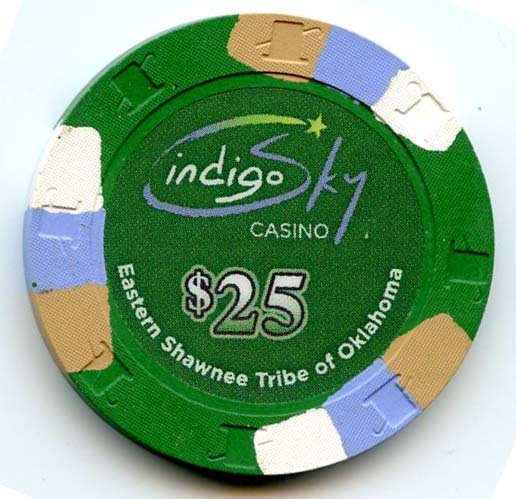 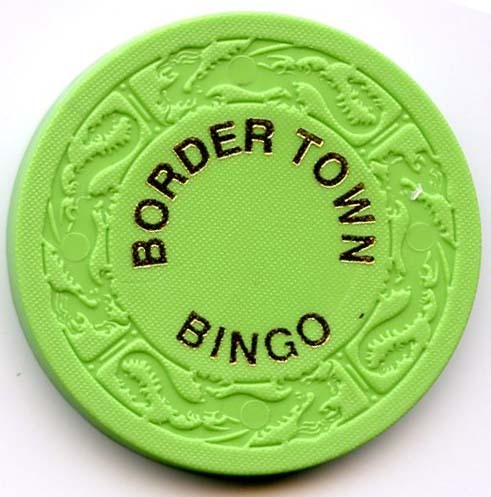 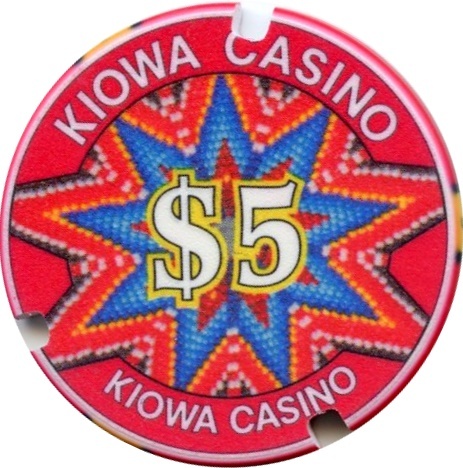 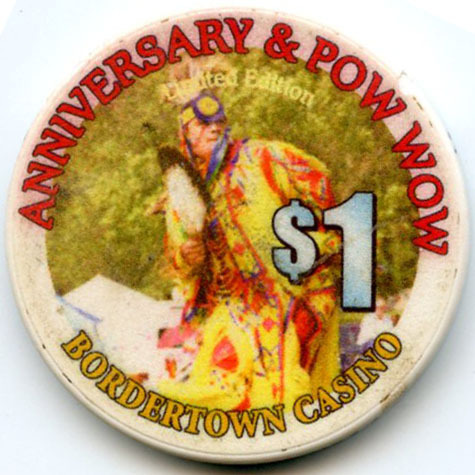 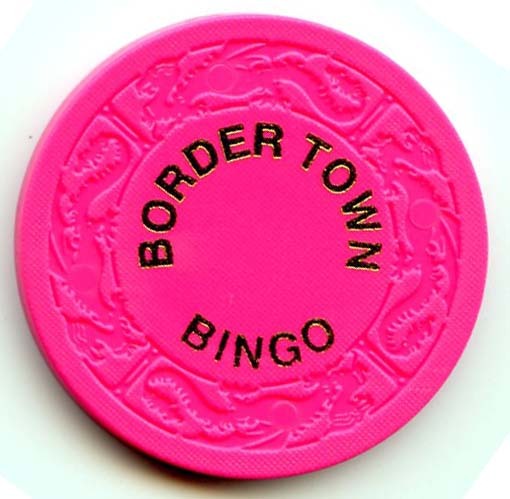 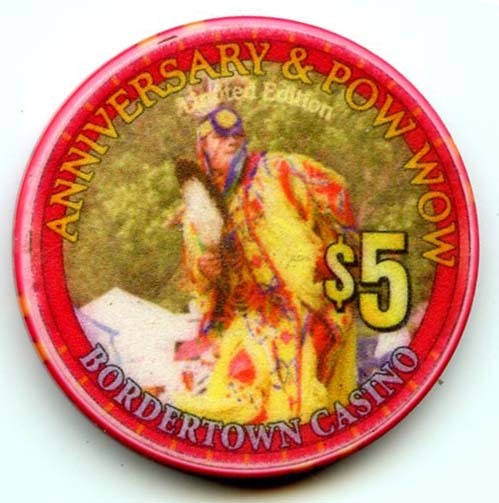 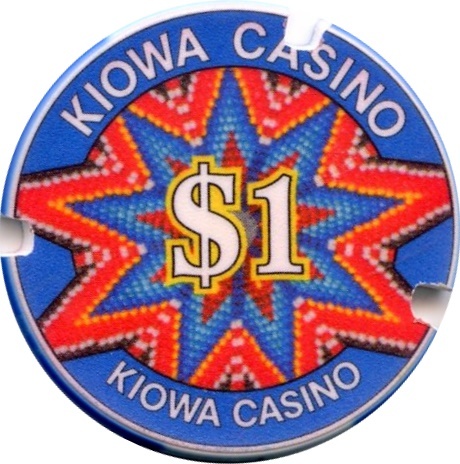 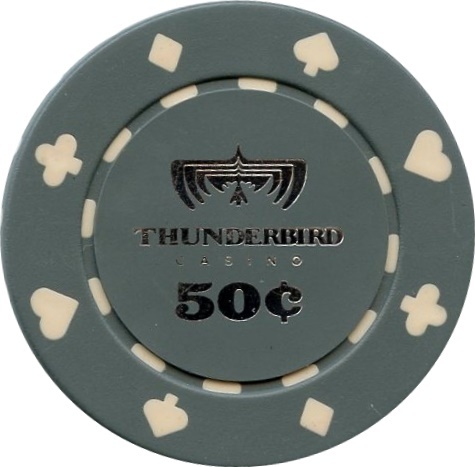 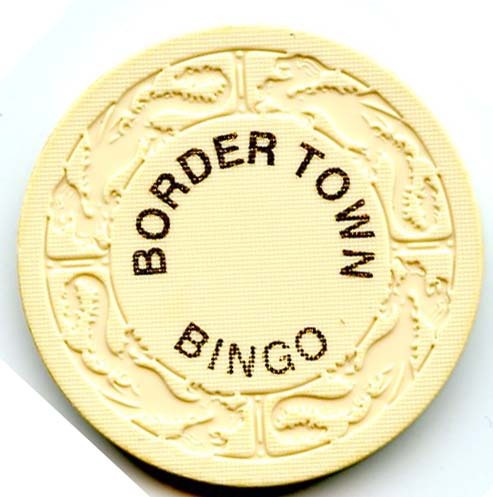 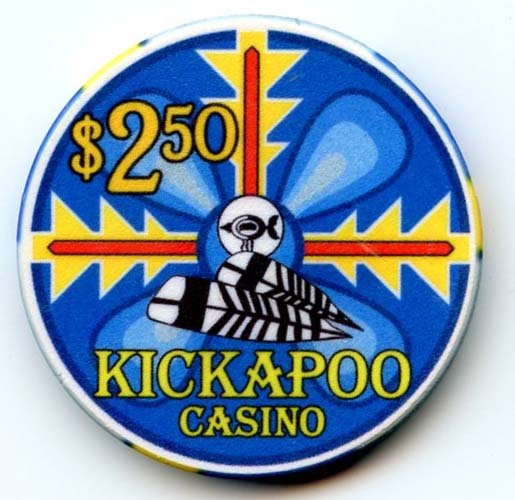 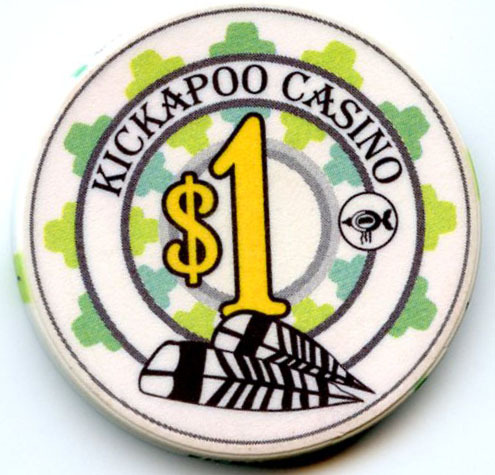 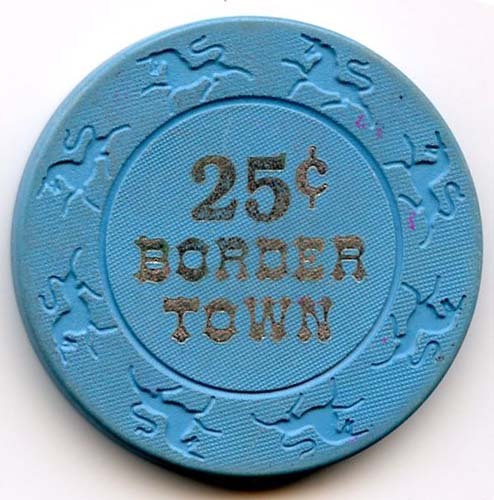 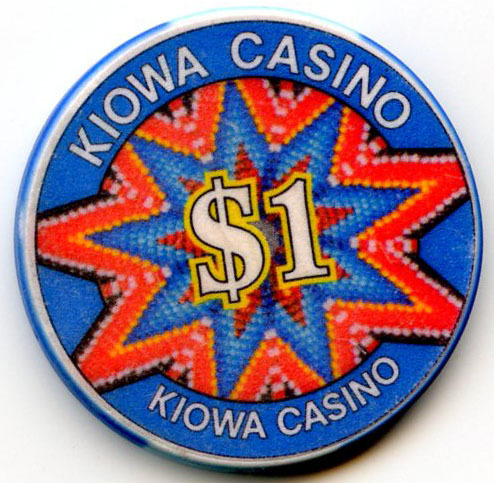 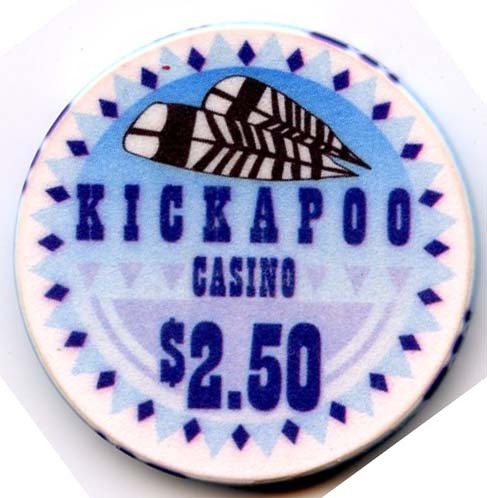 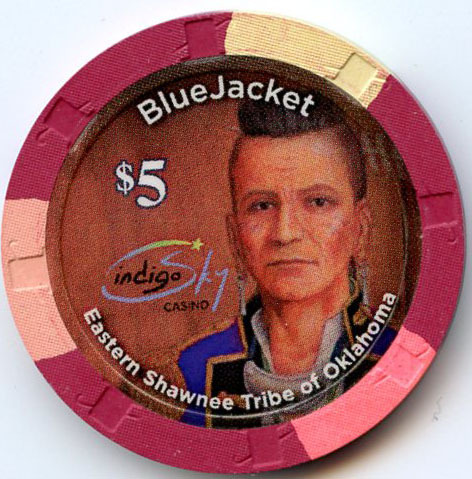 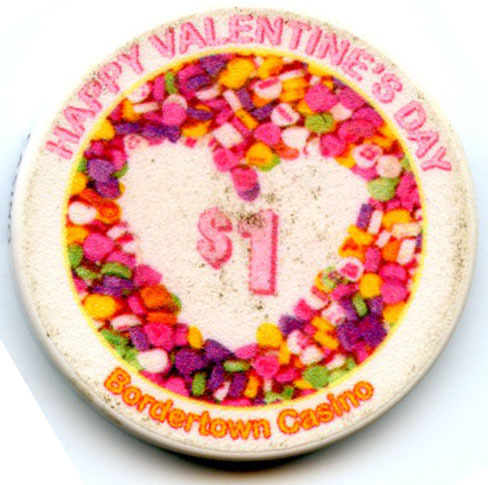 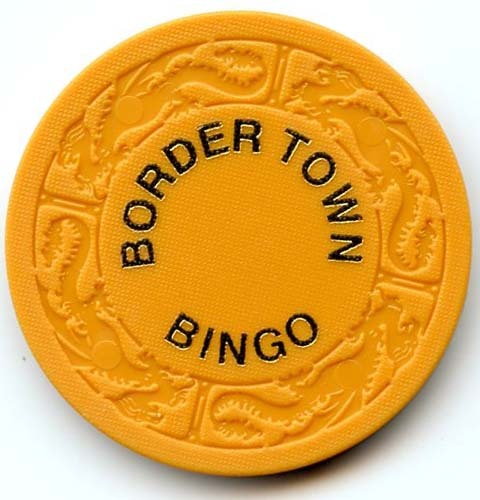 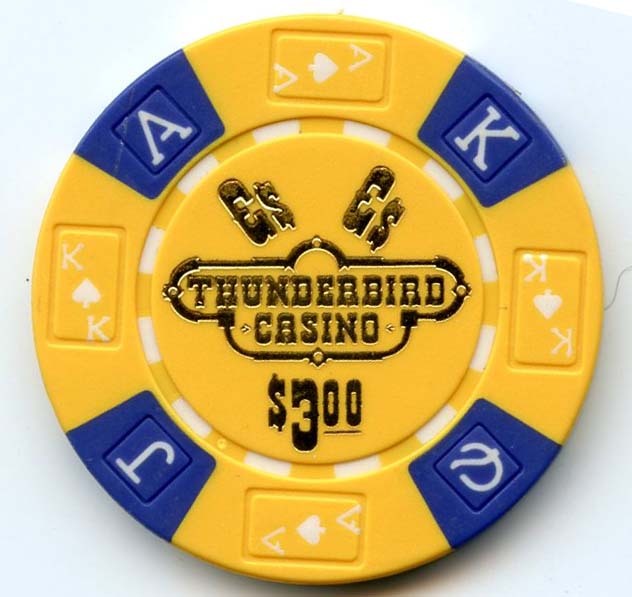 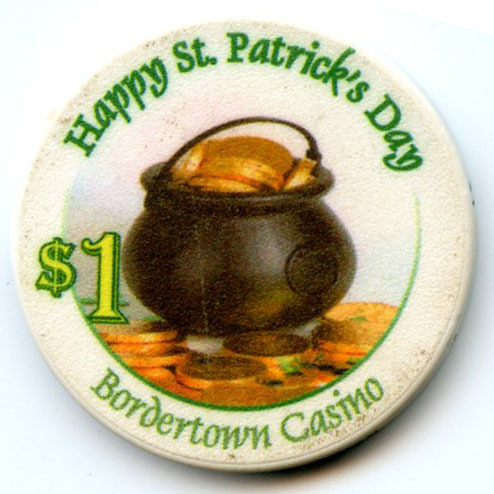 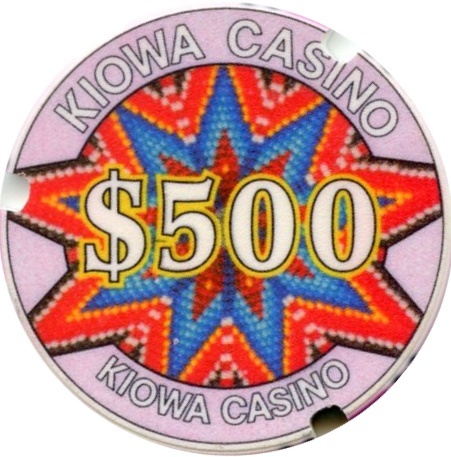 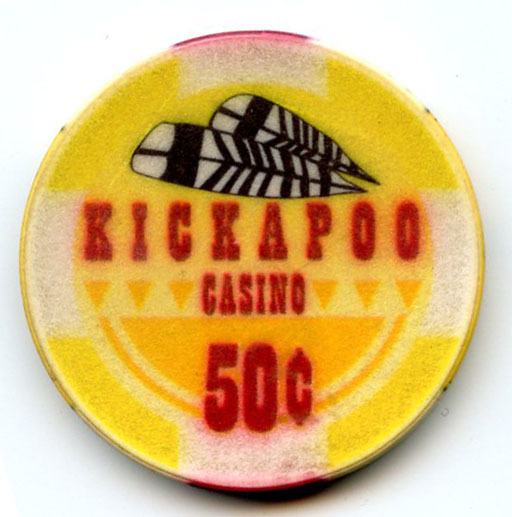 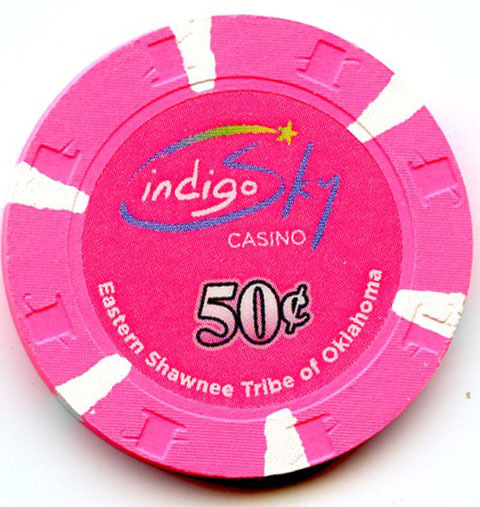 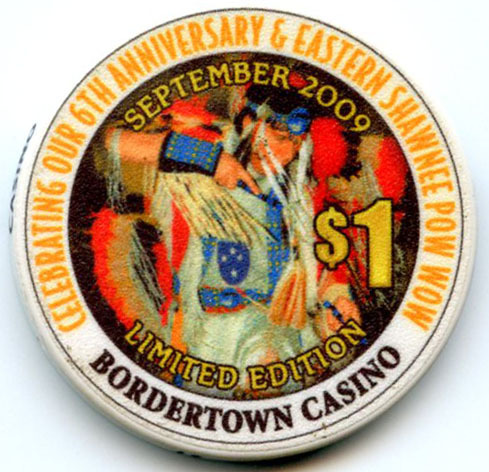 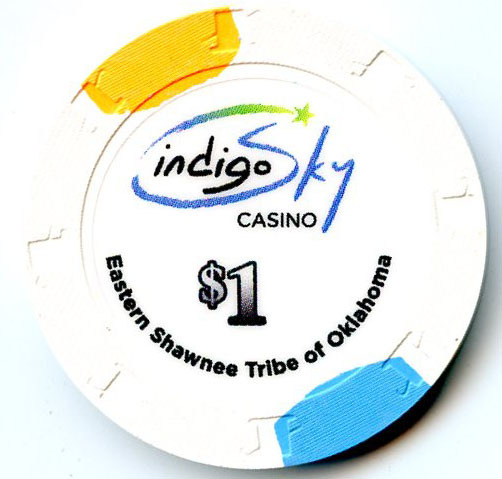 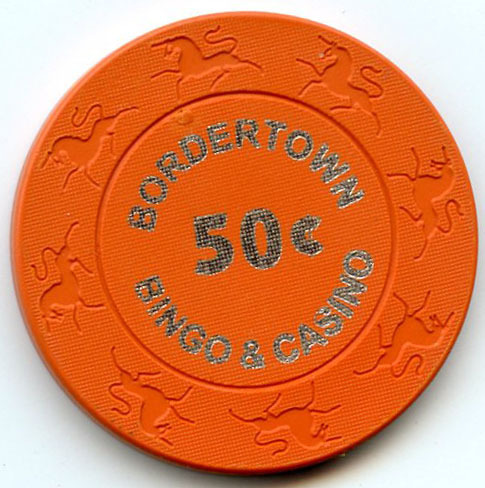 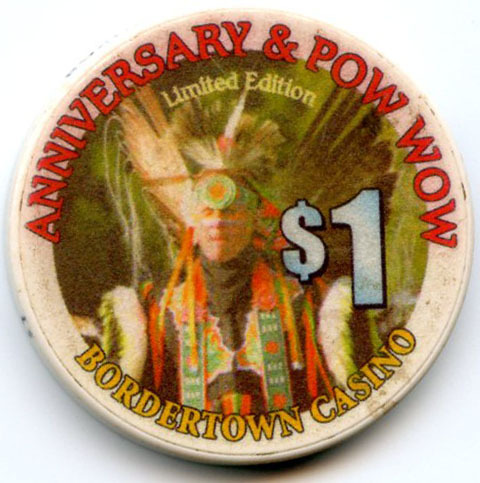 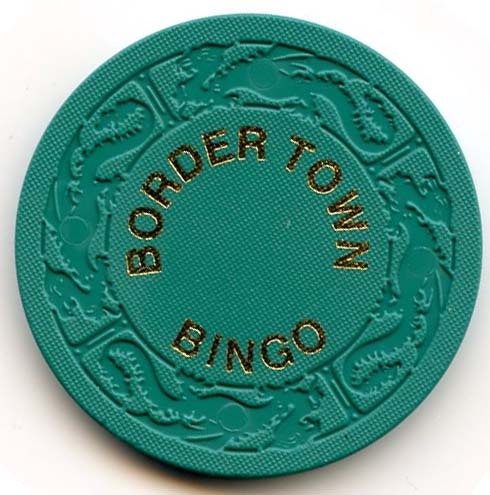 Indigo Sky Casino has replaced Bordertown Casino after it closed in 2012. 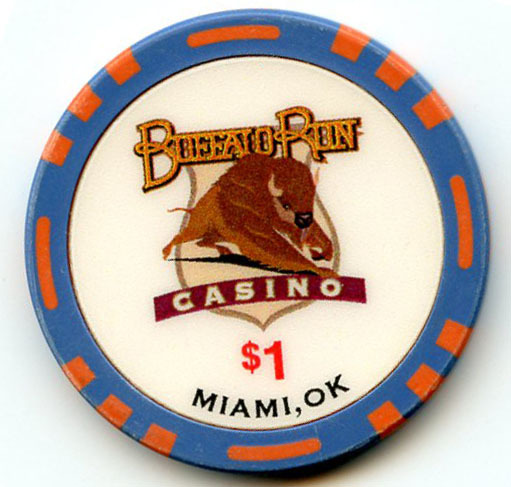 The Brass Tail Tap Room was an Illegal Casino and is now closed. 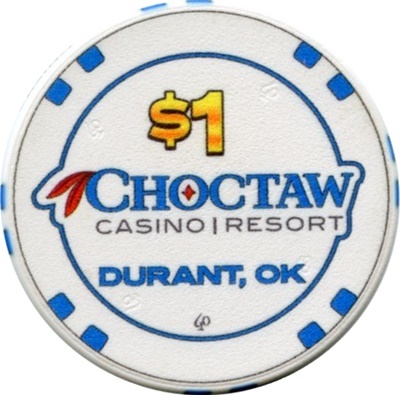 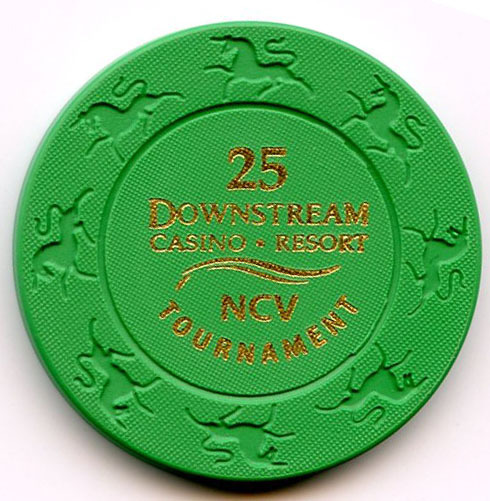 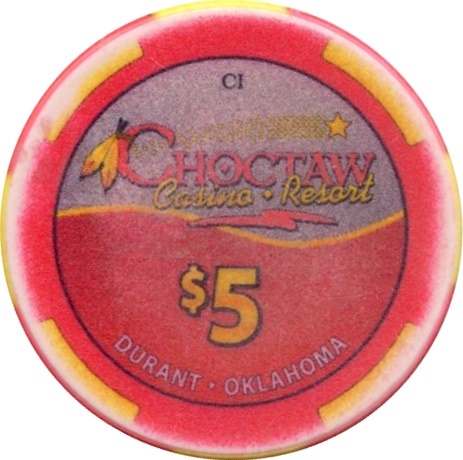 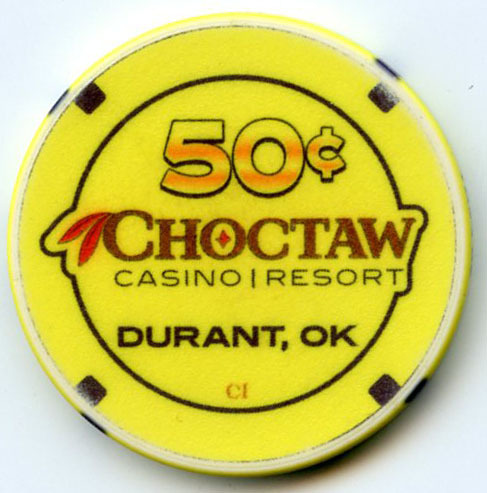 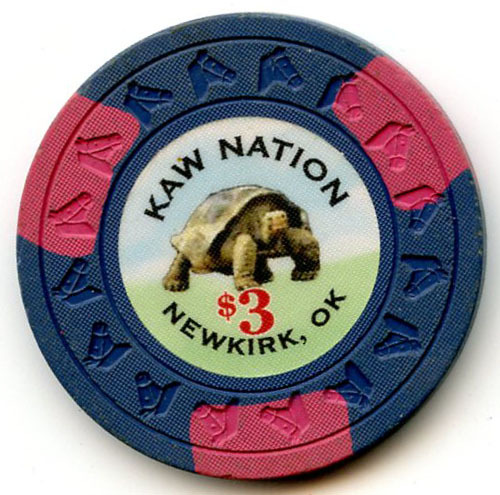 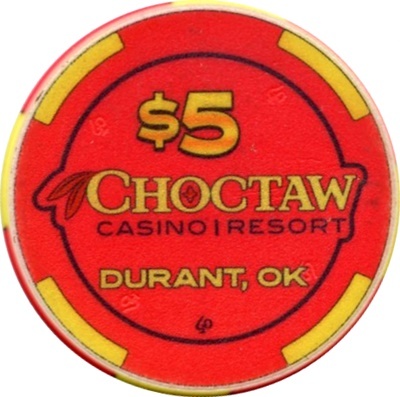 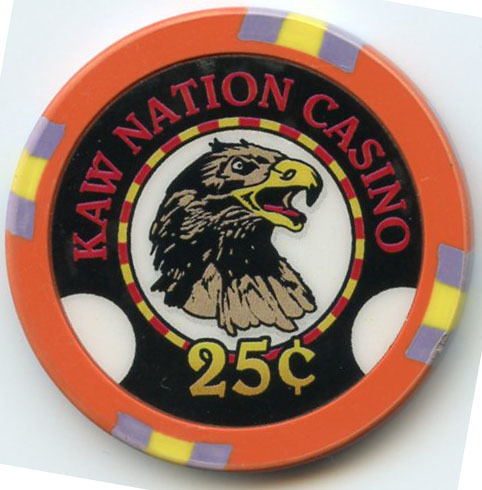 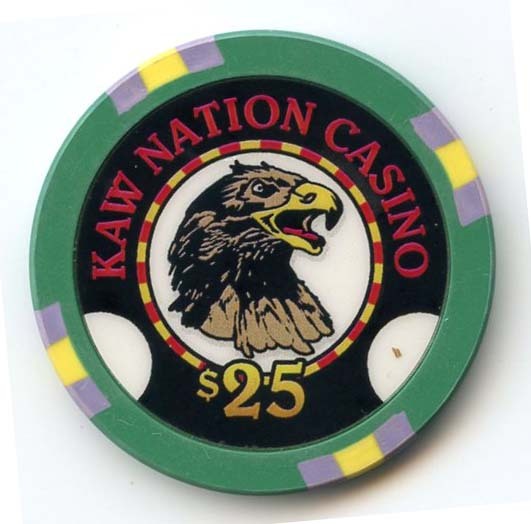 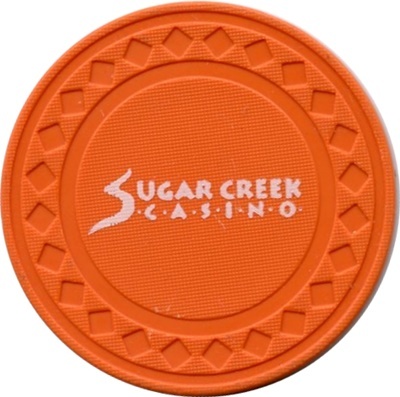 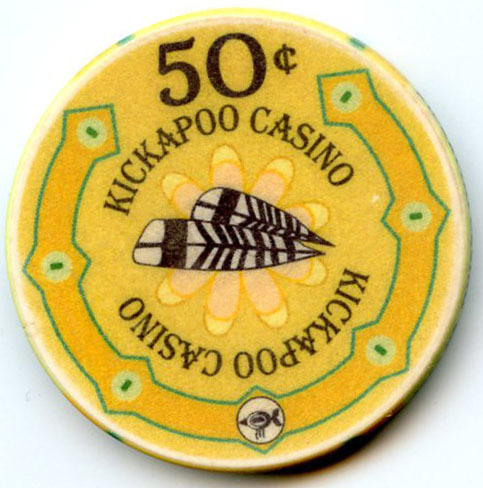 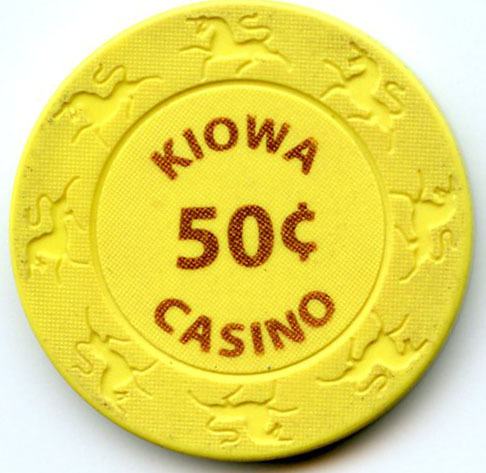 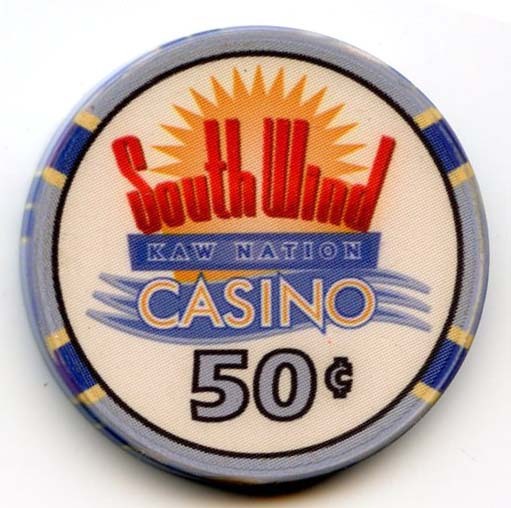 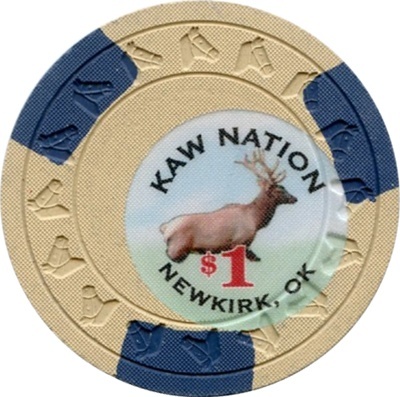 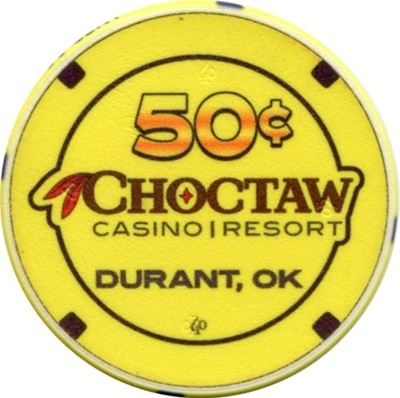 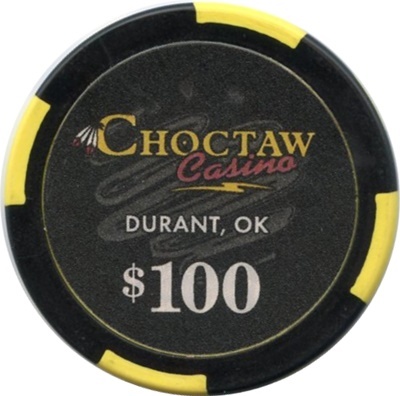 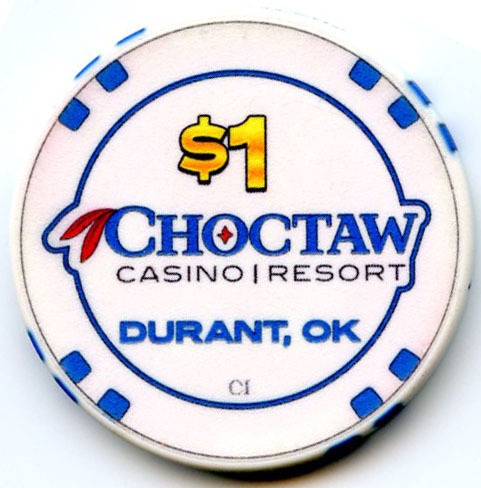 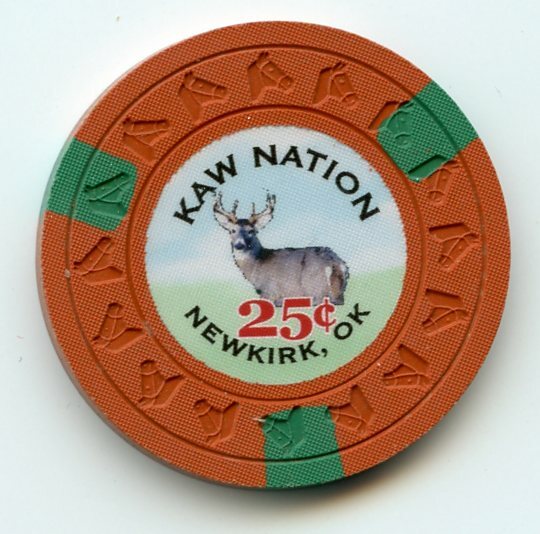 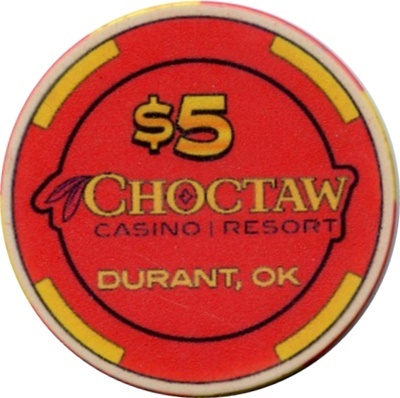 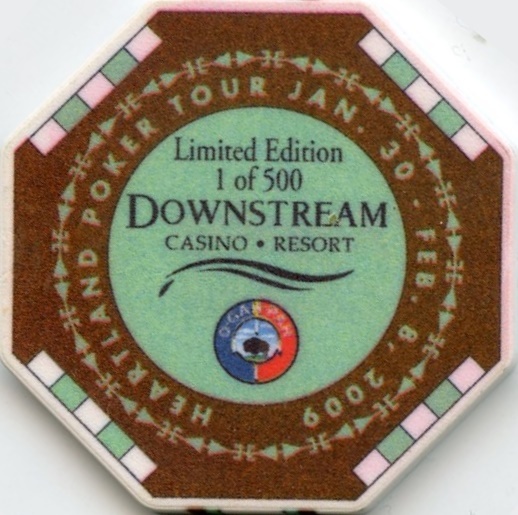 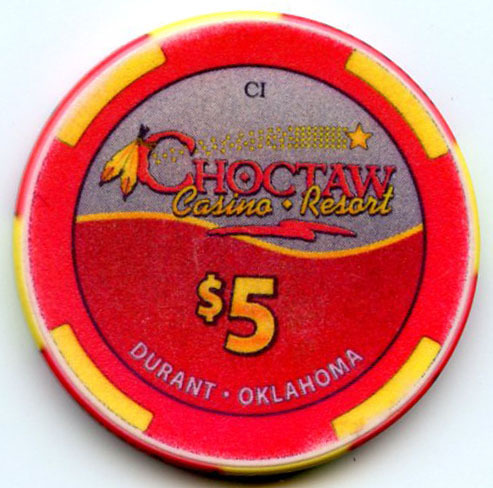 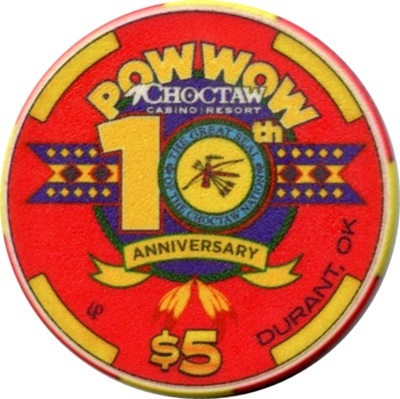 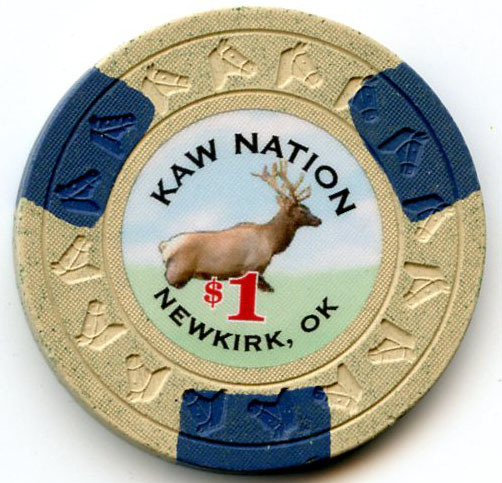 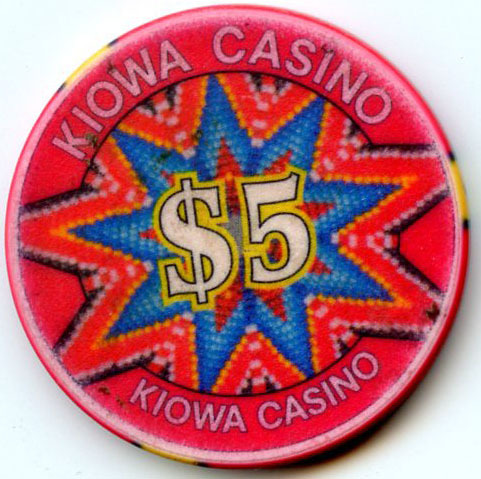 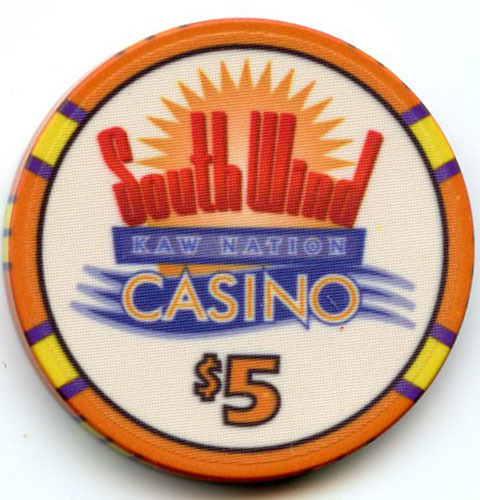 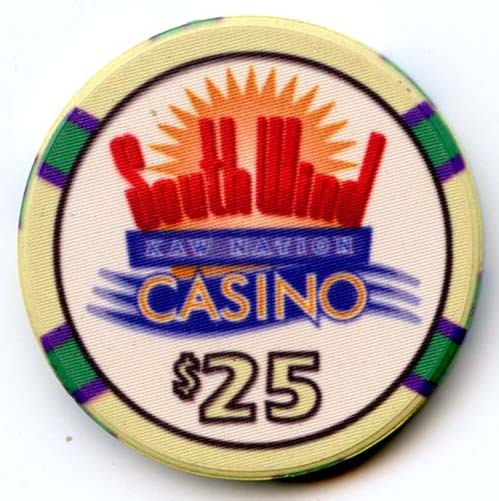 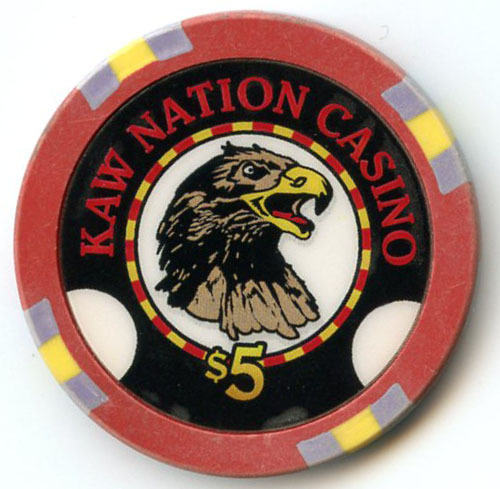 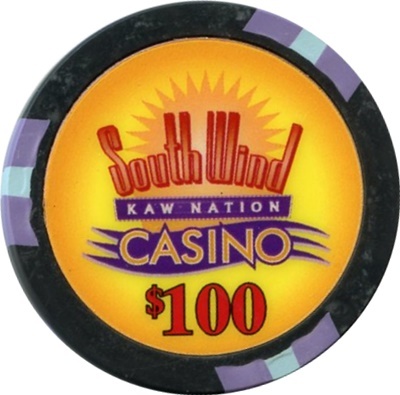 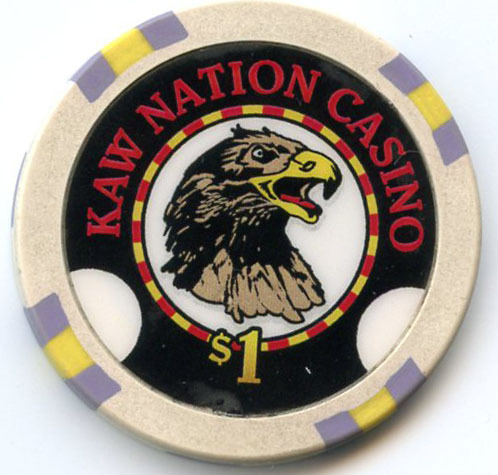 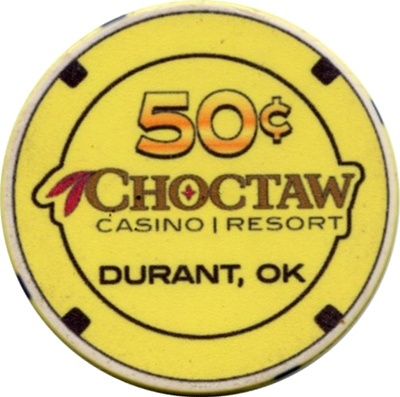 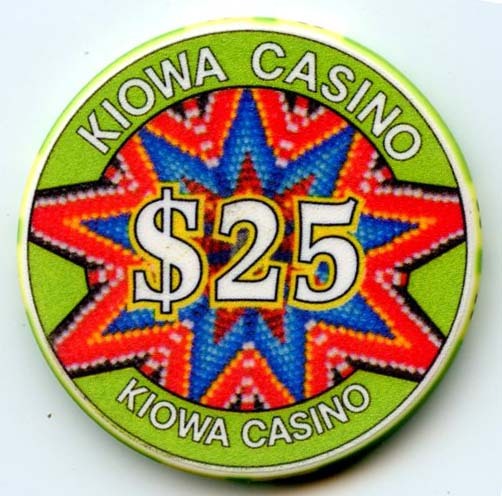 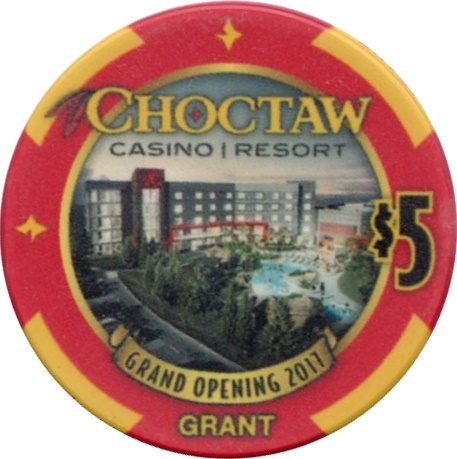 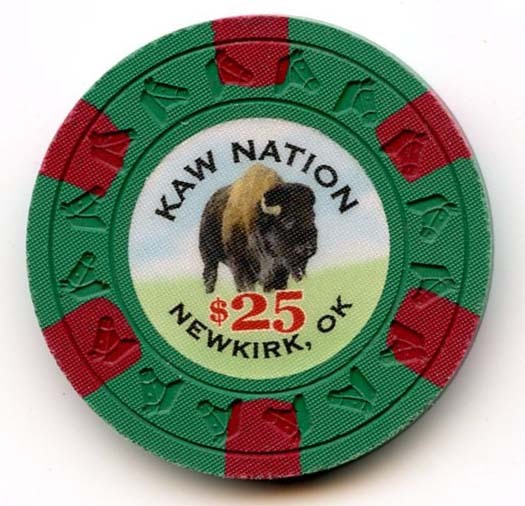 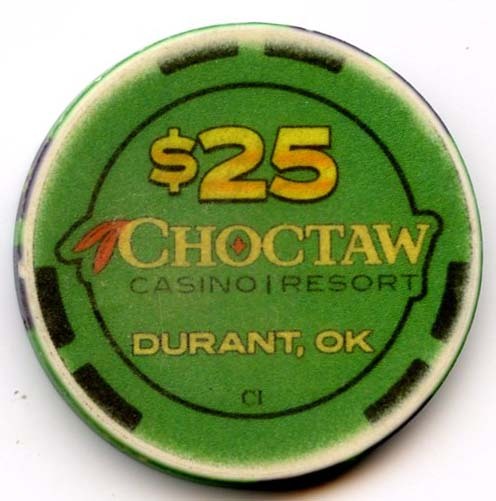 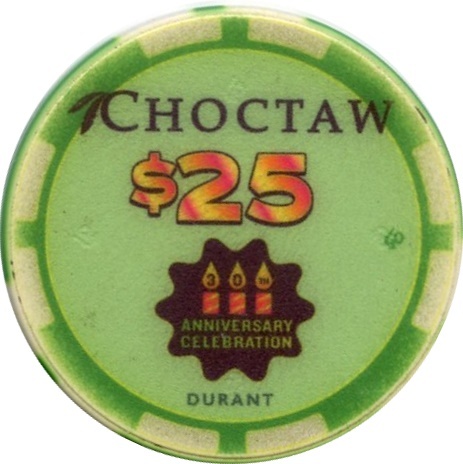 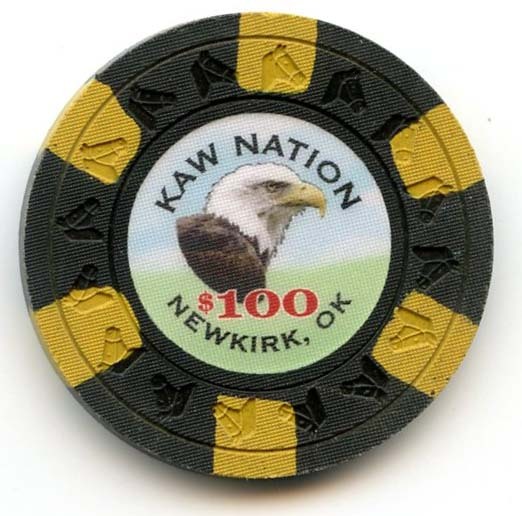 Using old Durant Chips at Casino. 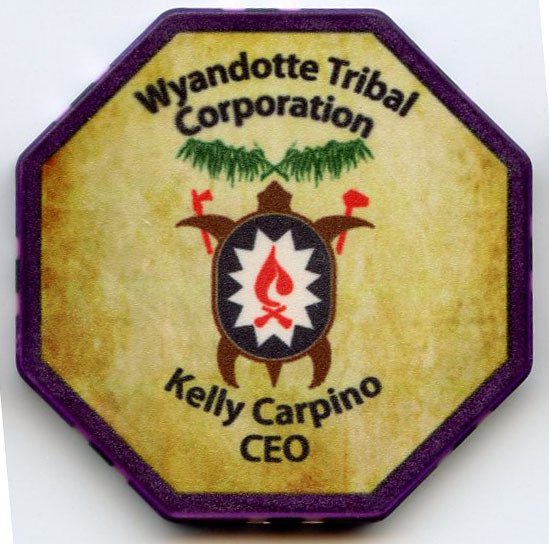 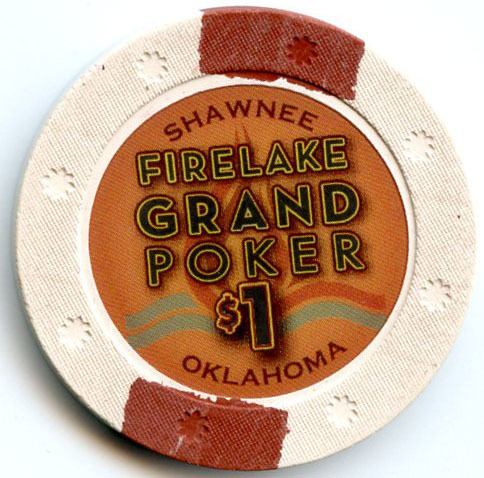 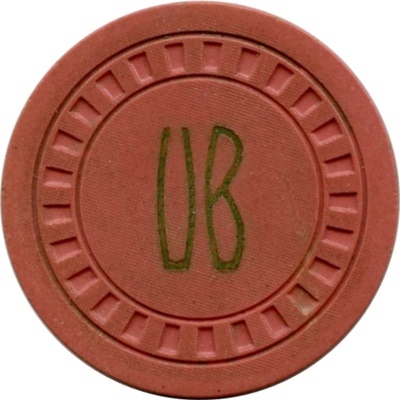 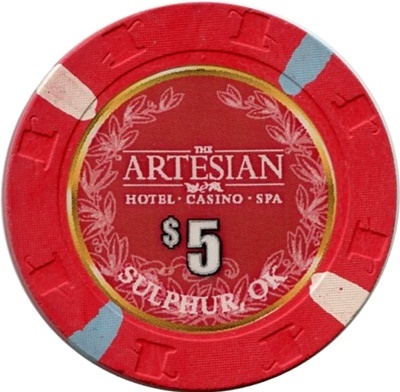 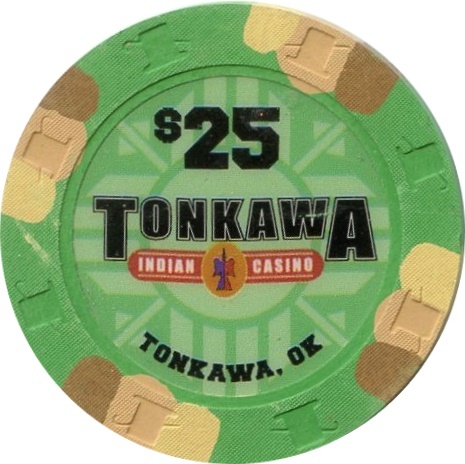 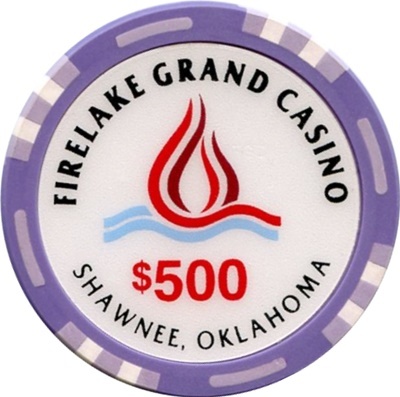 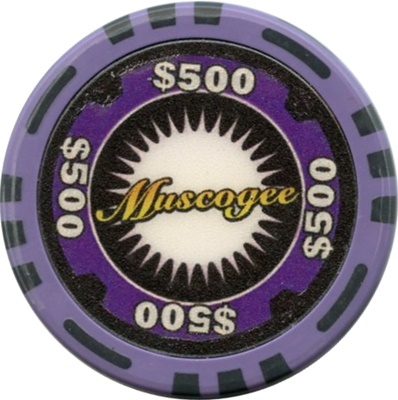 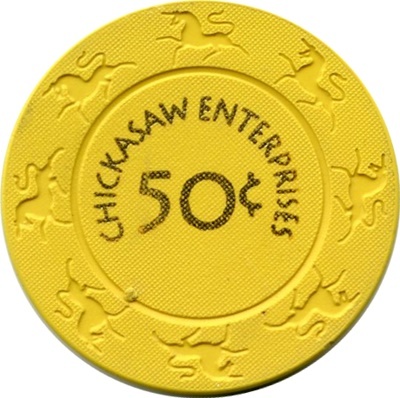 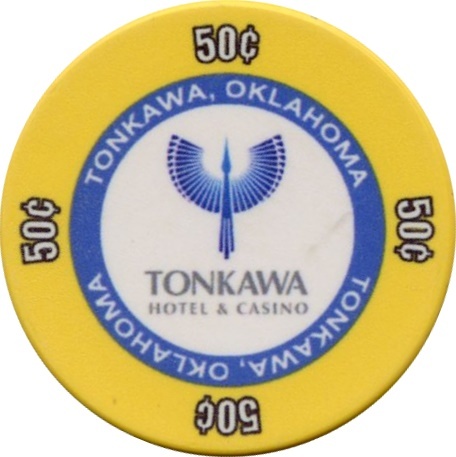 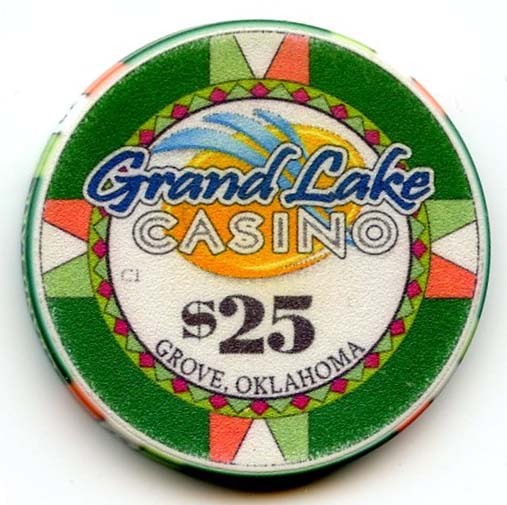 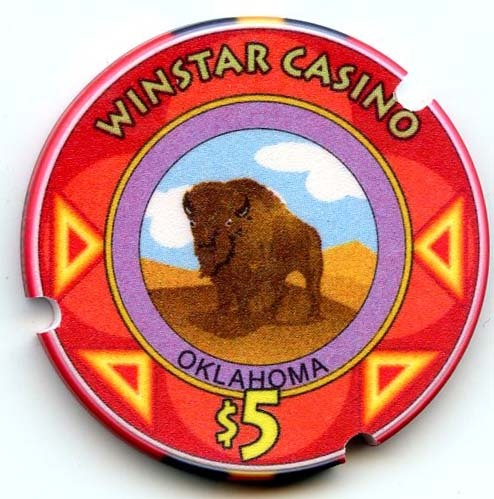 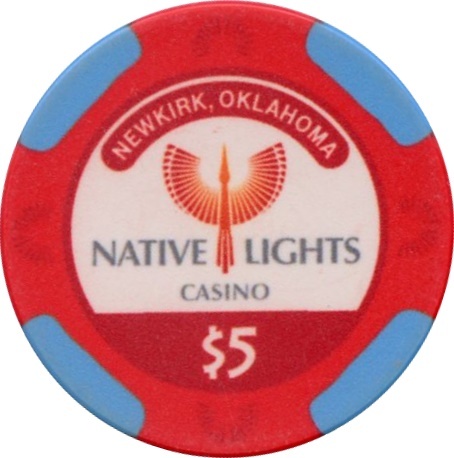 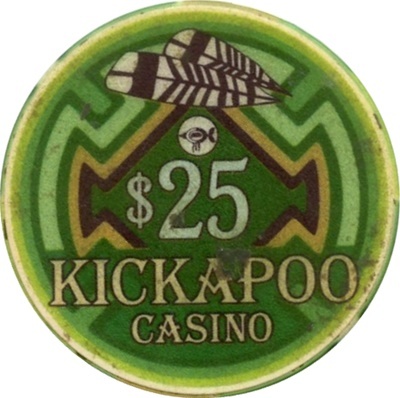 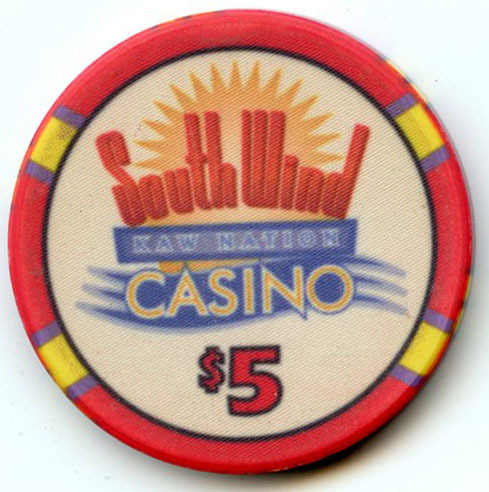 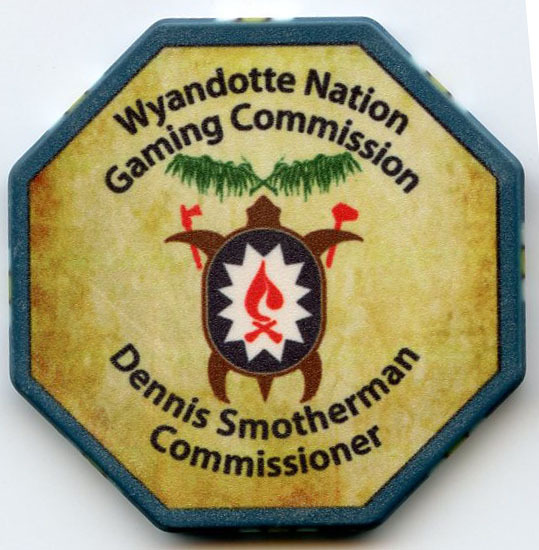 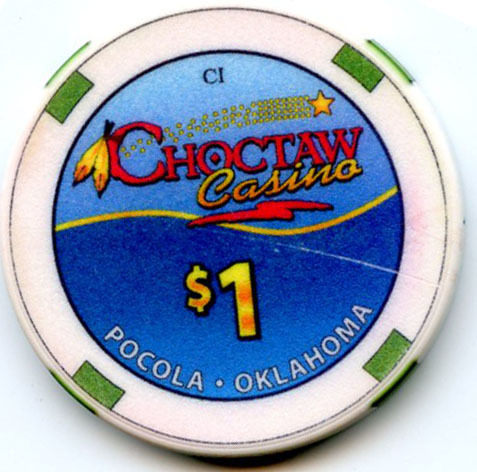 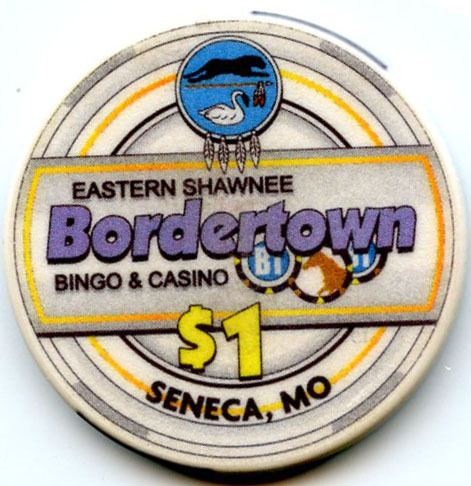 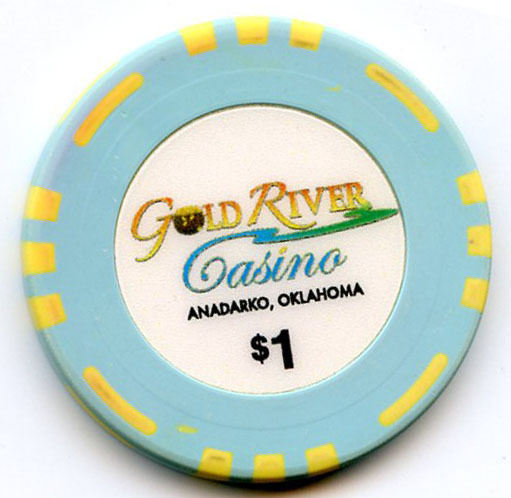 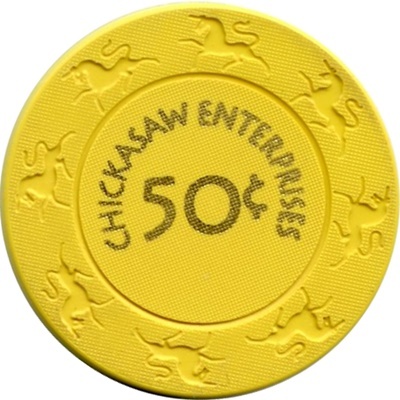 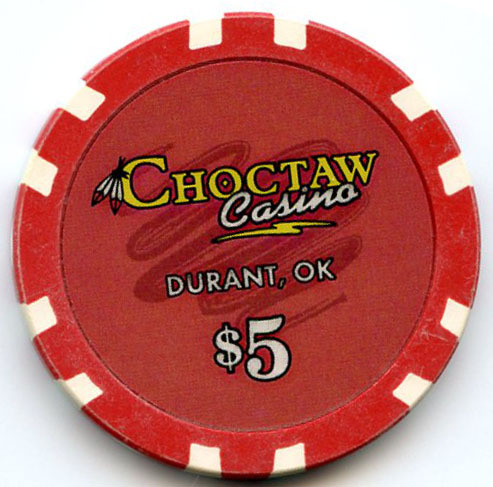 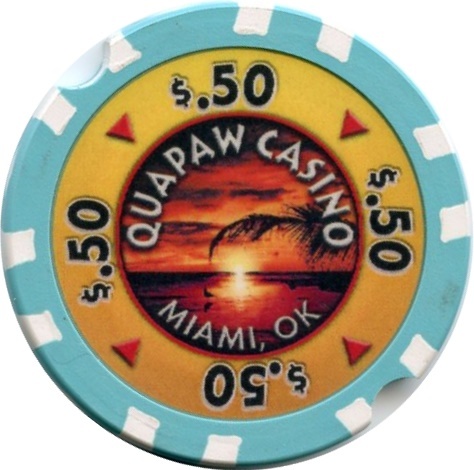 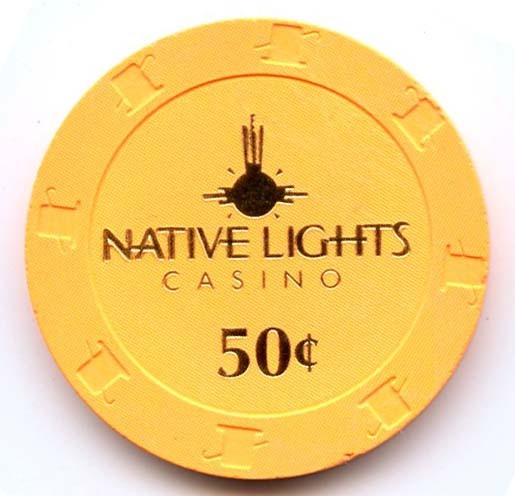 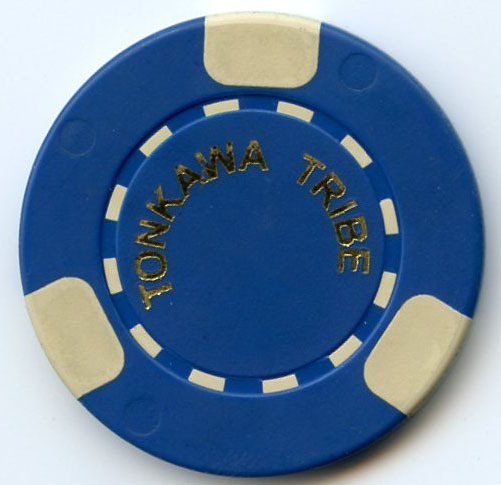 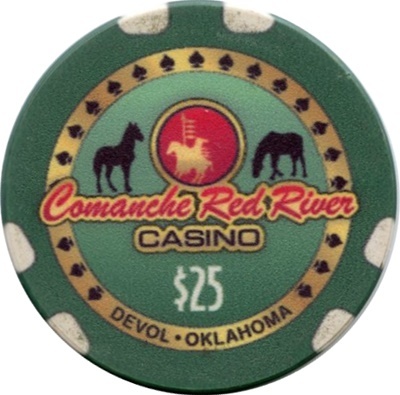 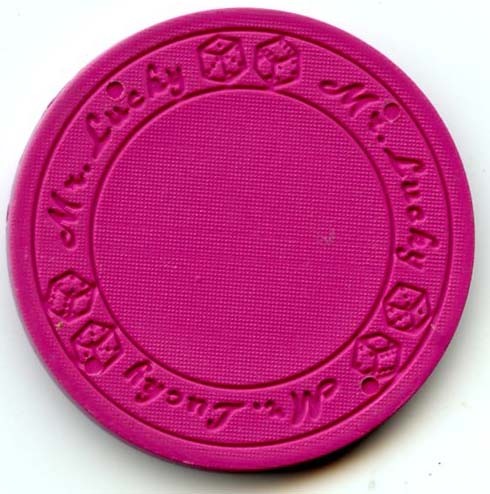 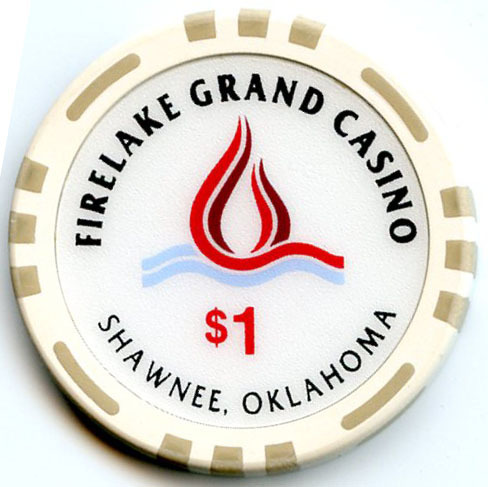 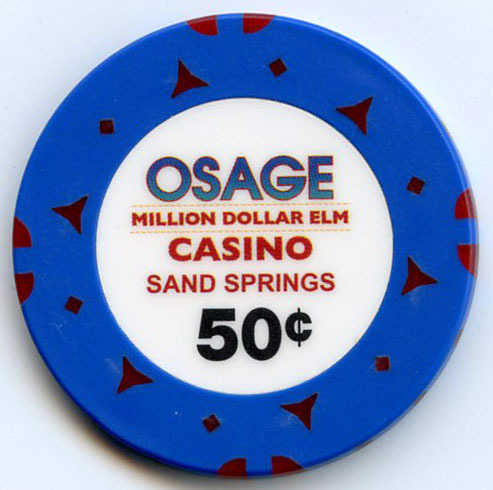 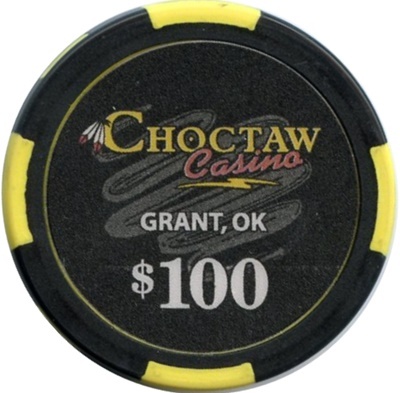 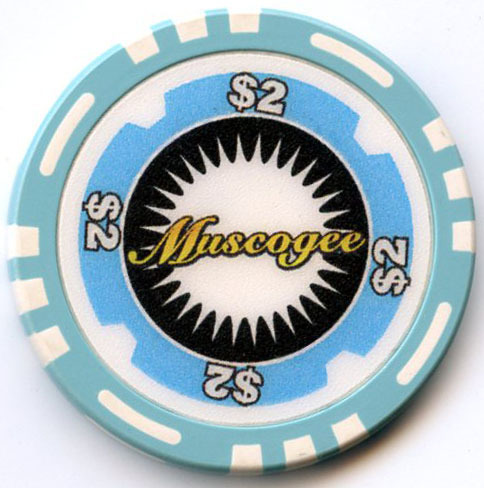 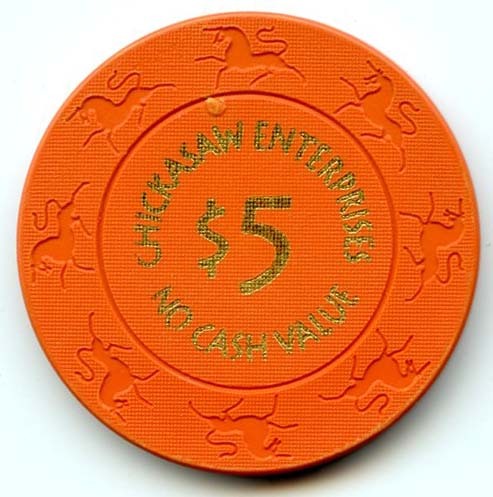 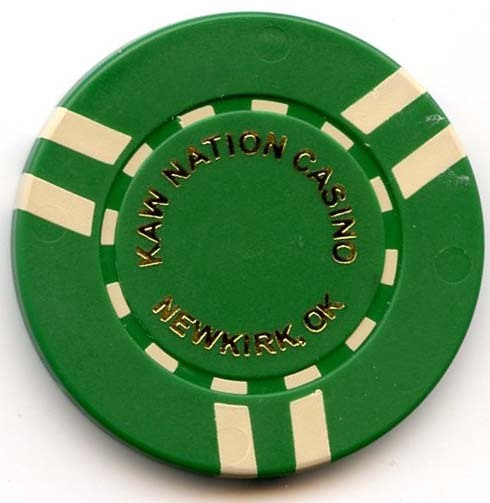 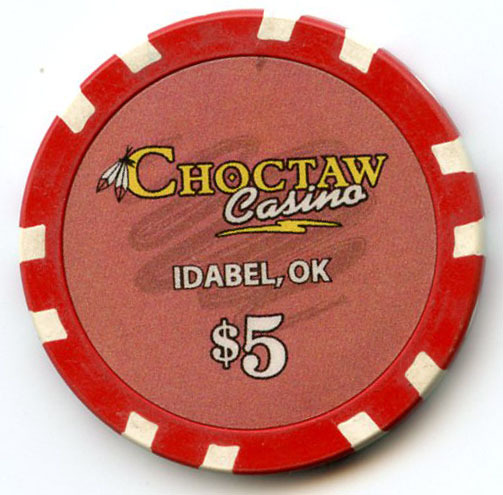 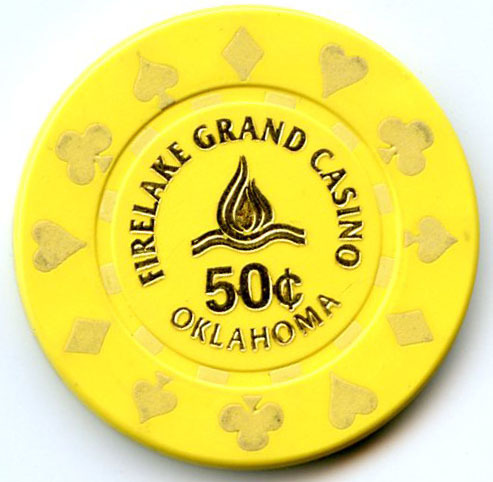 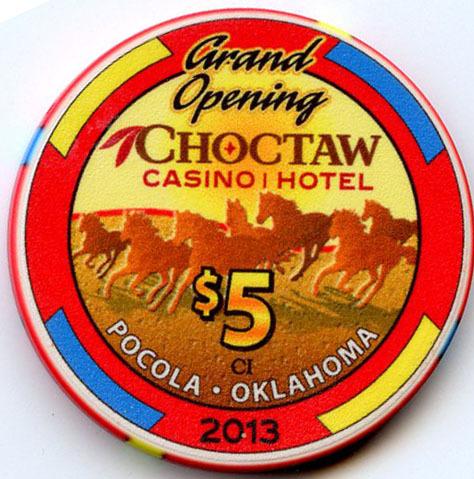 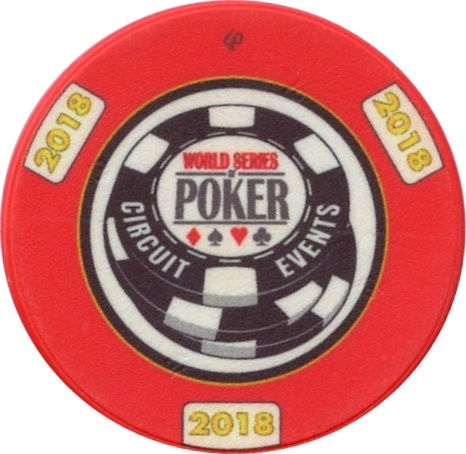 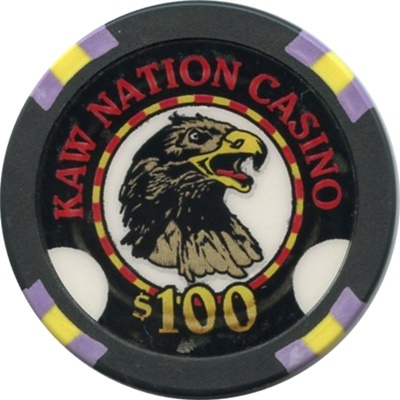 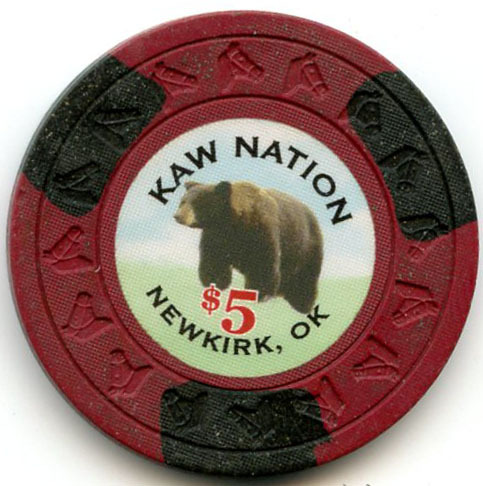 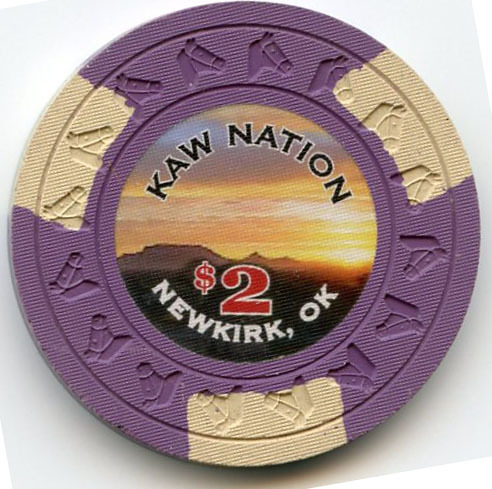 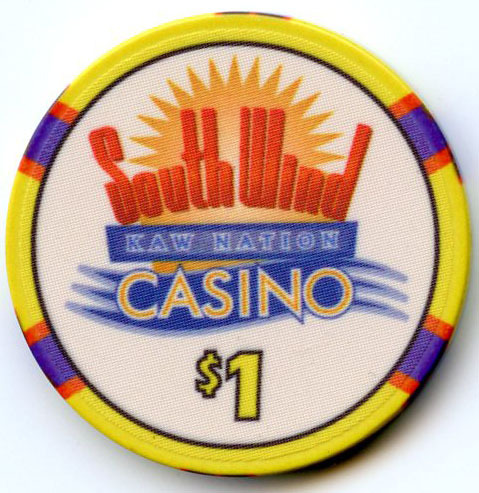 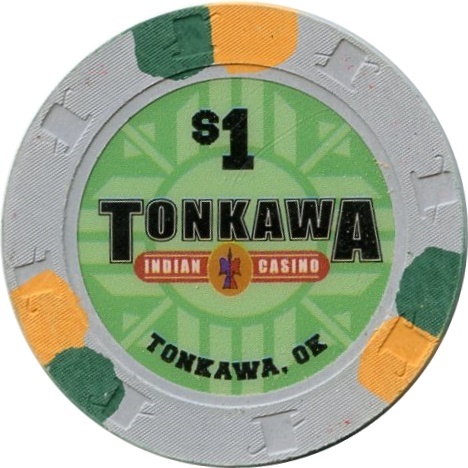 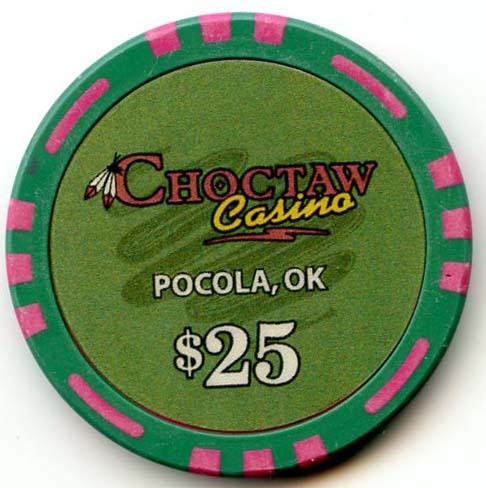 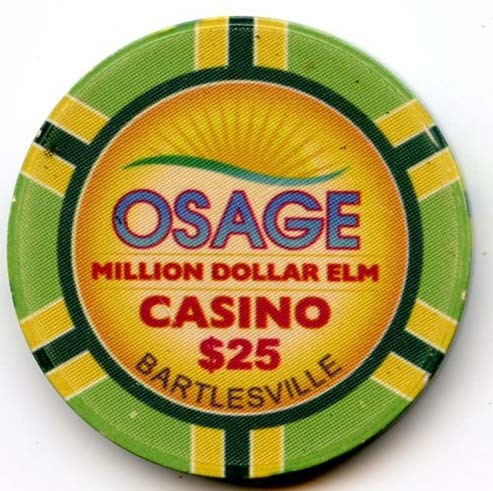 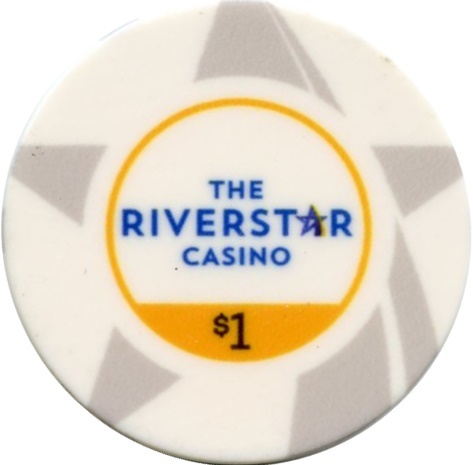 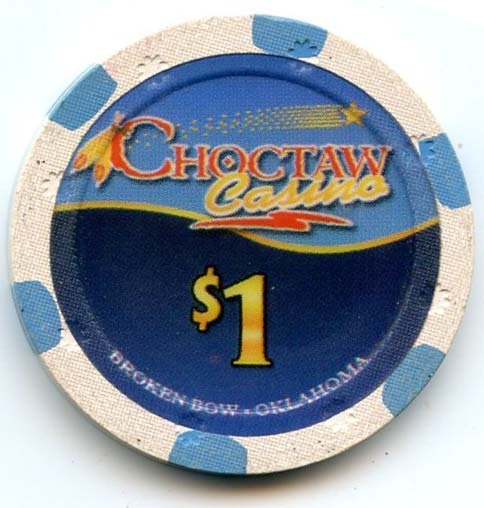 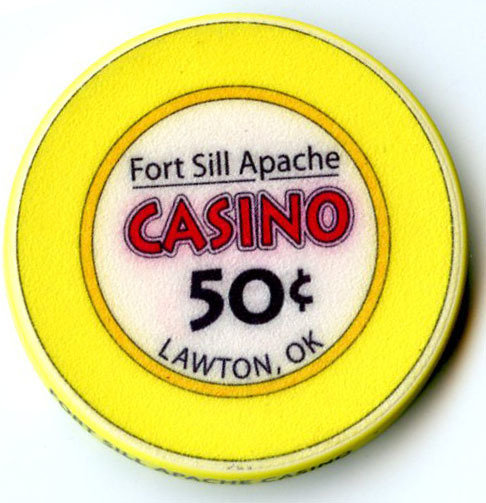 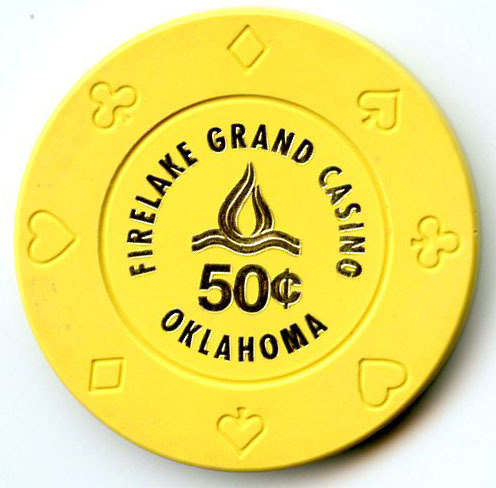 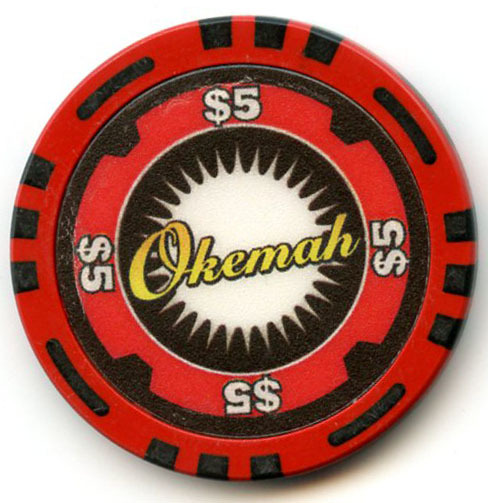 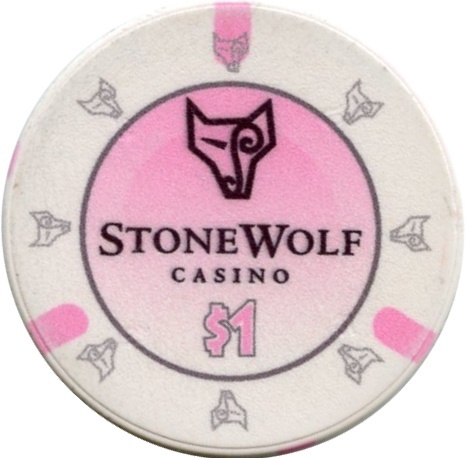 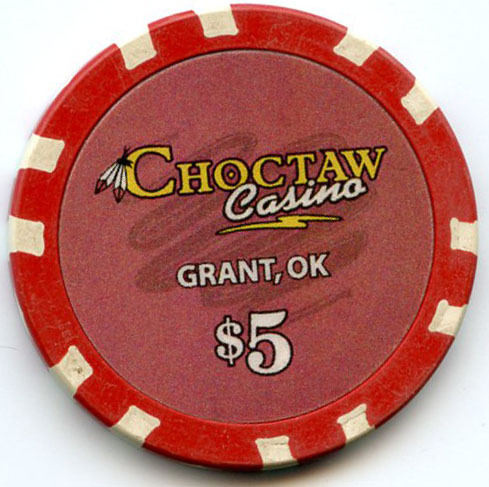 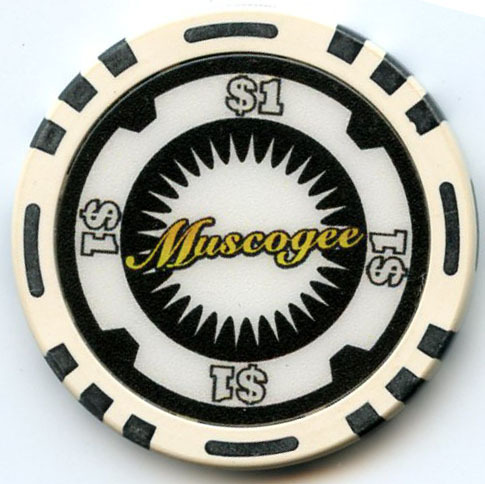 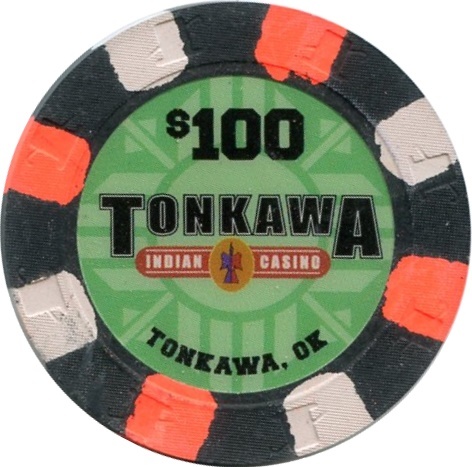 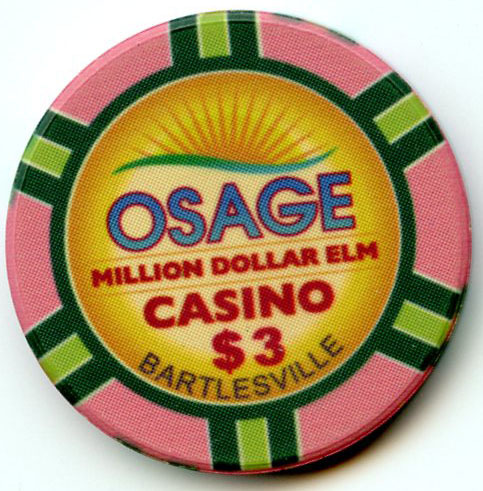 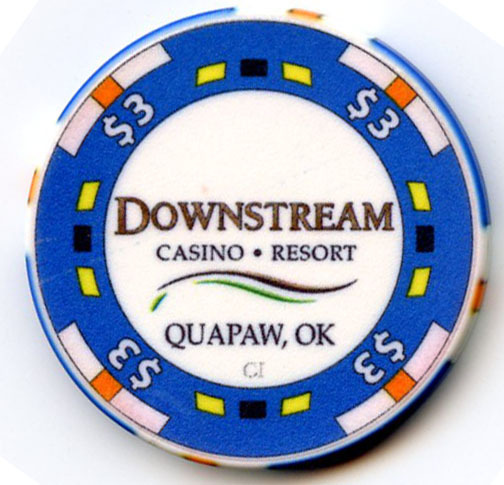 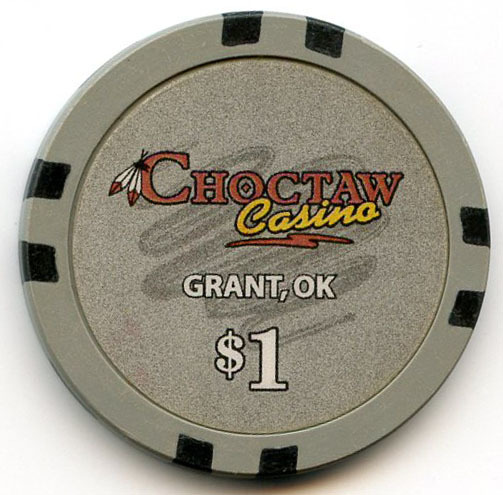 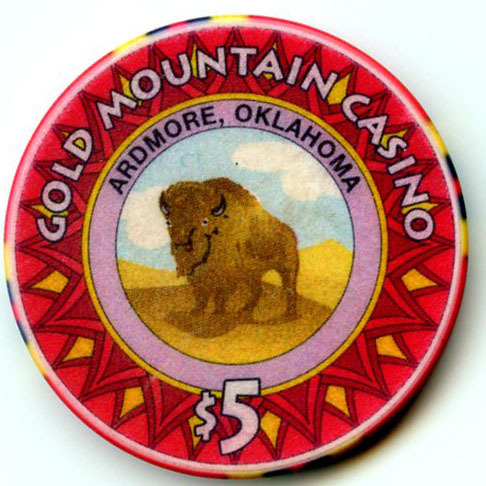 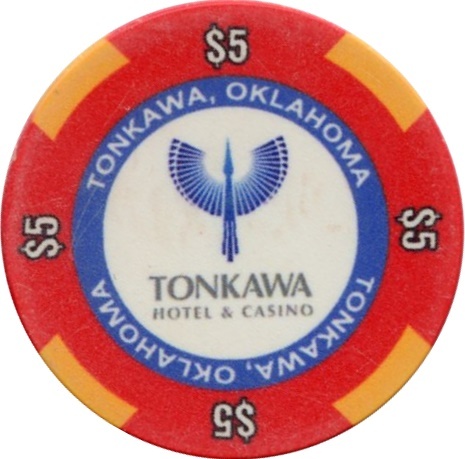 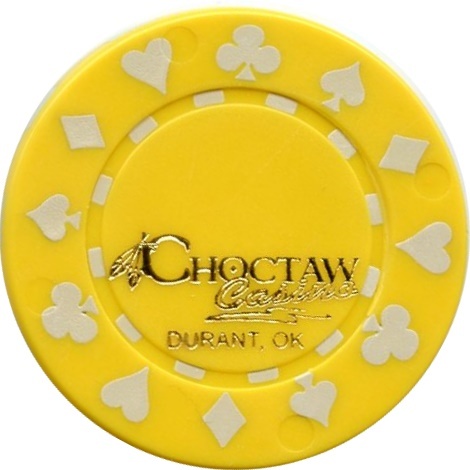 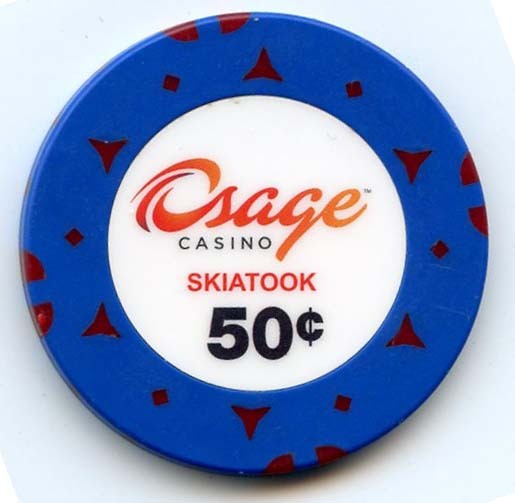 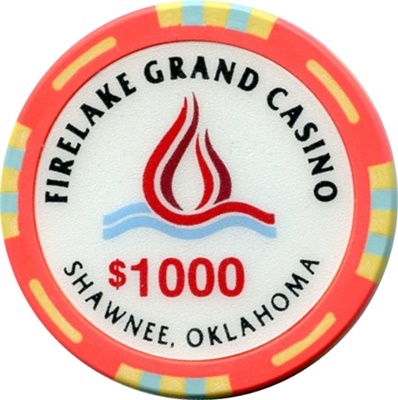 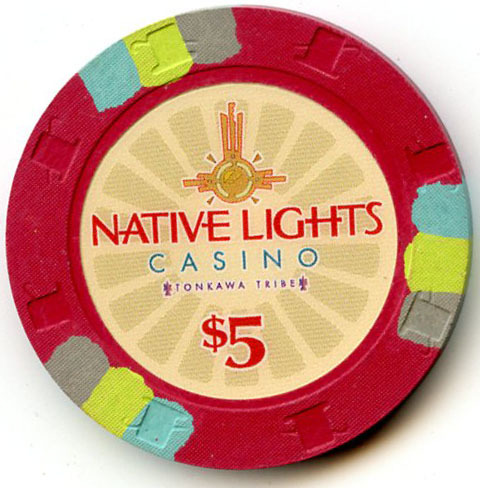 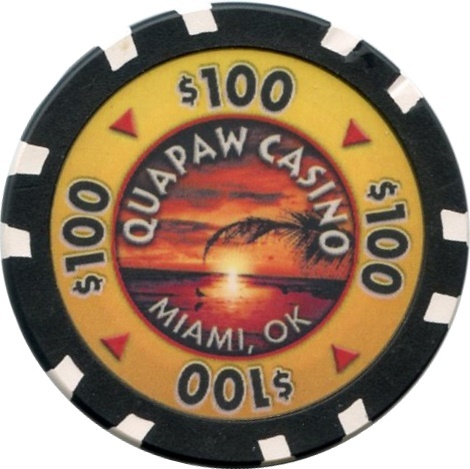 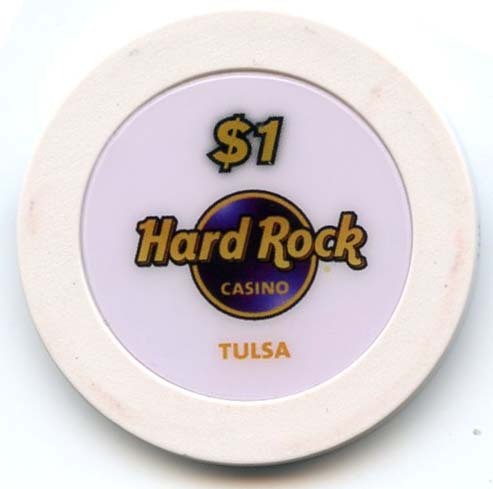 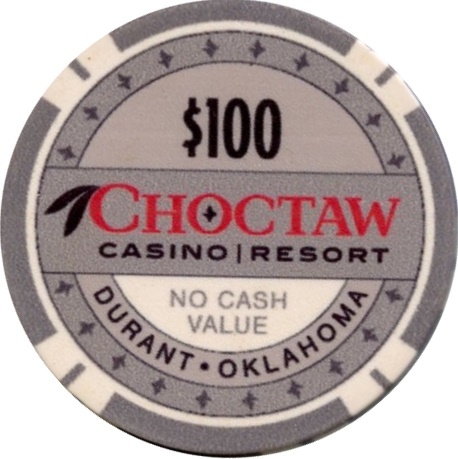 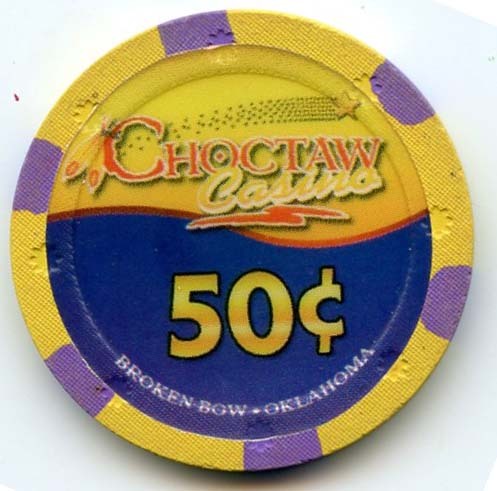 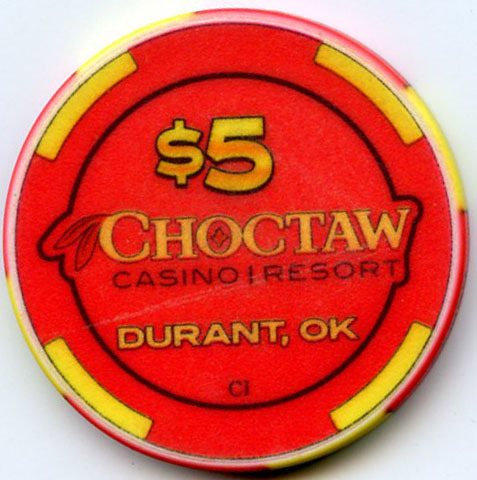 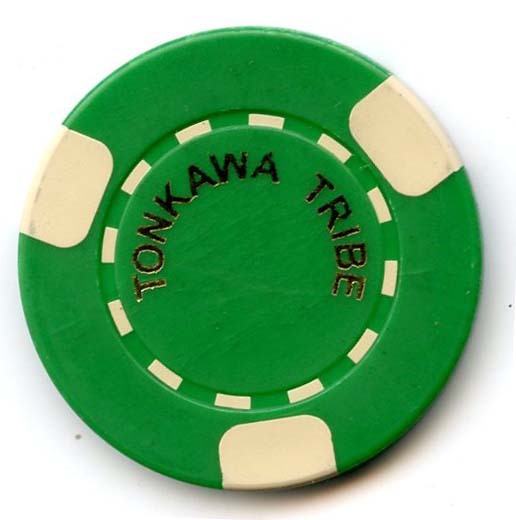 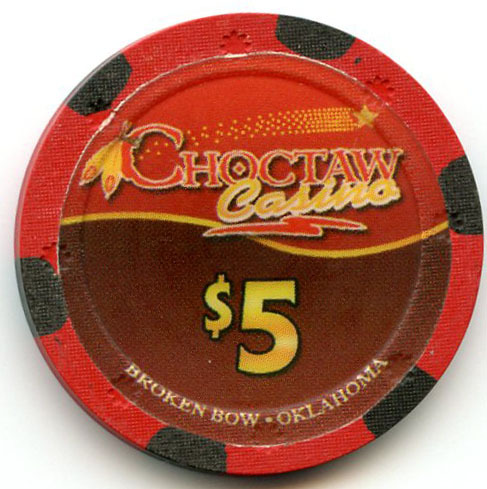 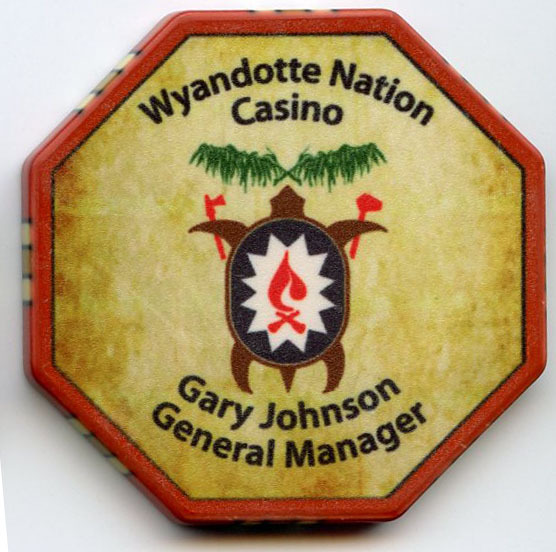 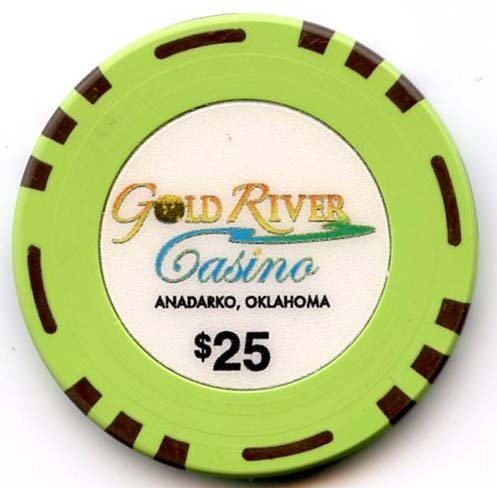 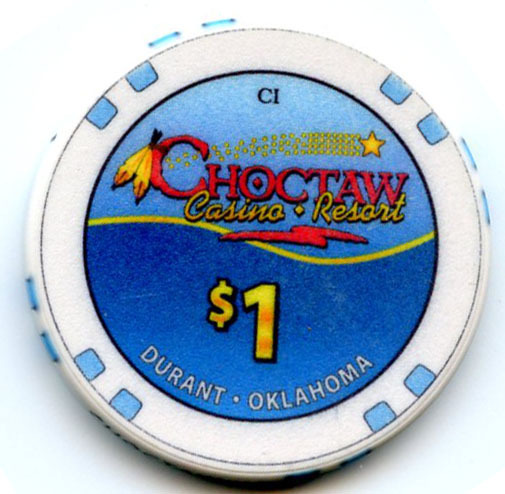 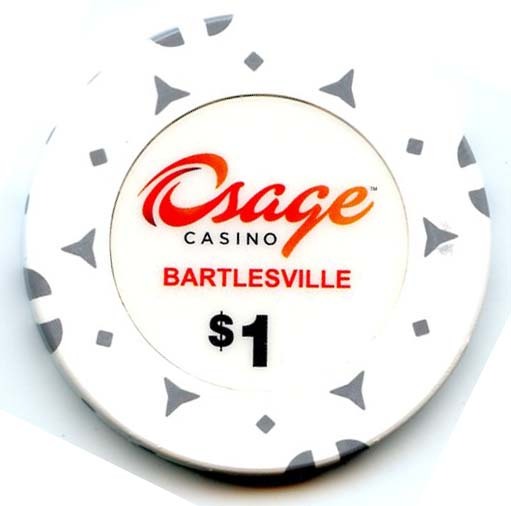 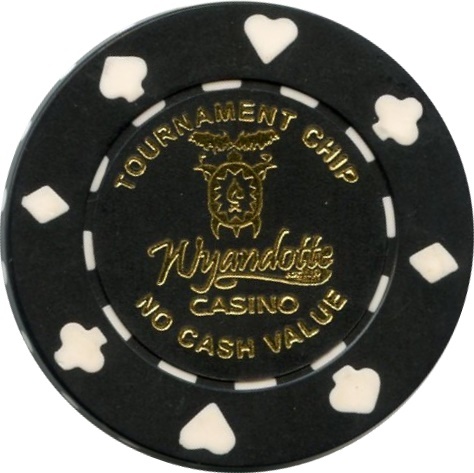 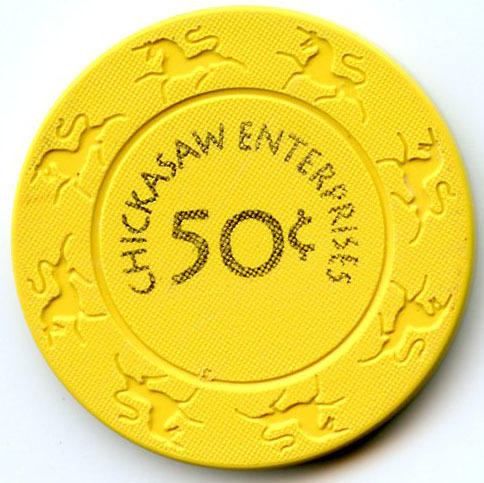 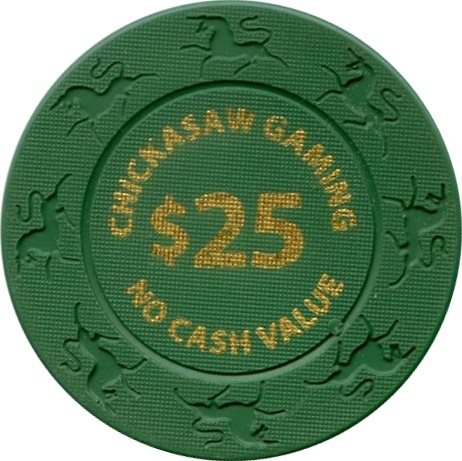 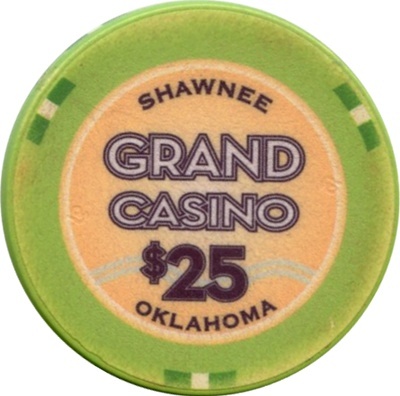 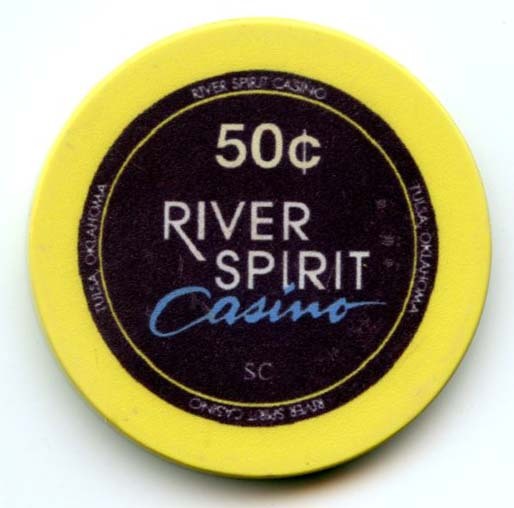 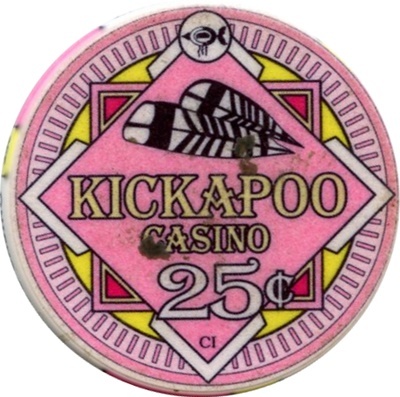 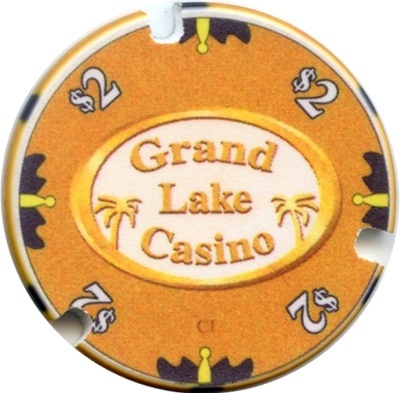 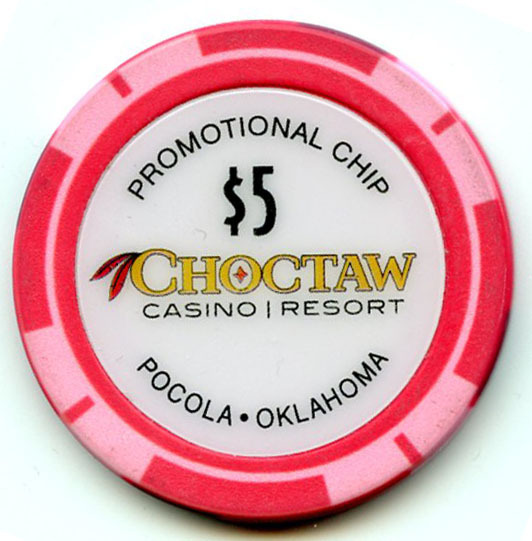 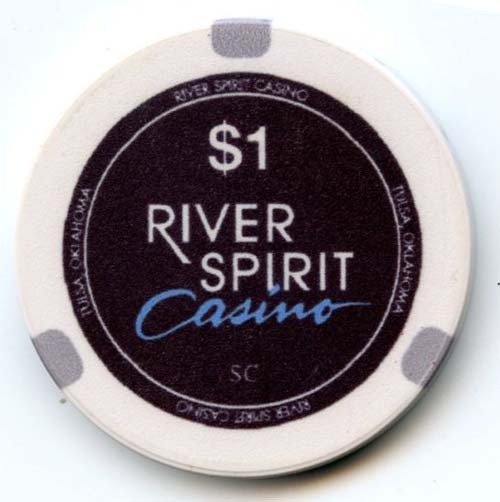 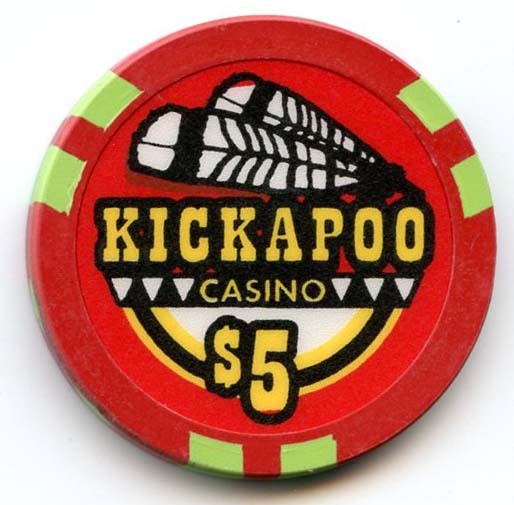 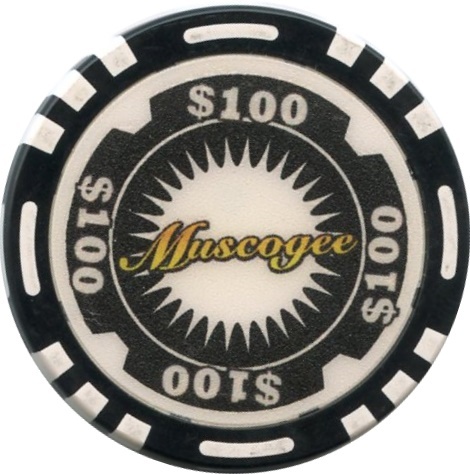 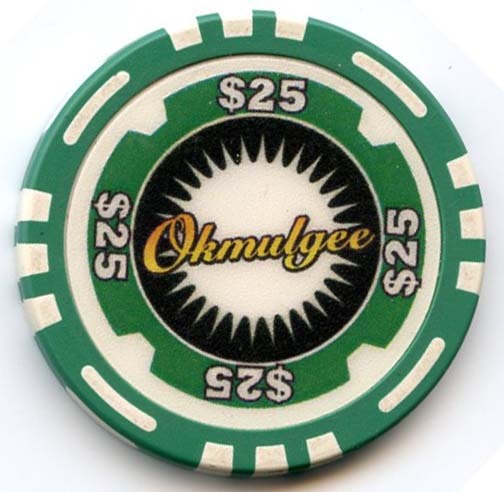 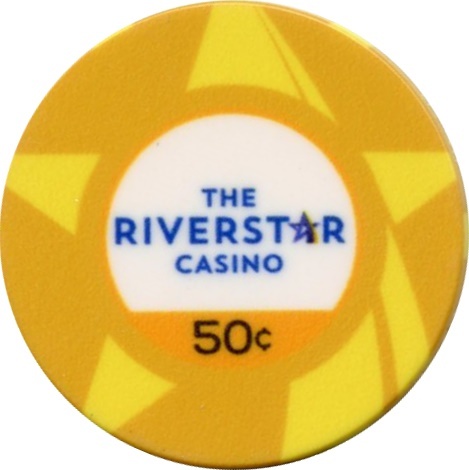 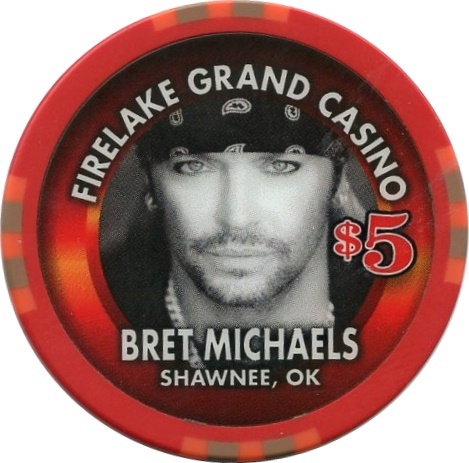 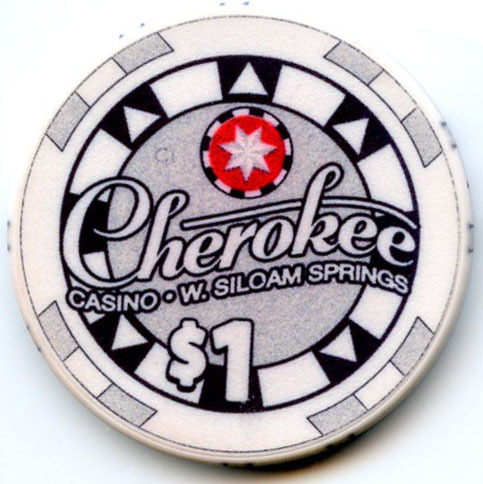 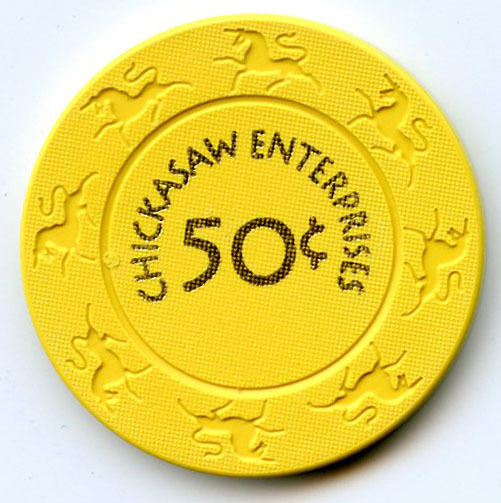 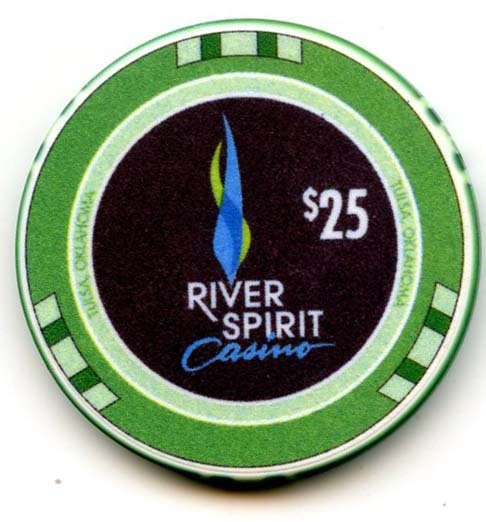 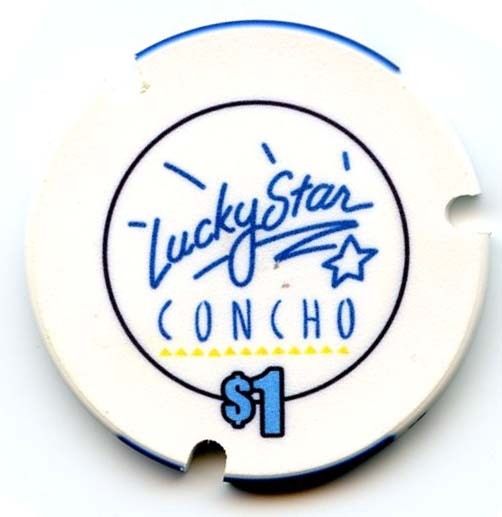 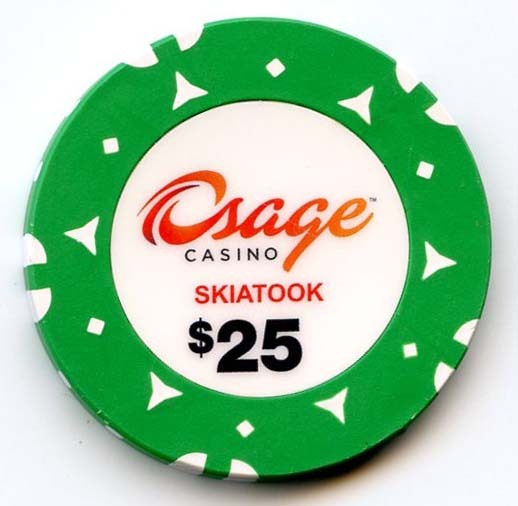 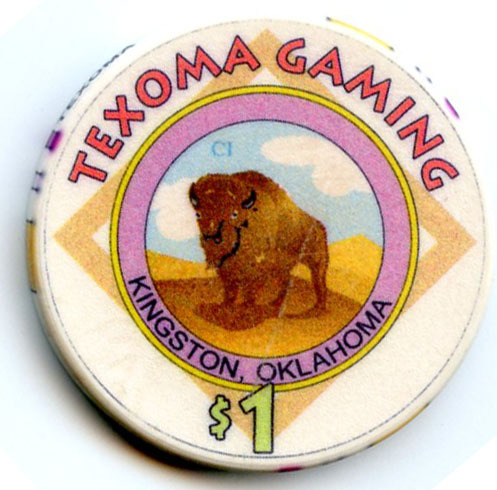 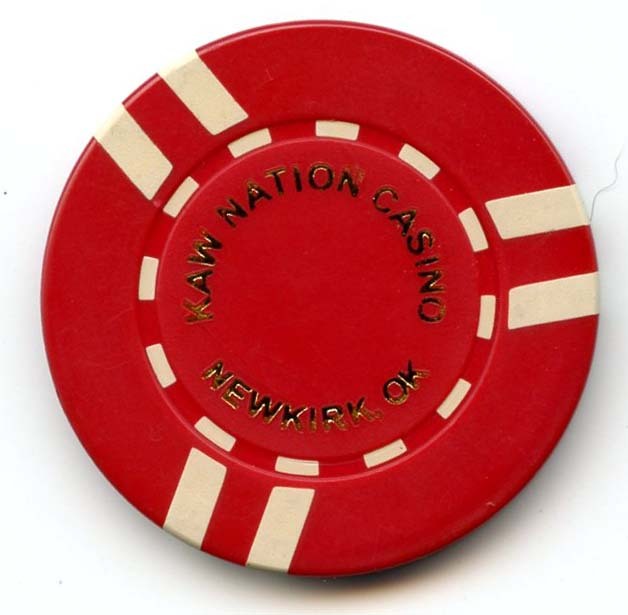 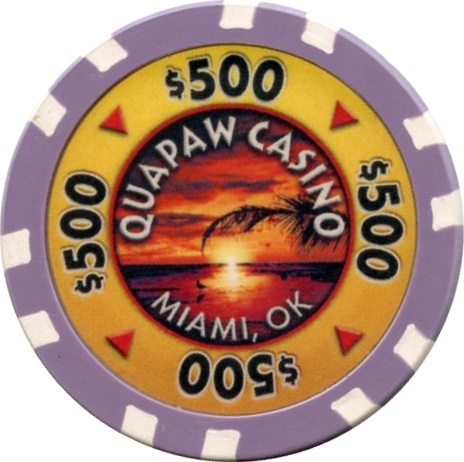 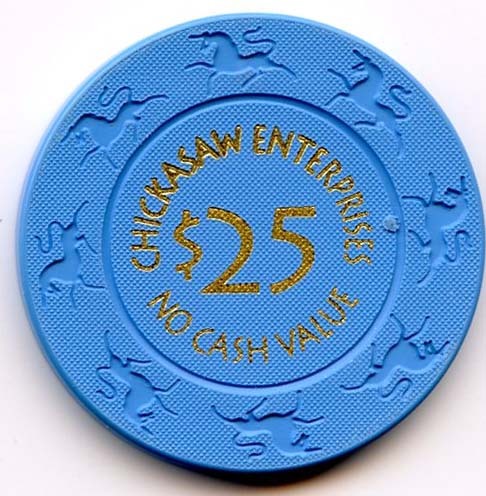 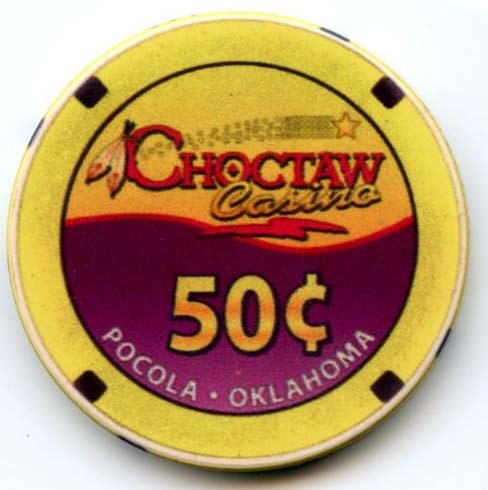 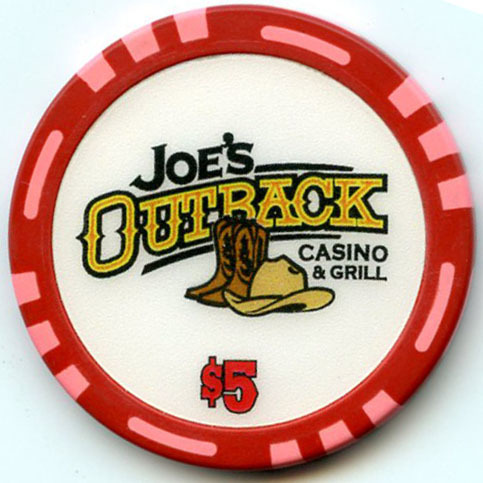 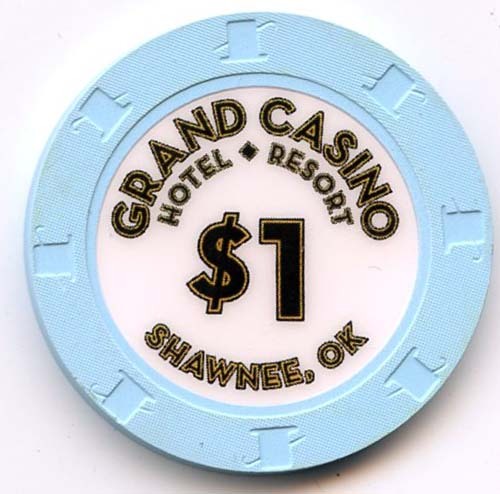 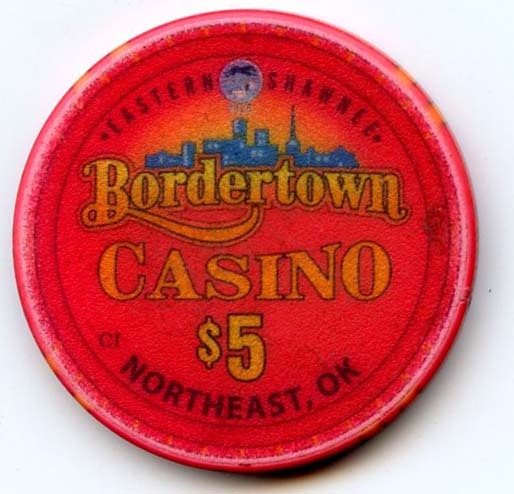 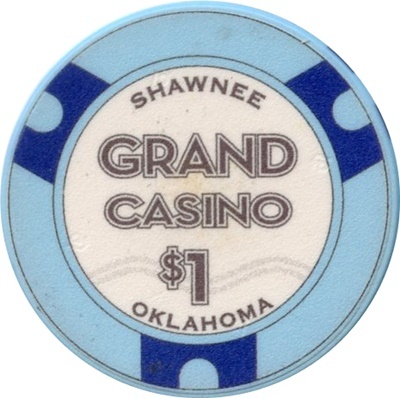 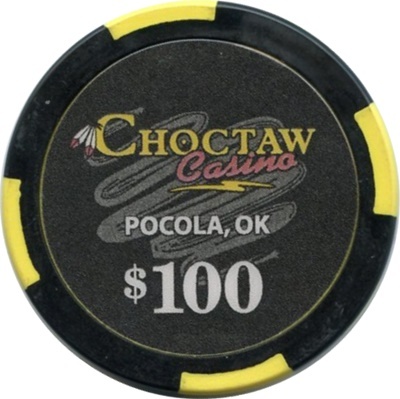 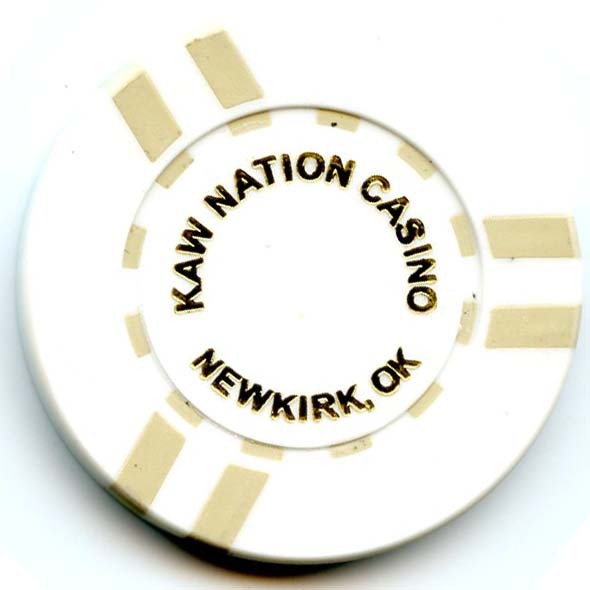 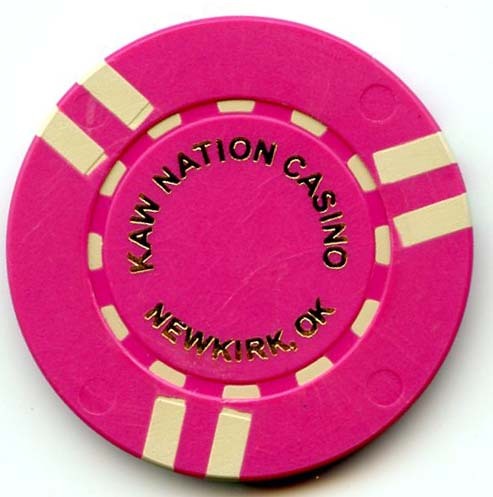 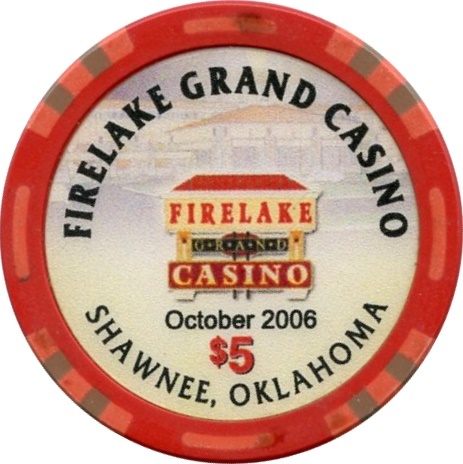 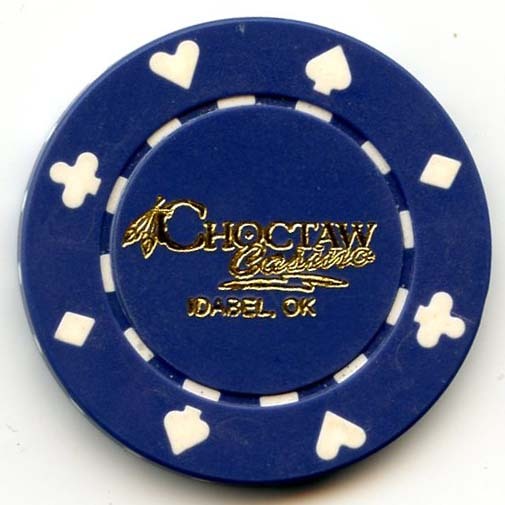 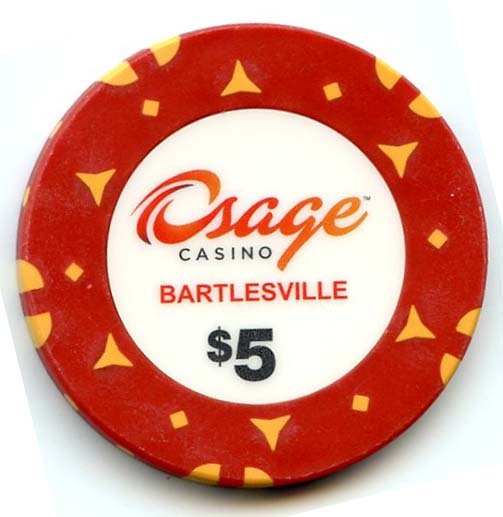 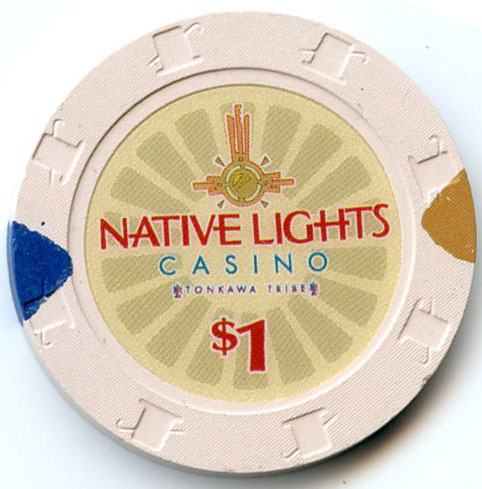 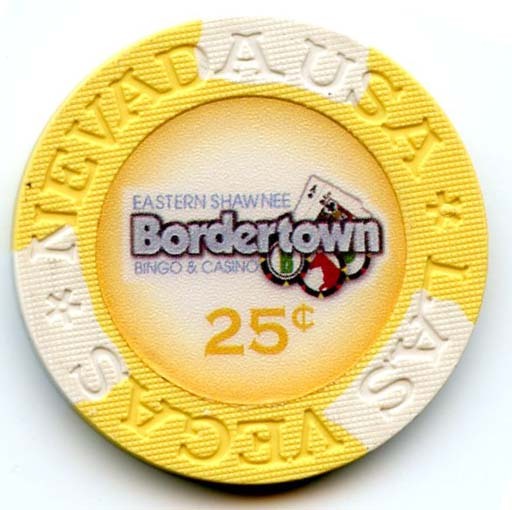 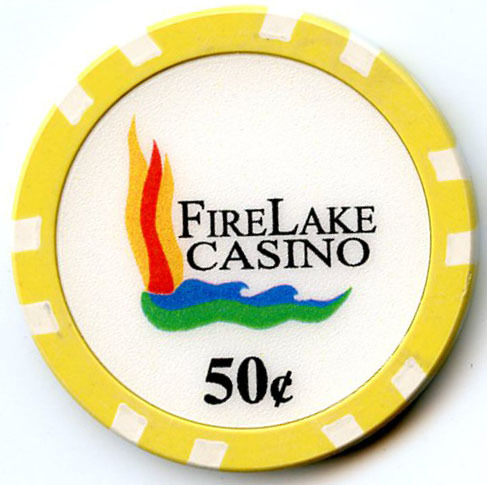 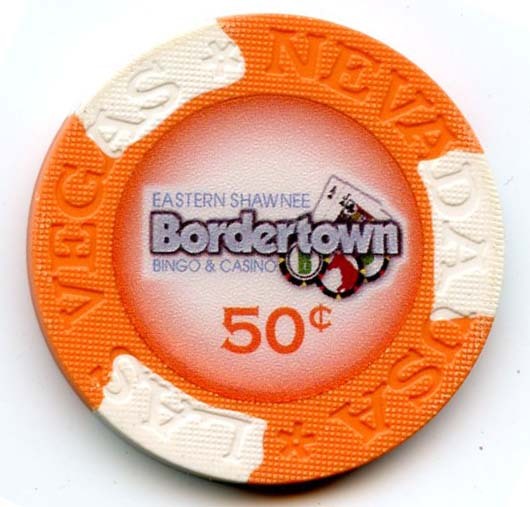 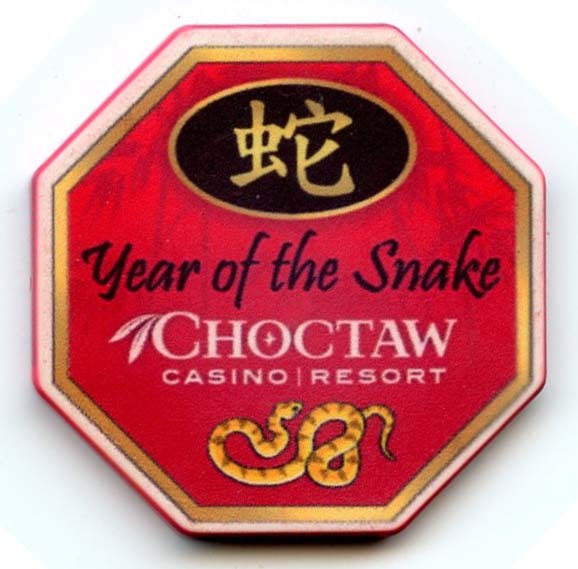 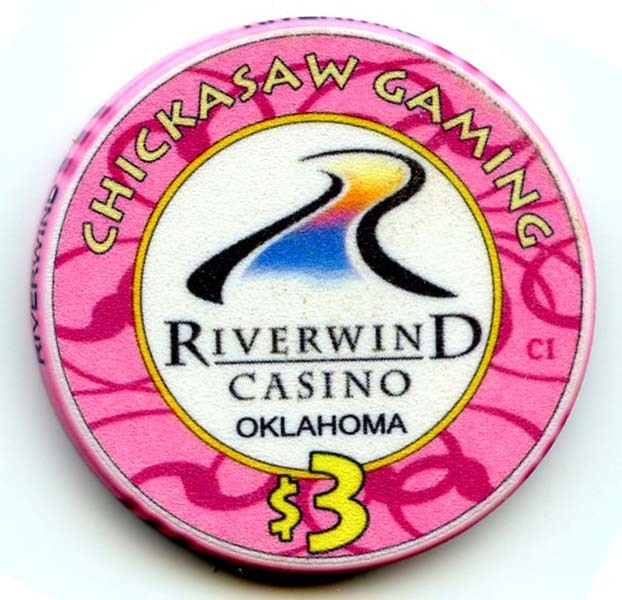 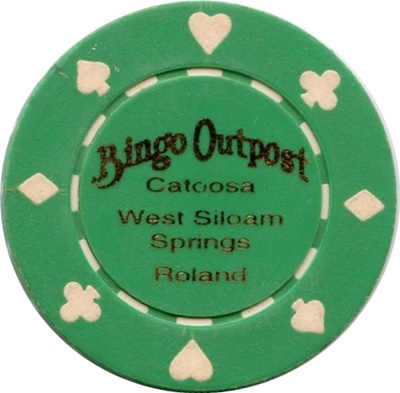 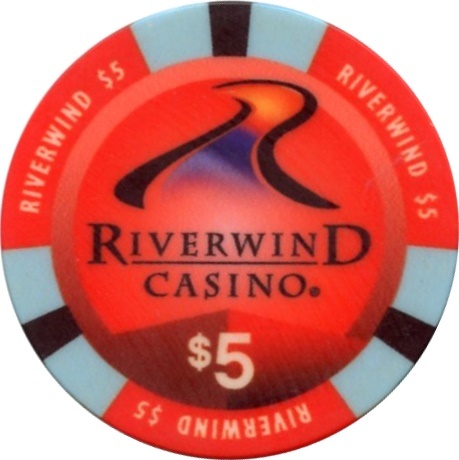 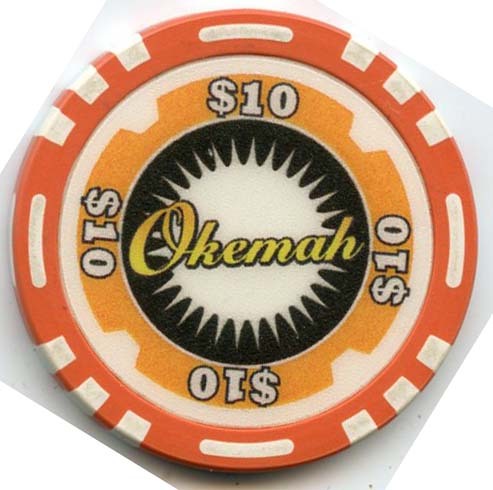 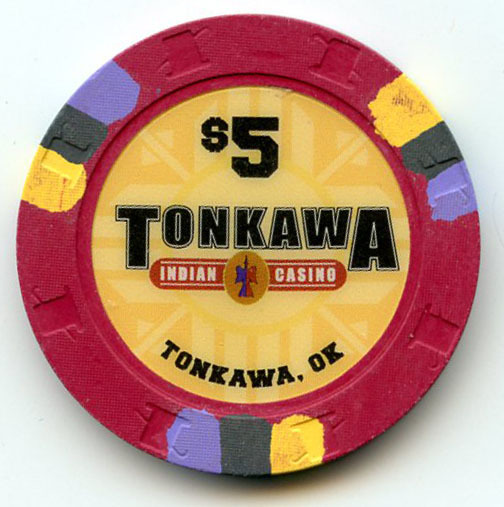 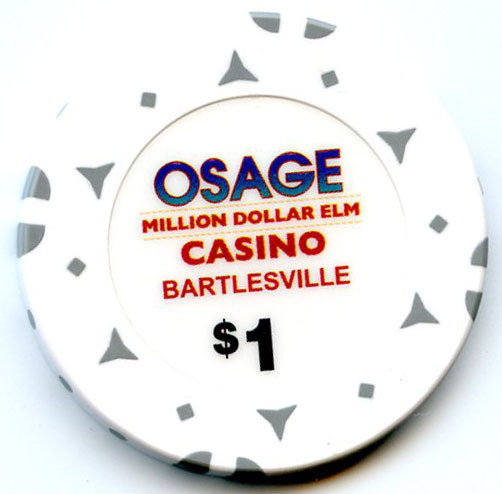 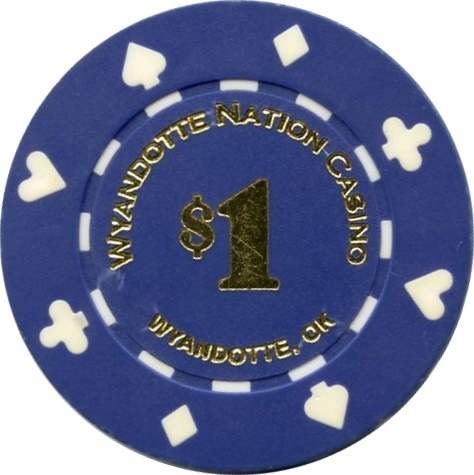 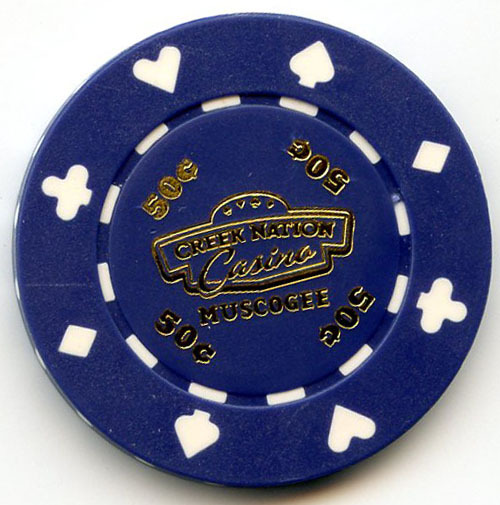 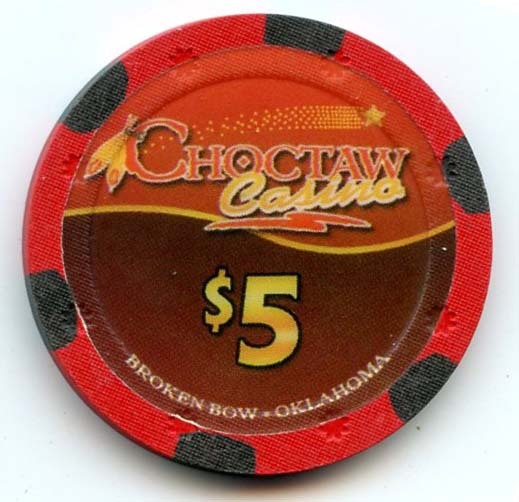 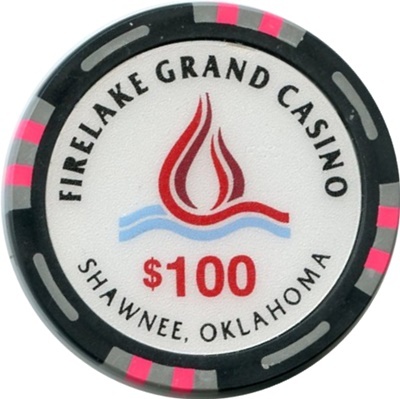 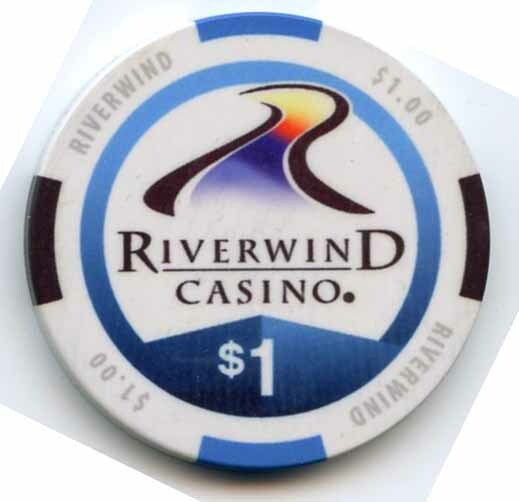 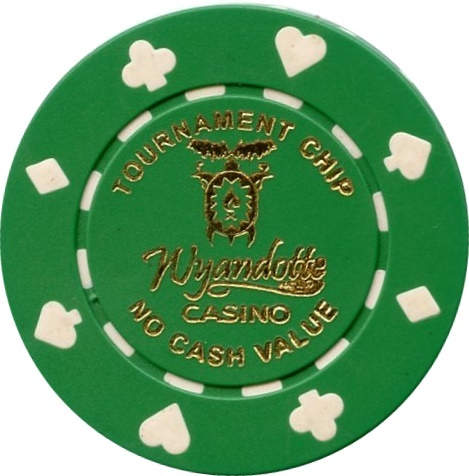 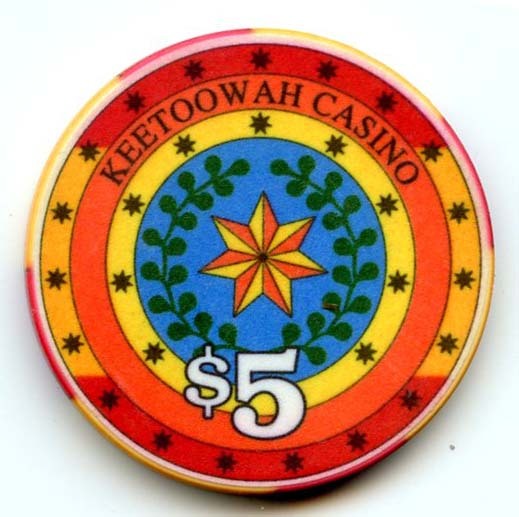 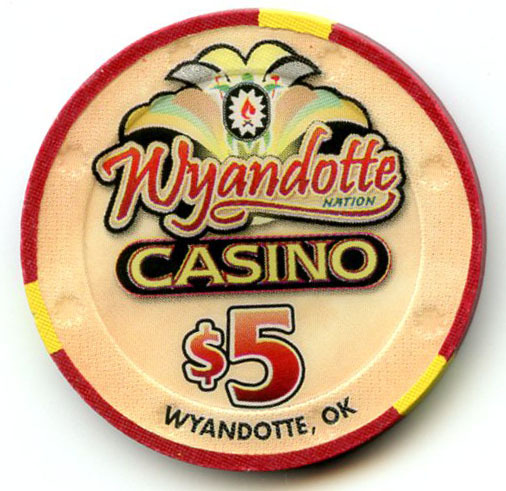 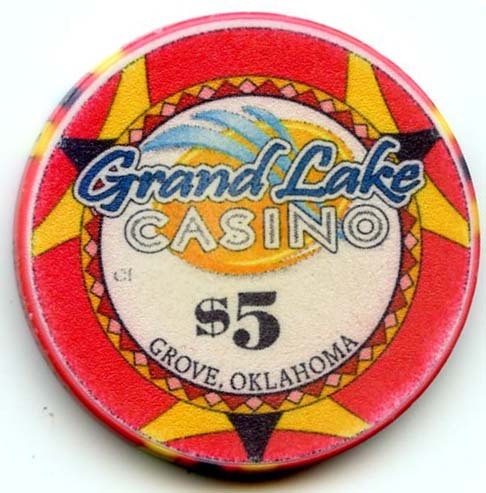 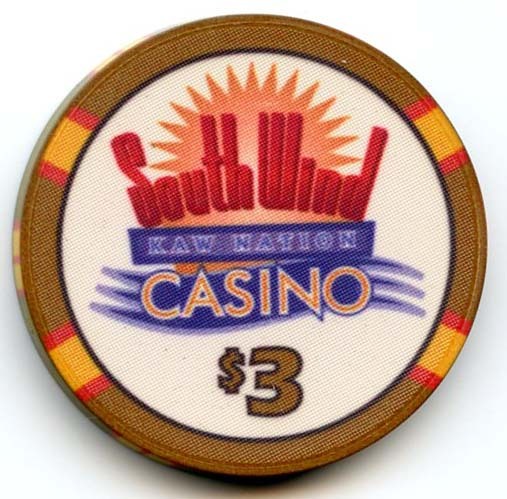 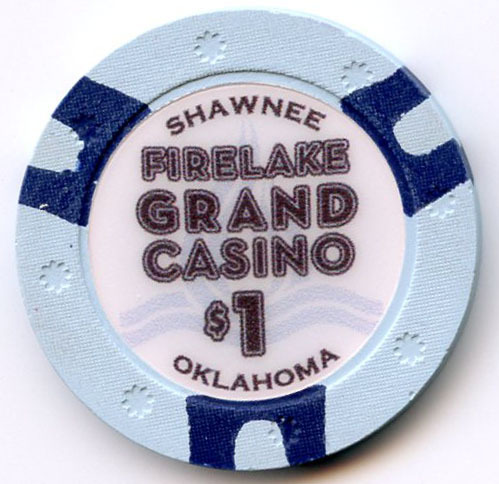 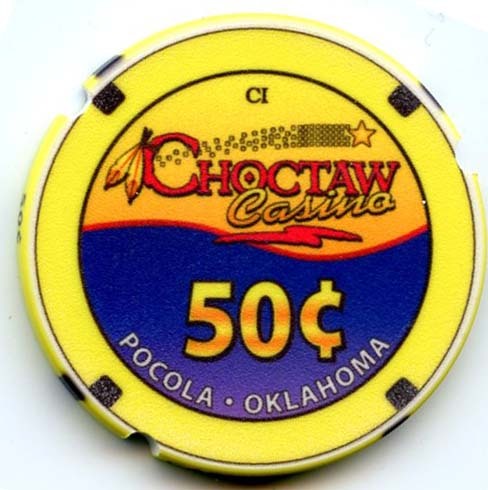 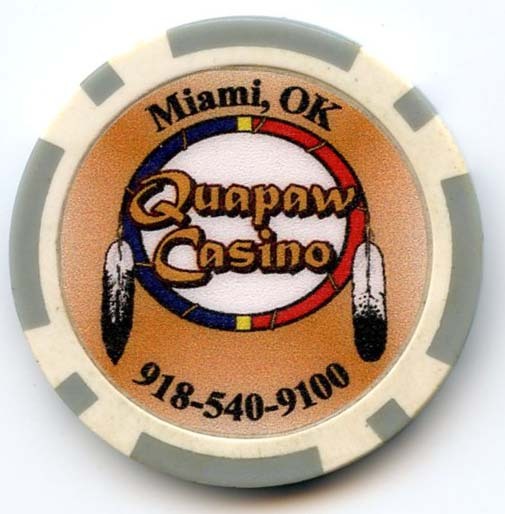 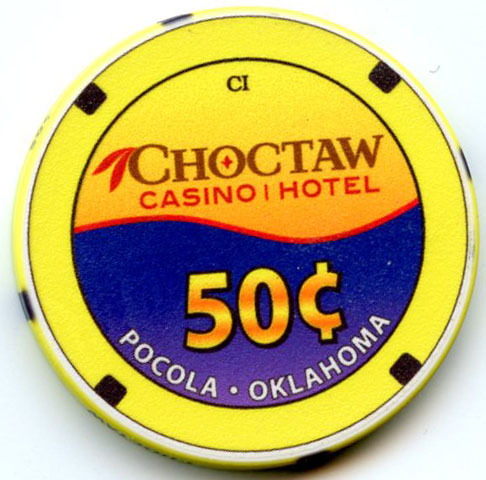 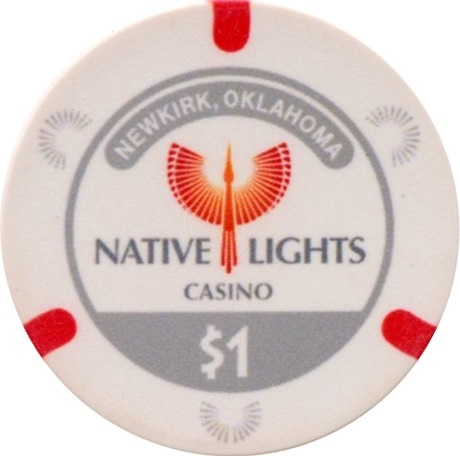 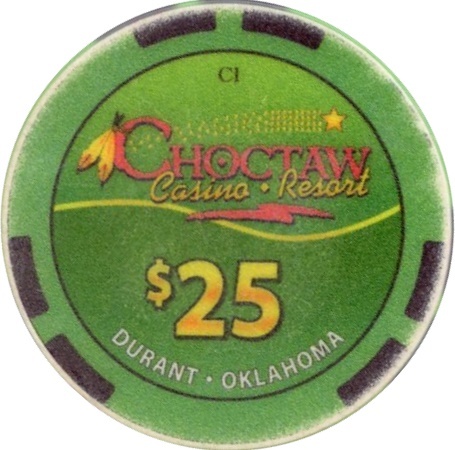 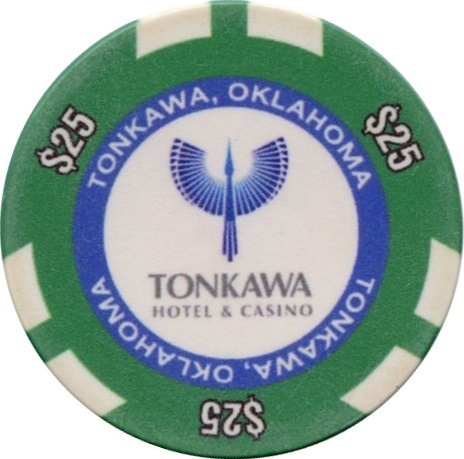 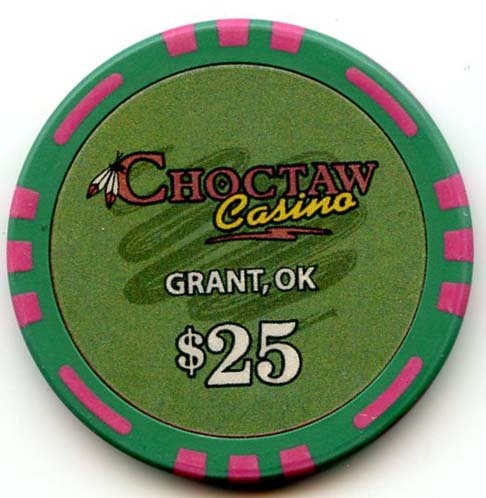 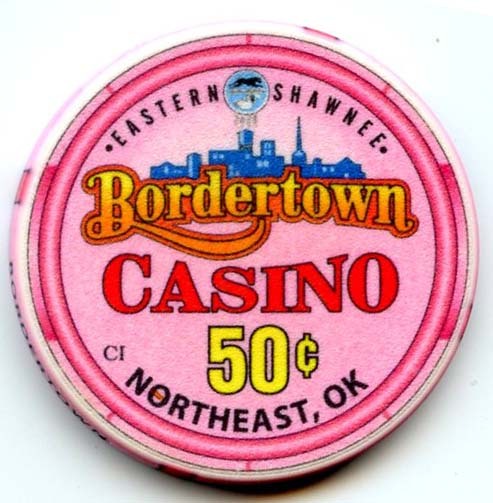 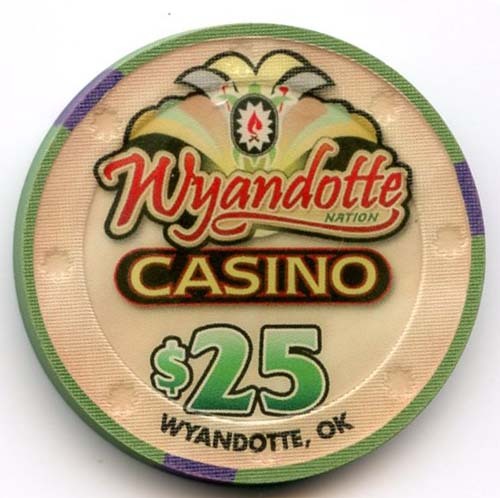 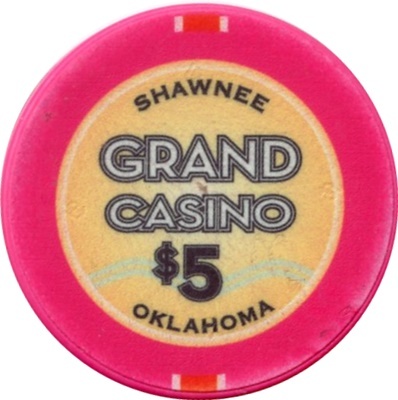 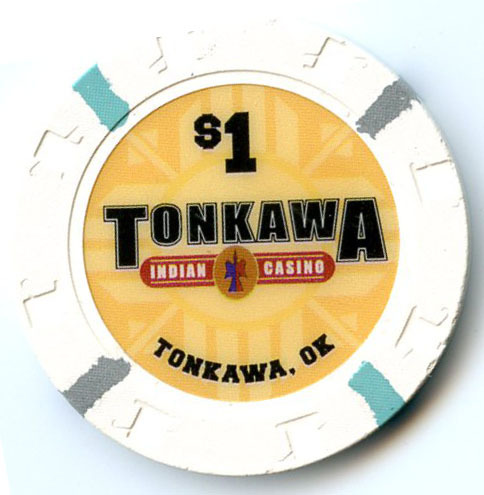 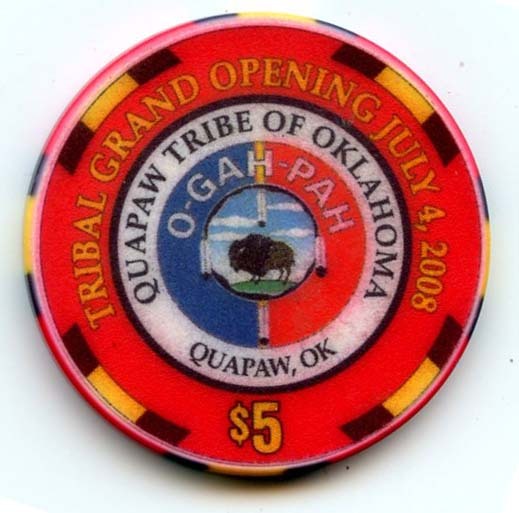 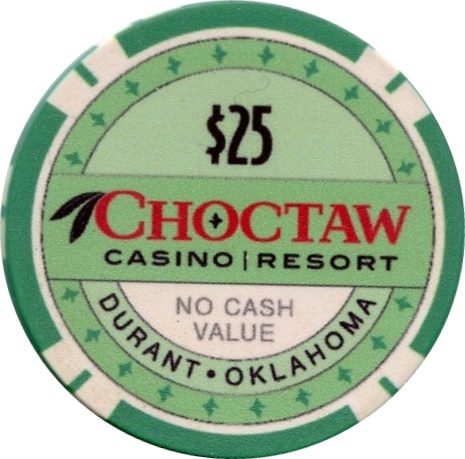 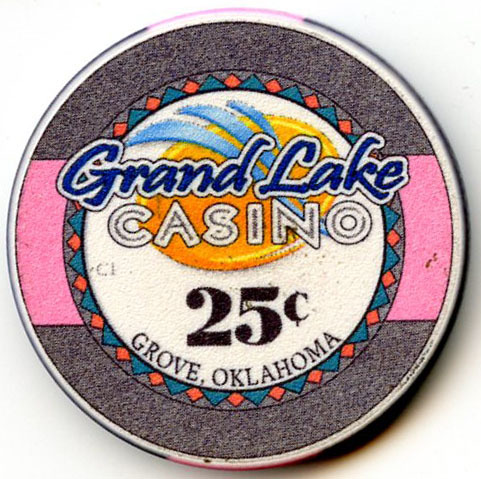 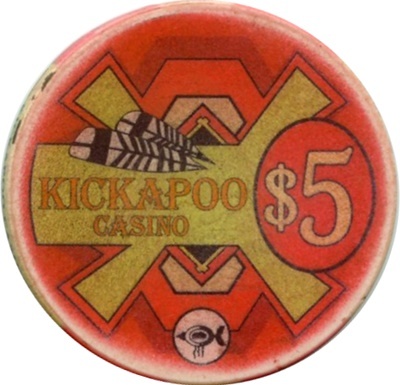 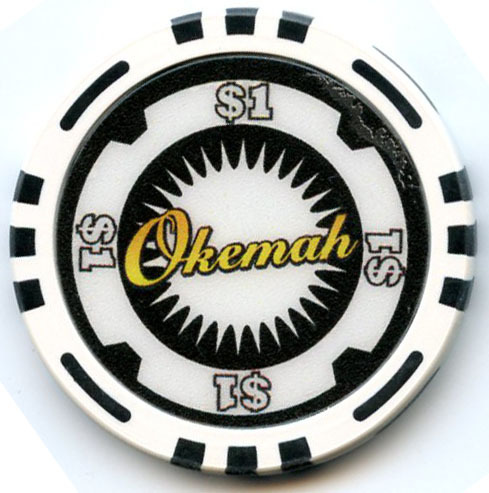 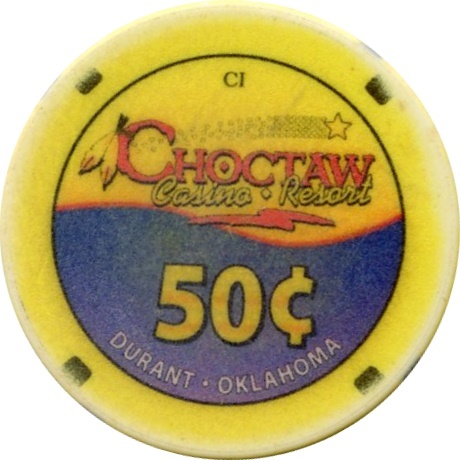 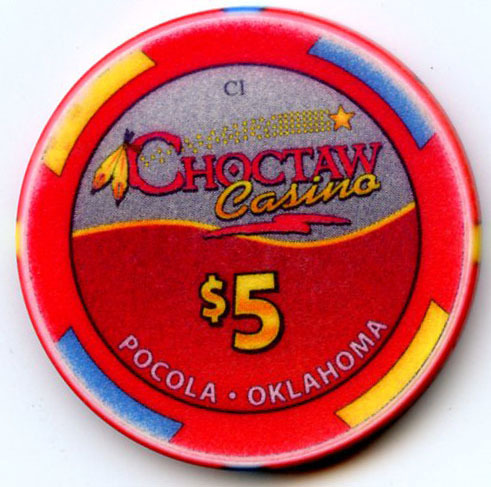 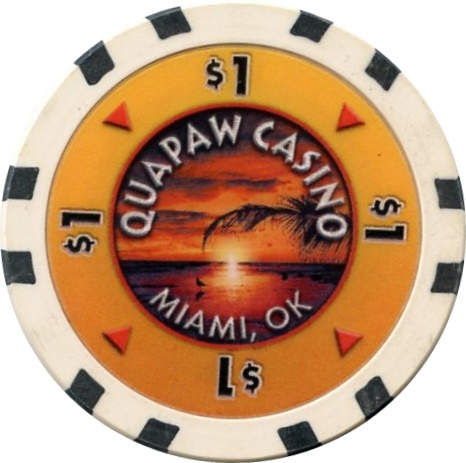 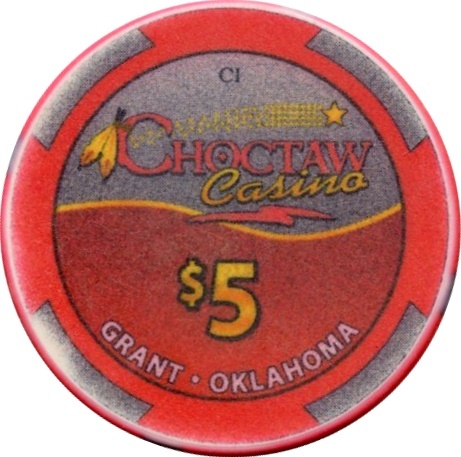 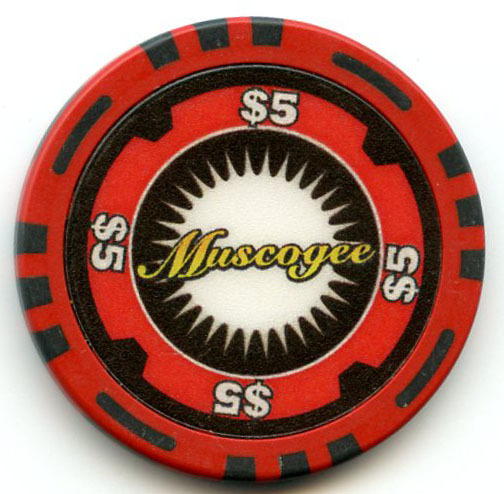 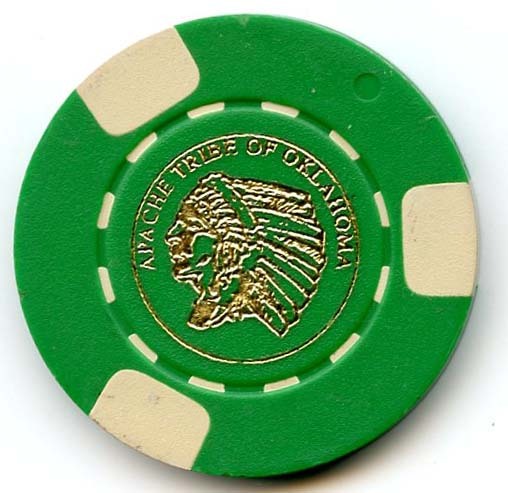 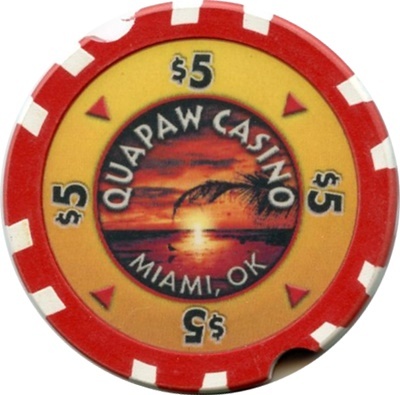 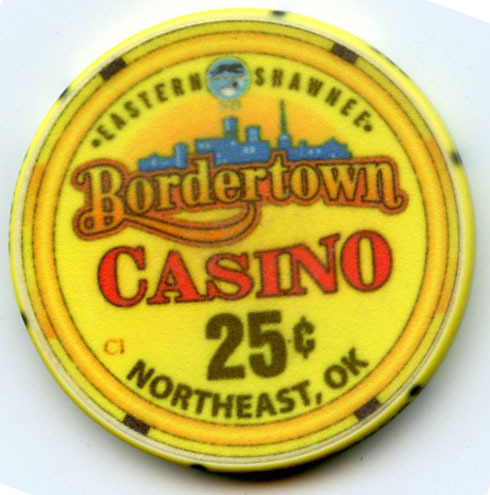 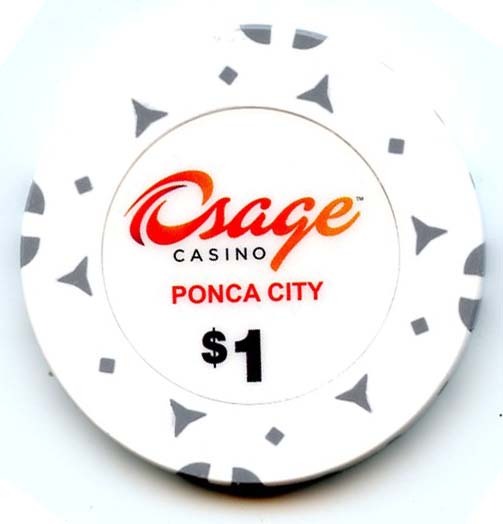 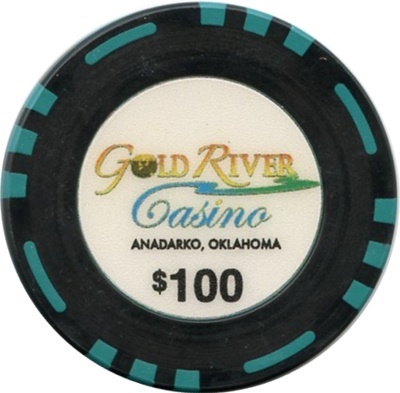 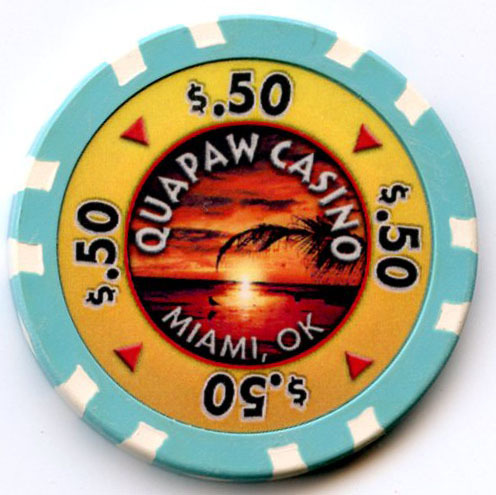 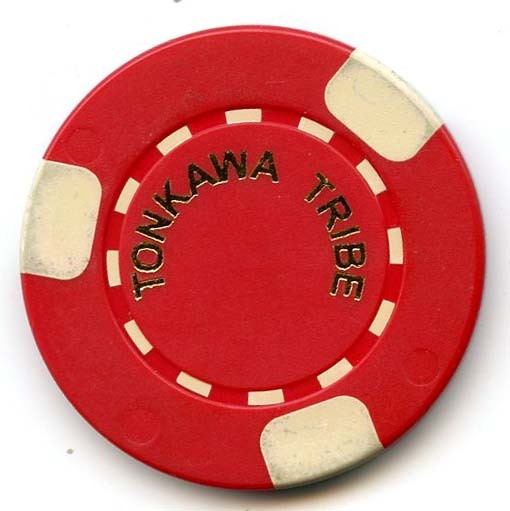 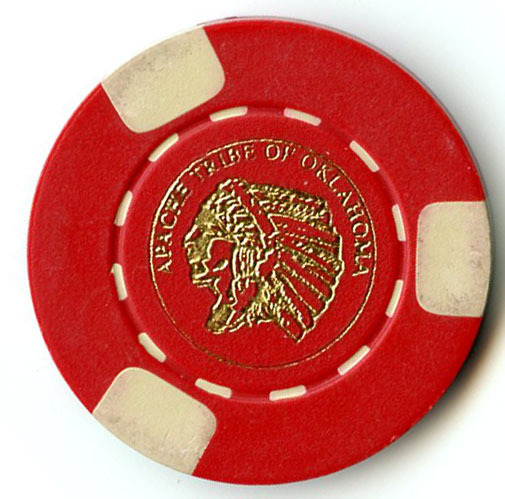 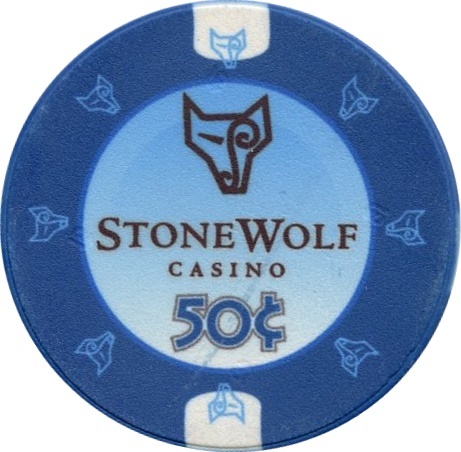 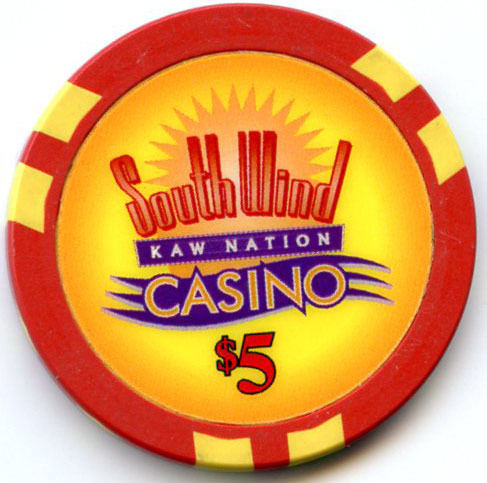 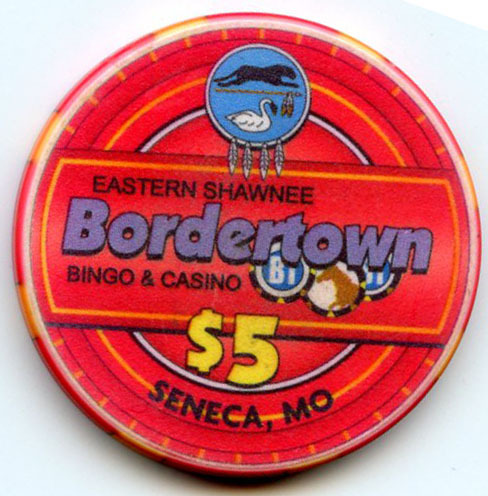 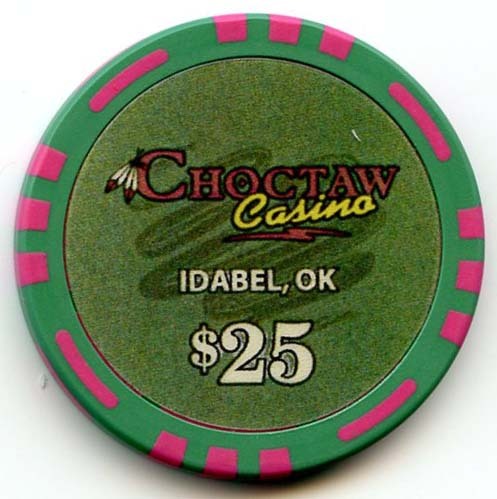 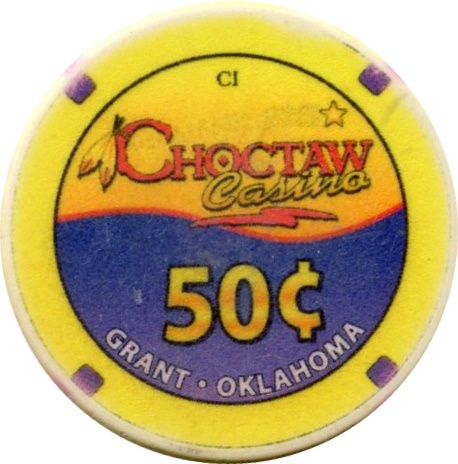 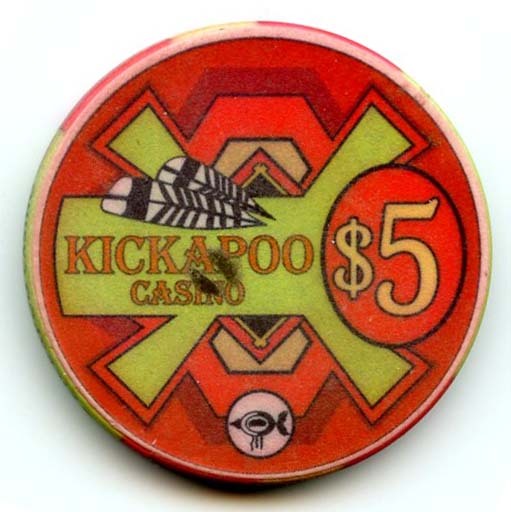 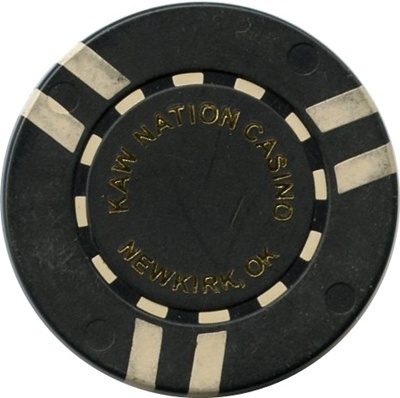 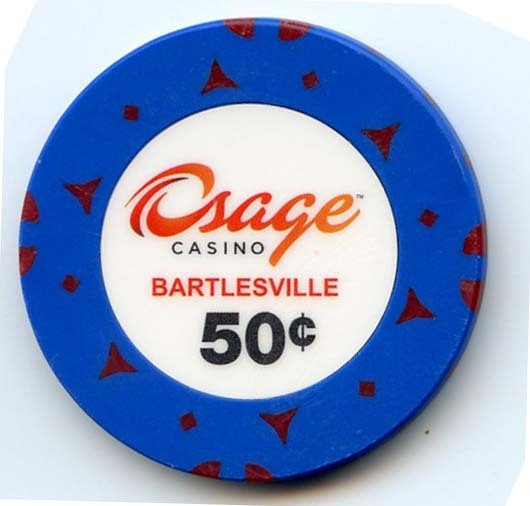 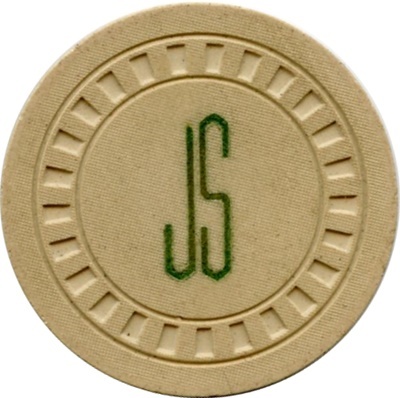 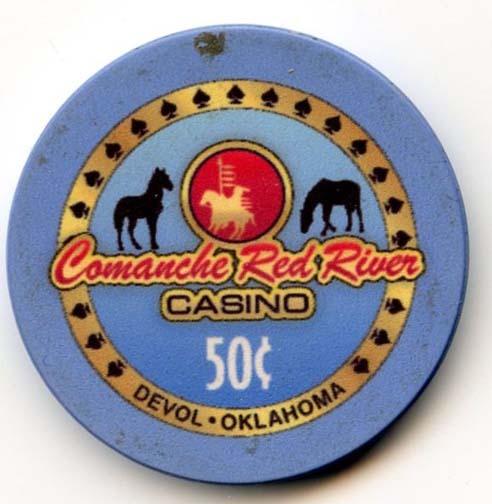 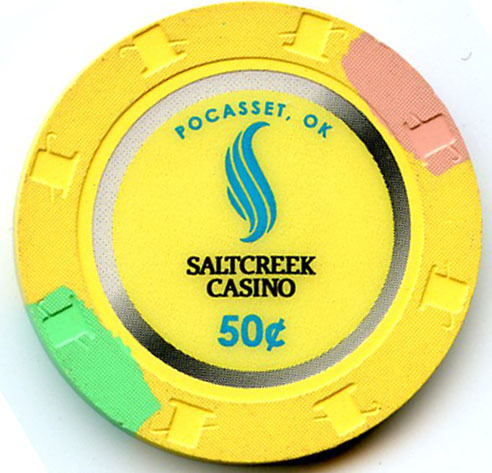 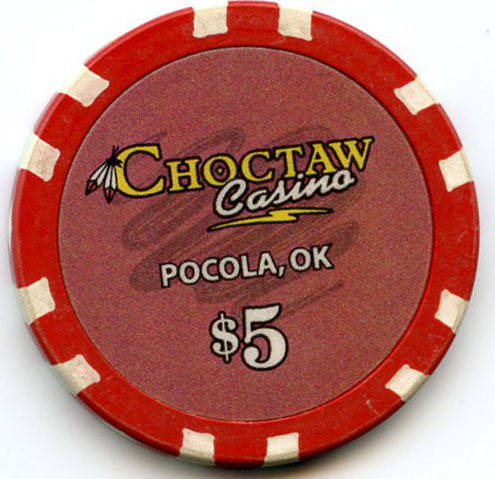 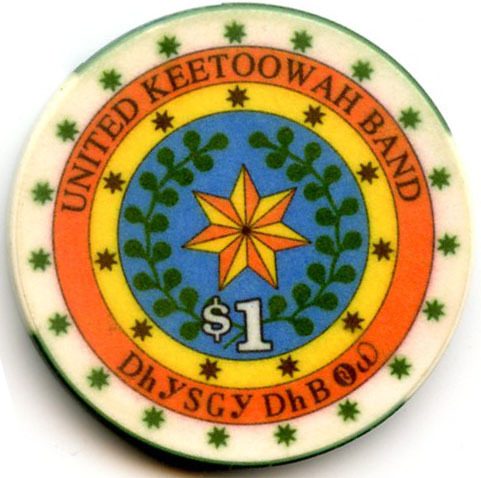 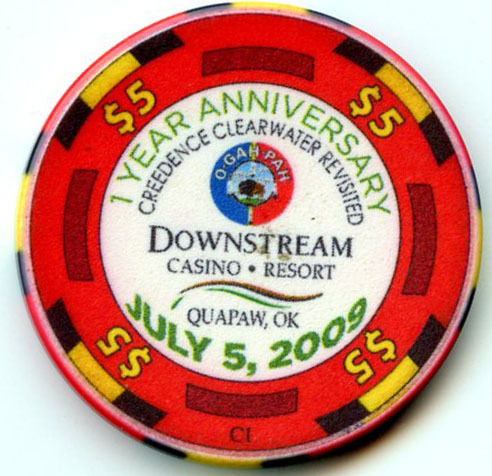 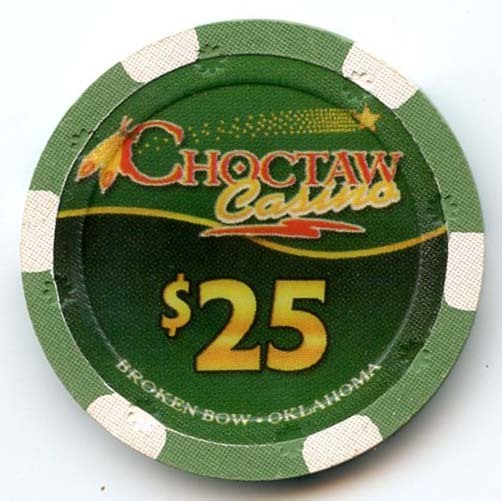 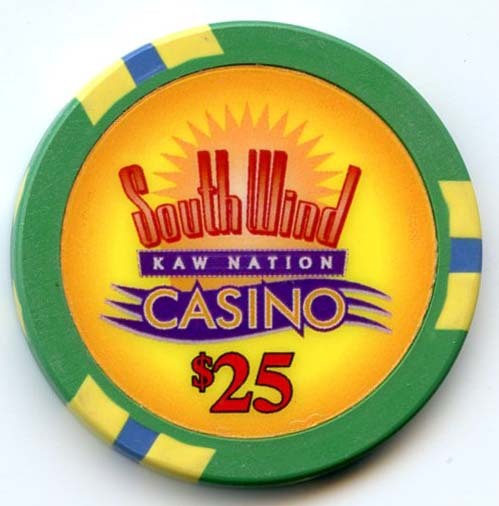 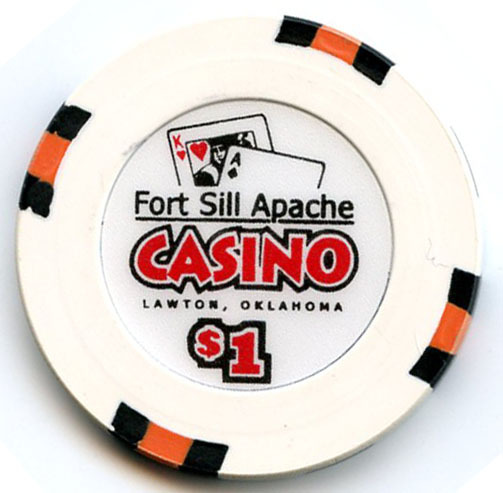 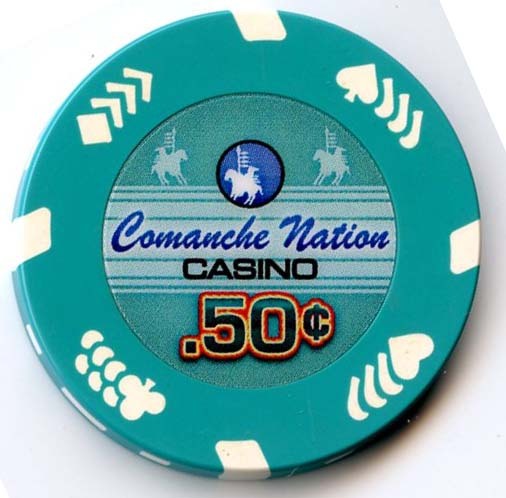 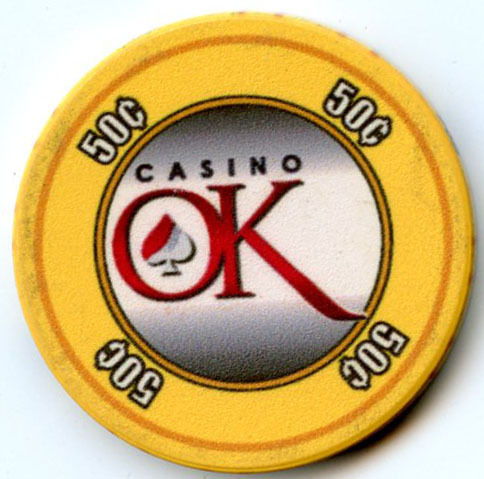 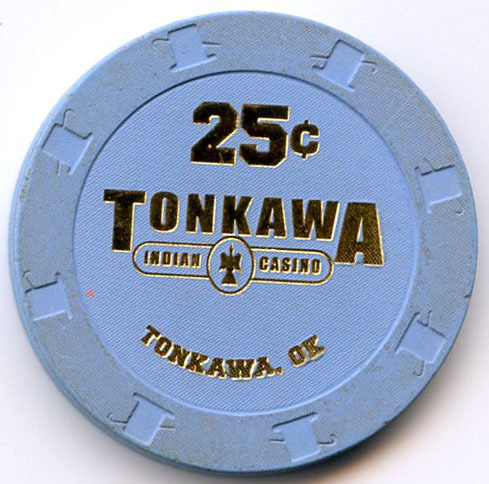 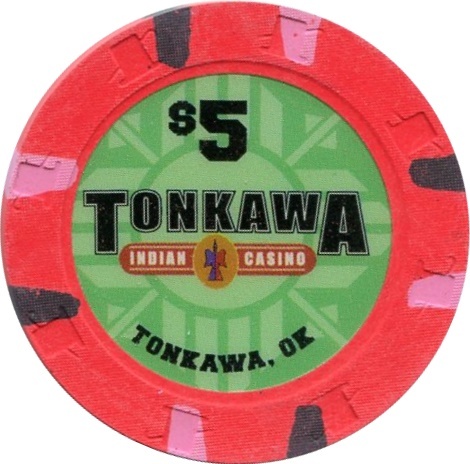 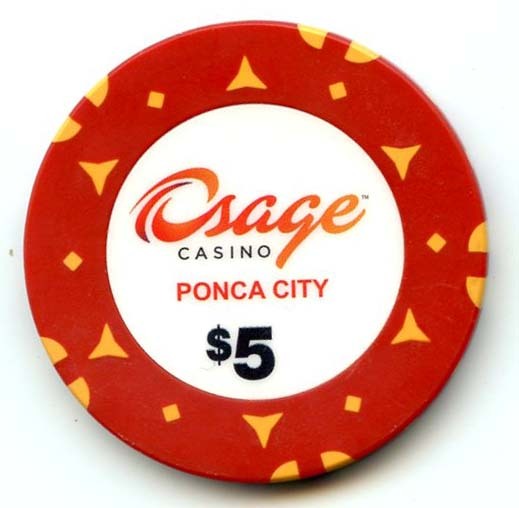 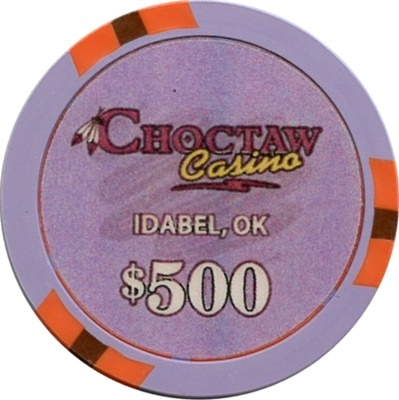 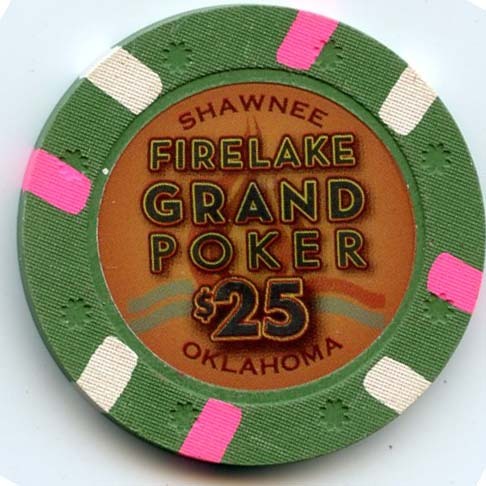 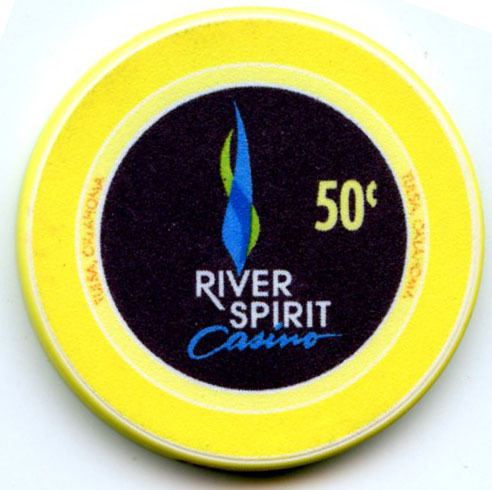 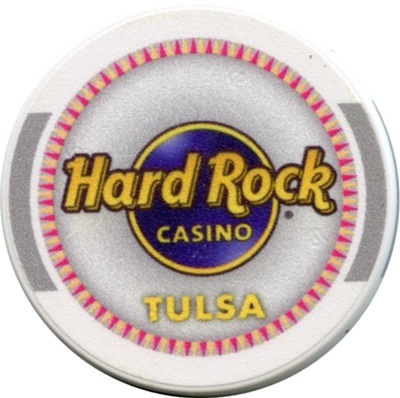 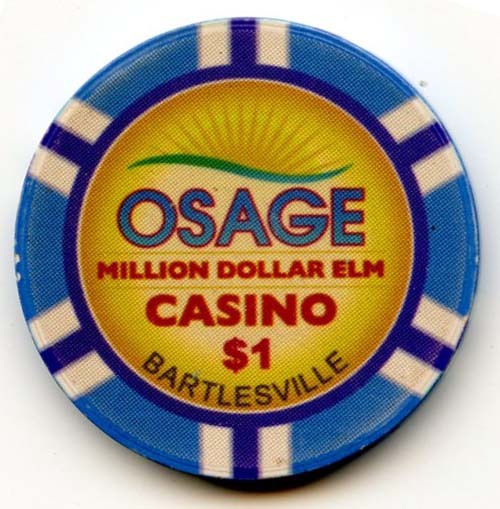 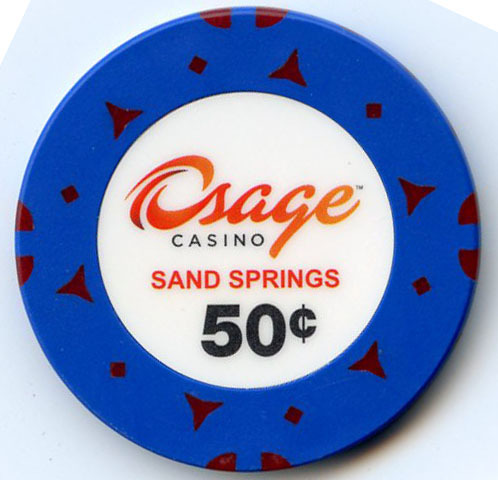 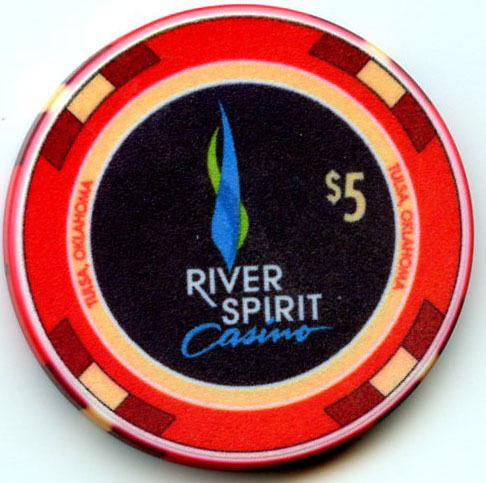 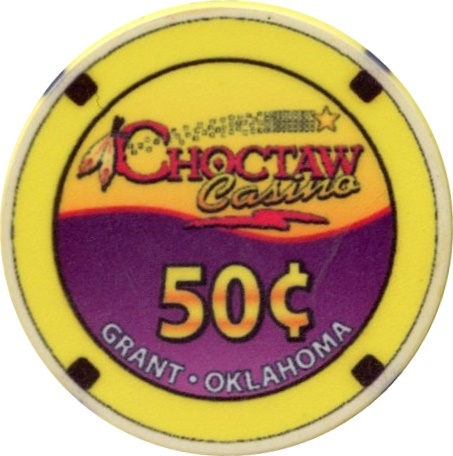 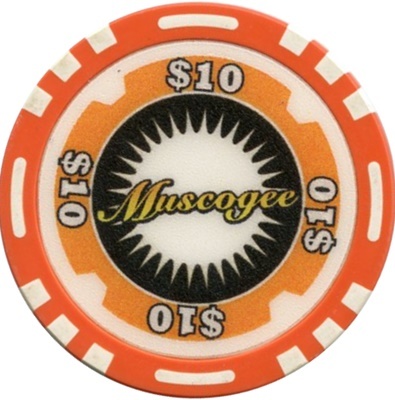 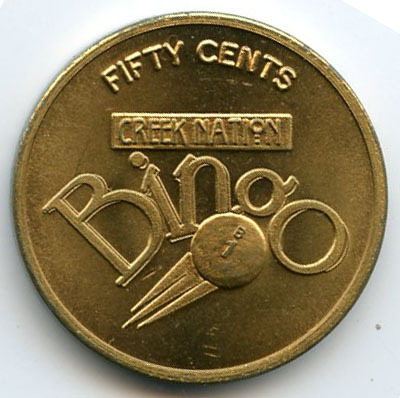 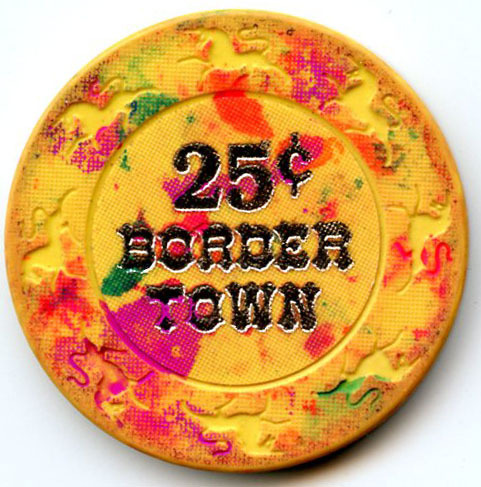 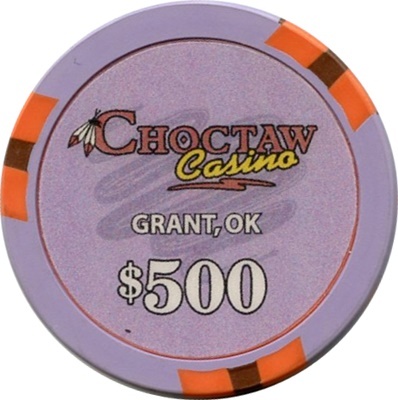 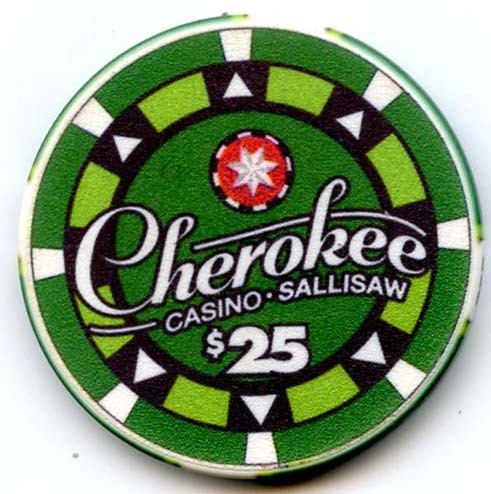 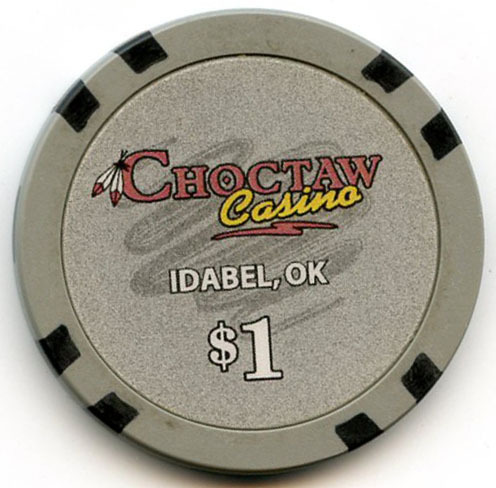 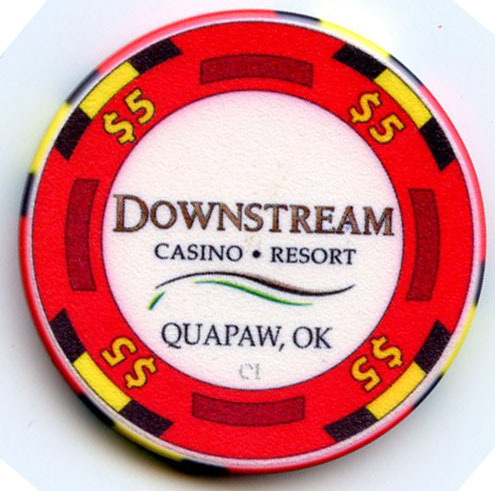 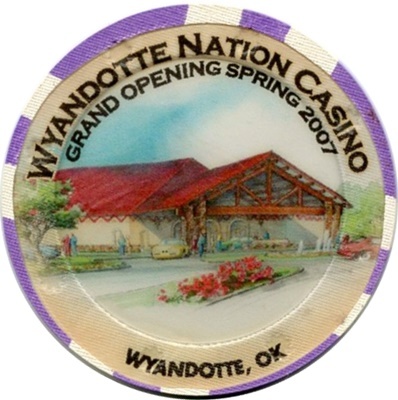 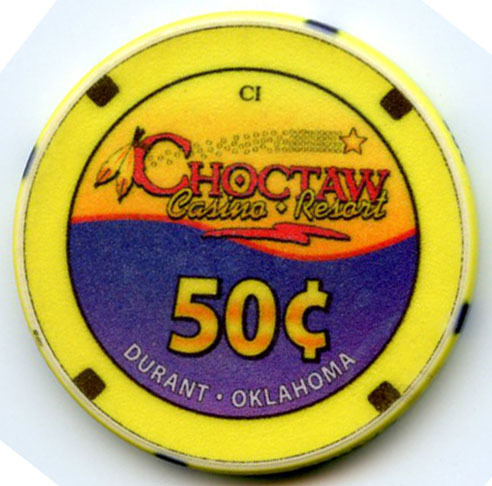 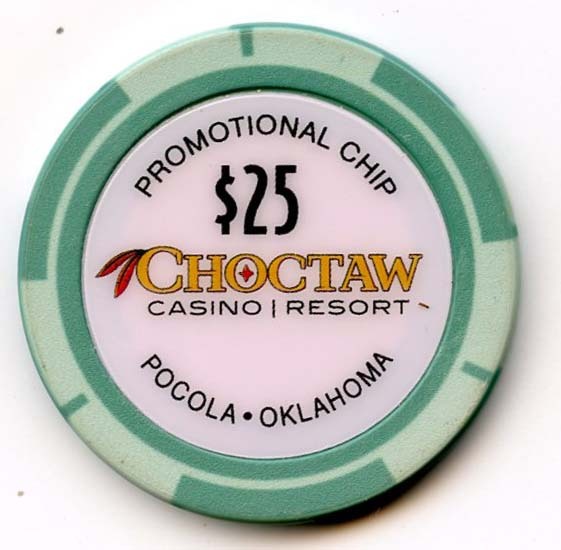 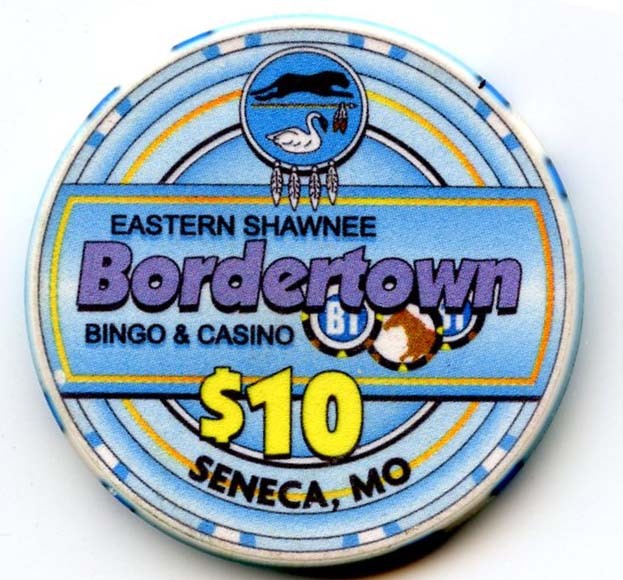 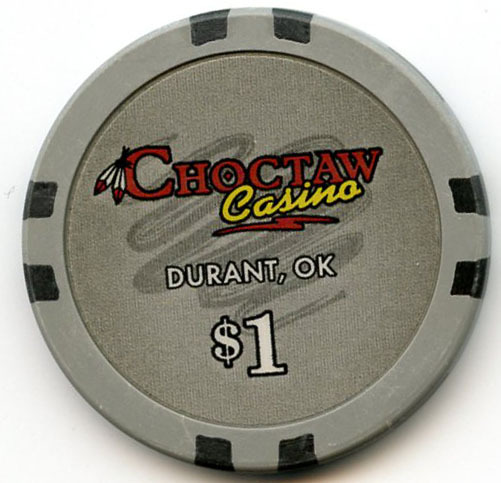 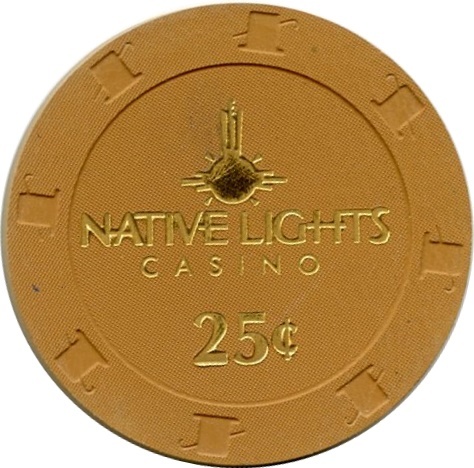 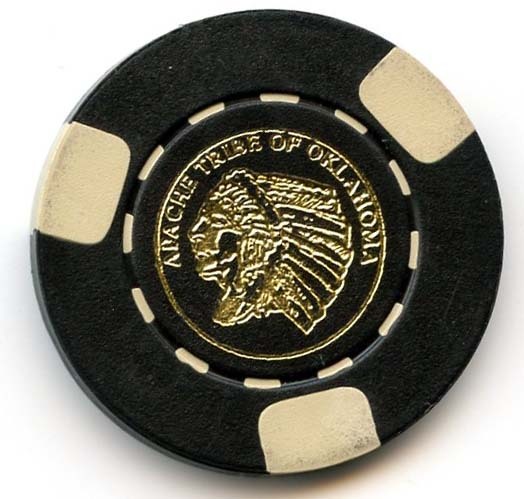 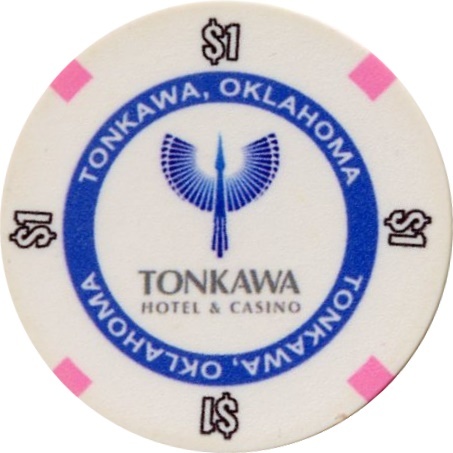 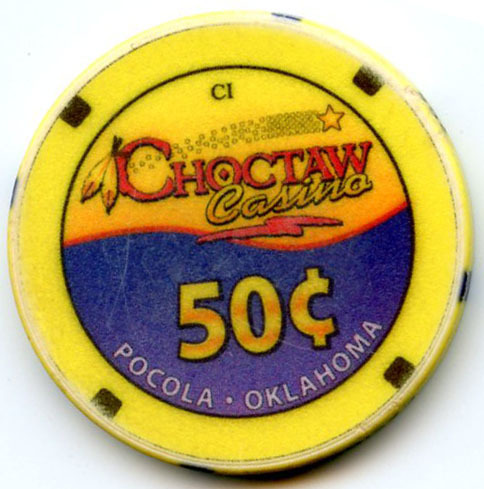 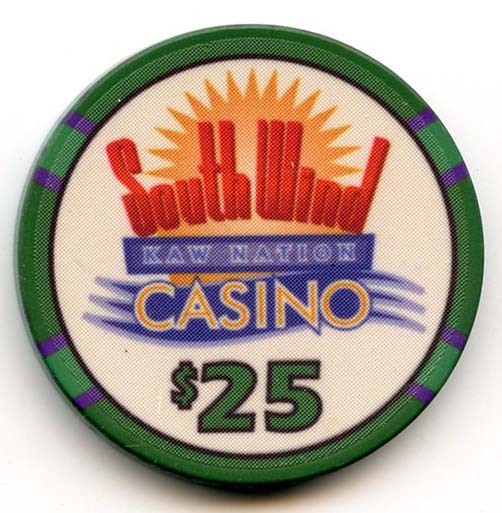 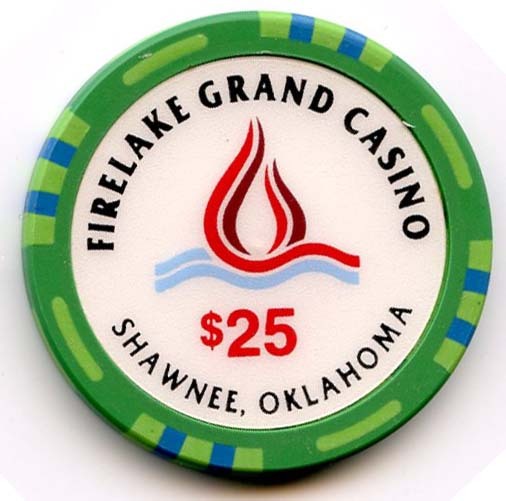 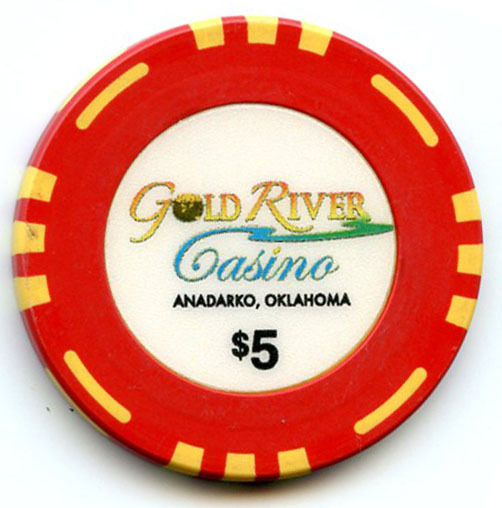 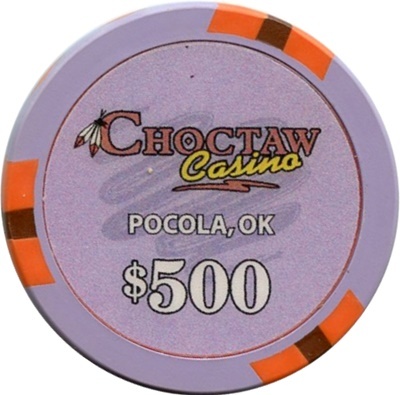 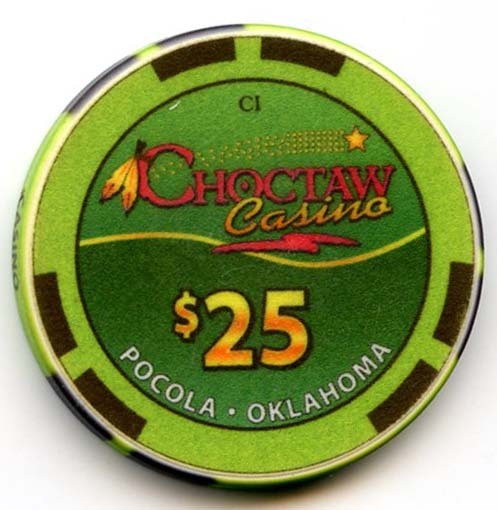 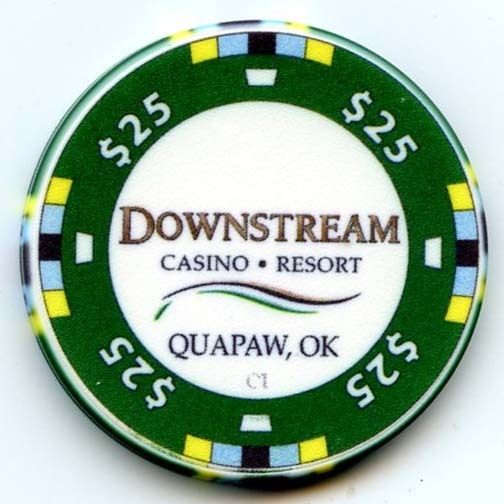 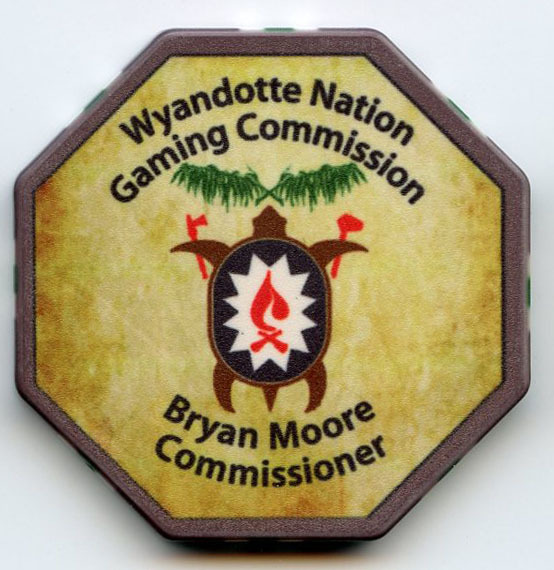 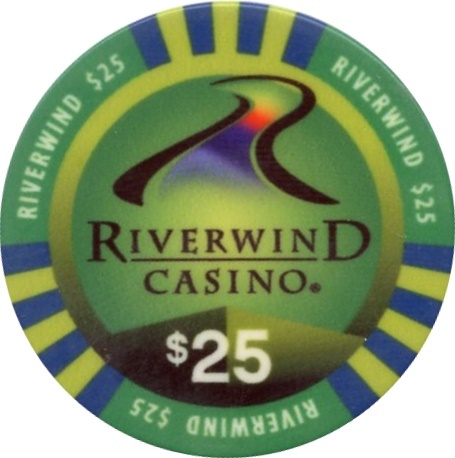 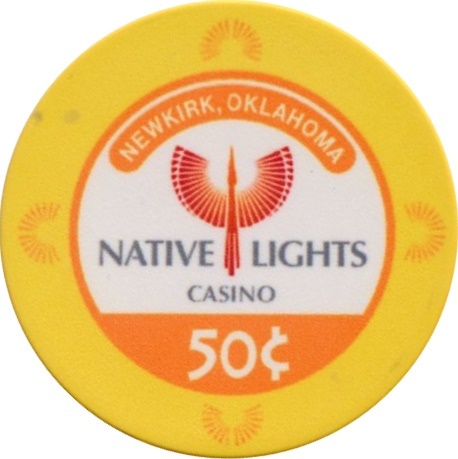 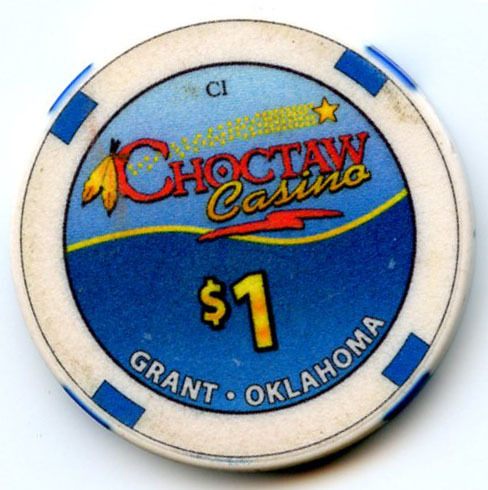 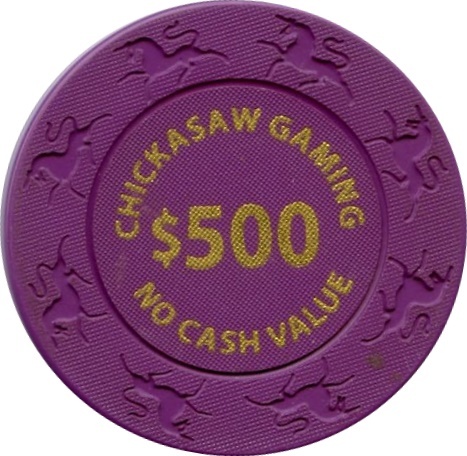 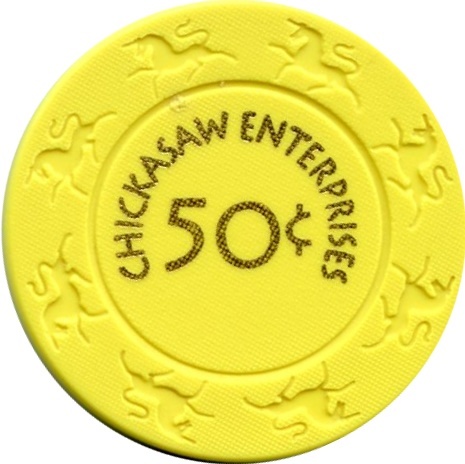 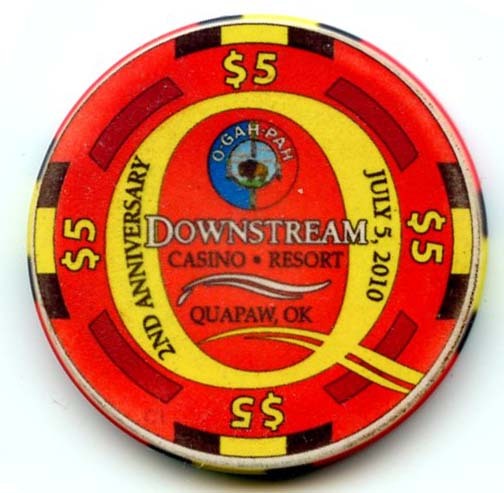 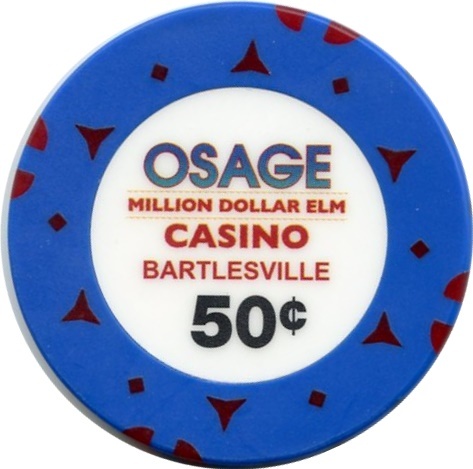 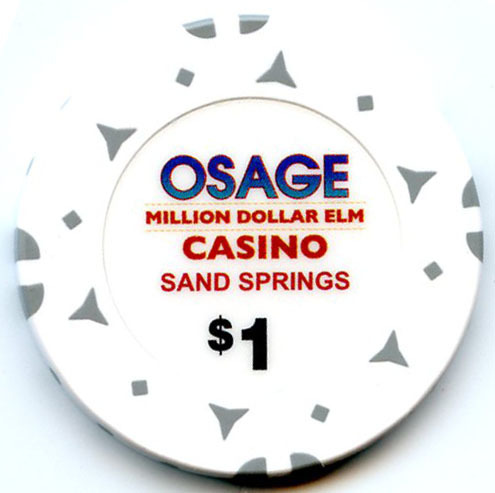 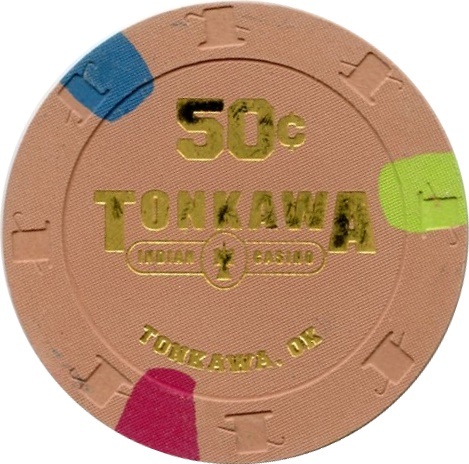 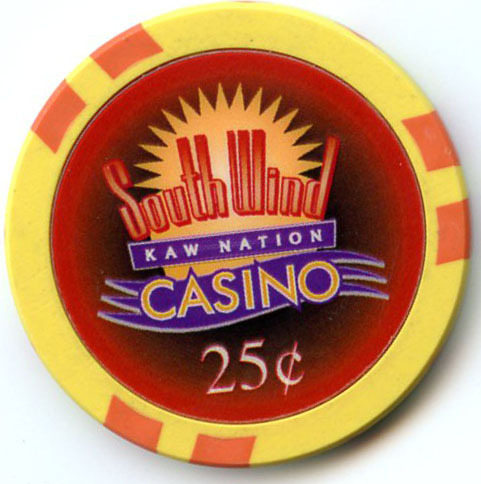 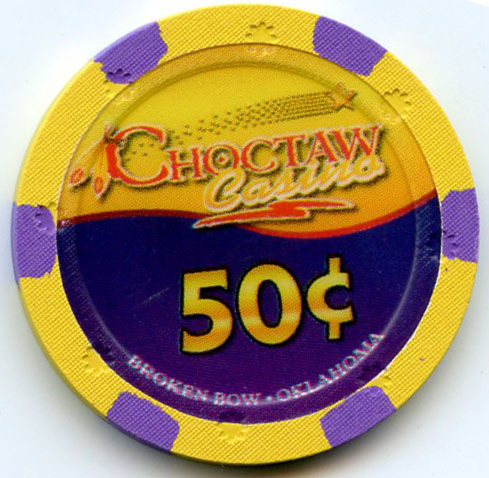 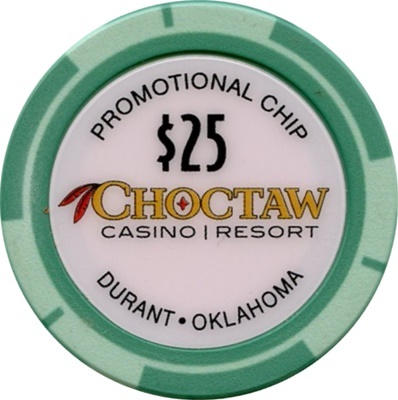 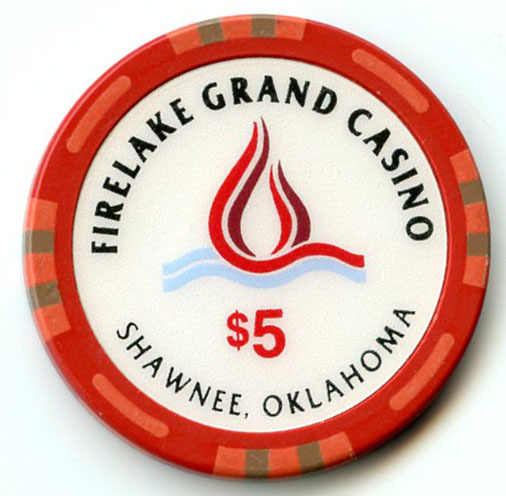 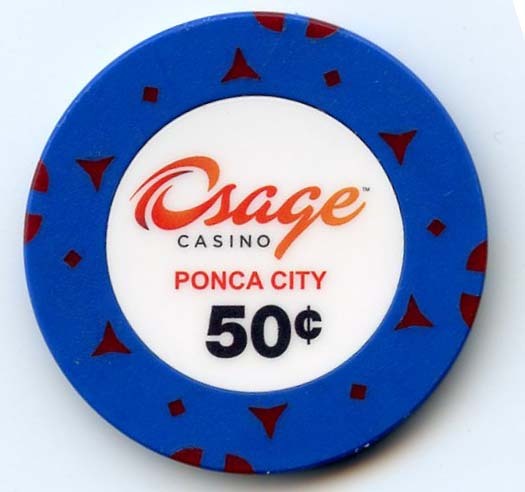 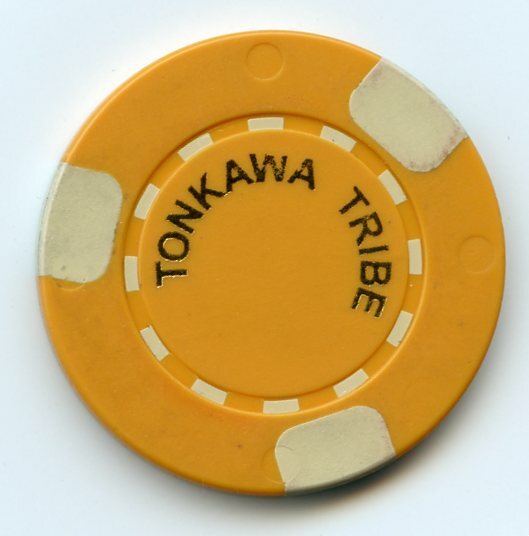 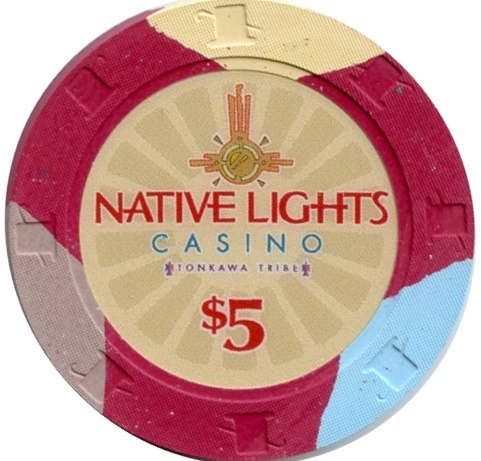 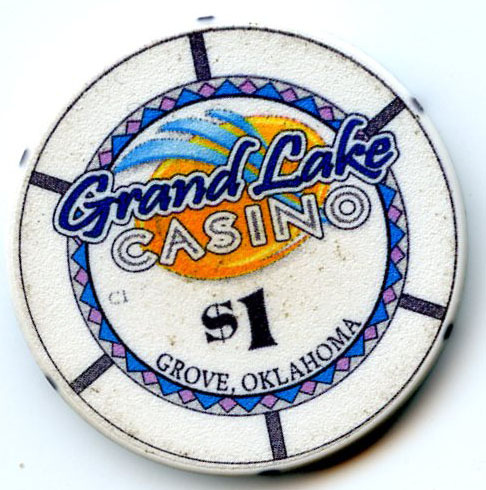 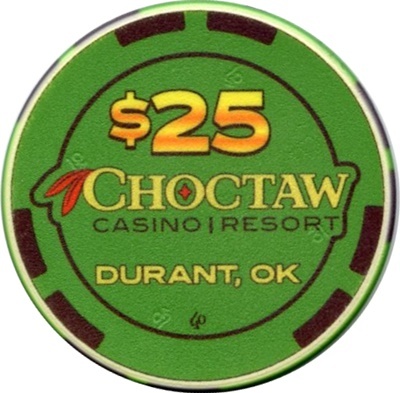 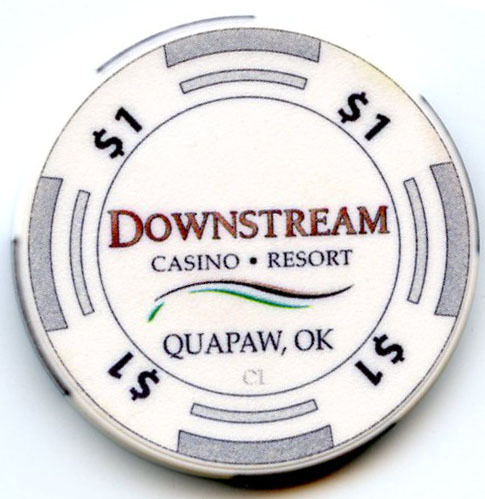 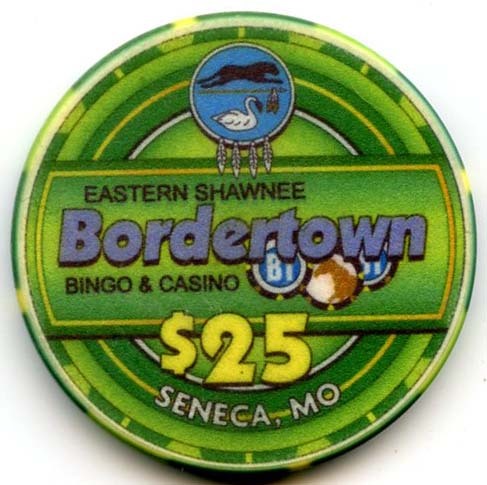 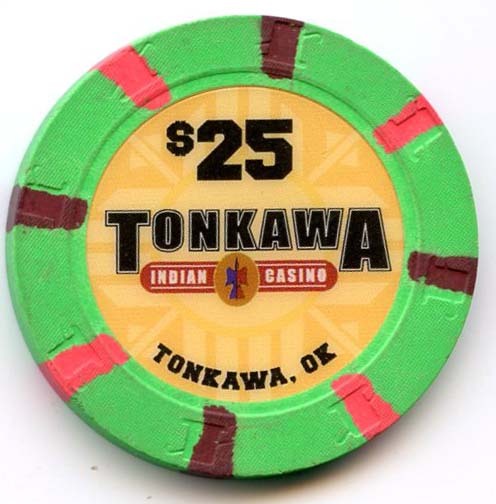 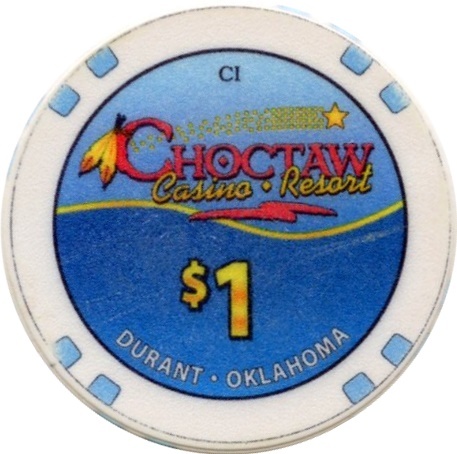 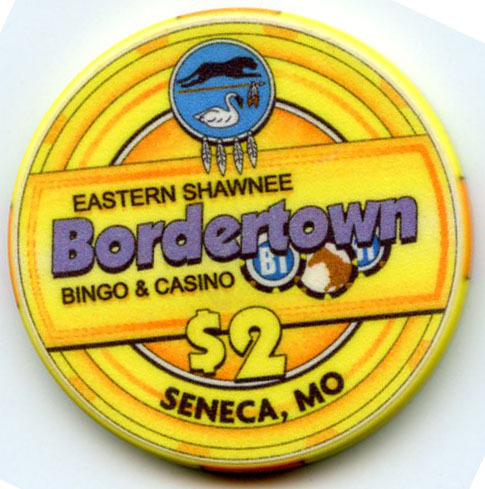 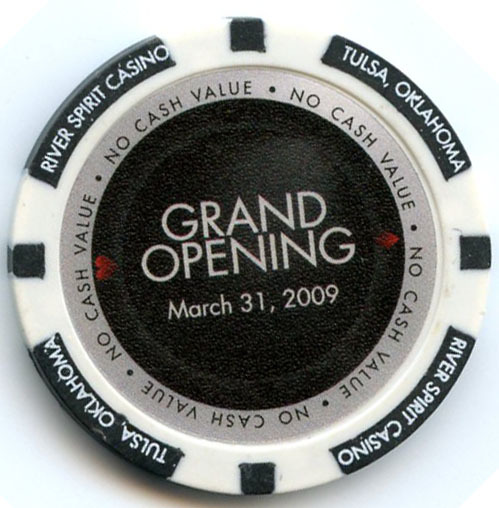 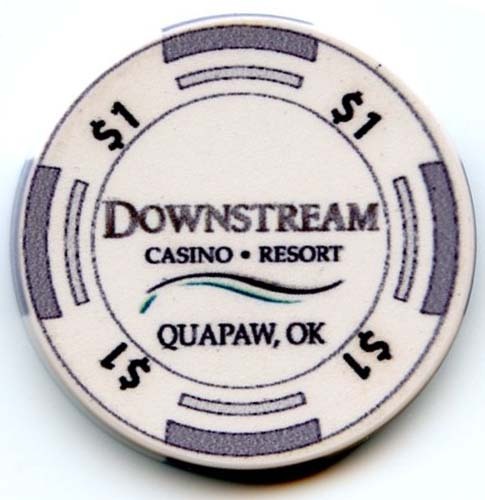 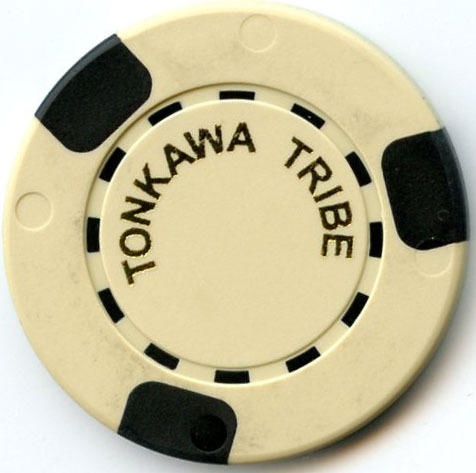 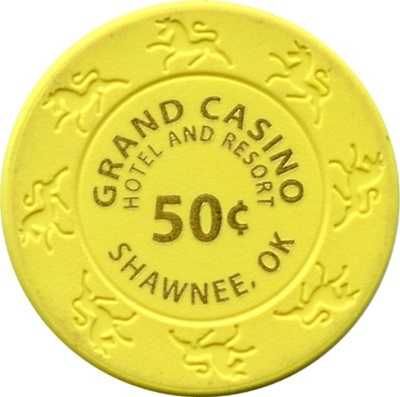 The exact Location of these chips is suspected to be in Oklahoma but no actual document has been recovered to prove this. 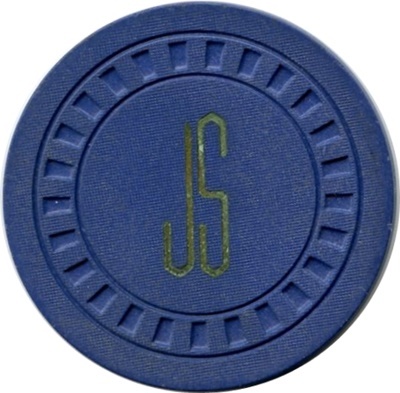 Please contact me if you have any information. 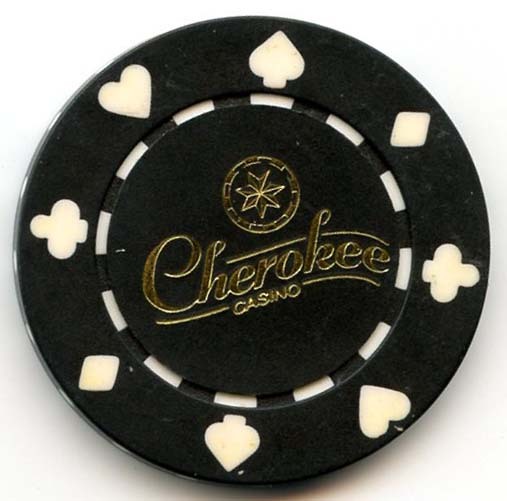 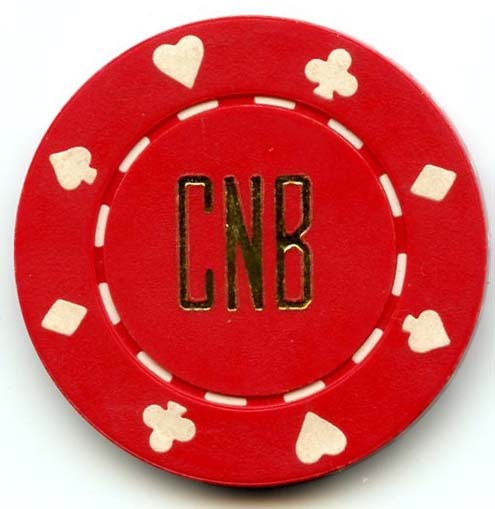 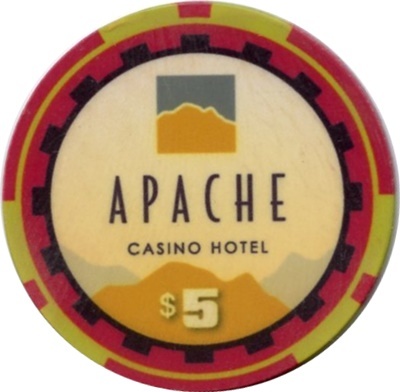 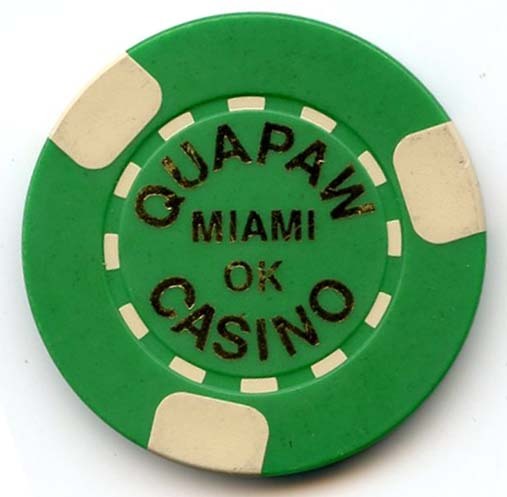 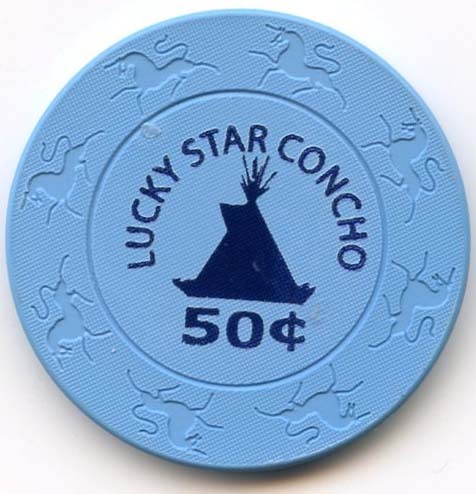 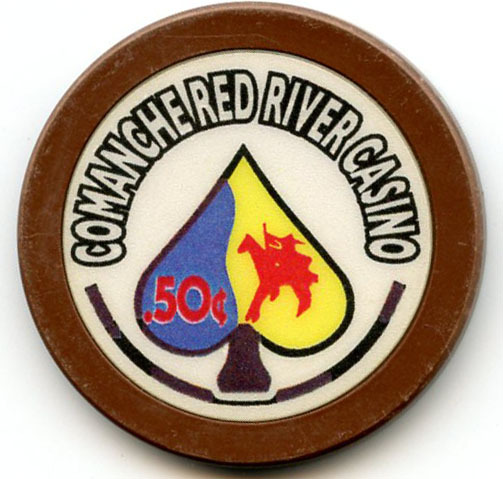 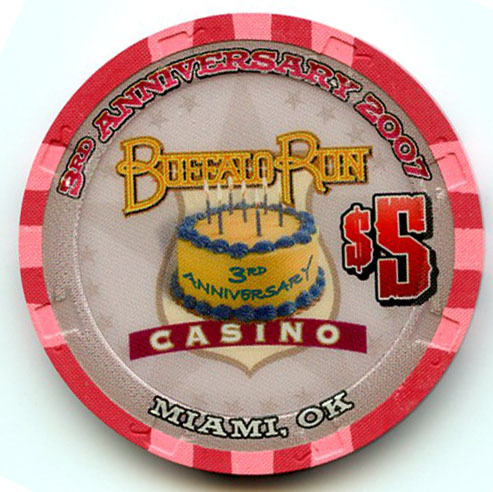 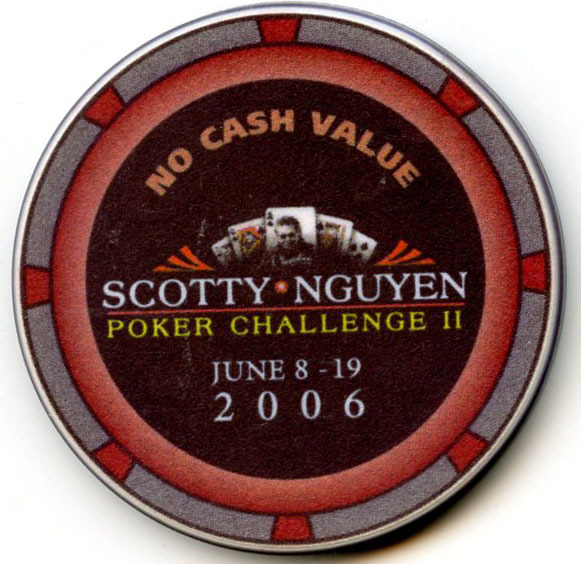 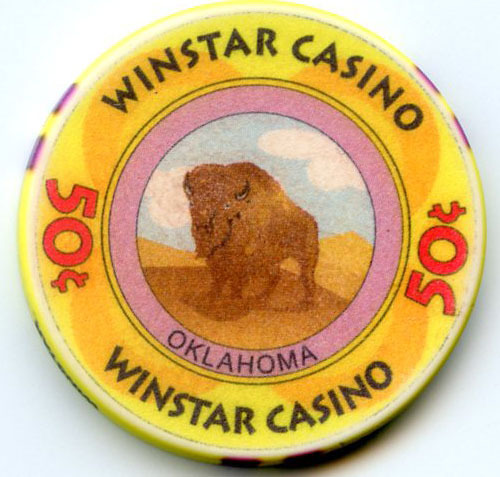 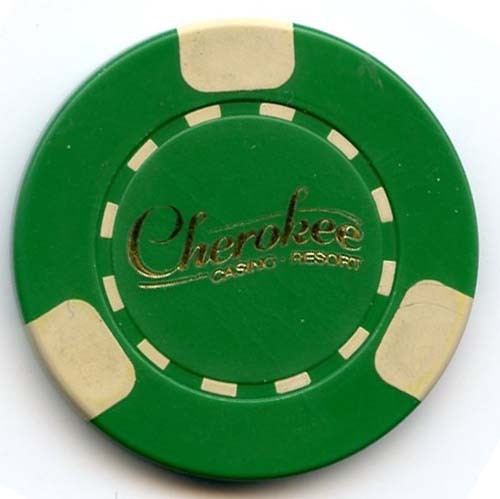 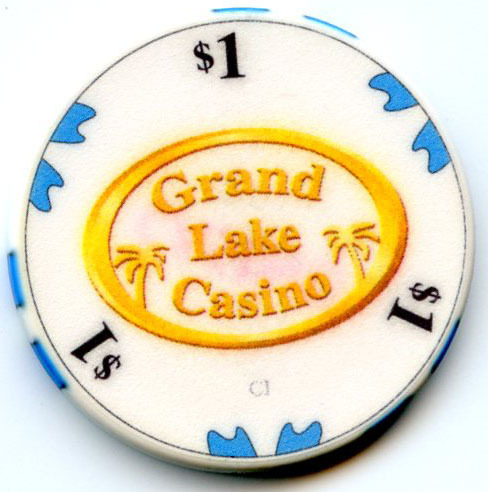 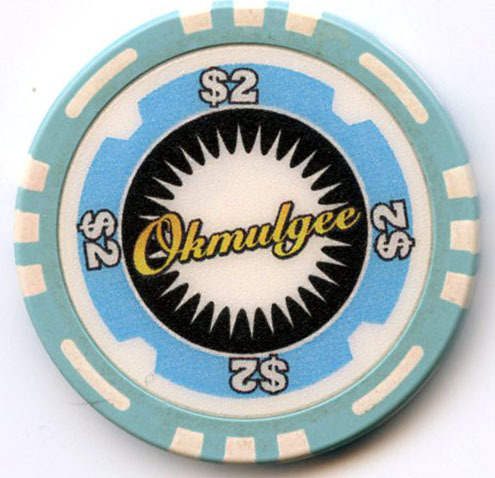 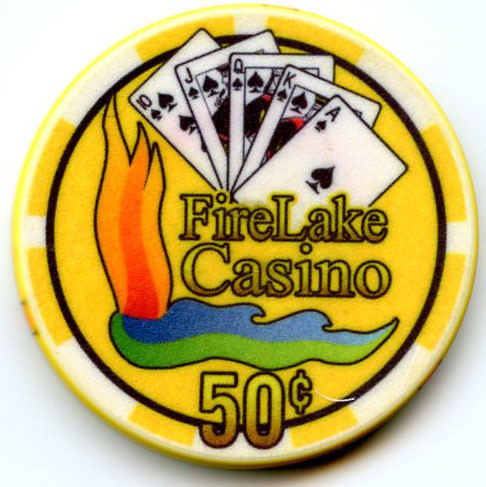 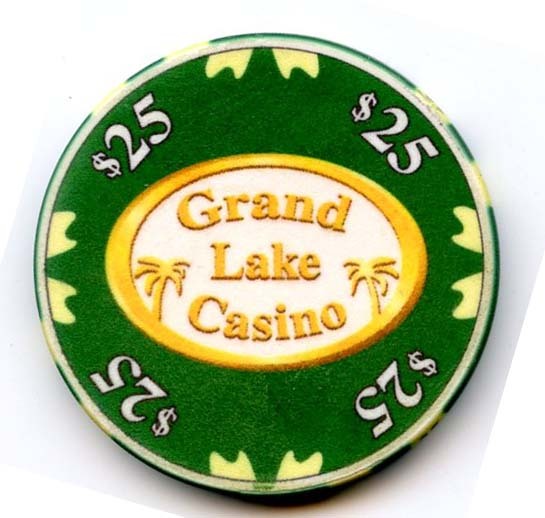 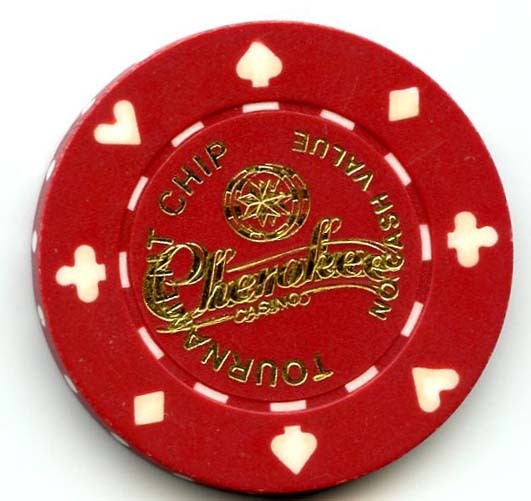 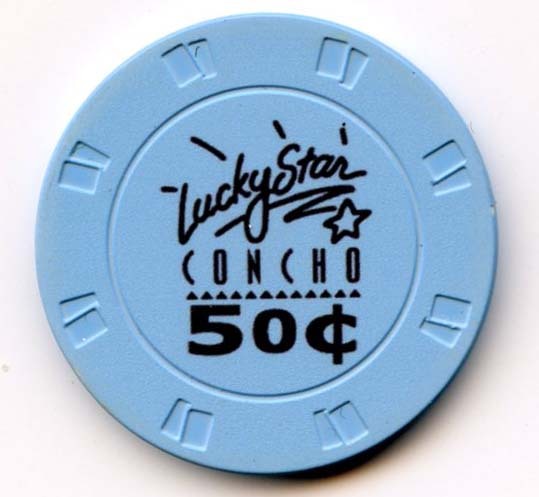 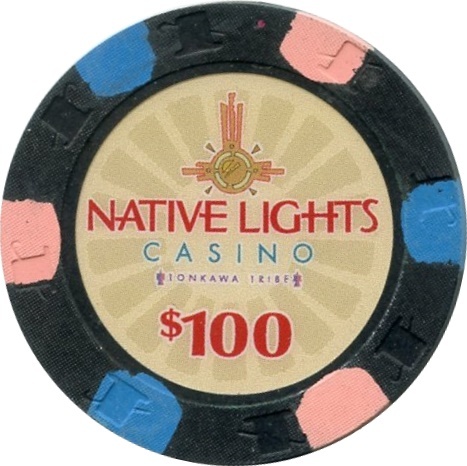 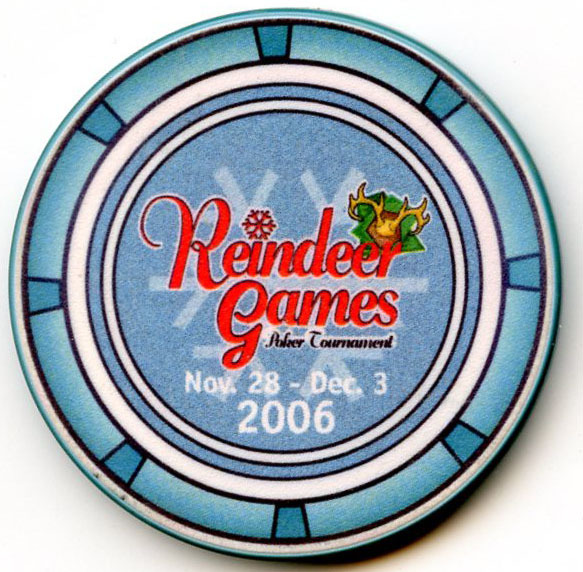 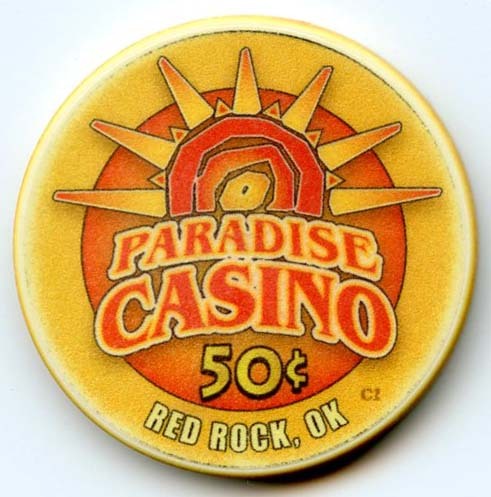 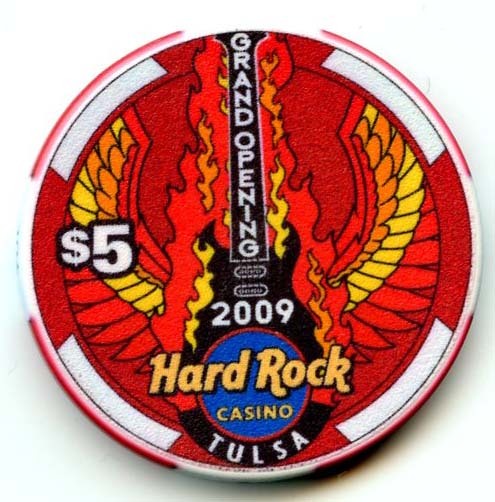 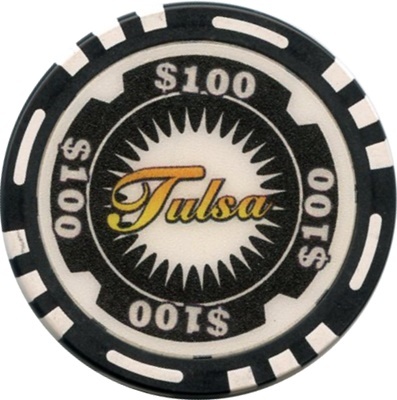 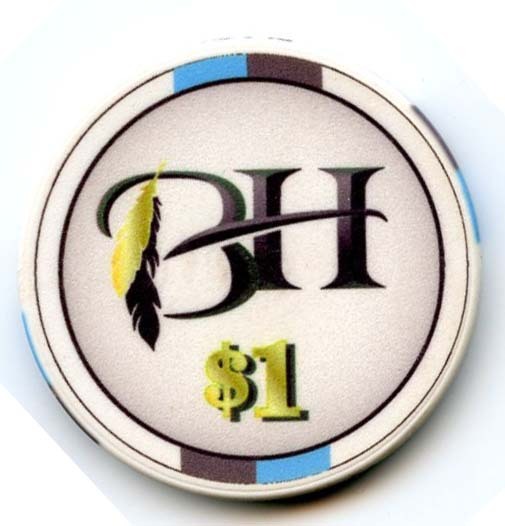 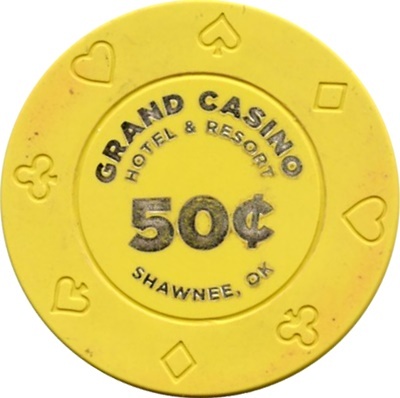 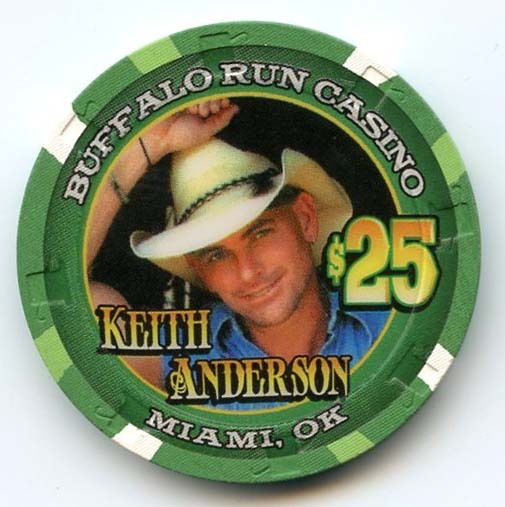 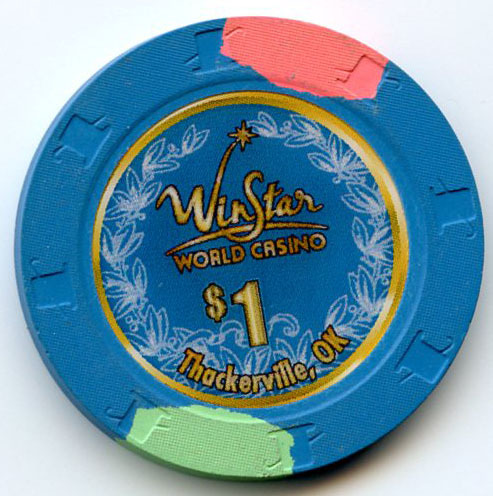 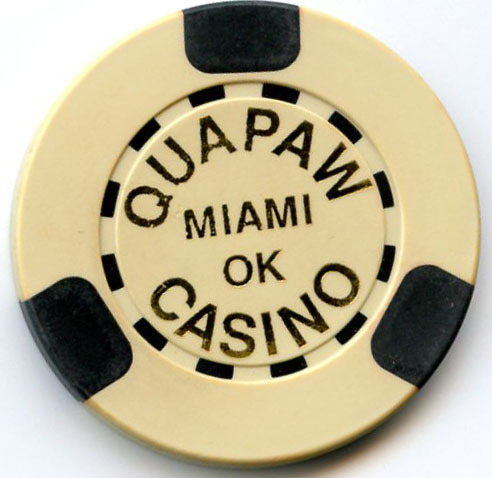 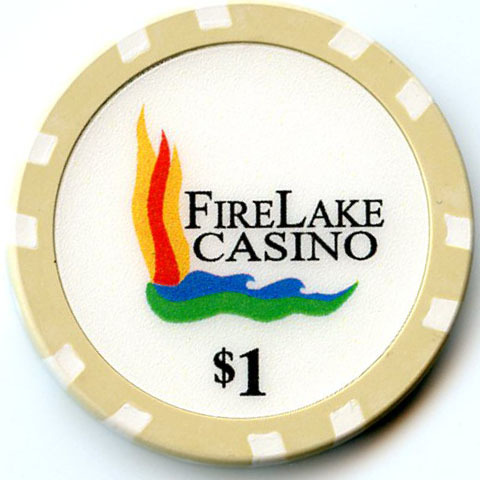 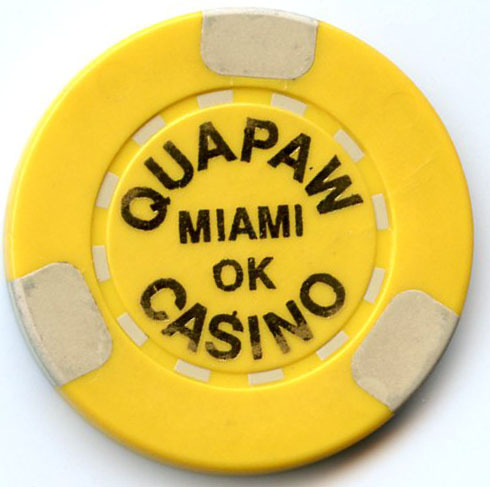 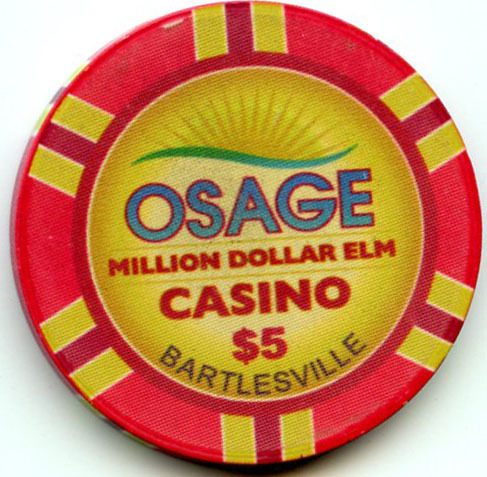 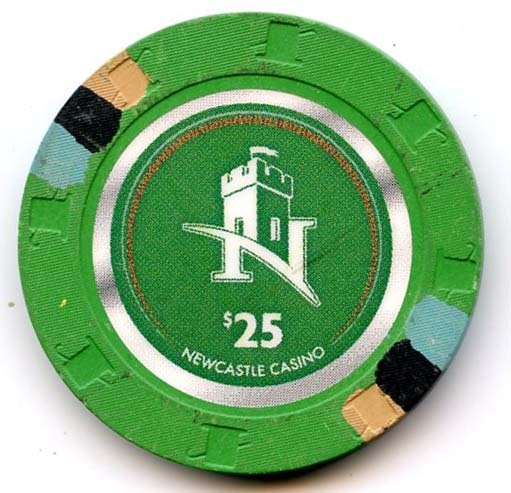 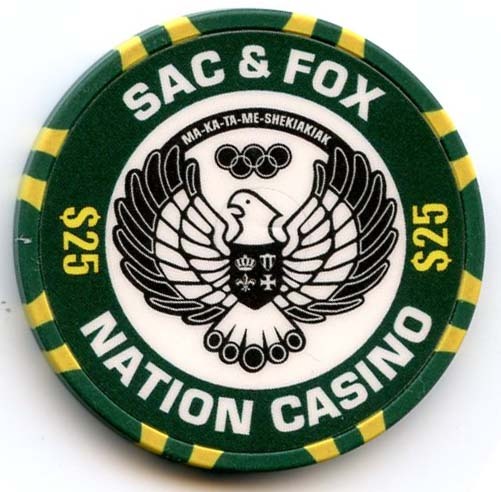 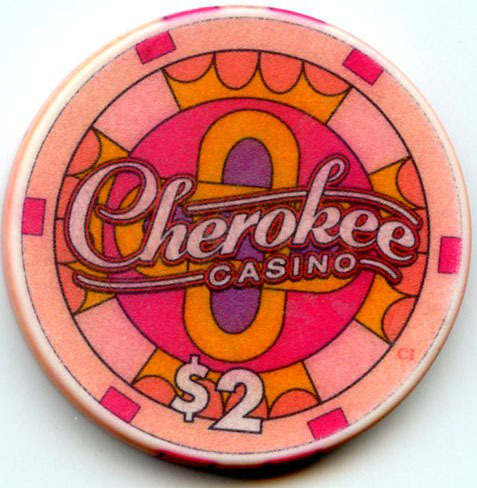 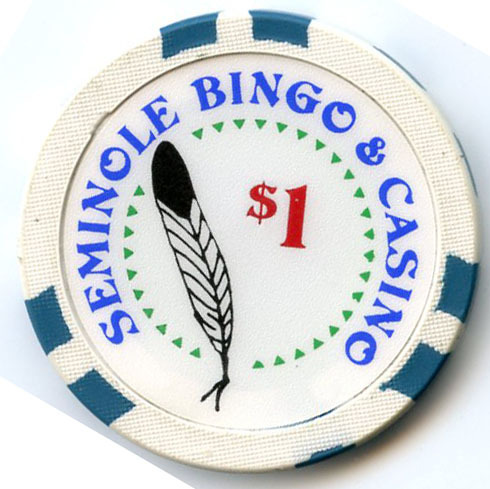 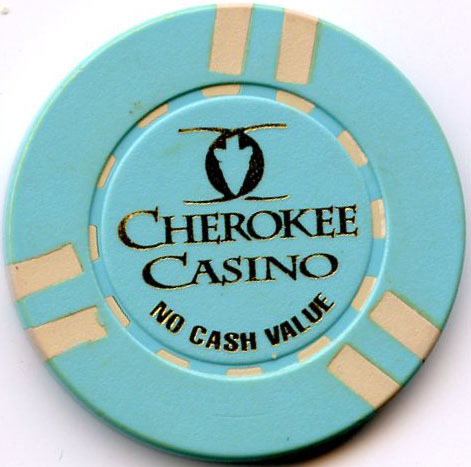 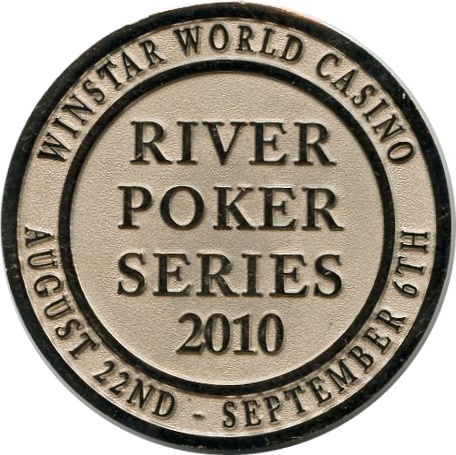 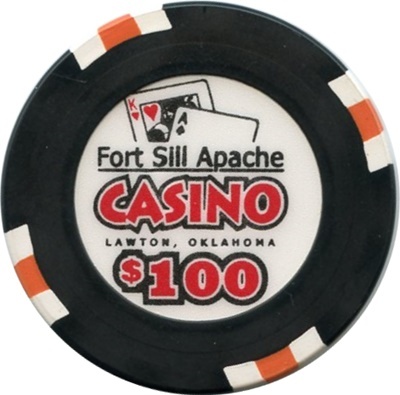 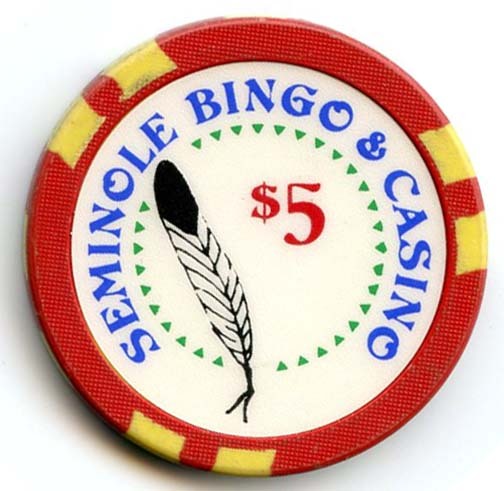 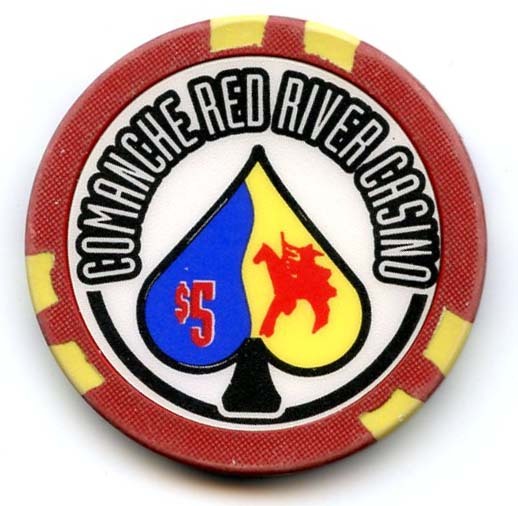 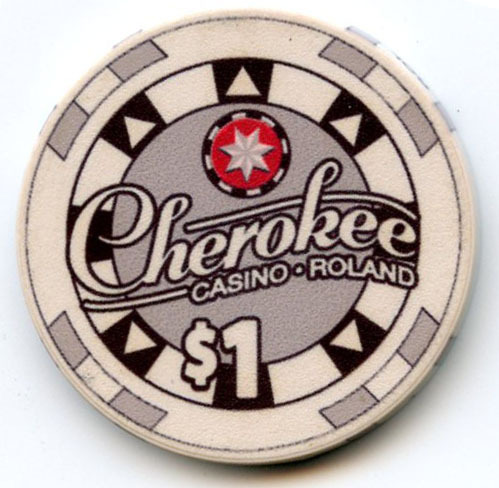 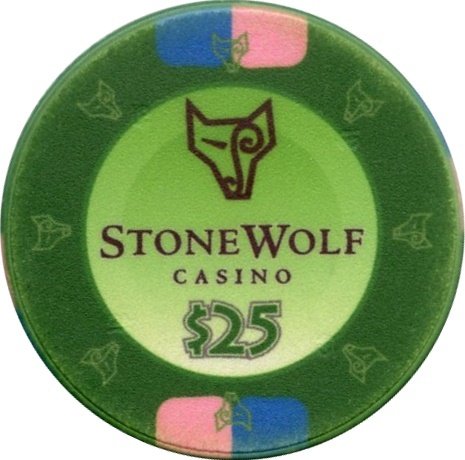 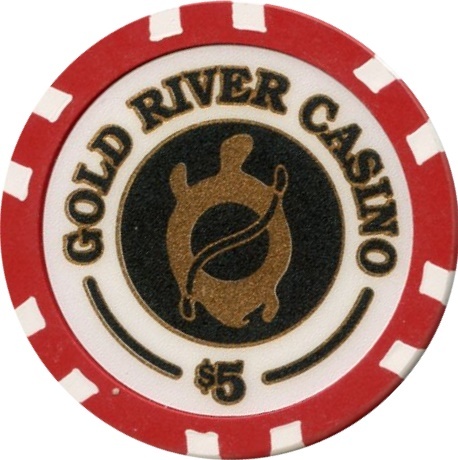 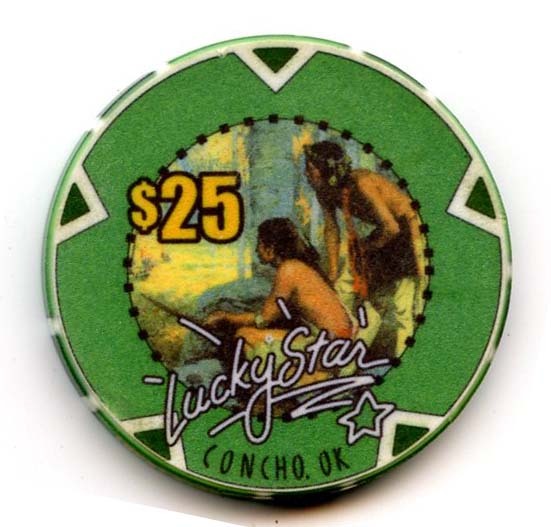 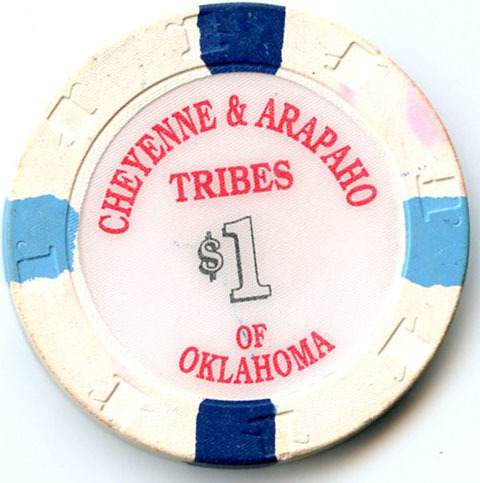 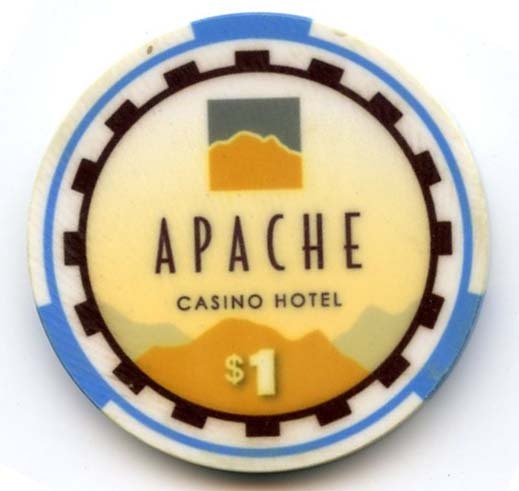 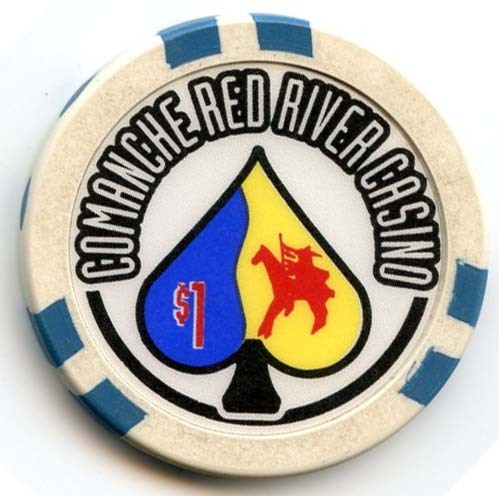 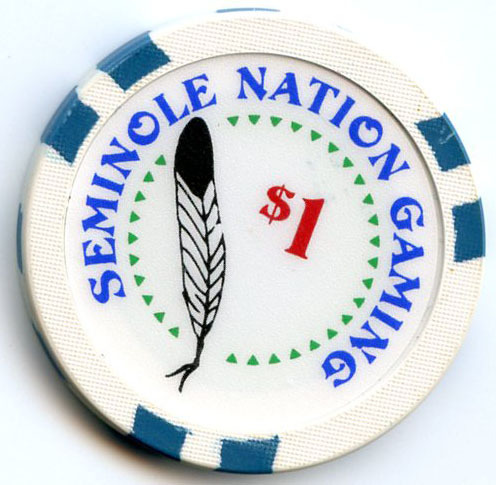 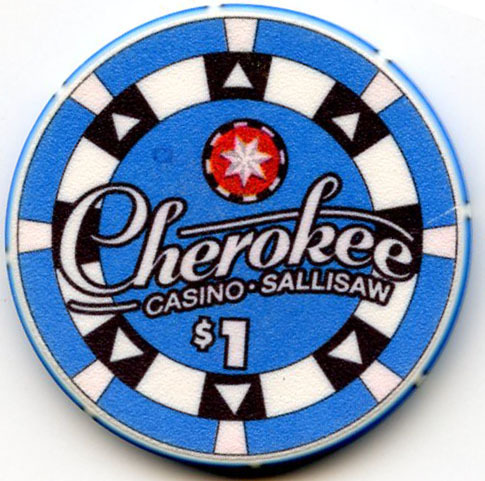 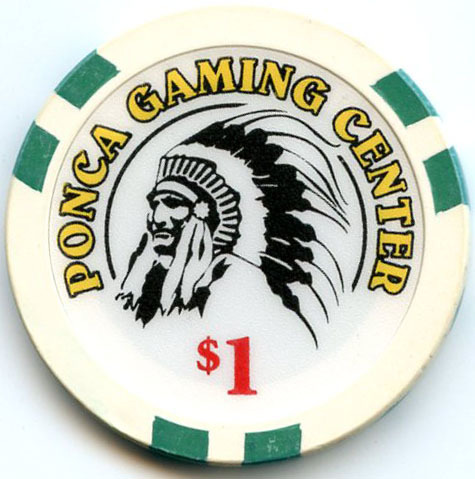 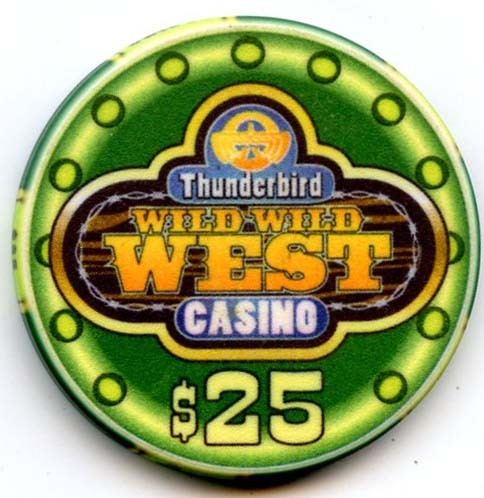 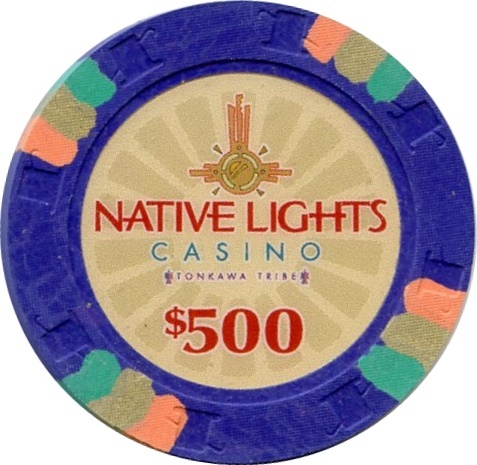 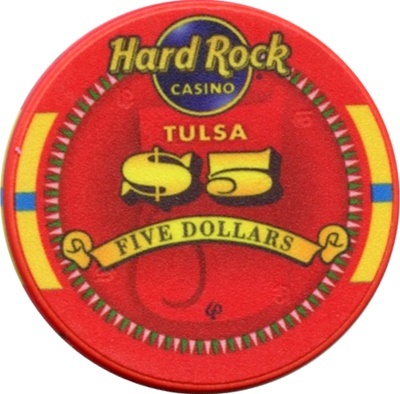 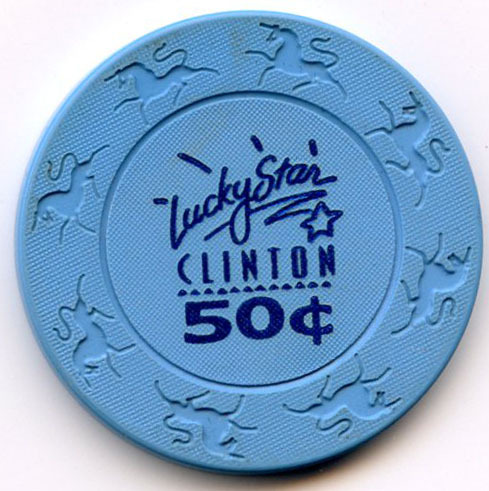 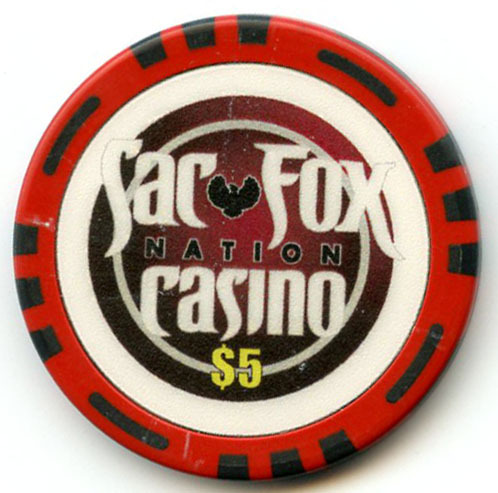 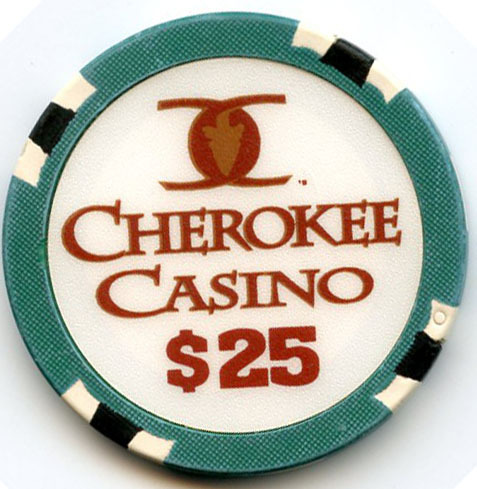 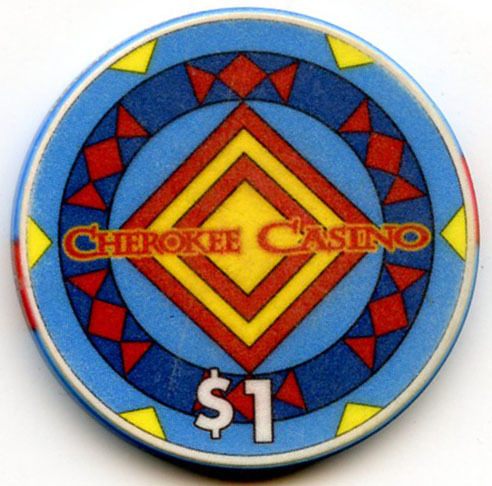 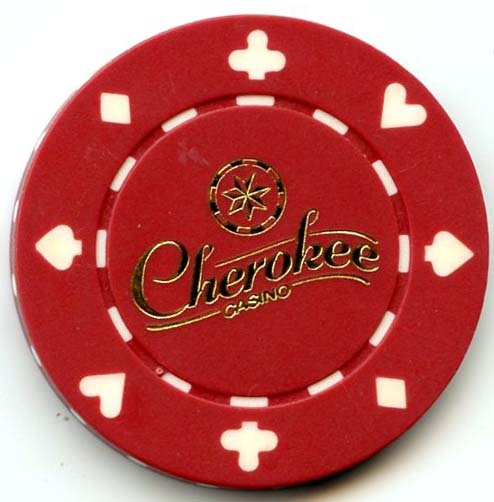 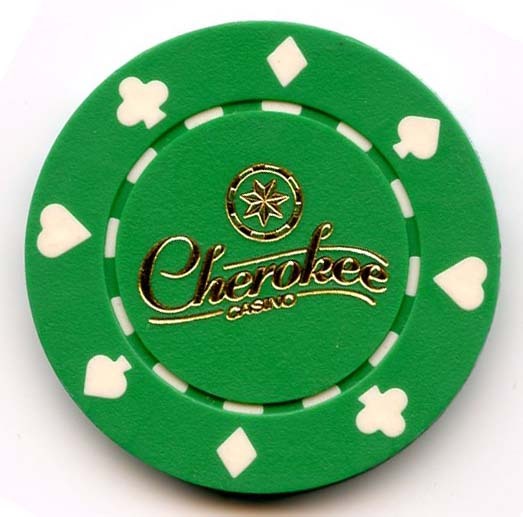 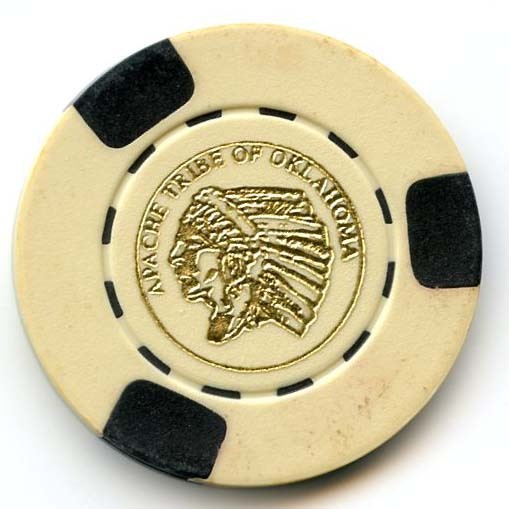 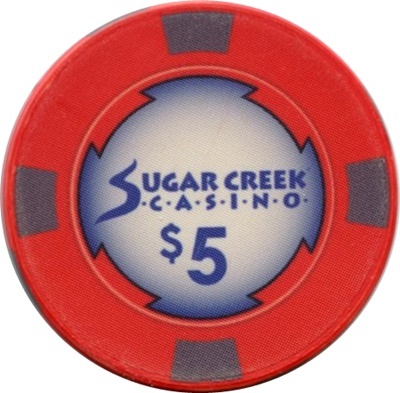 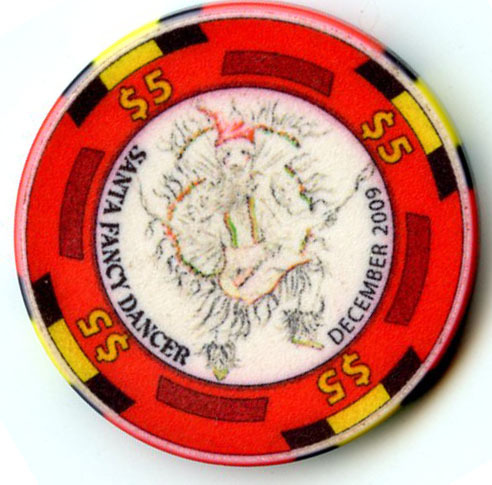 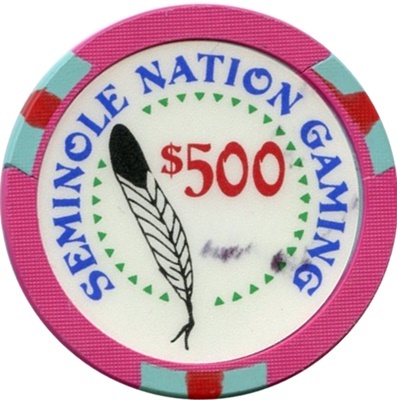 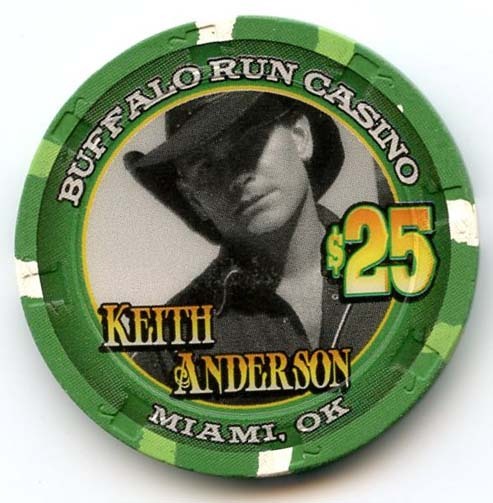 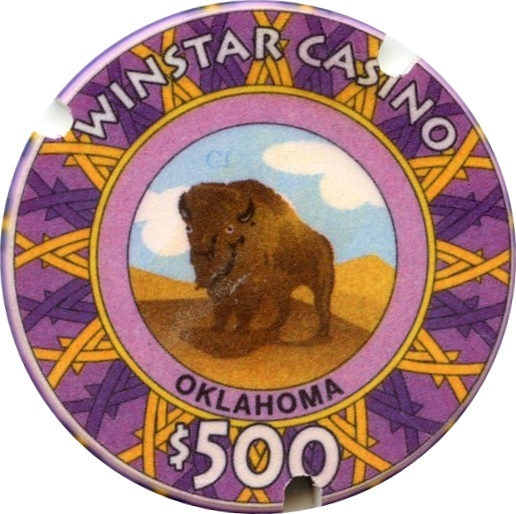 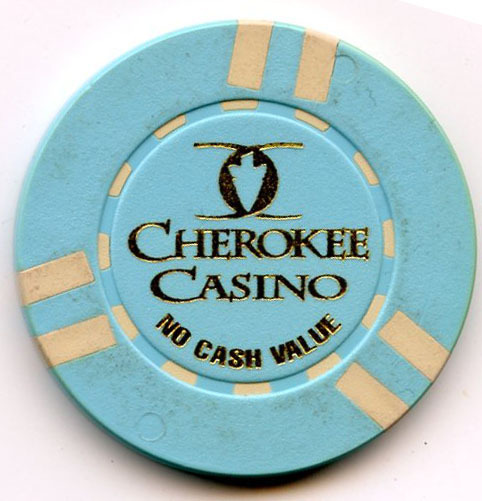 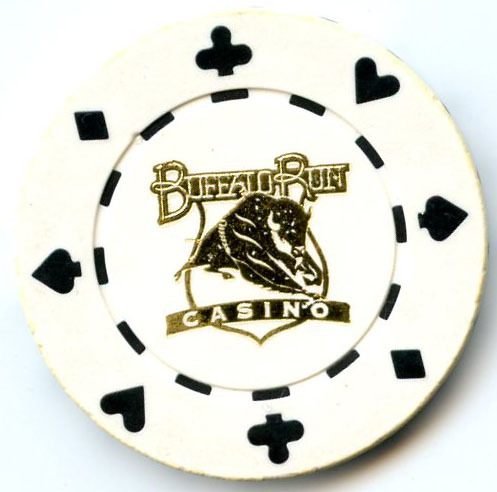 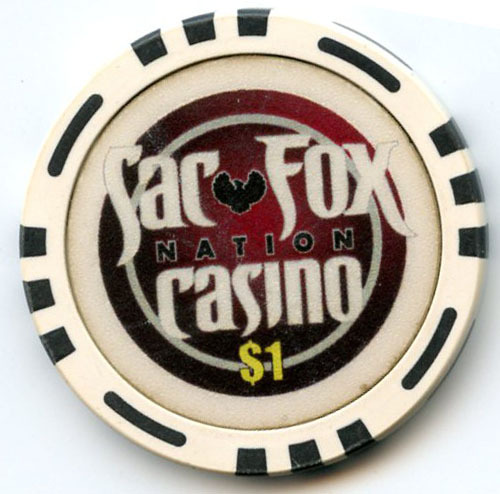 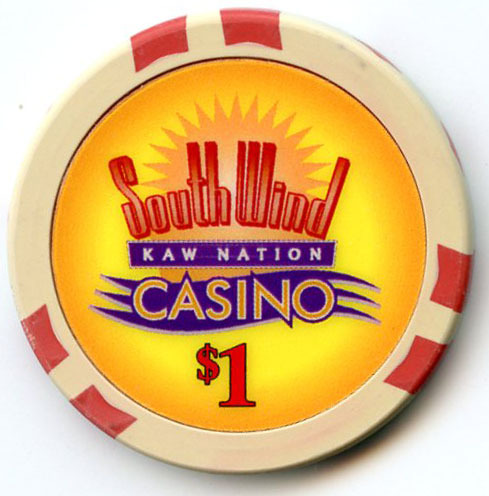 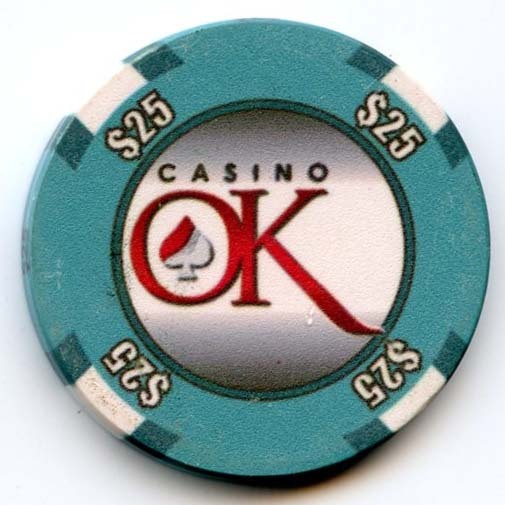 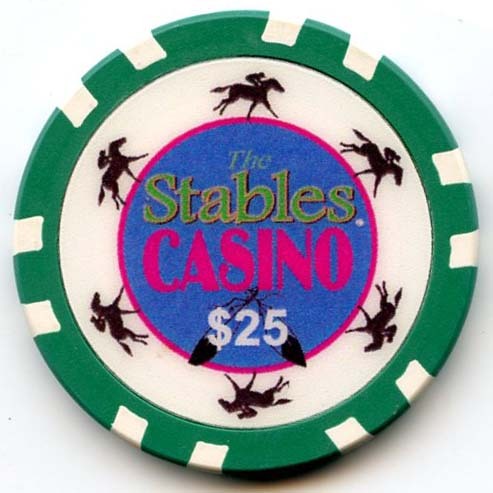 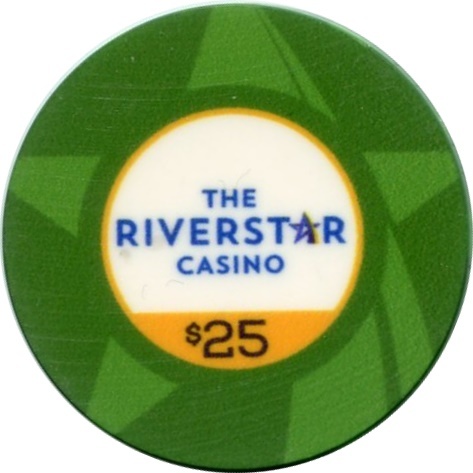 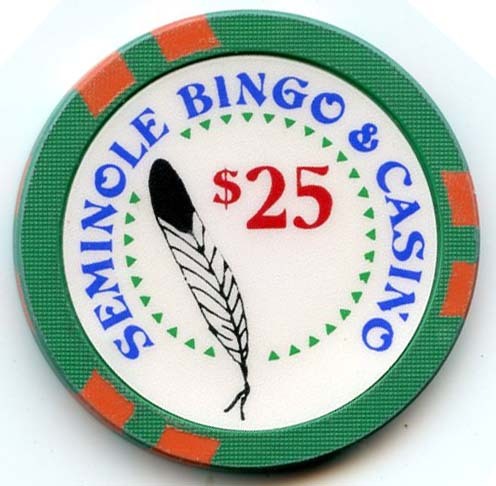 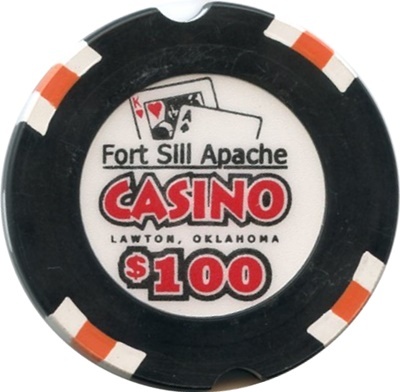 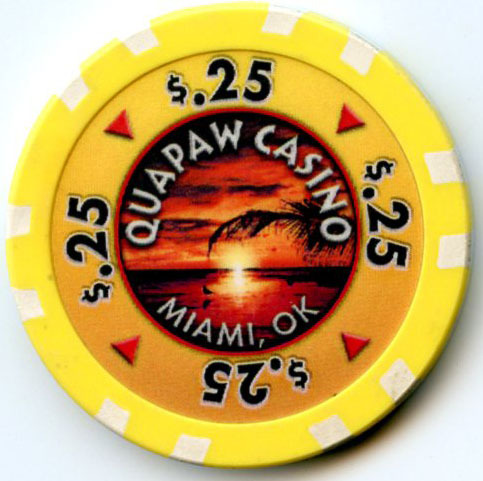 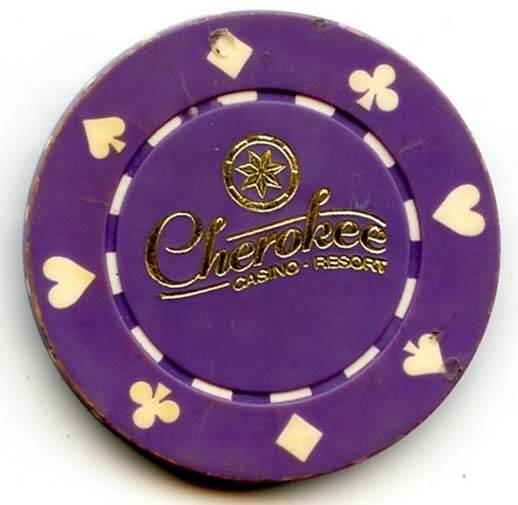 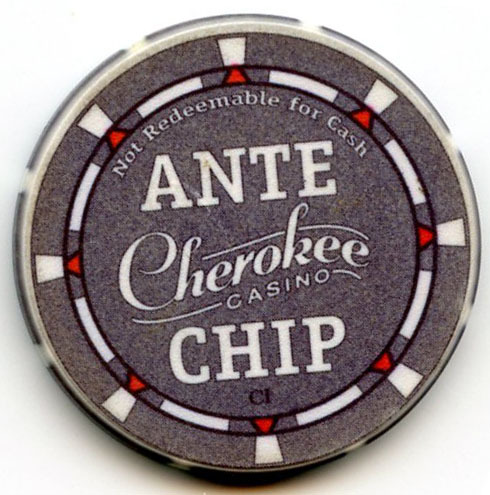 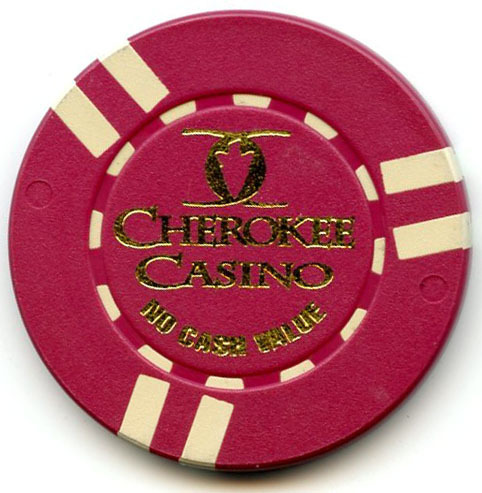 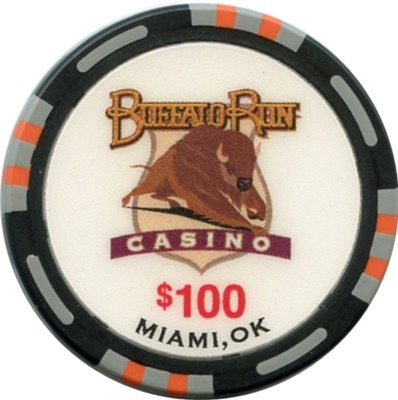 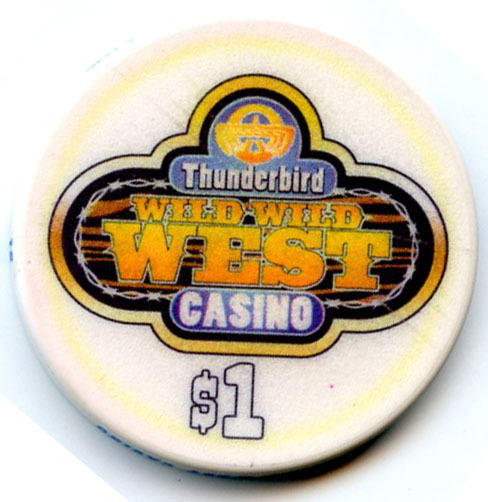 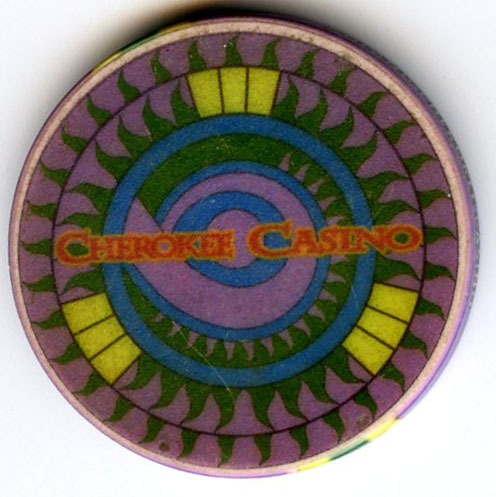 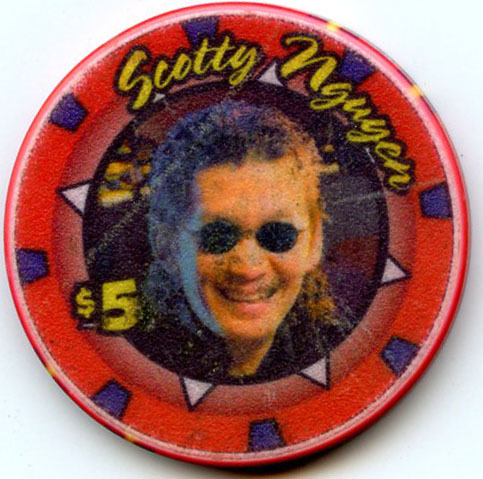 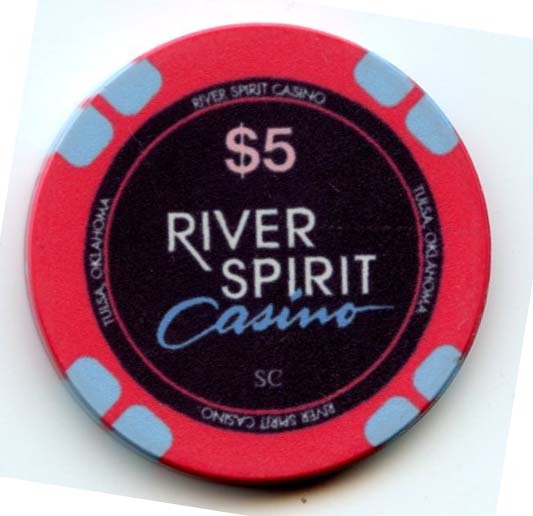 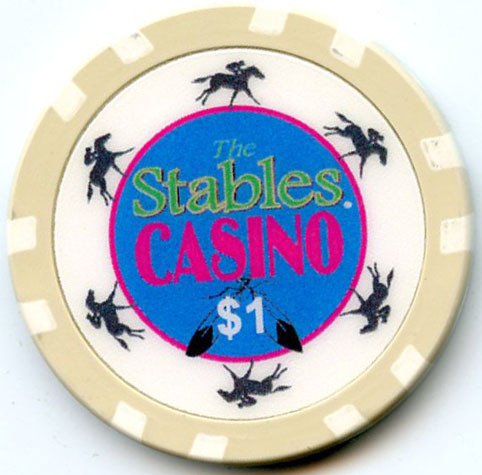 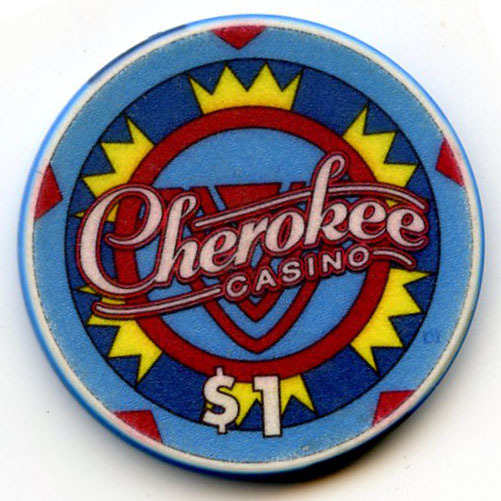 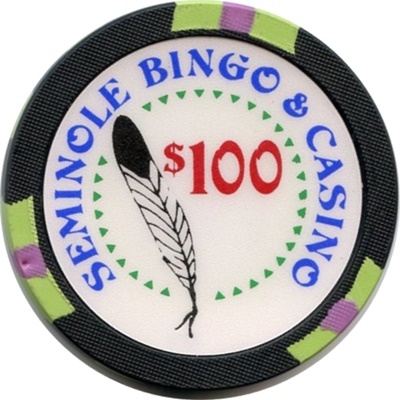 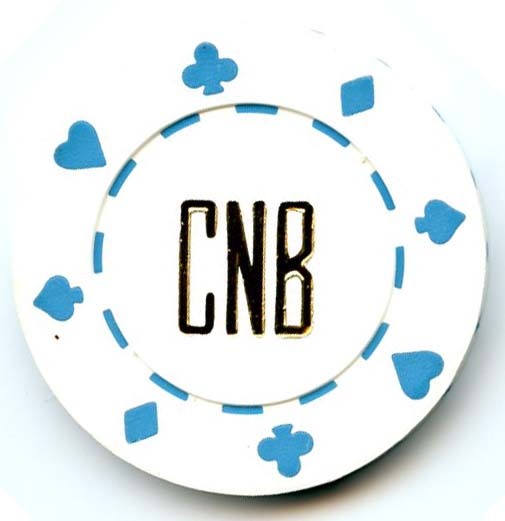 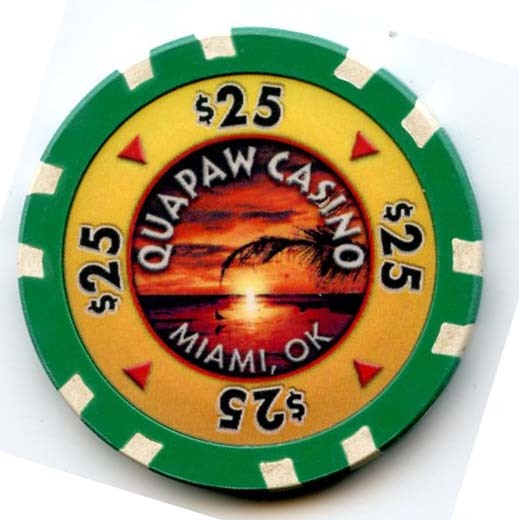 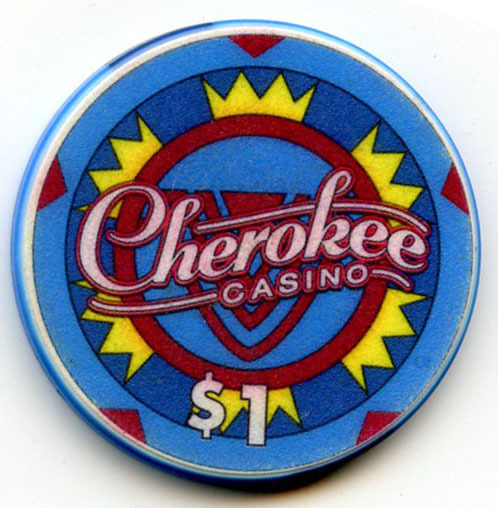 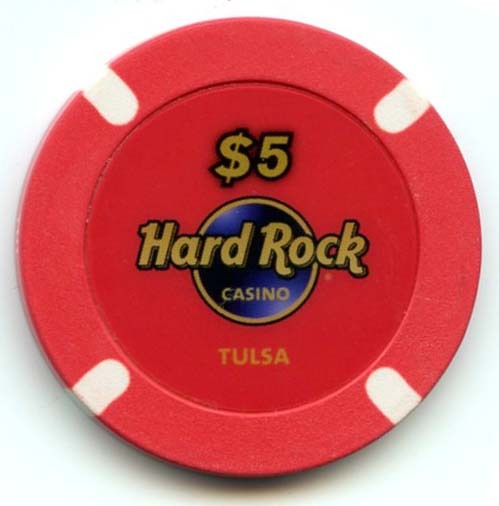 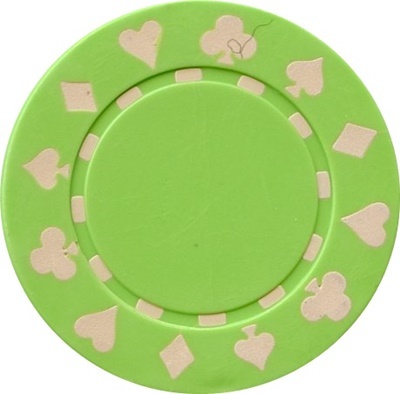 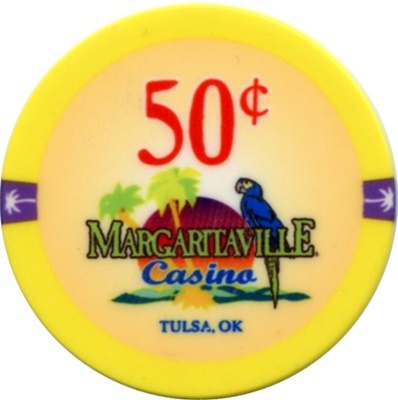 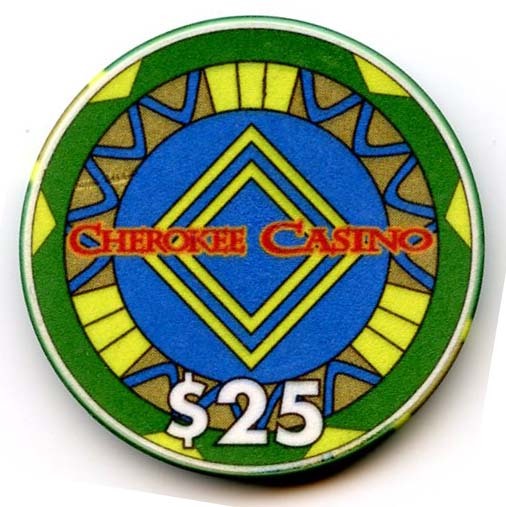 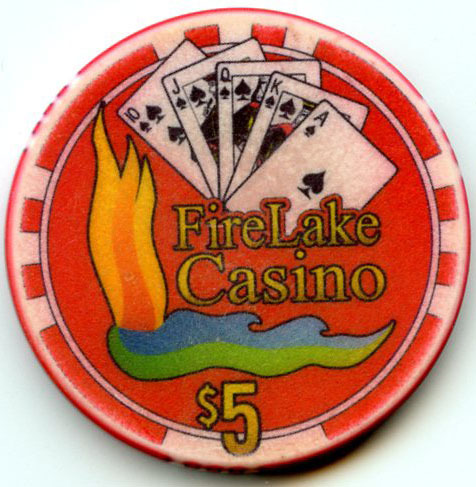 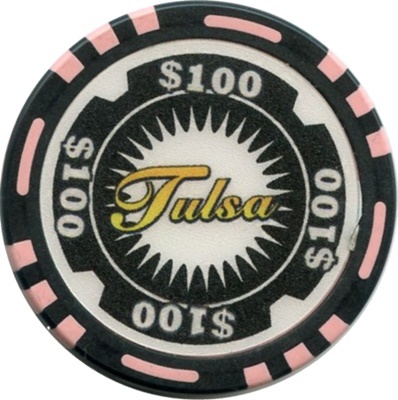 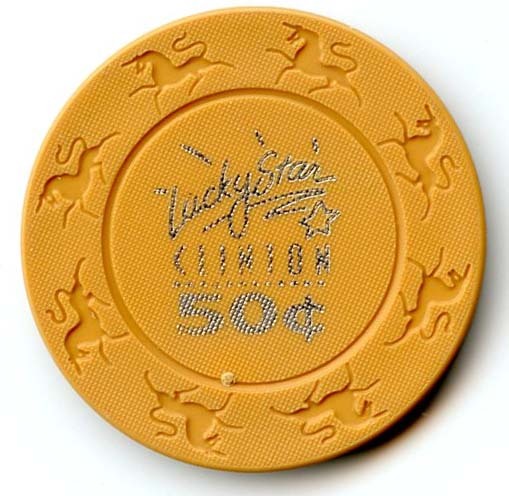 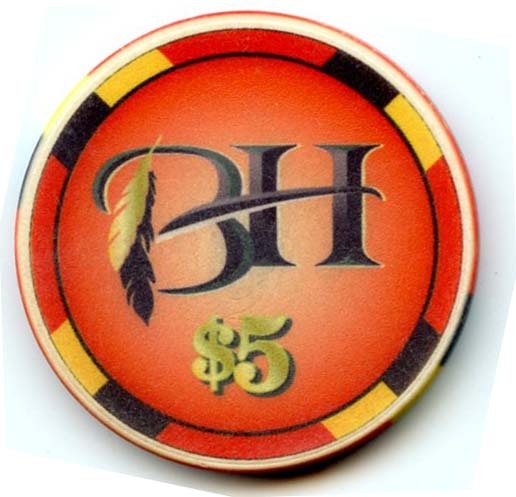 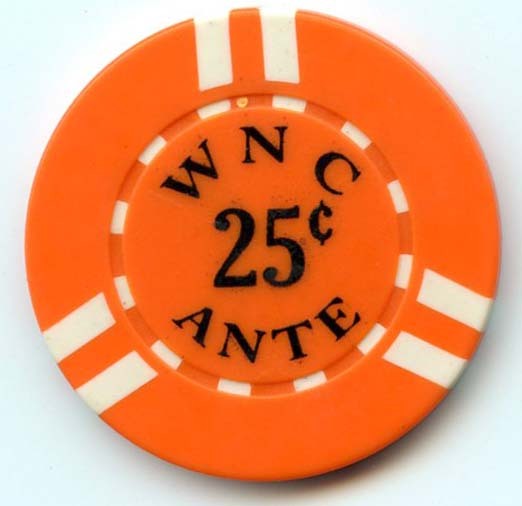 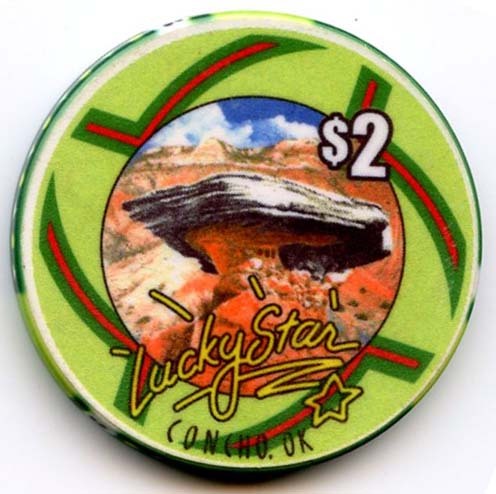 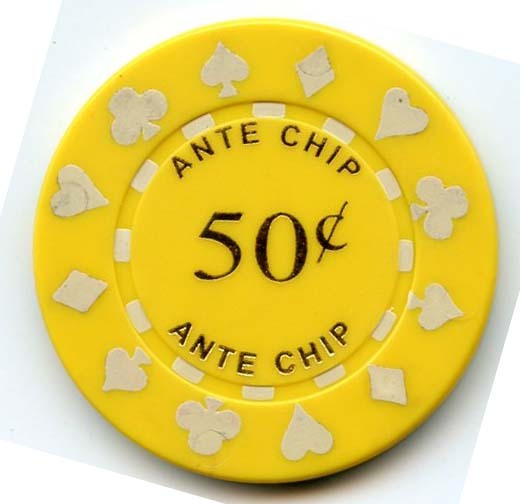 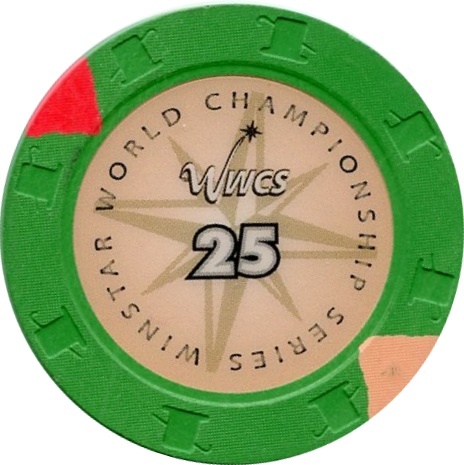 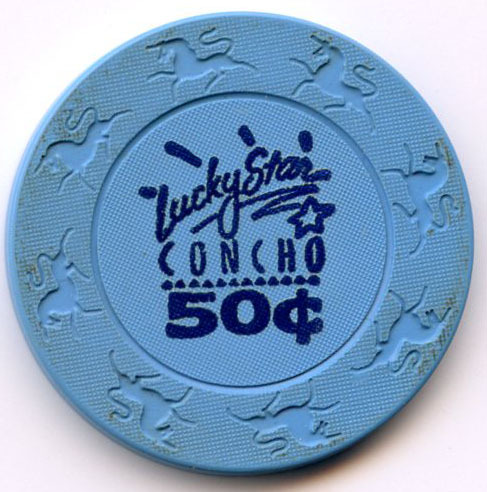 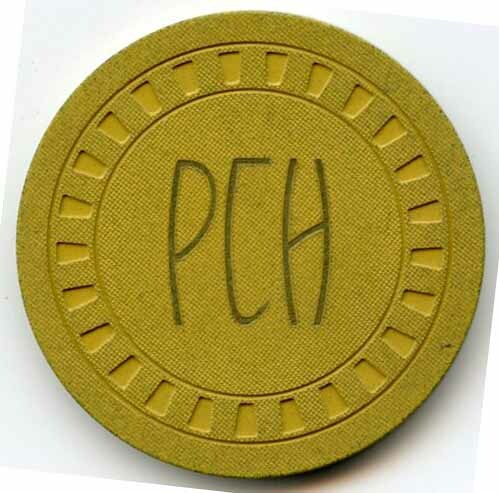 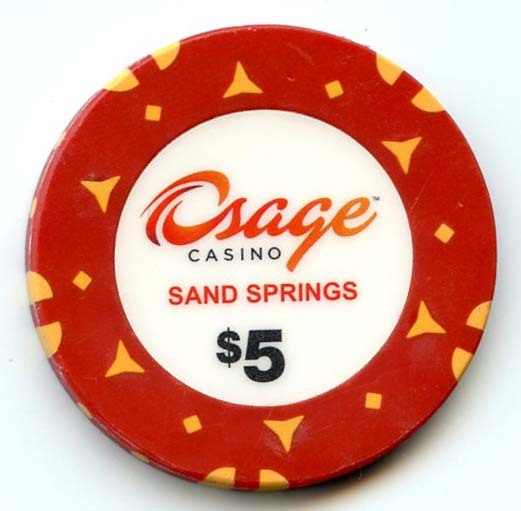 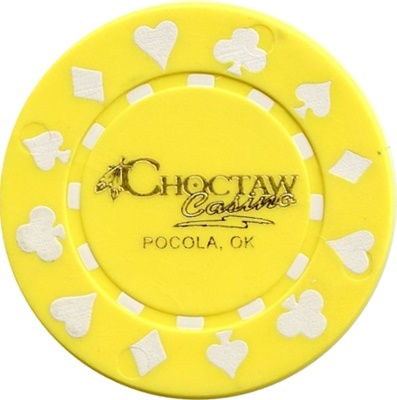 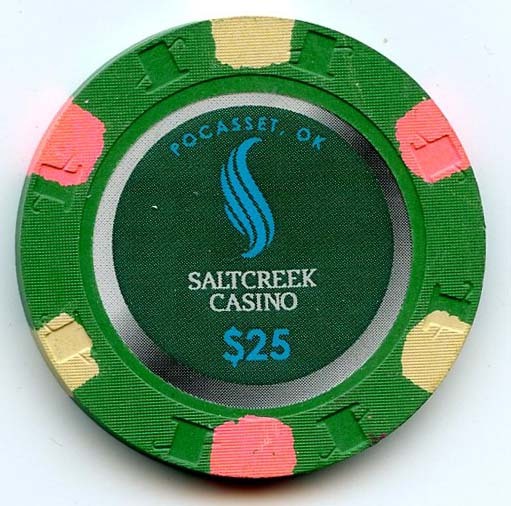 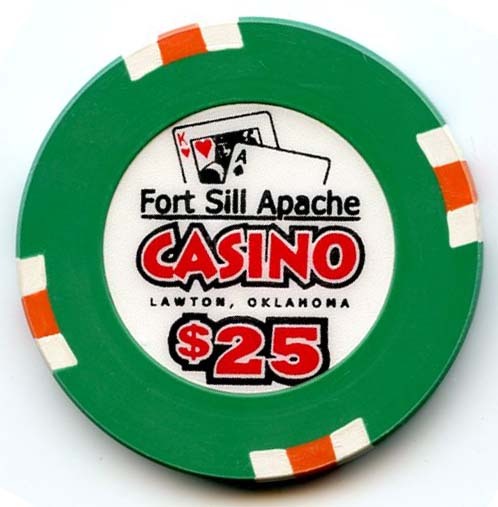 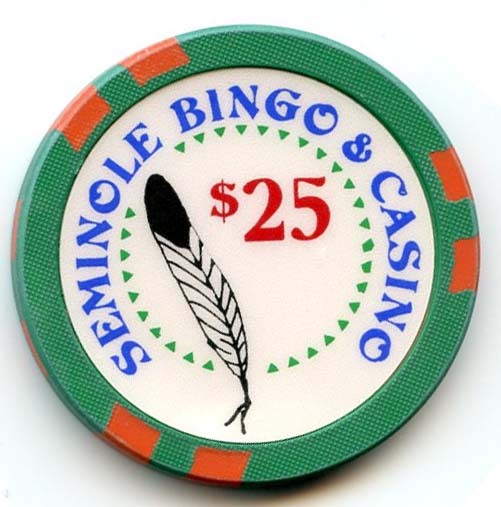 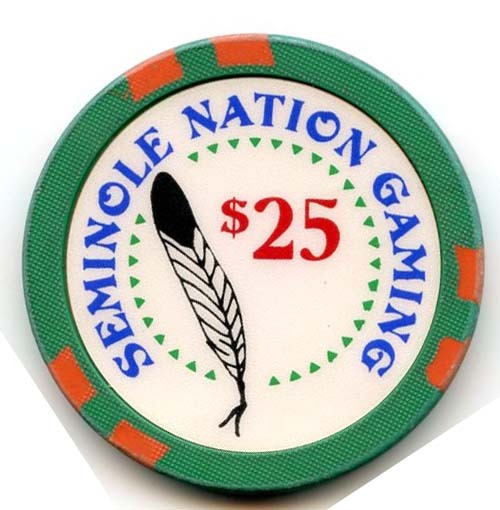 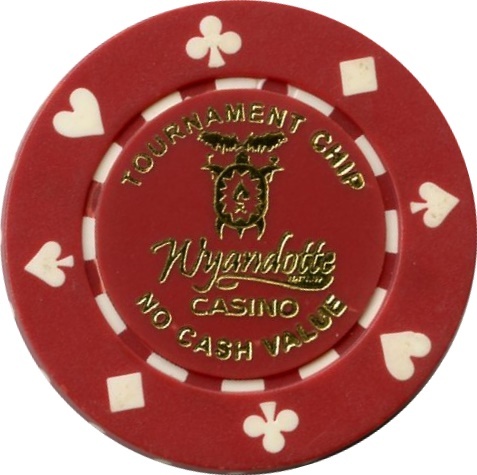 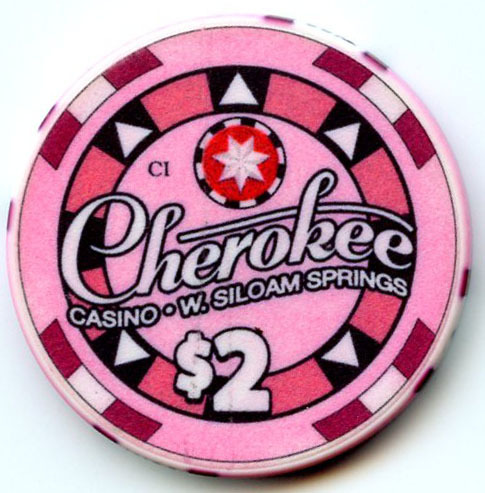 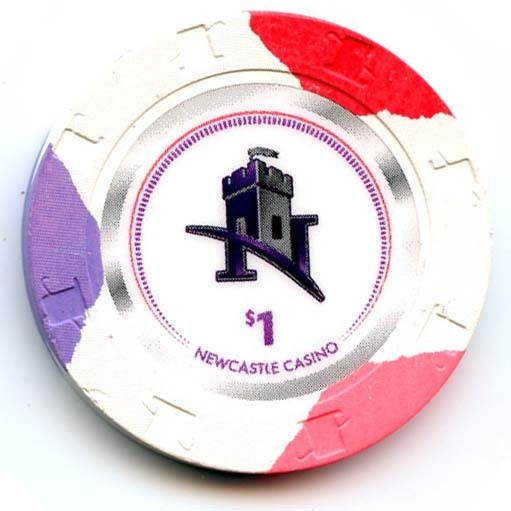 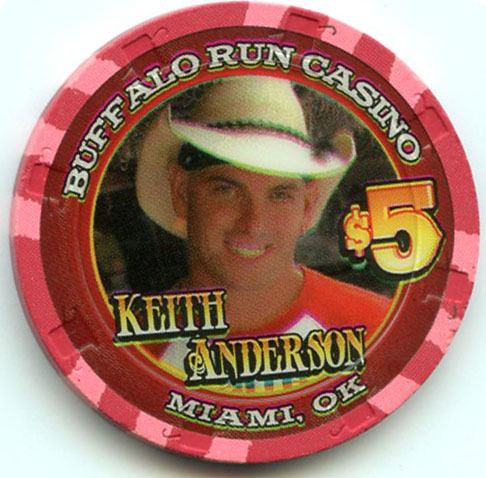 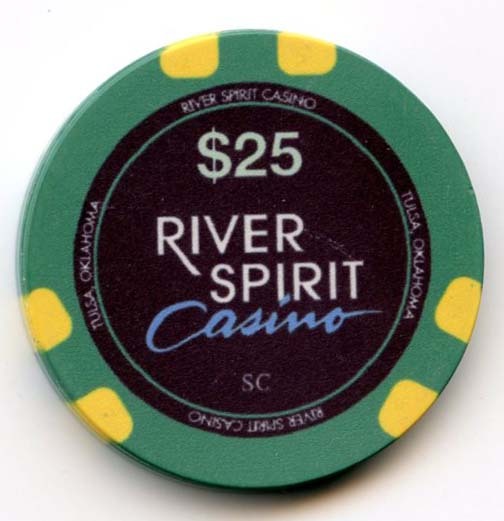 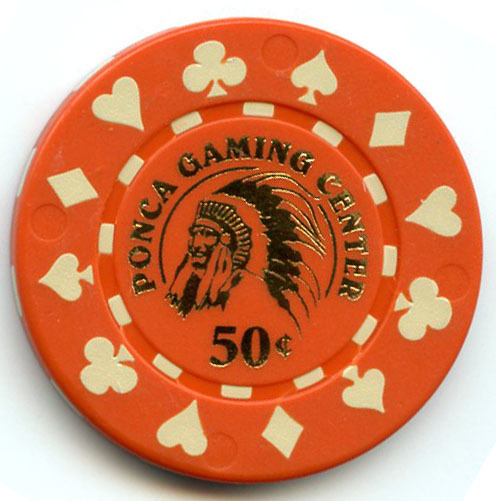 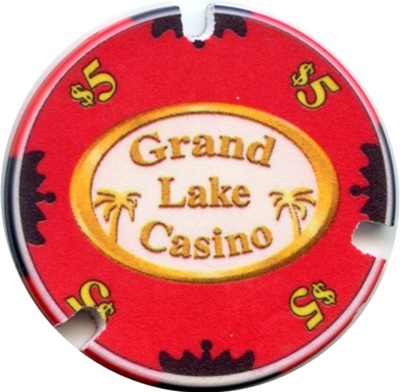 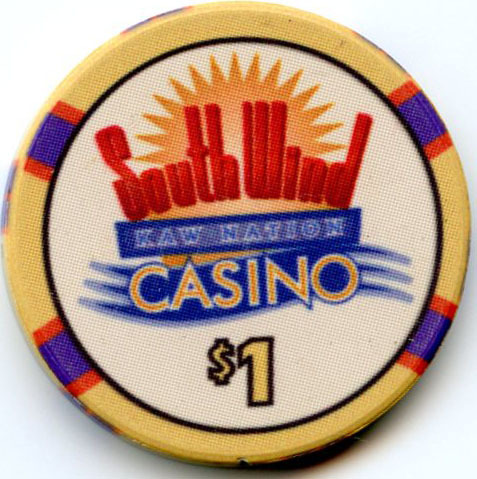 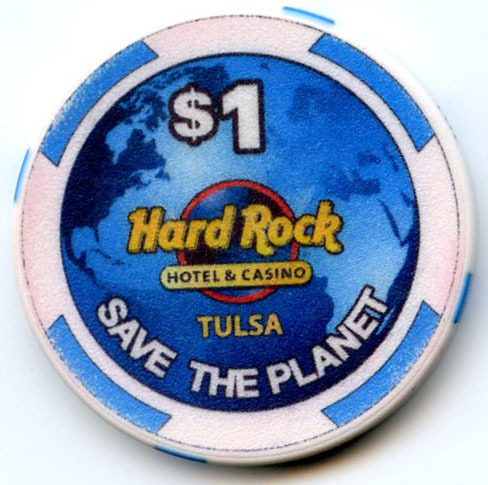 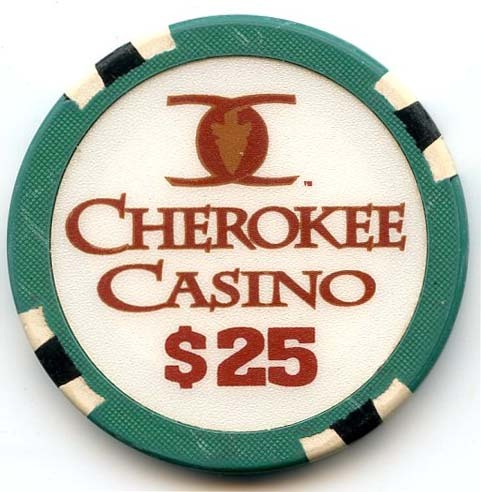 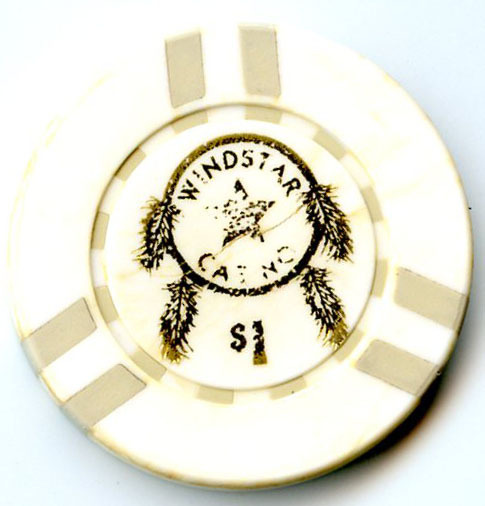 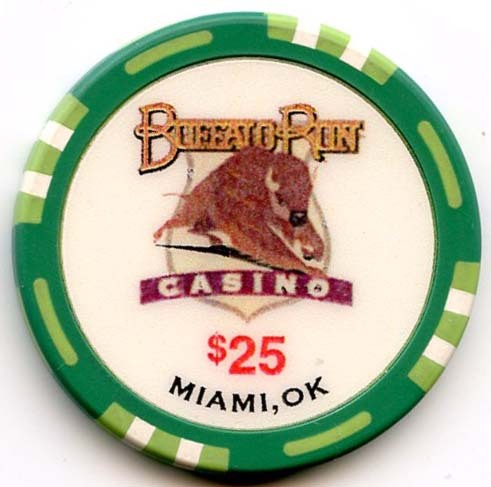 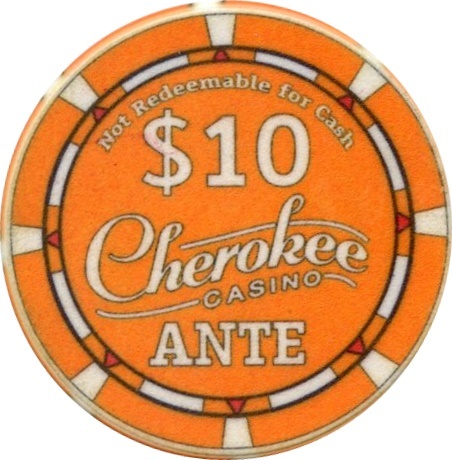 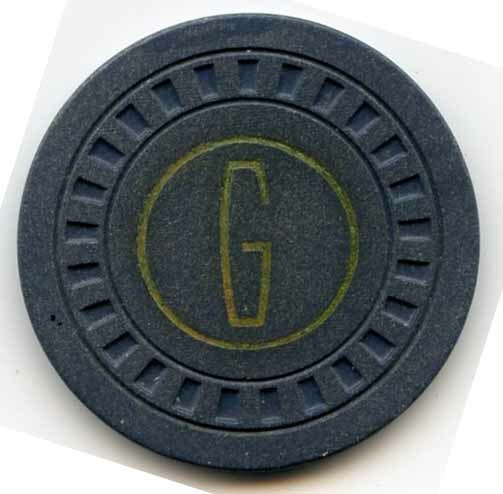 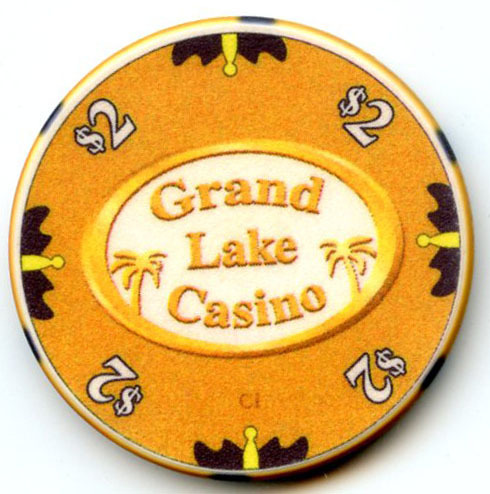 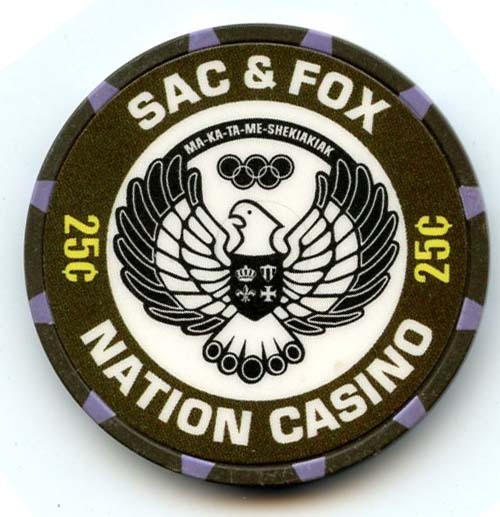 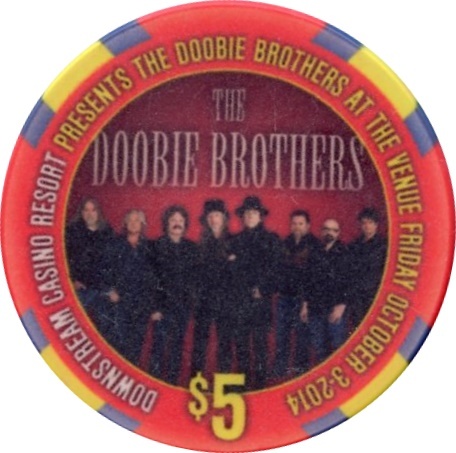 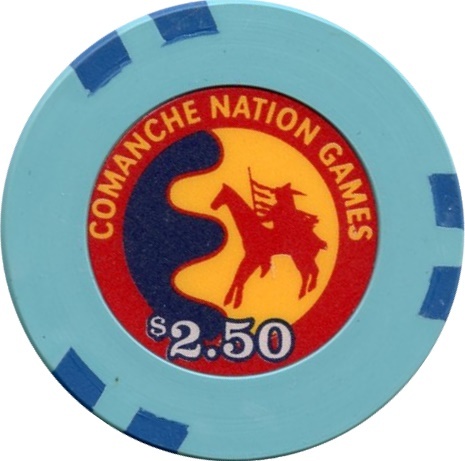 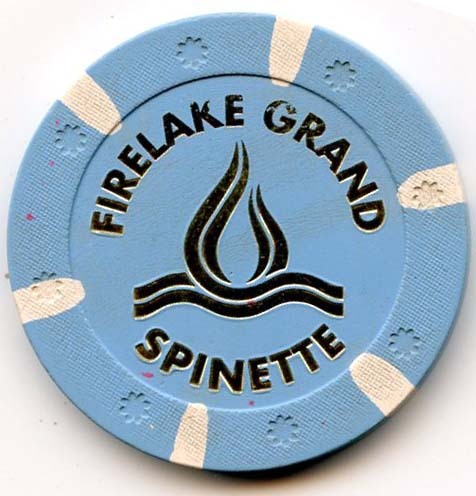 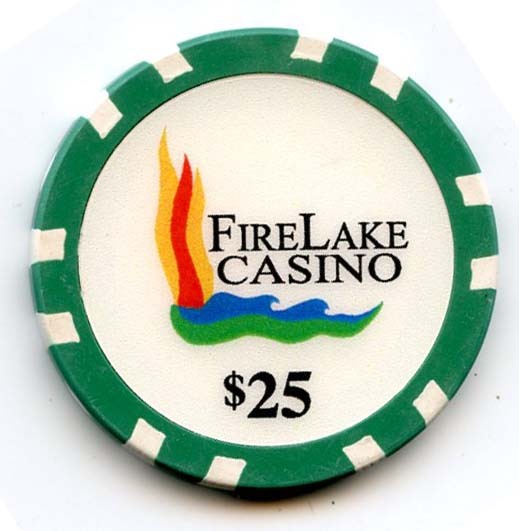 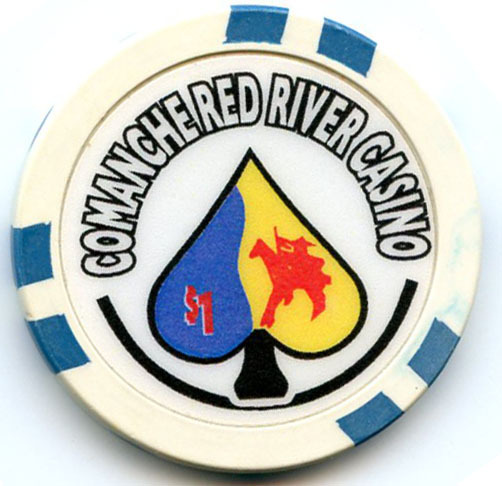 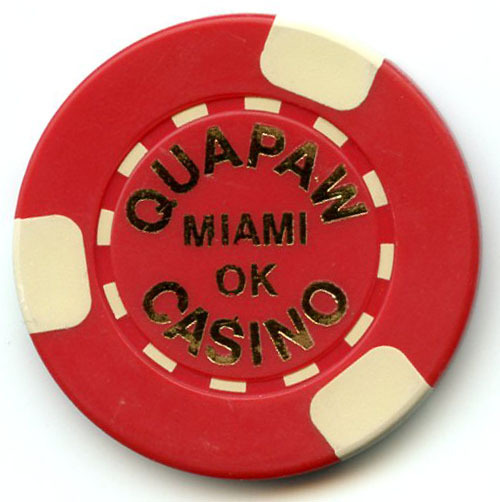 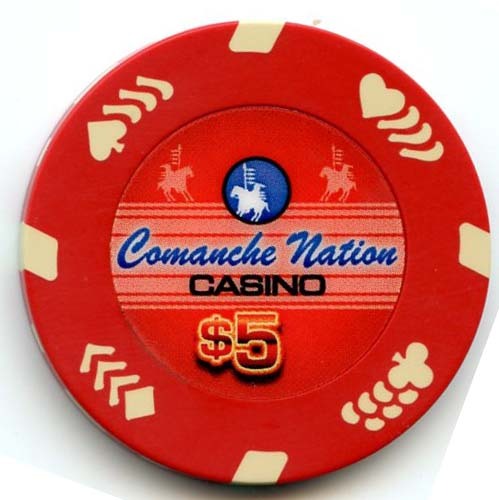 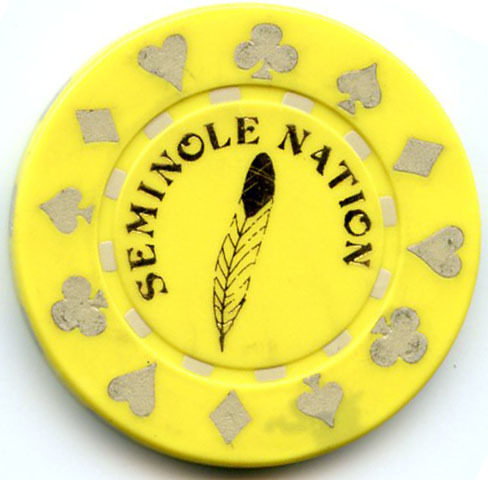 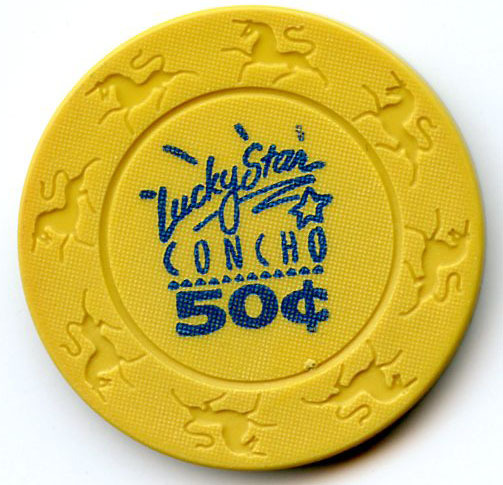 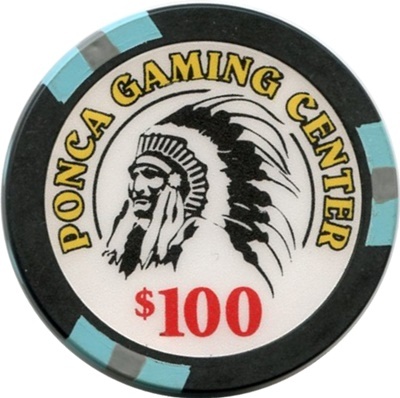 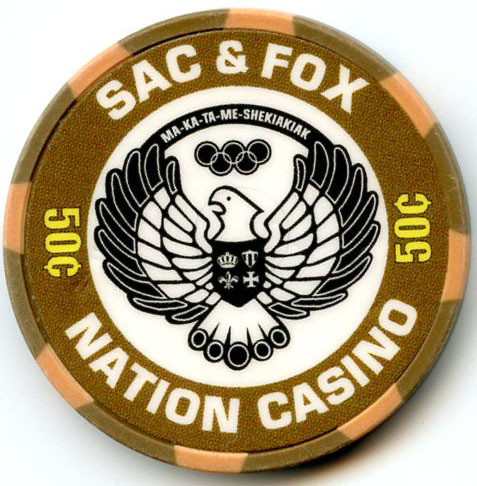 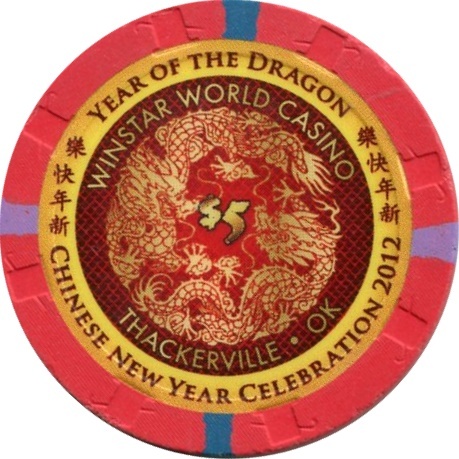 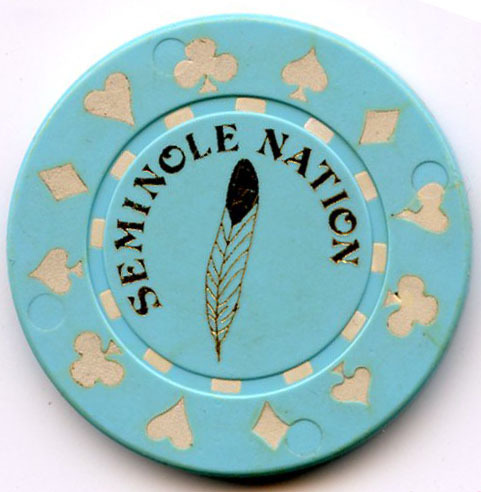 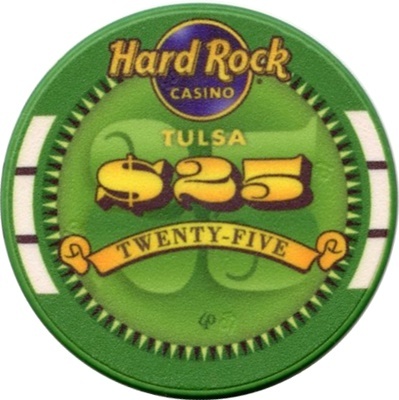 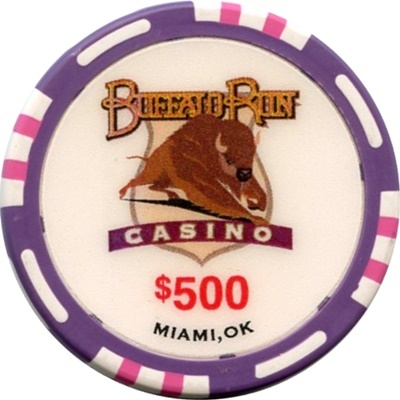 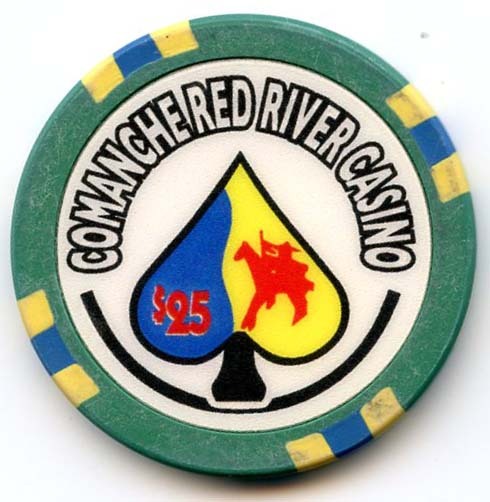 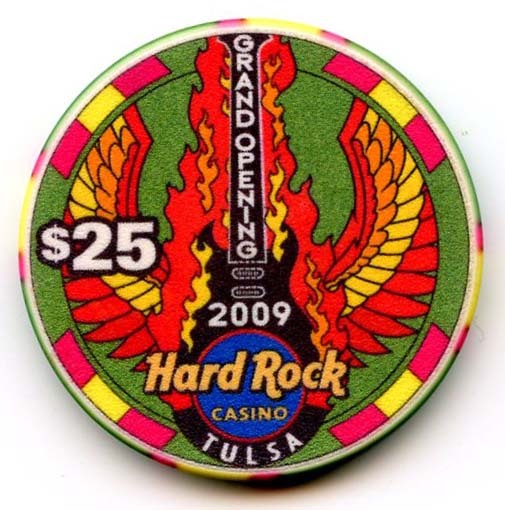 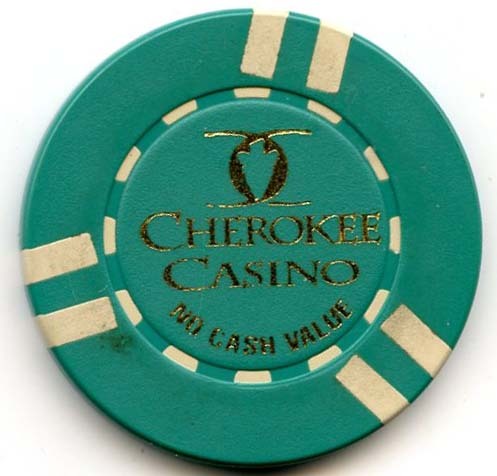 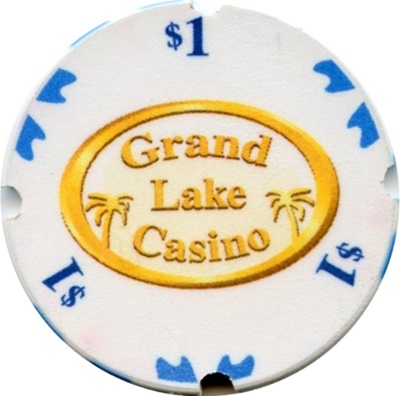 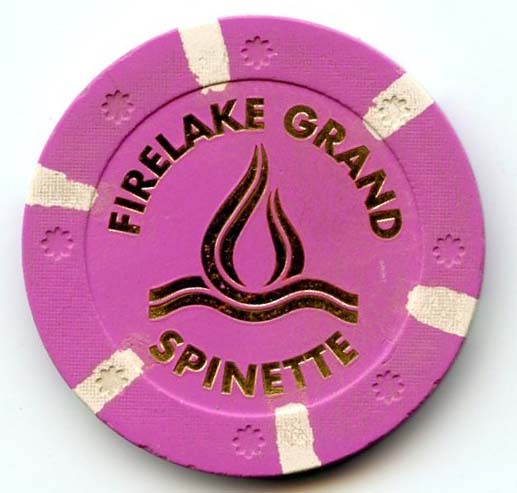 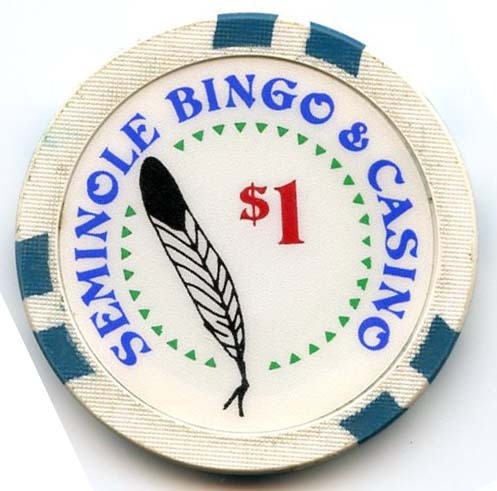 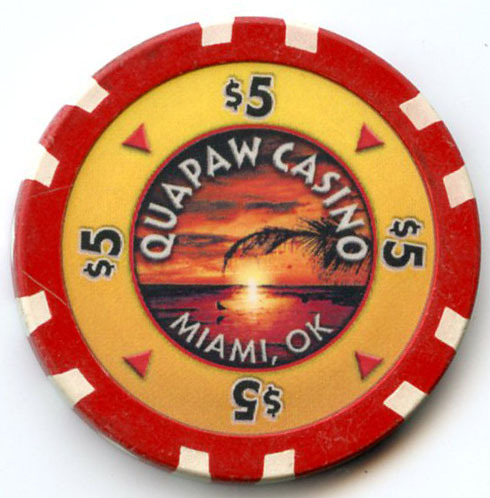 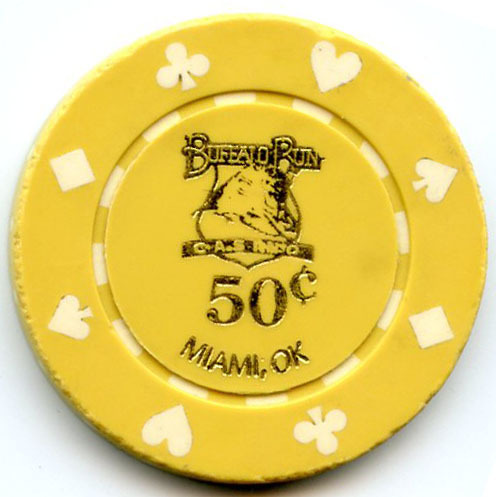 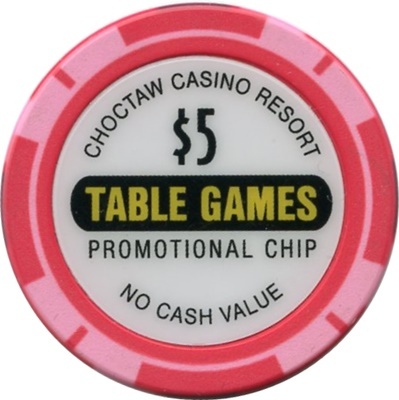 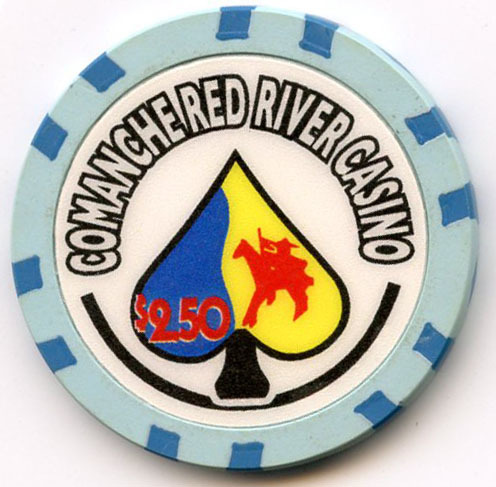 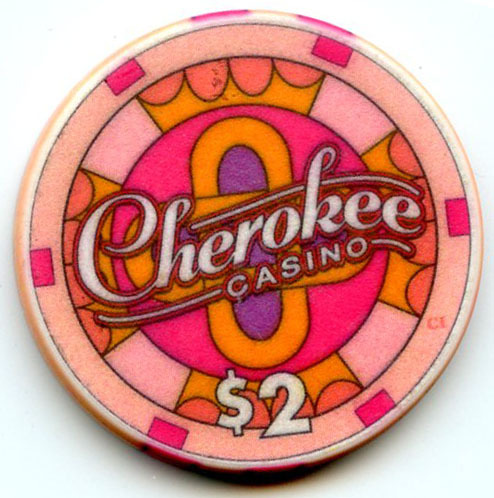 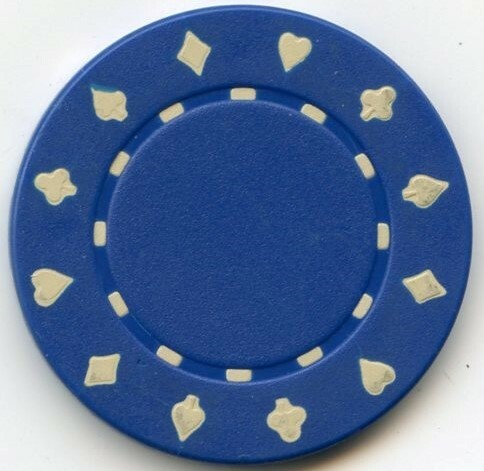 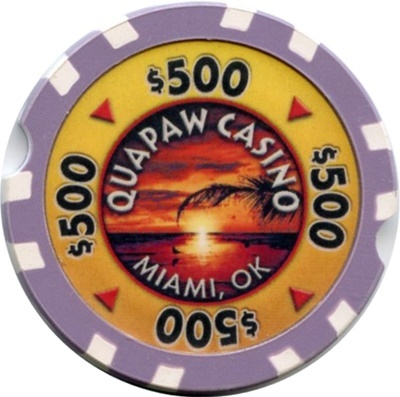 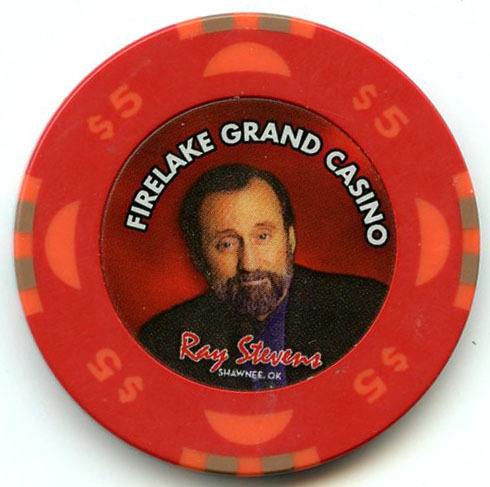 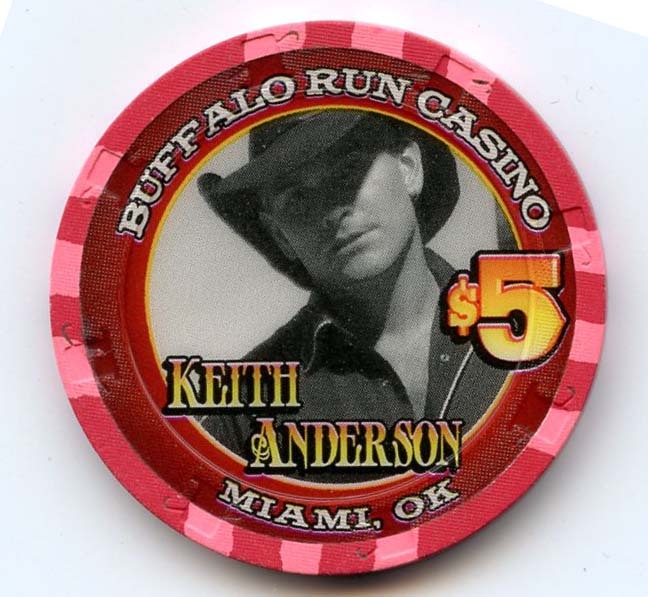 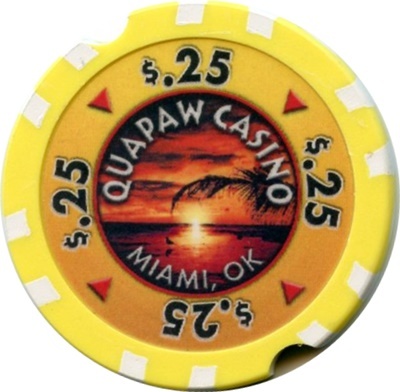 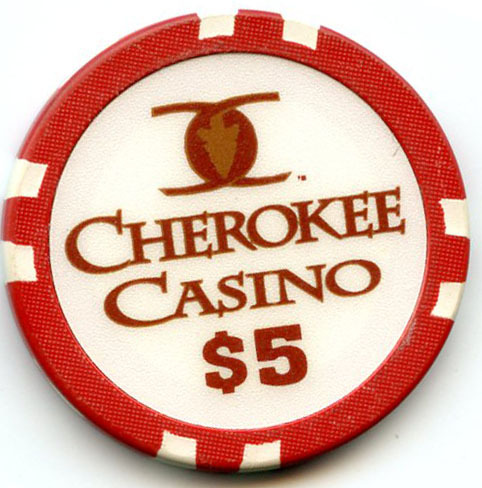 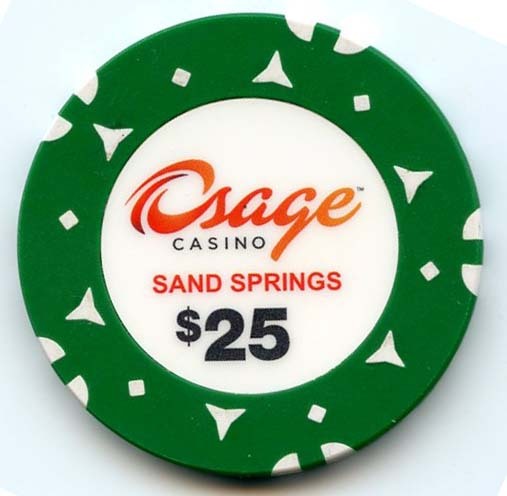 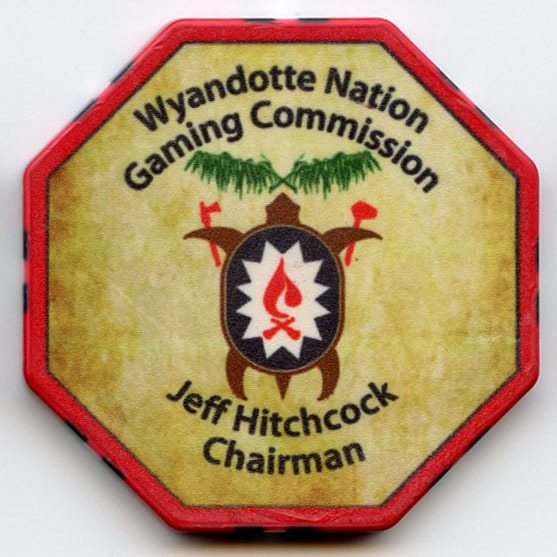 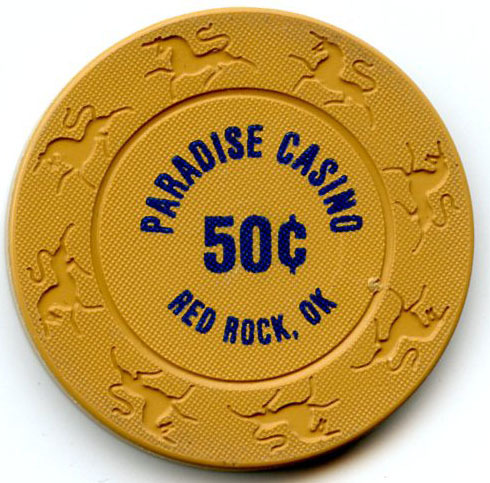 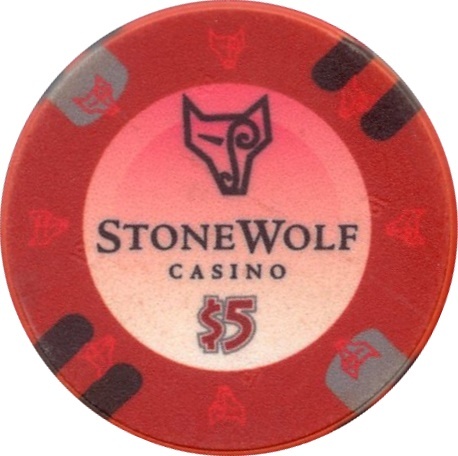 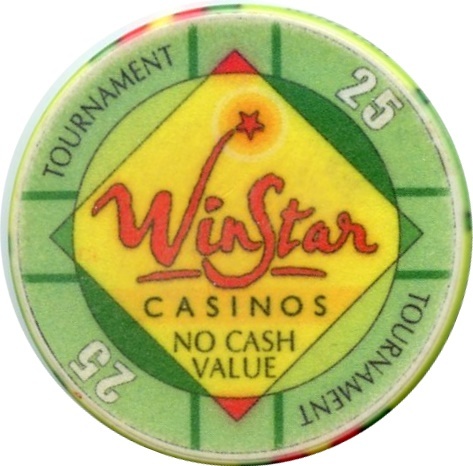 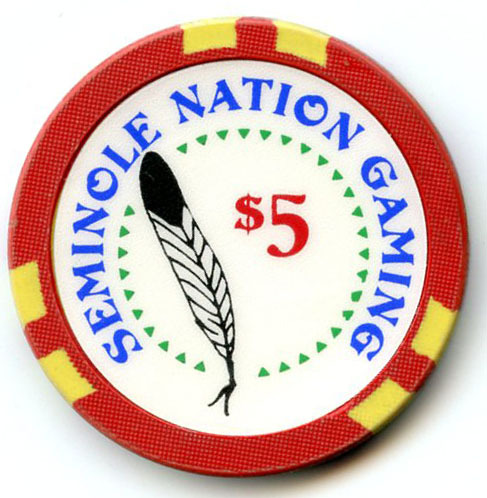 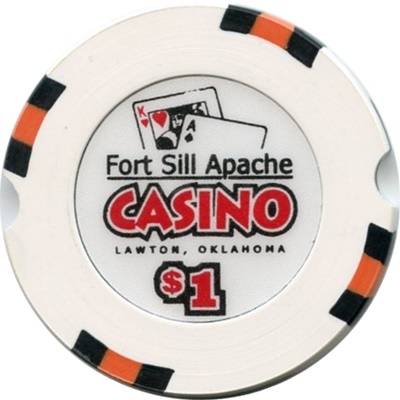 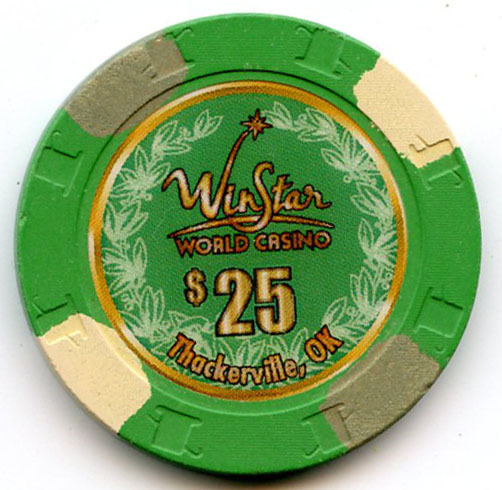 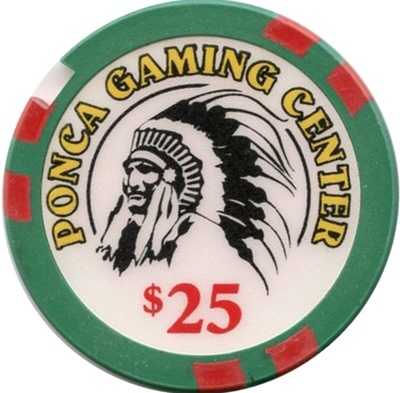 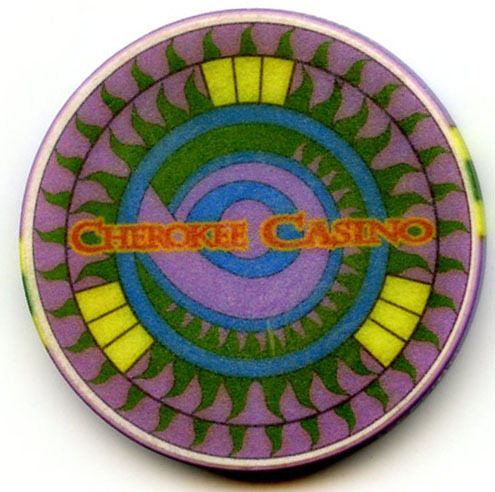 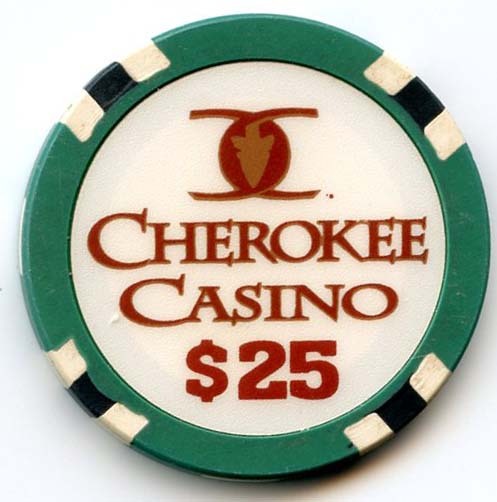 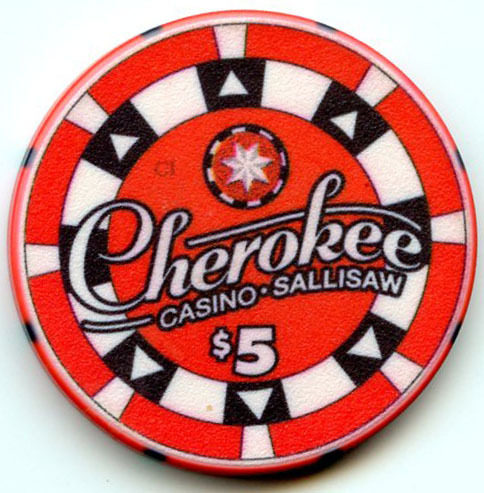 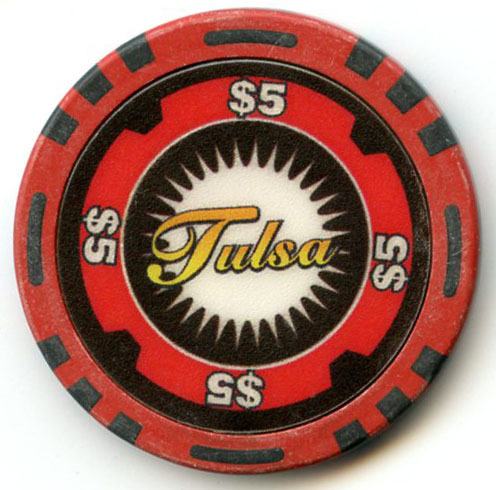 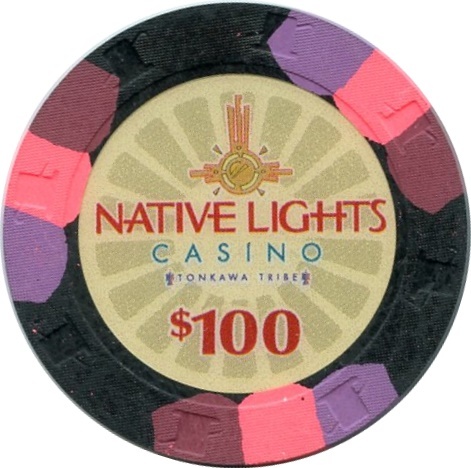 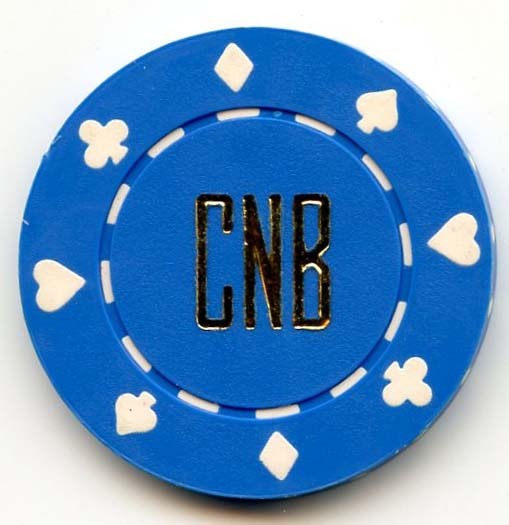 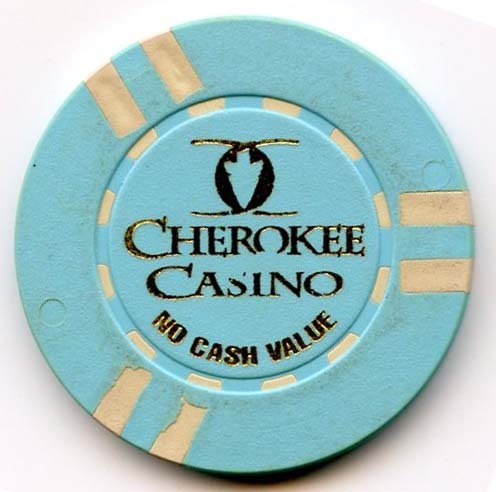 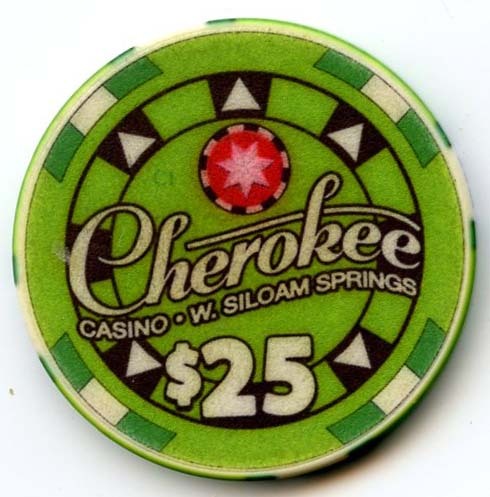 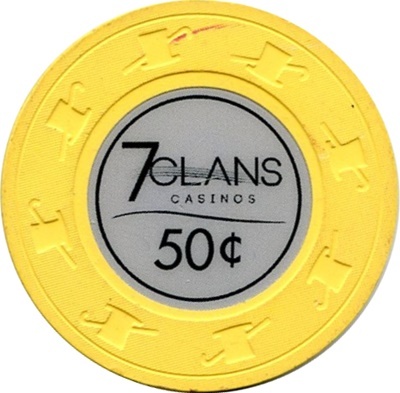 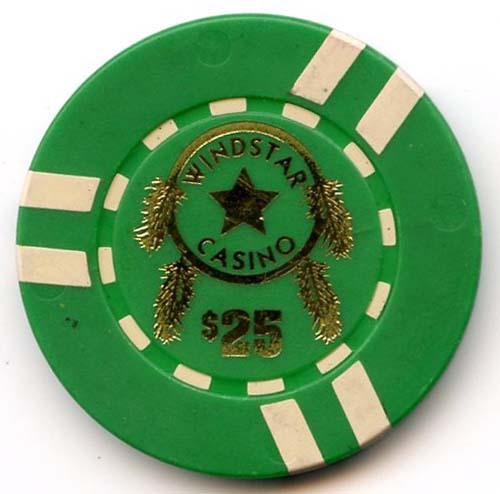 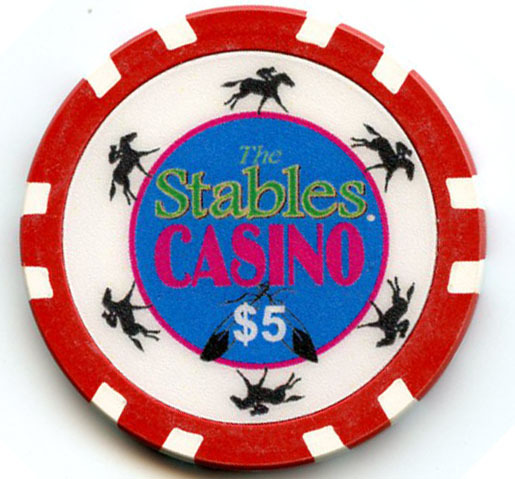 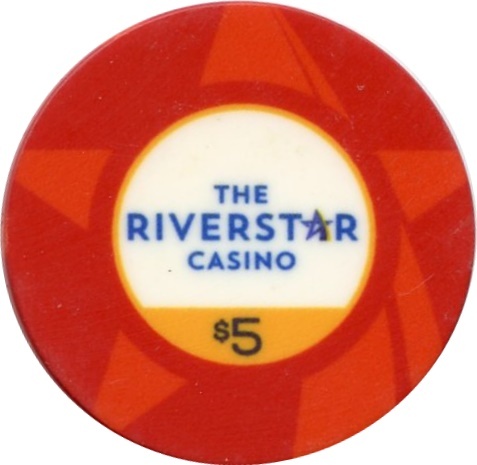 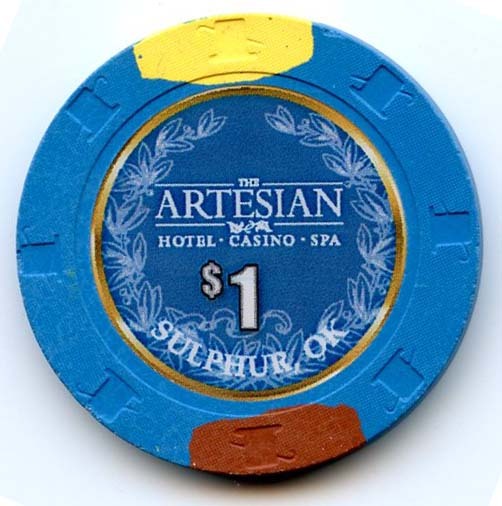 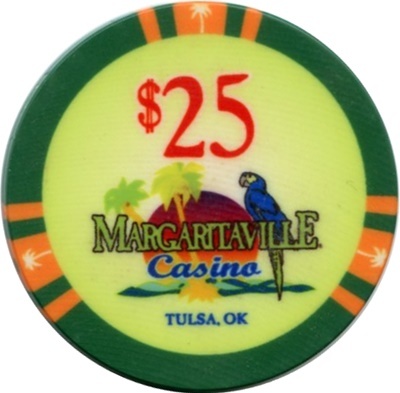 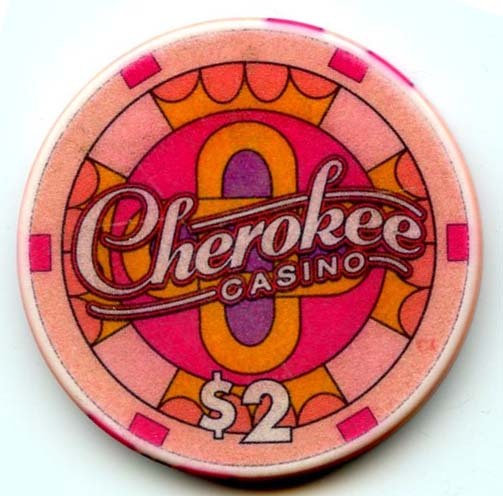 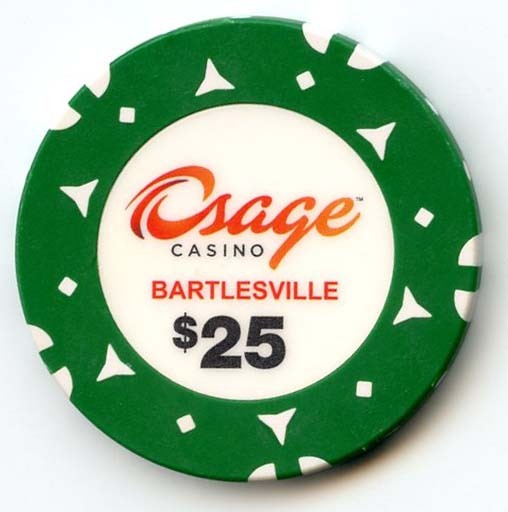 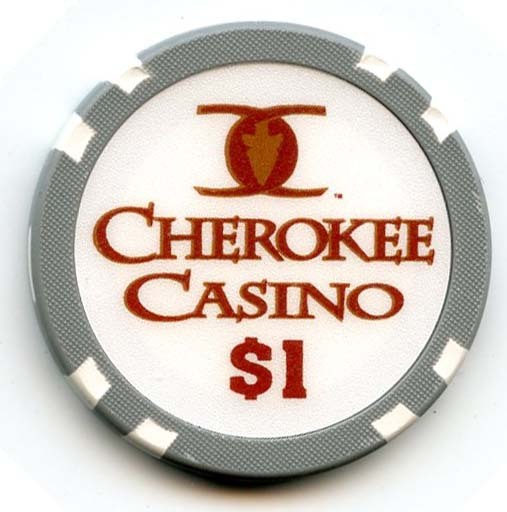 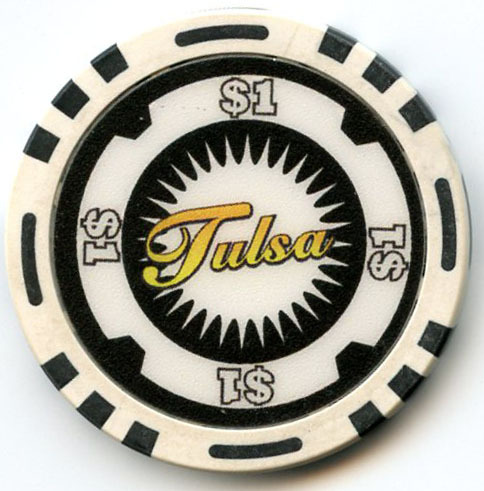 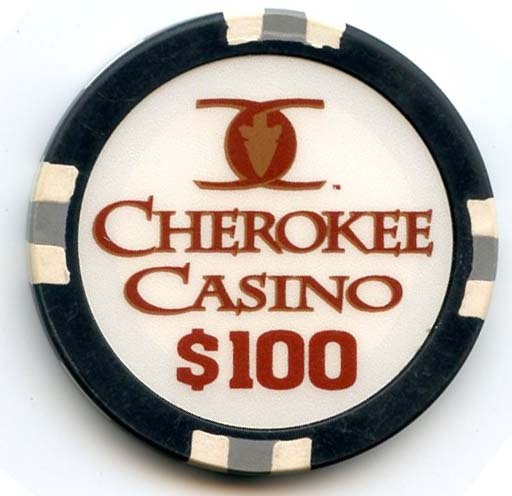 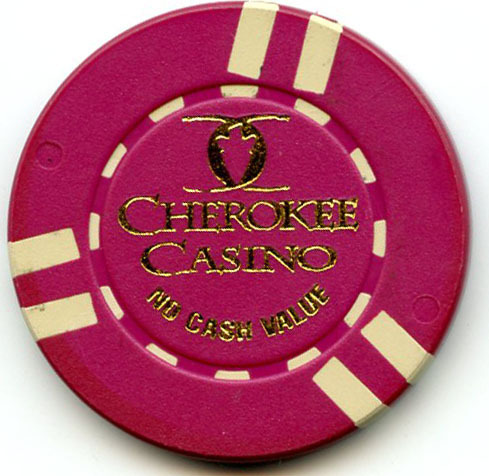 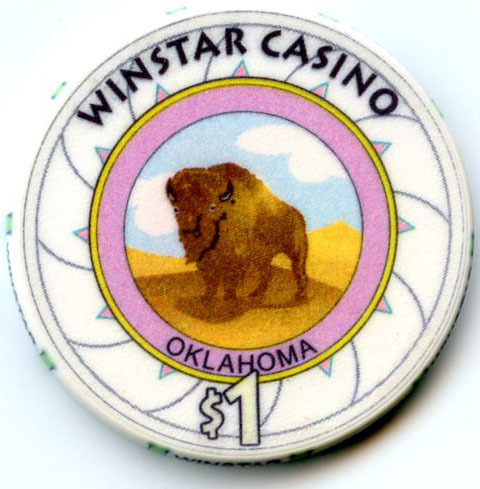 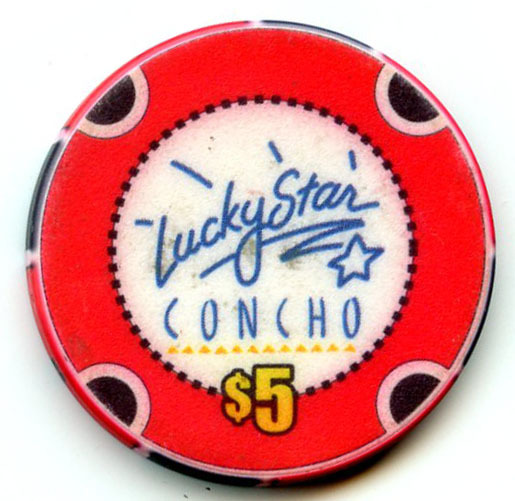 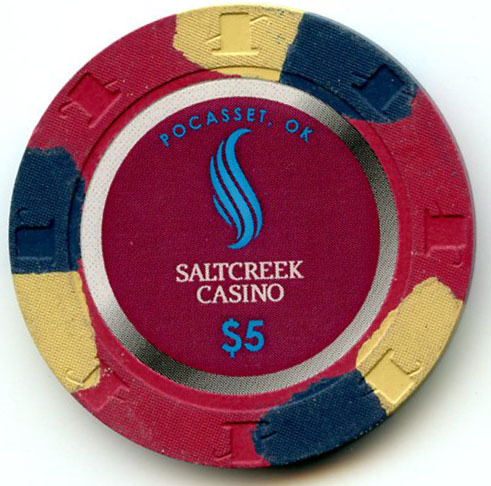 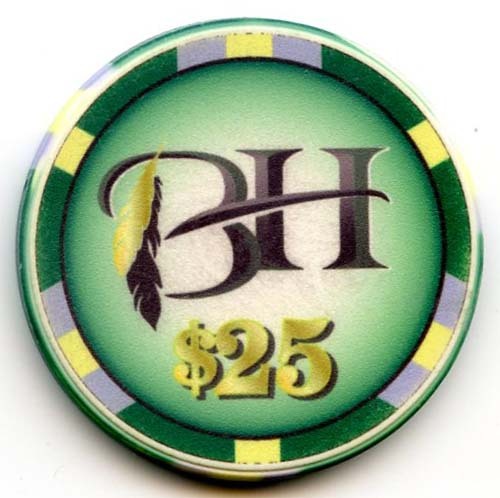 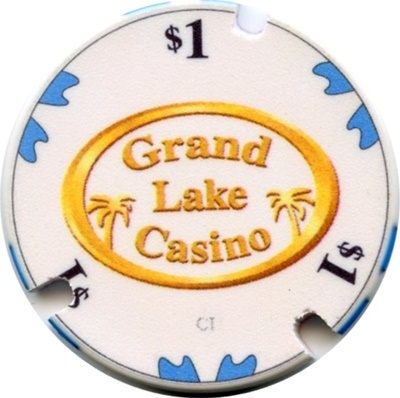 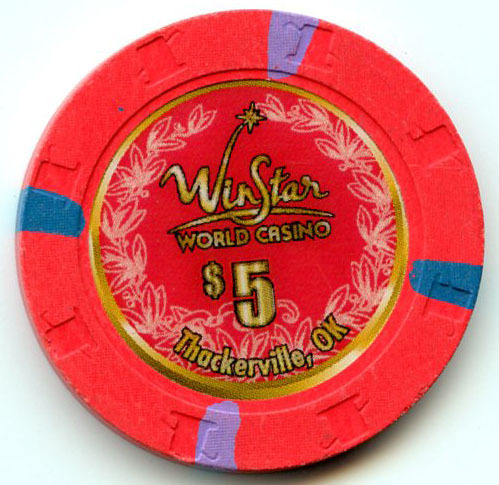 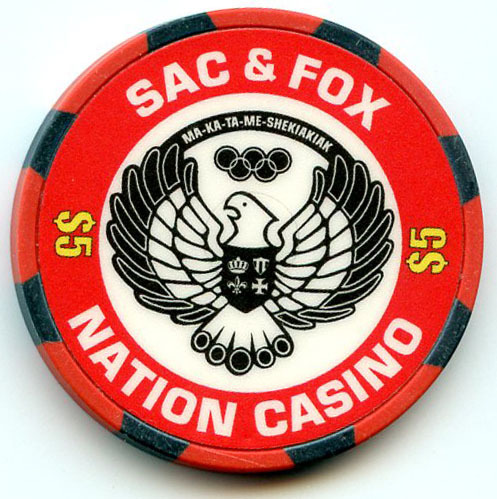 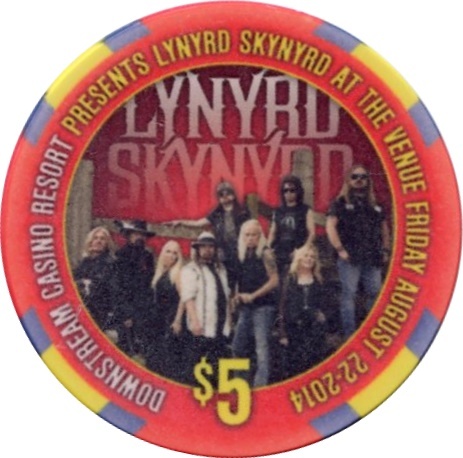 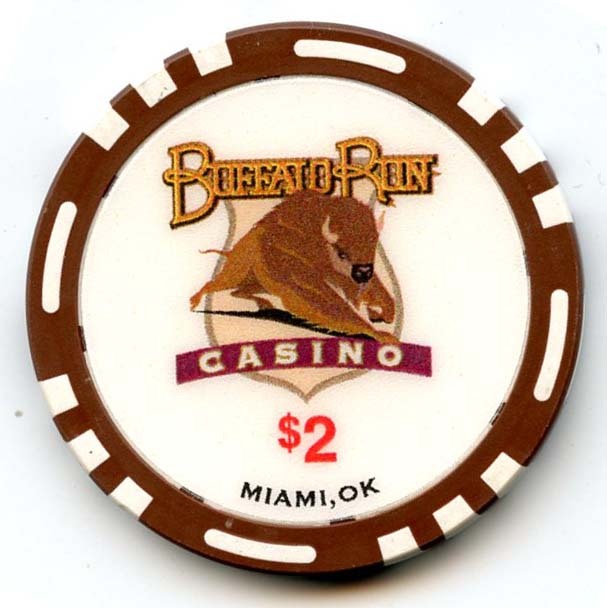 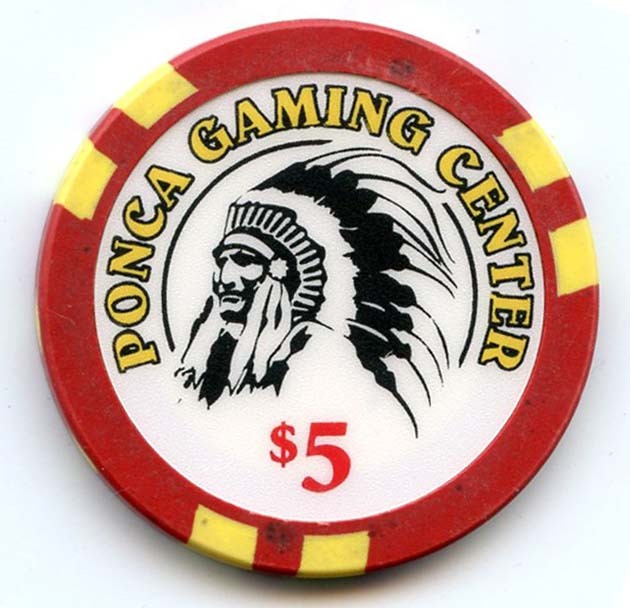 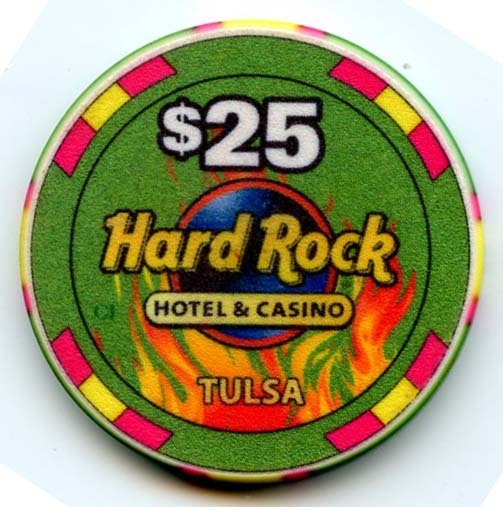 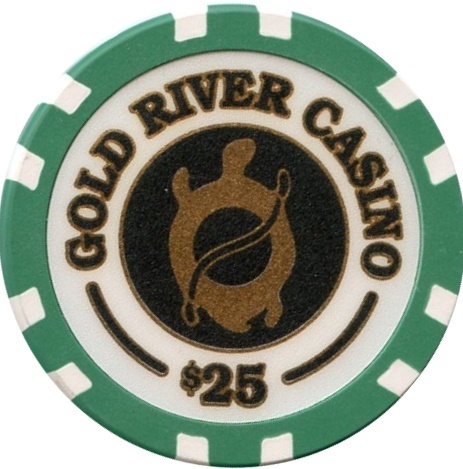 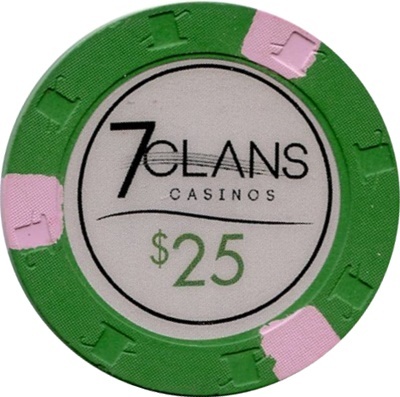 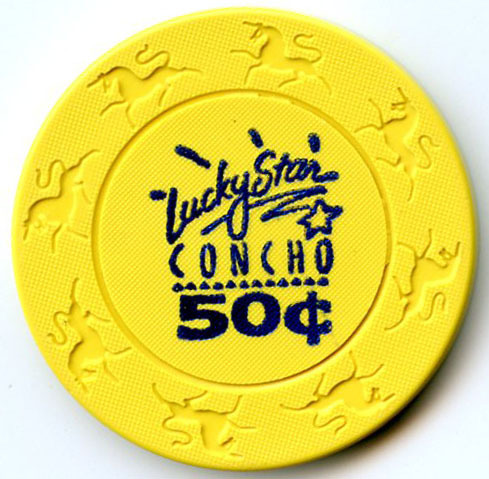 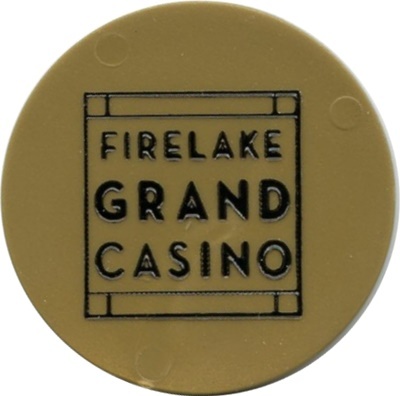 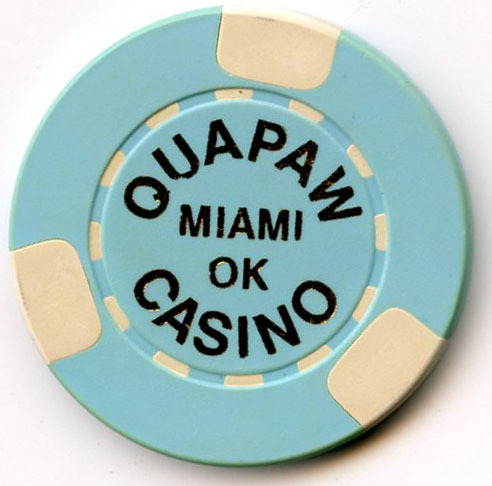 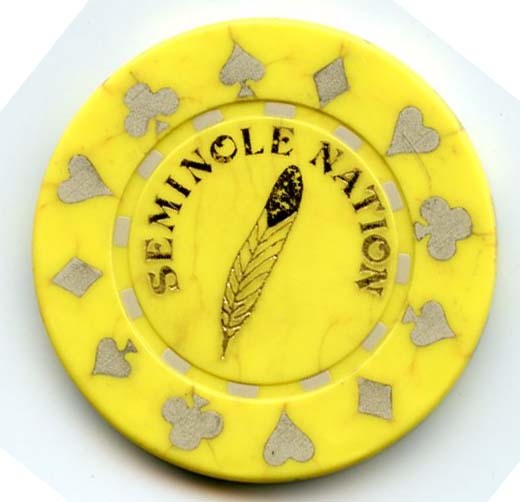 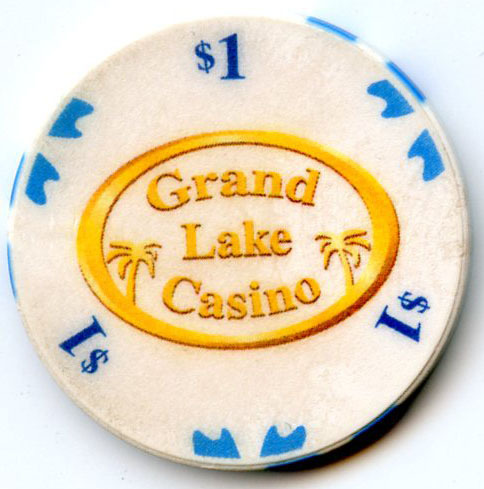 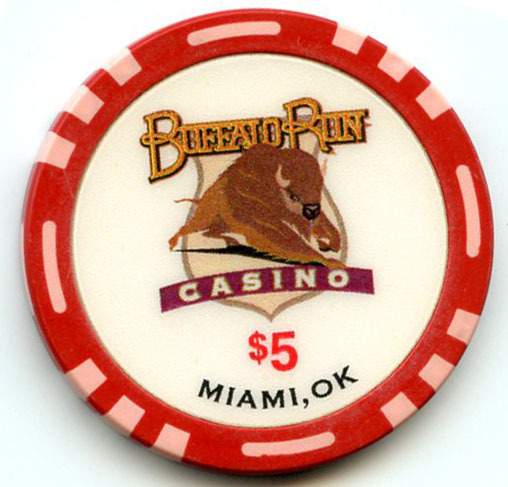 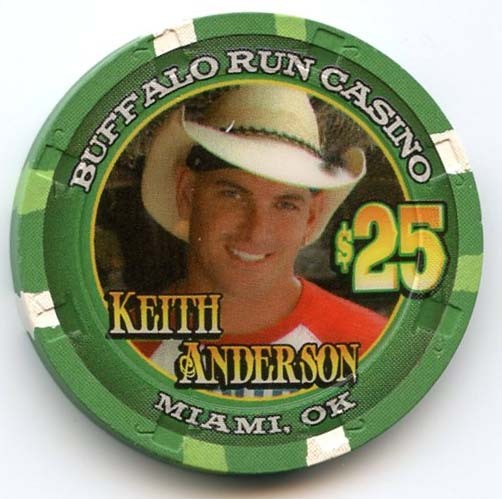 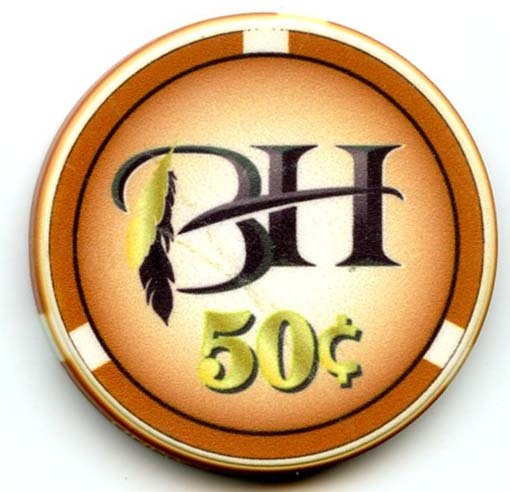 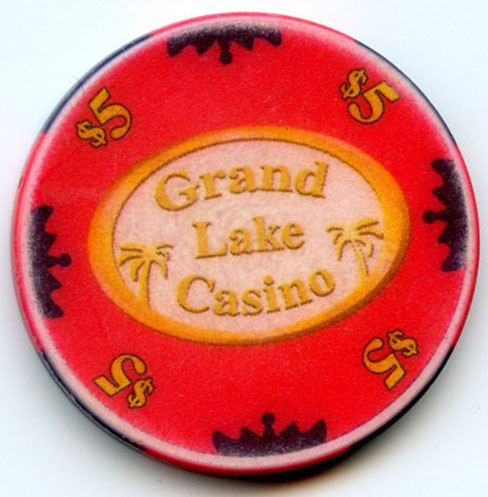 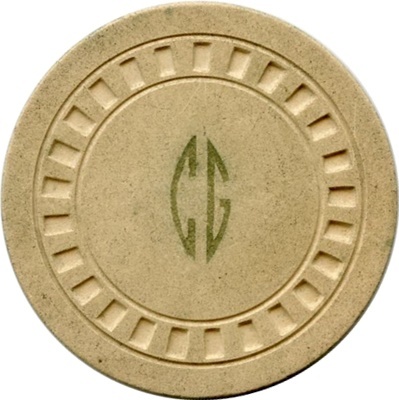 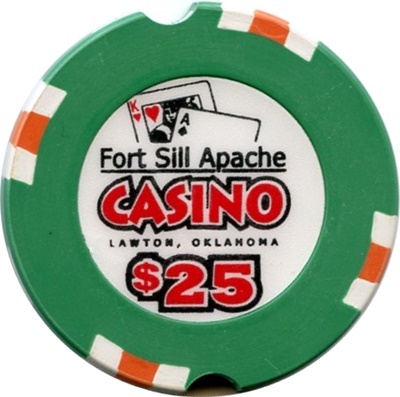 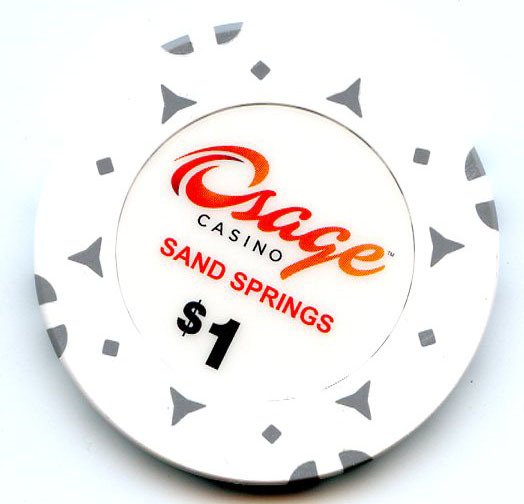 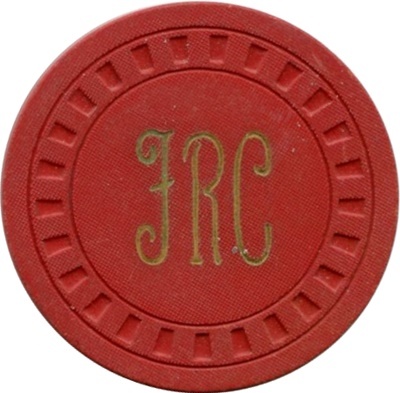 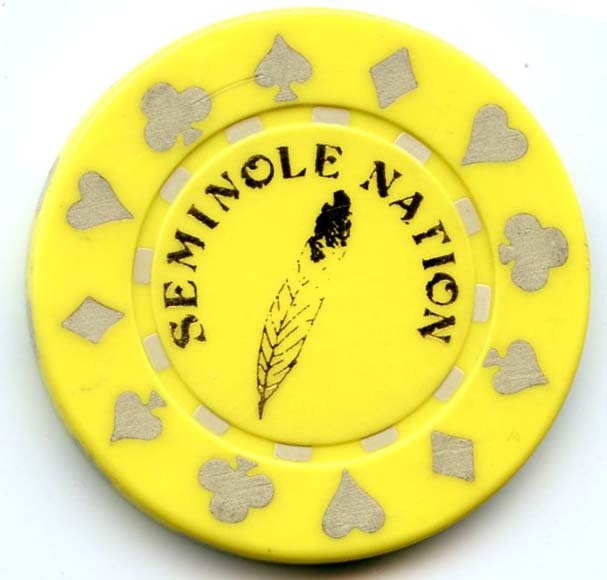 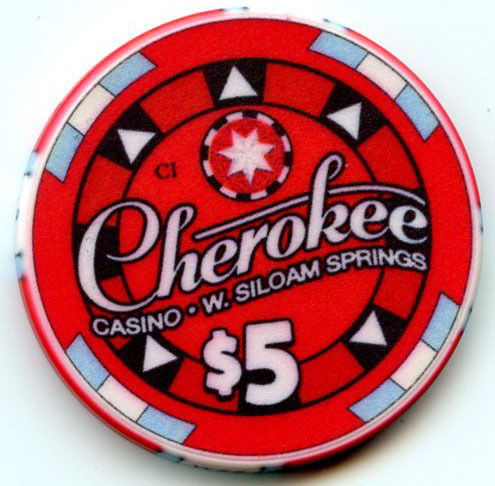 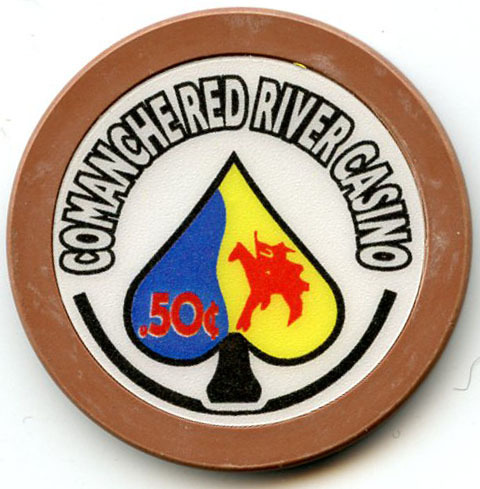 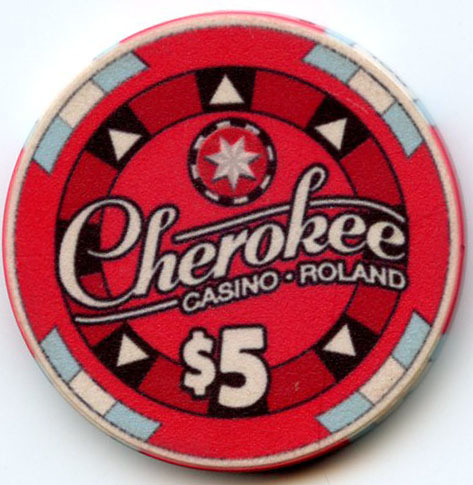 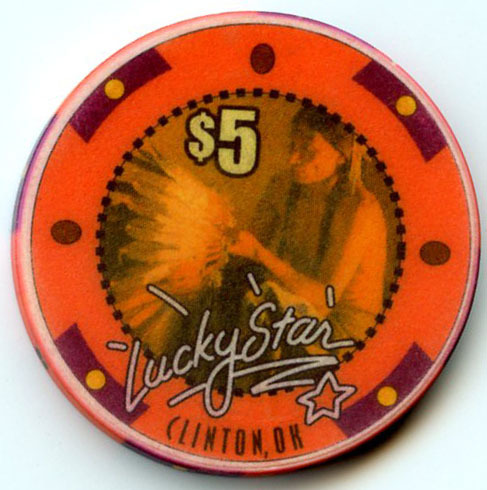 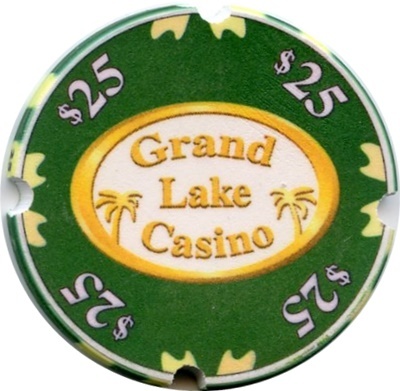 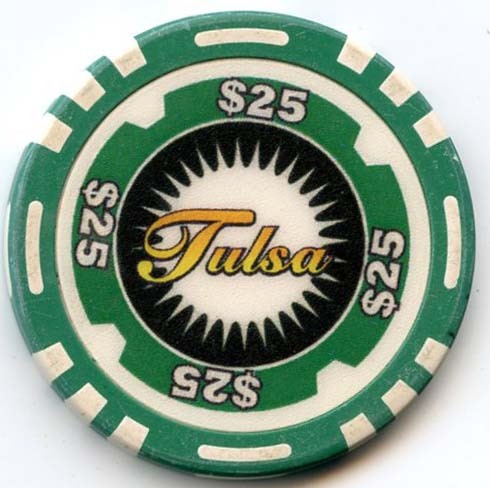 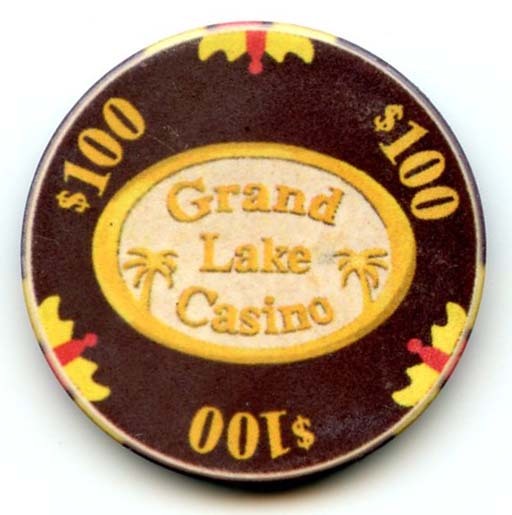 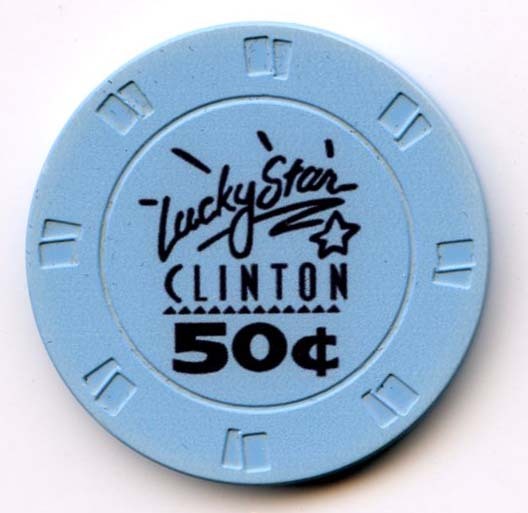 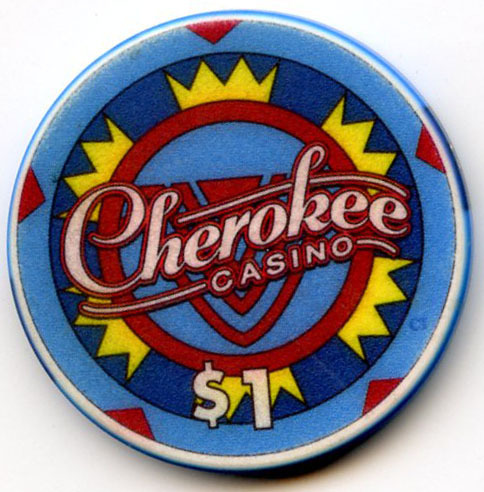 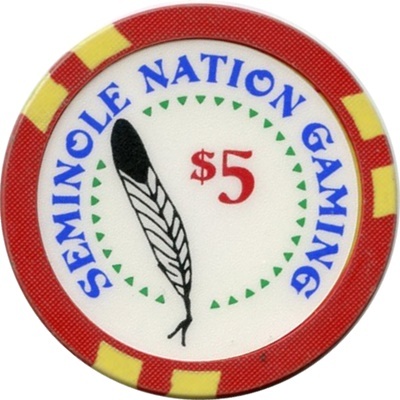 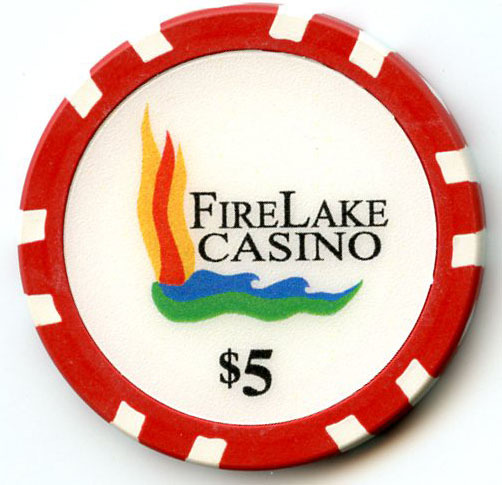 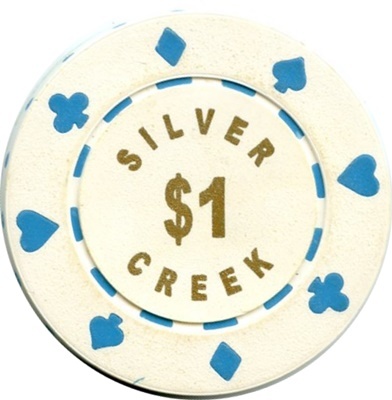 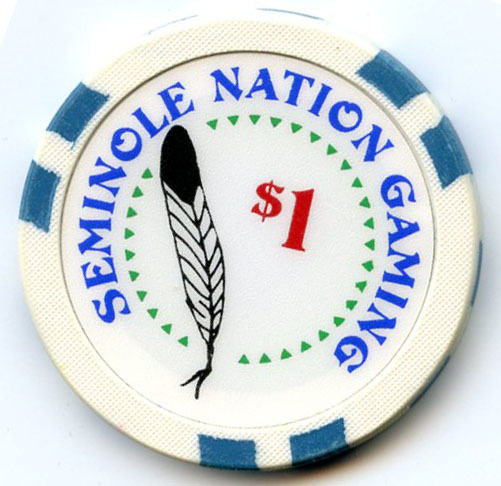 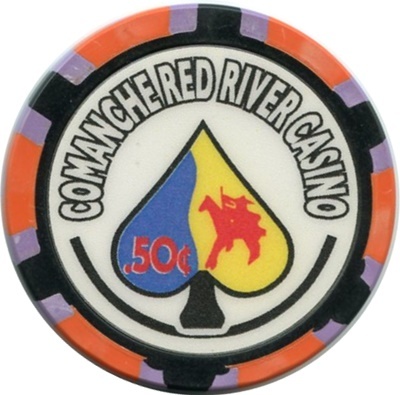 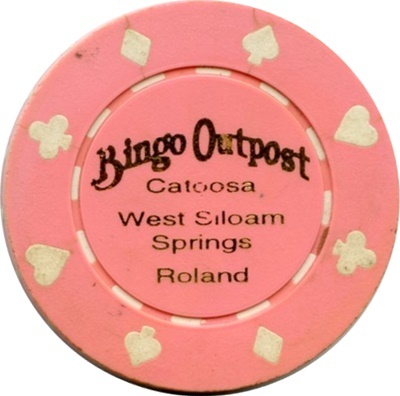 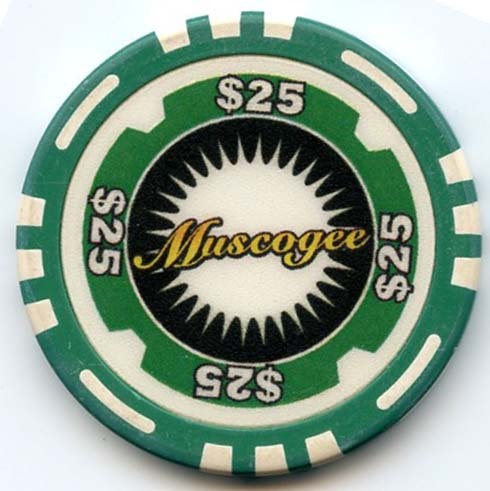 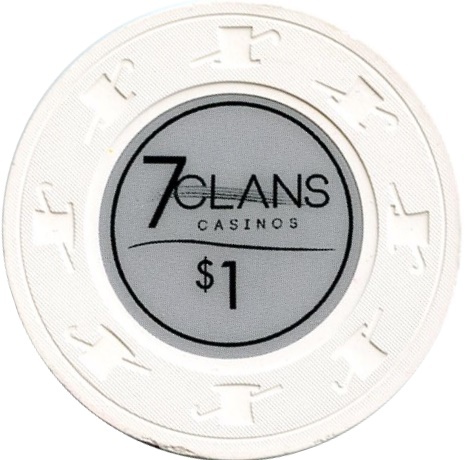 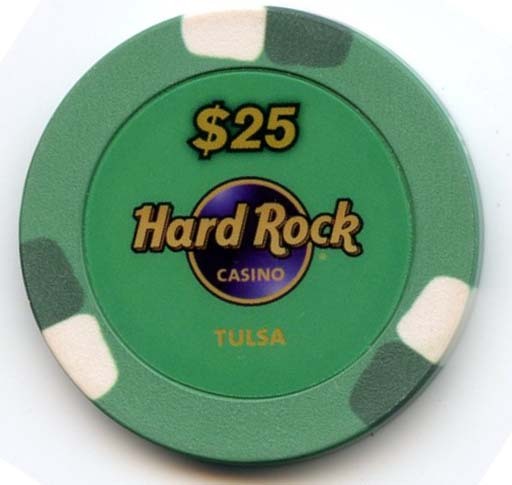 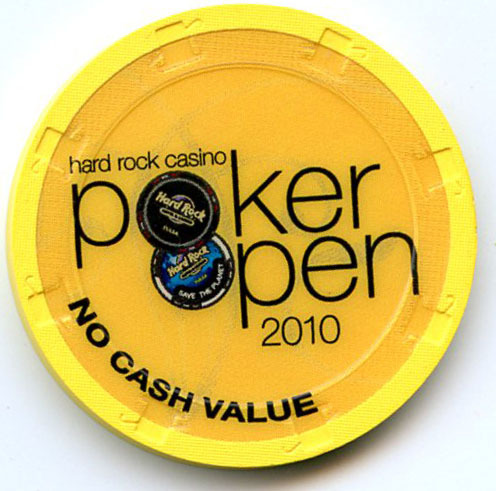 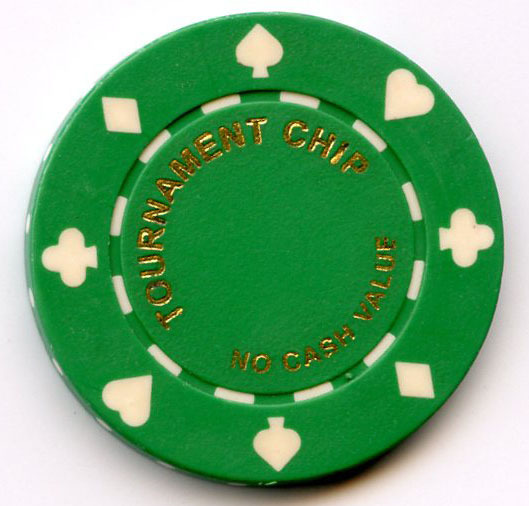 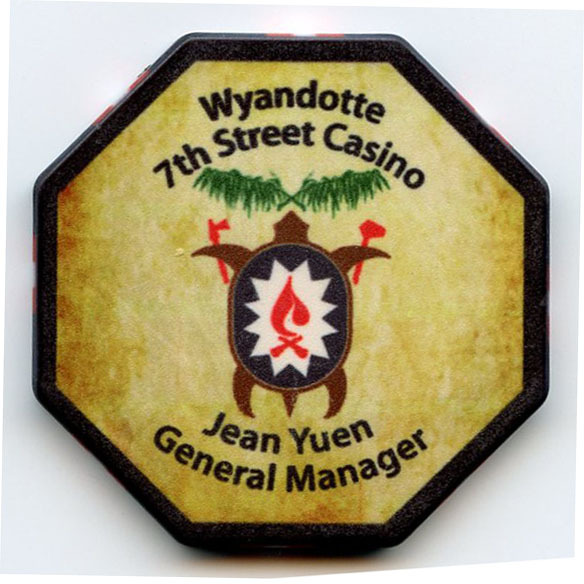 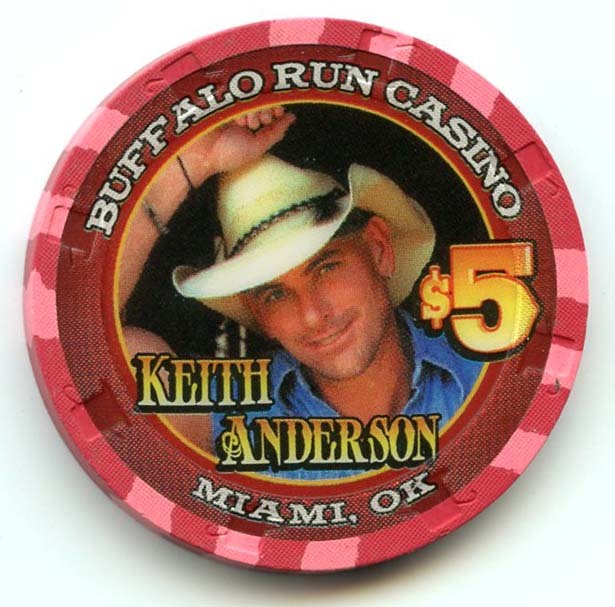 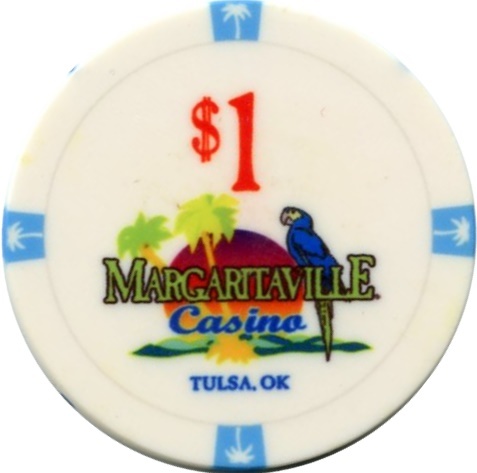 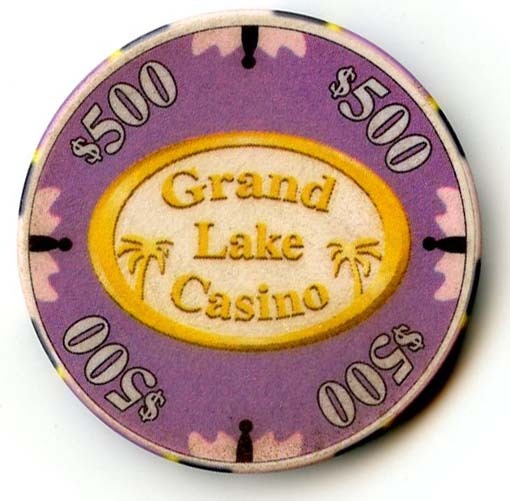 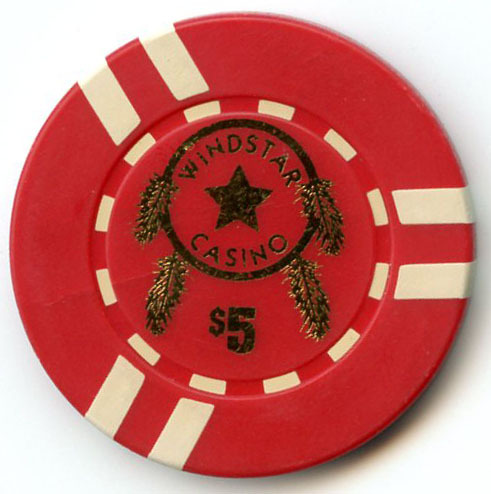 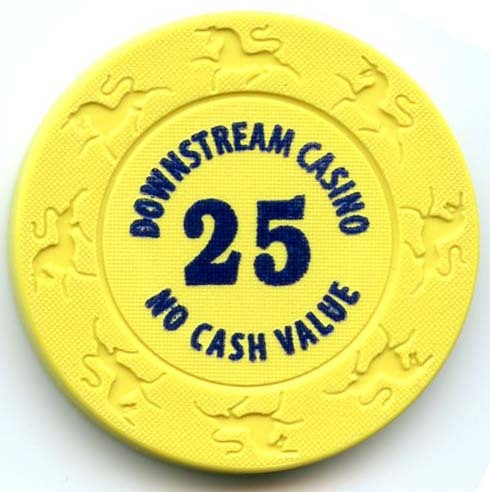 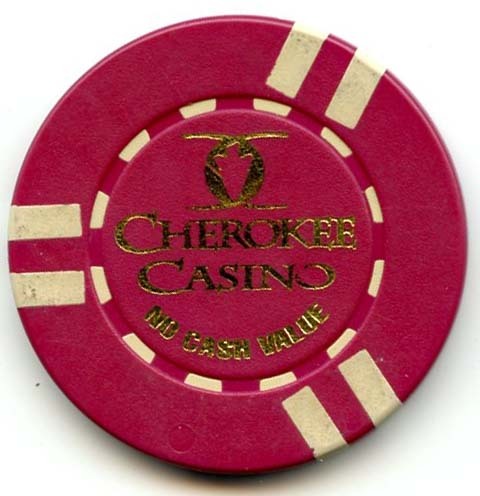 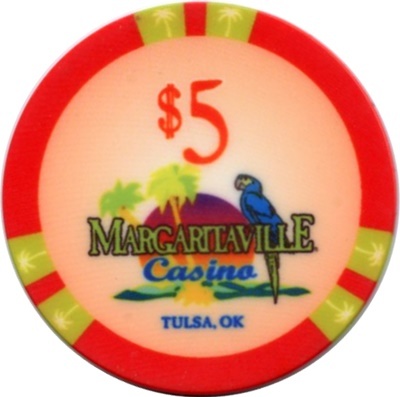 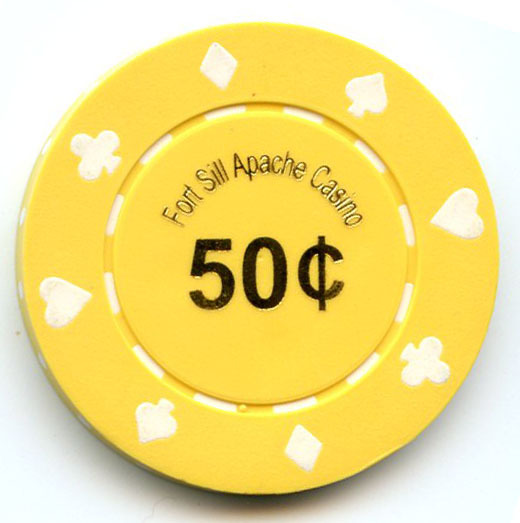 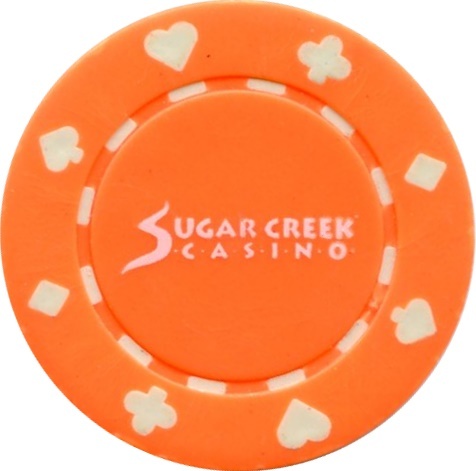 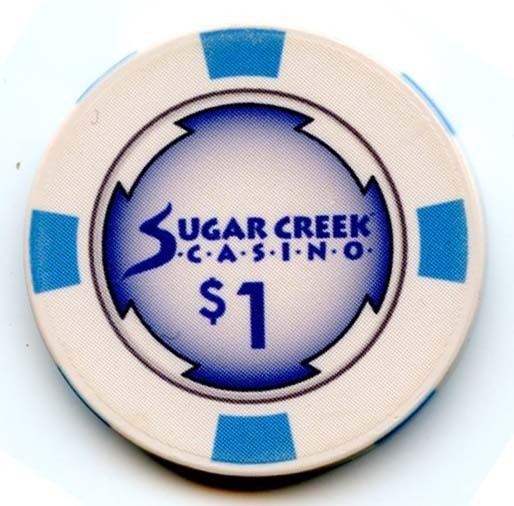 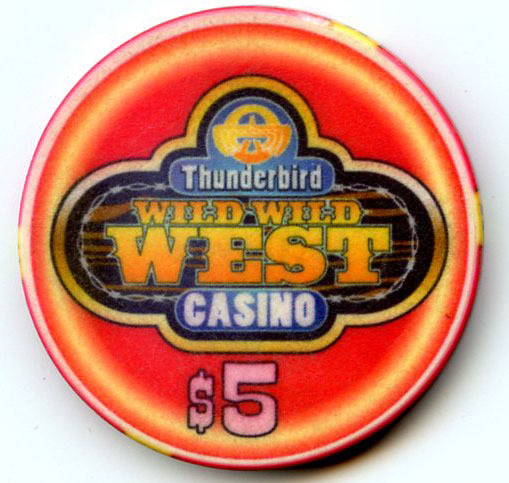 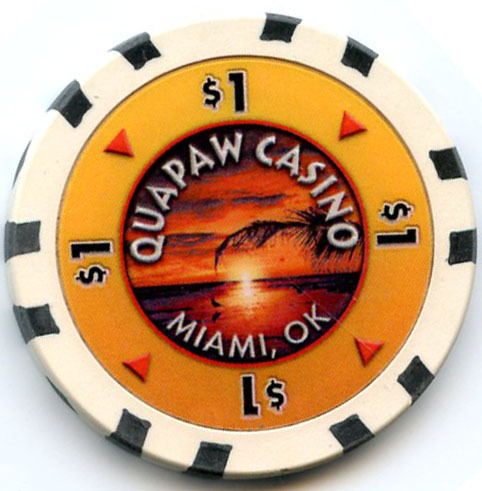 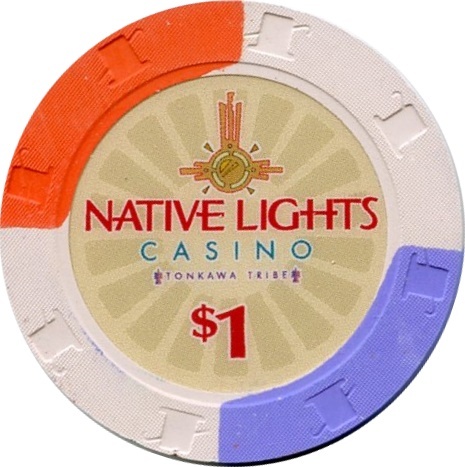 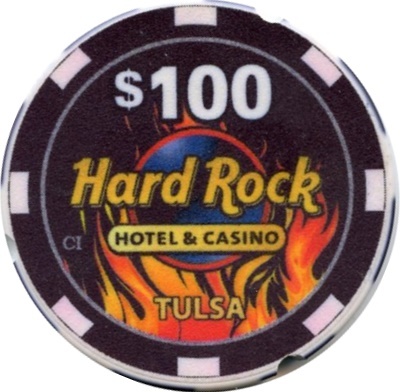 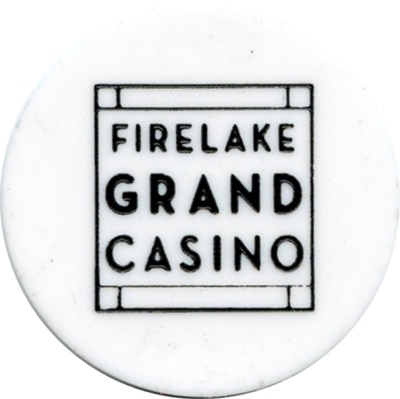 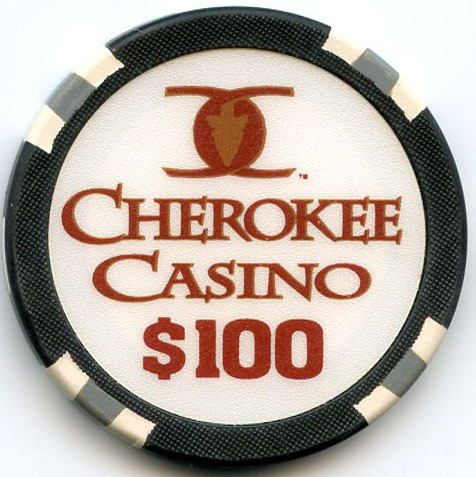 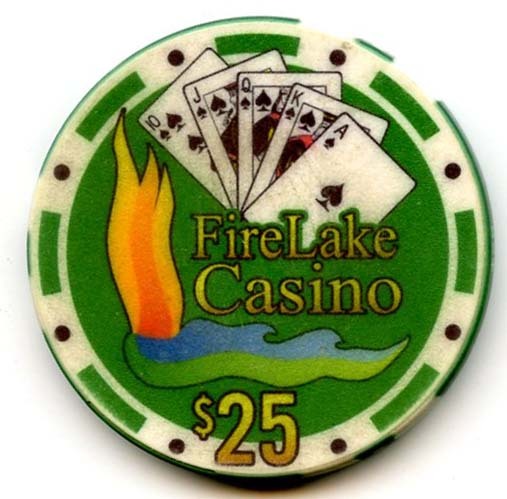 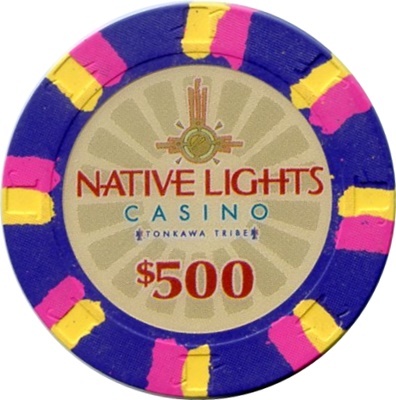 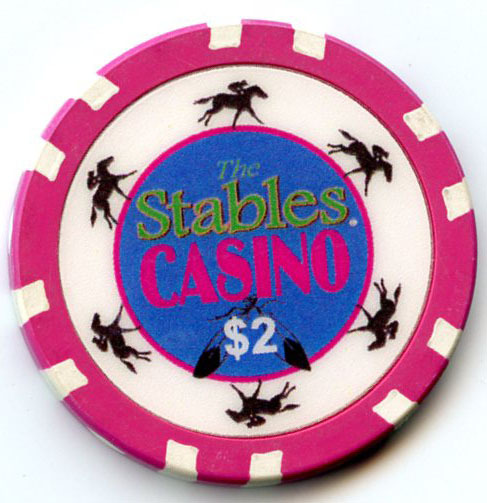 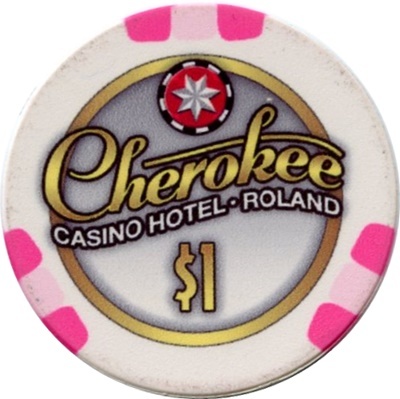 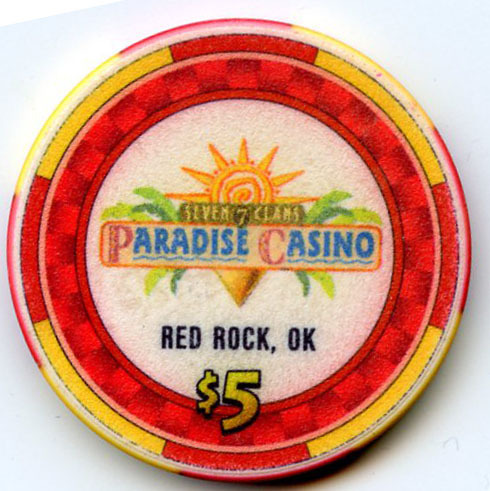 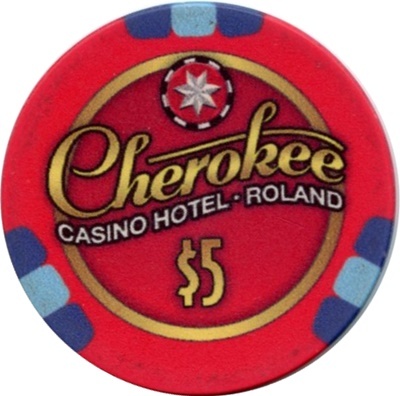 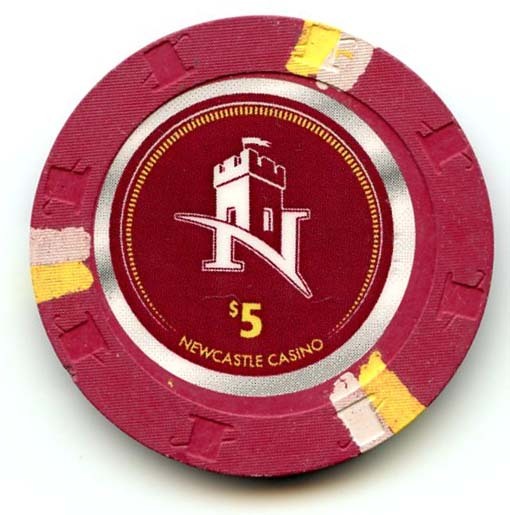 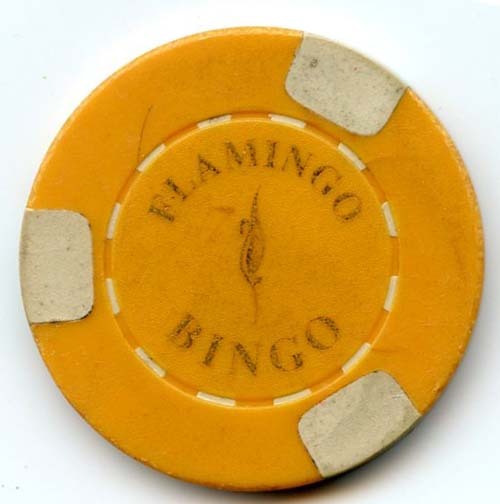 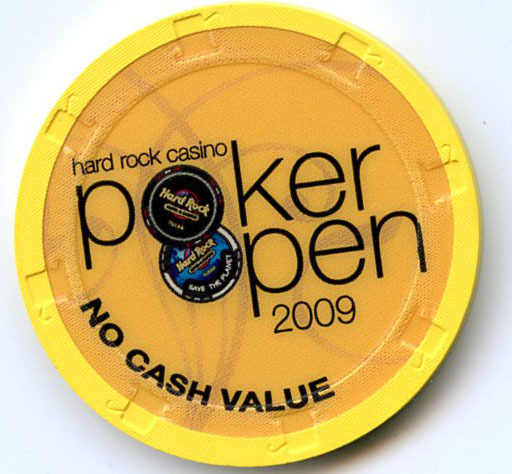 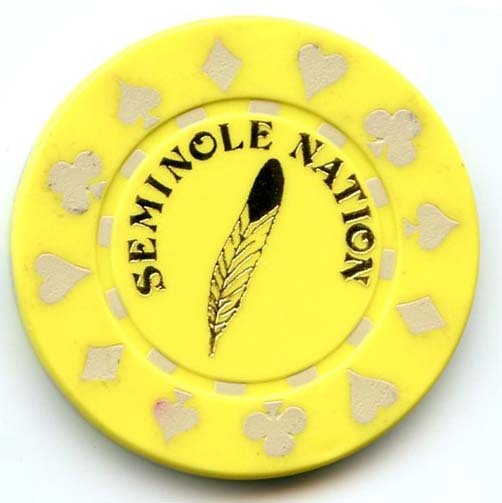 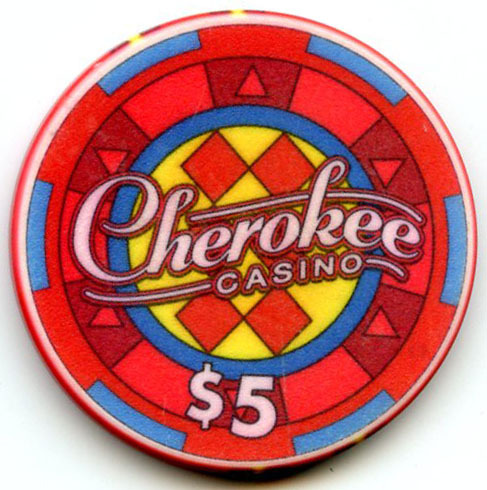 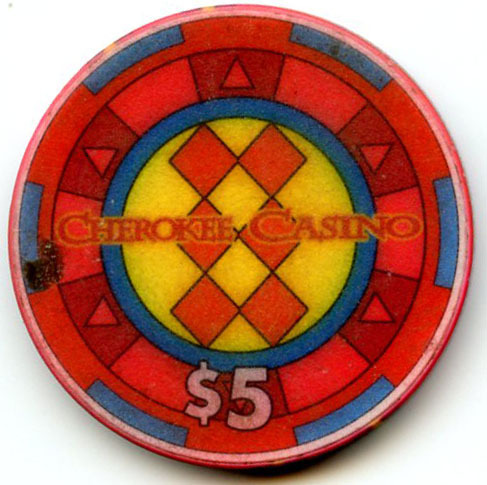 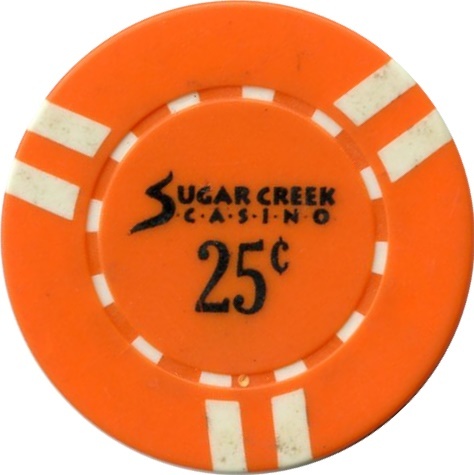 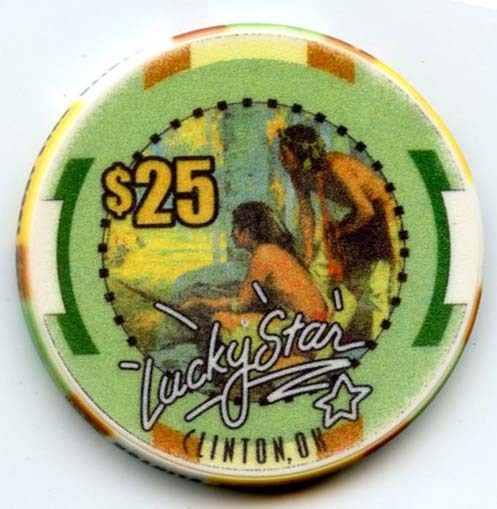 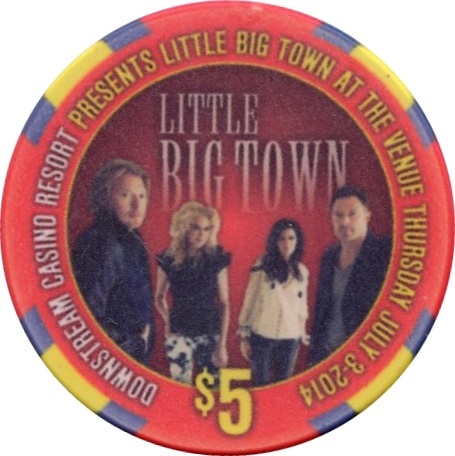 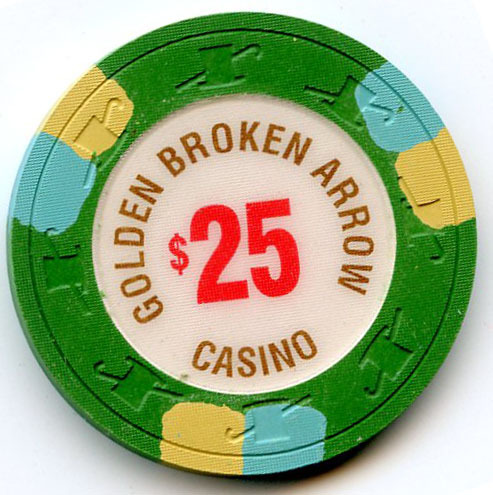 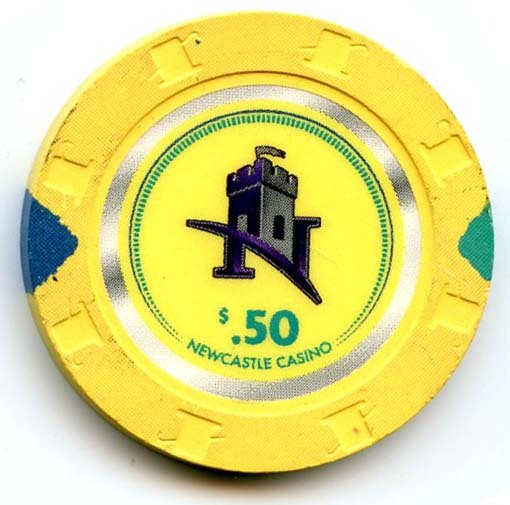 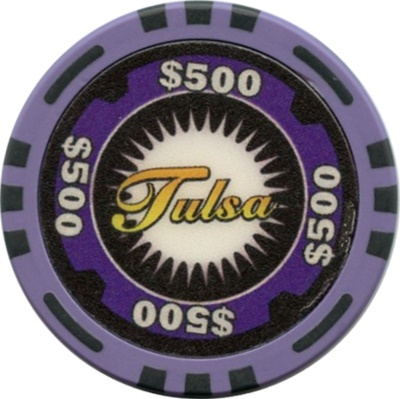 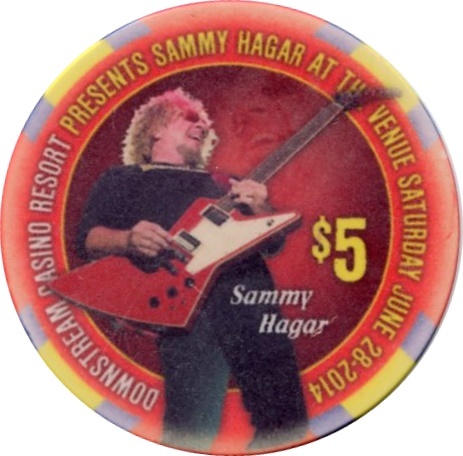 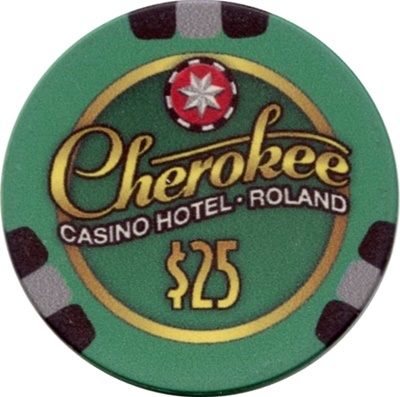 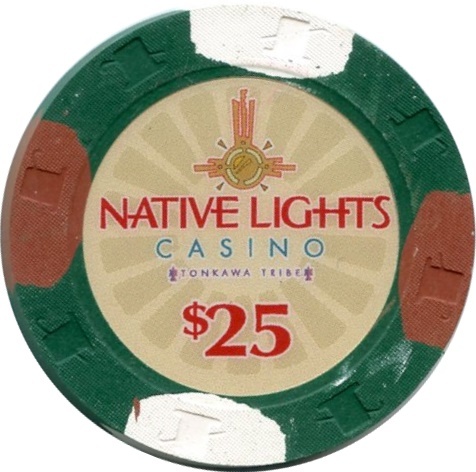 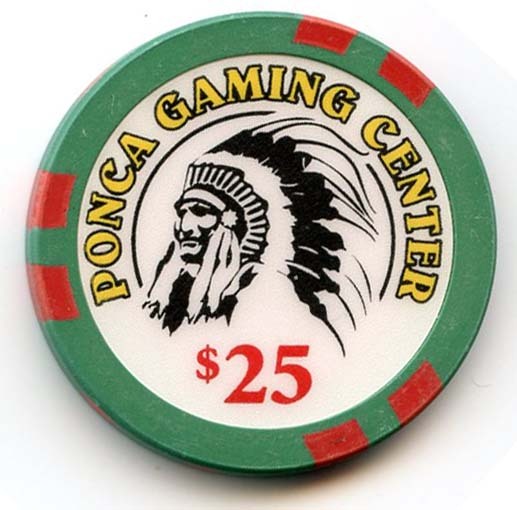 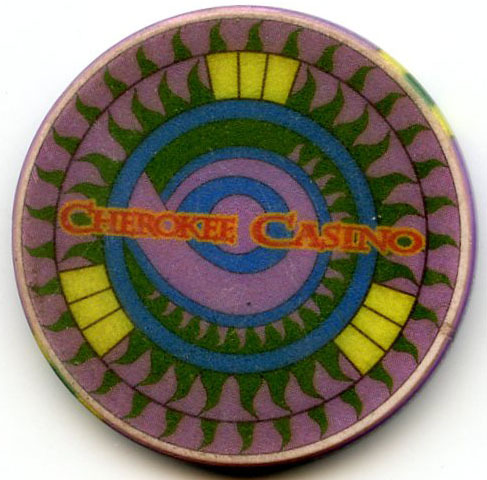 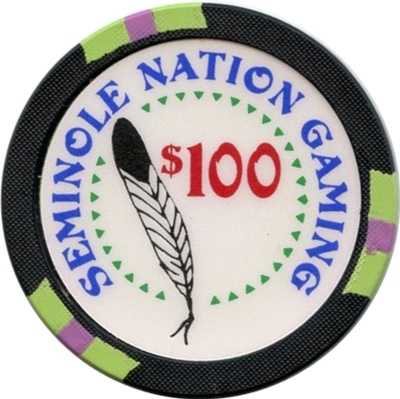 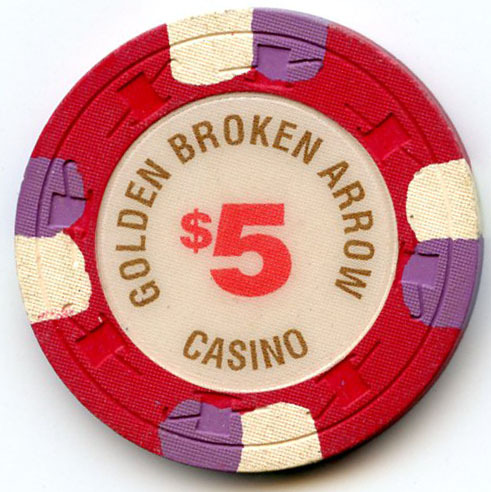 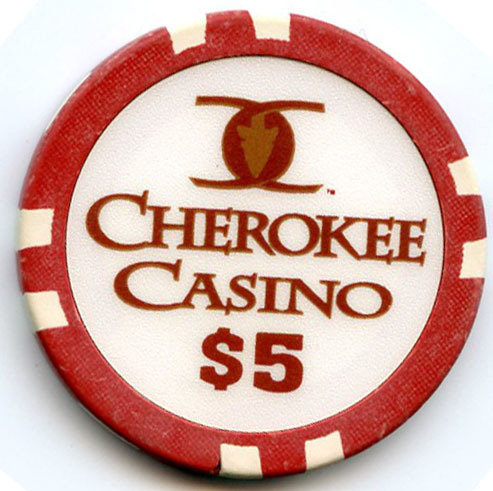 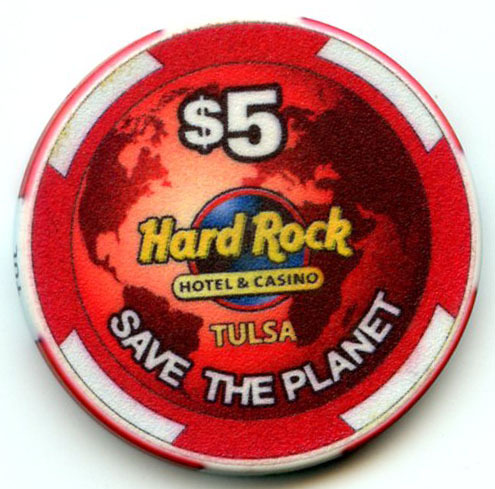 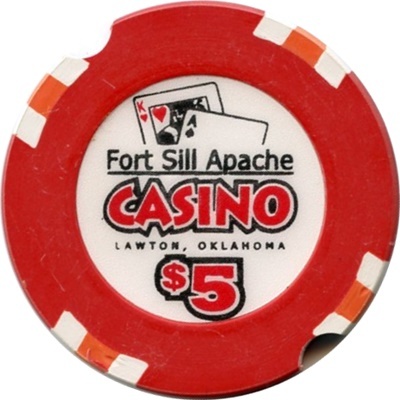 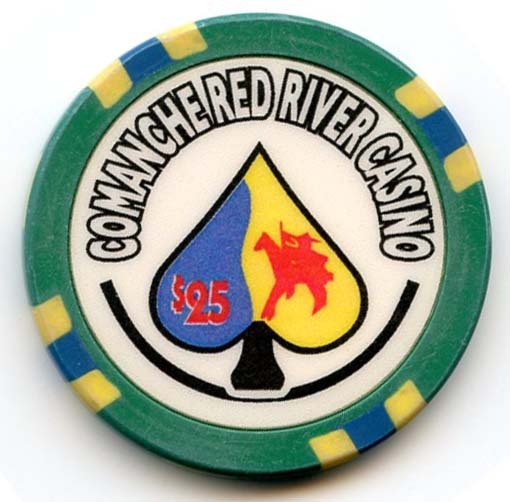 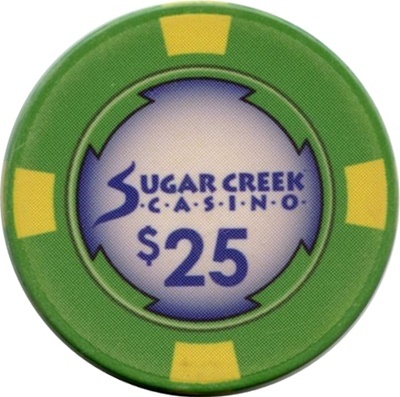 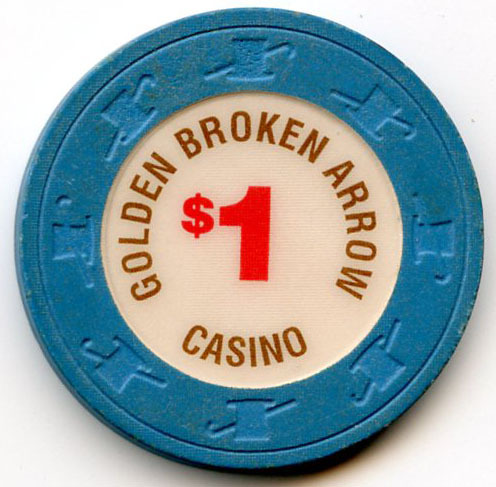 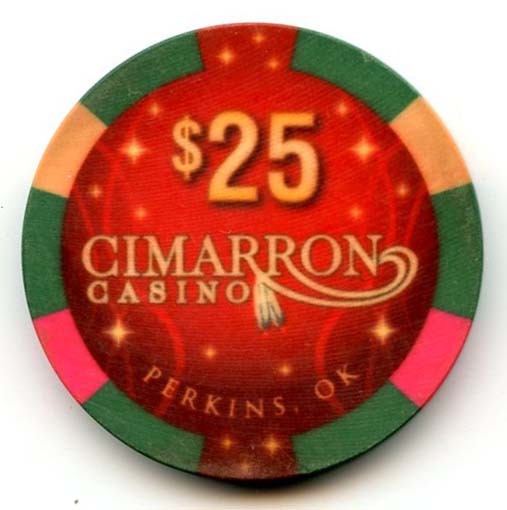 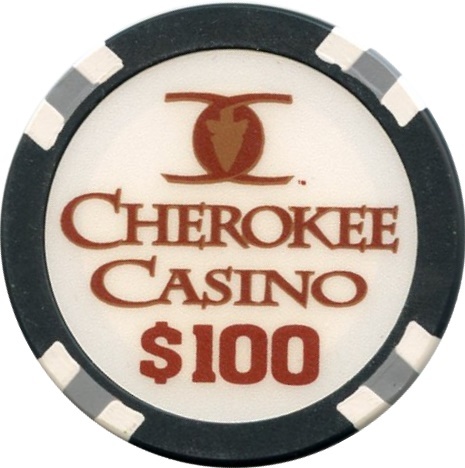 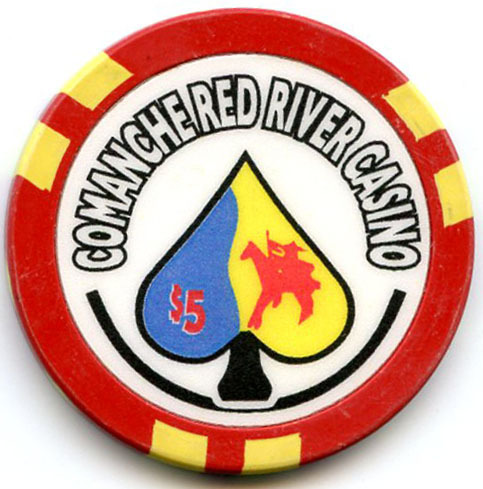 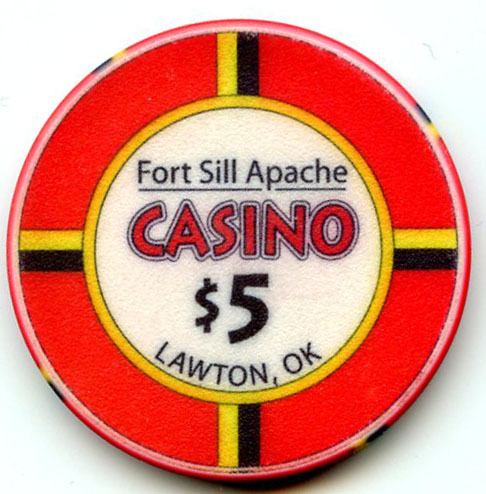 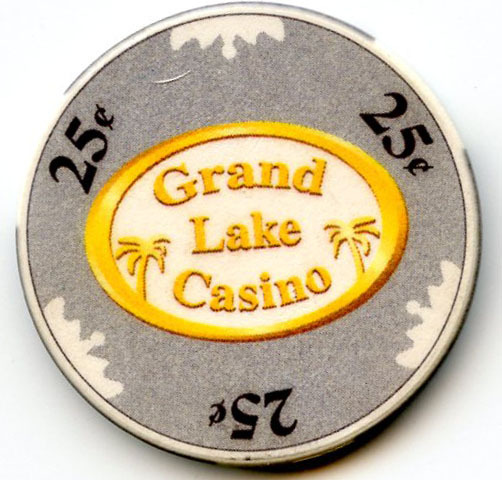 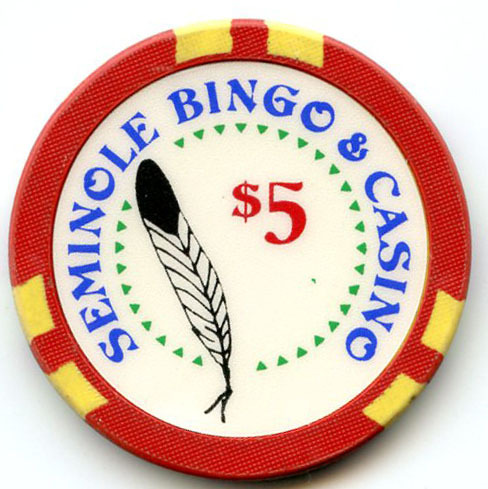 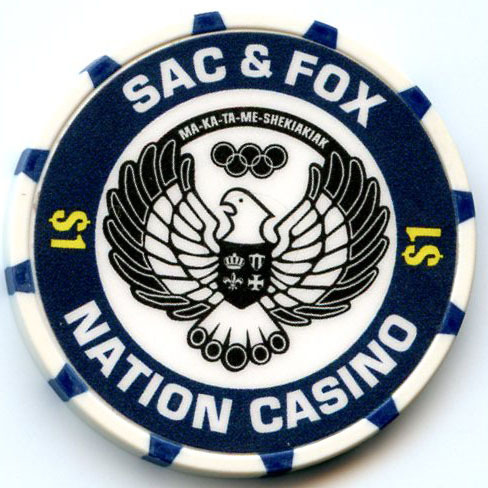 These chips were used by Phil & Carl Holt to run an illegal casino in Miami Oklahoma.